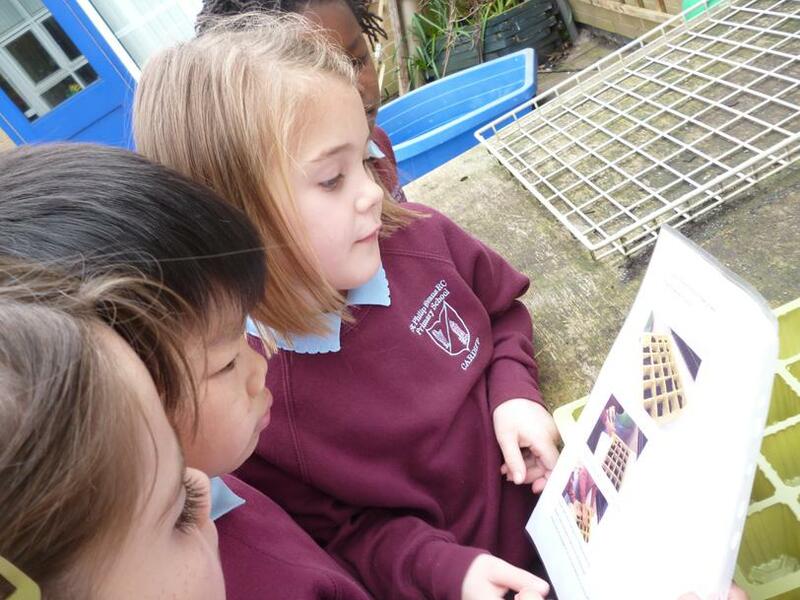 We have been looking at different types of maps. 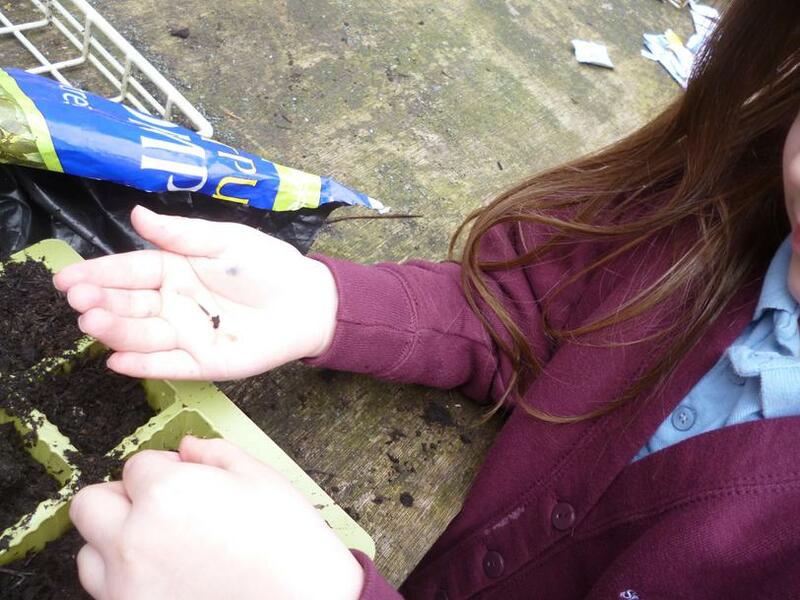 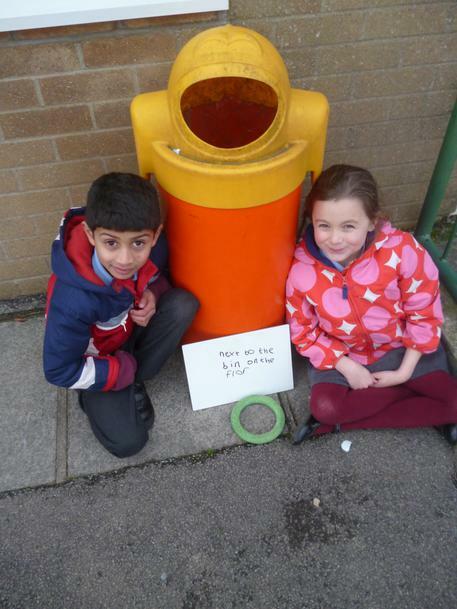 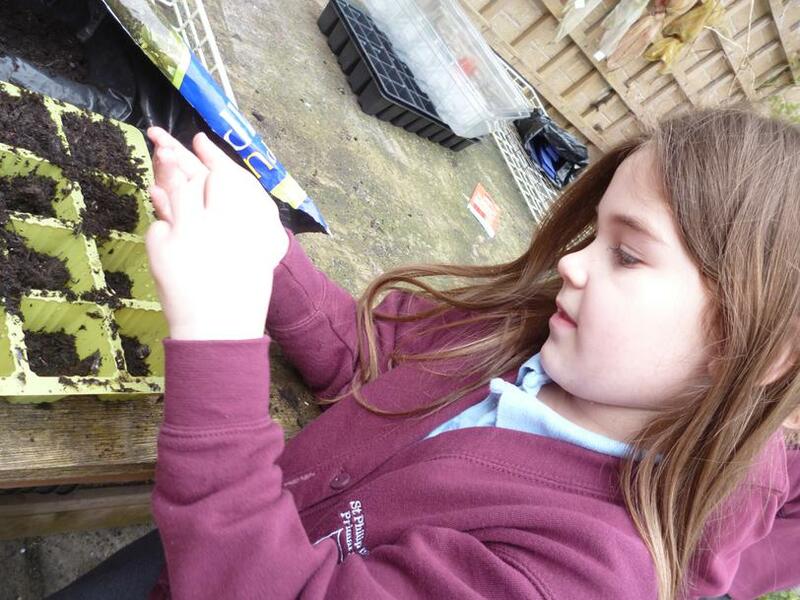 We have been making our own compost bins to provide compost that will help our plants grow. 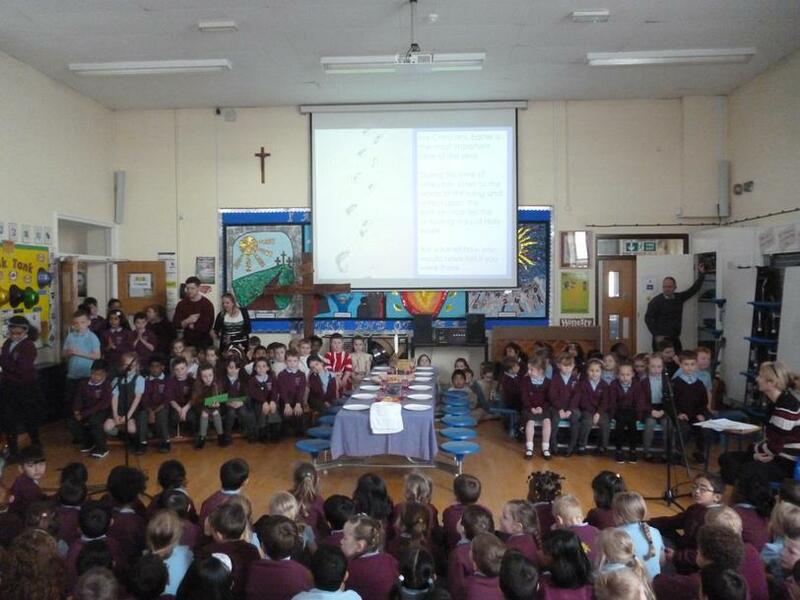 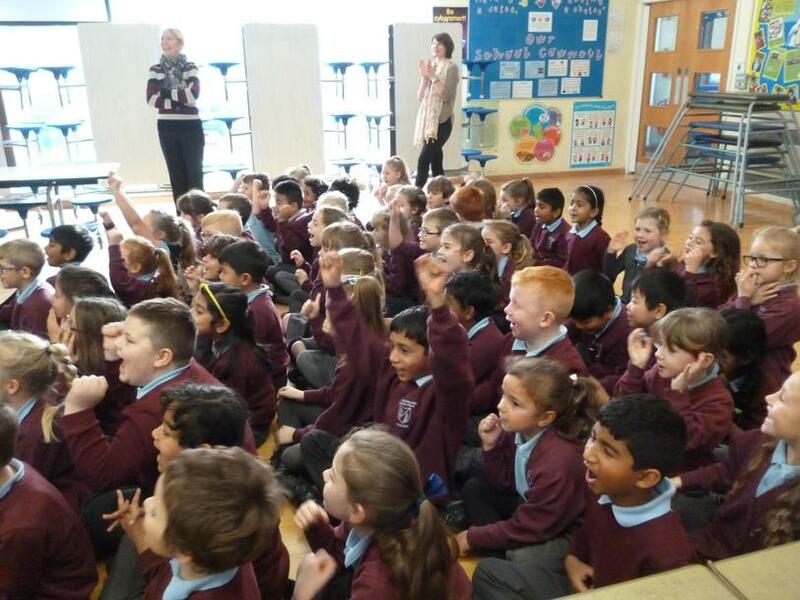 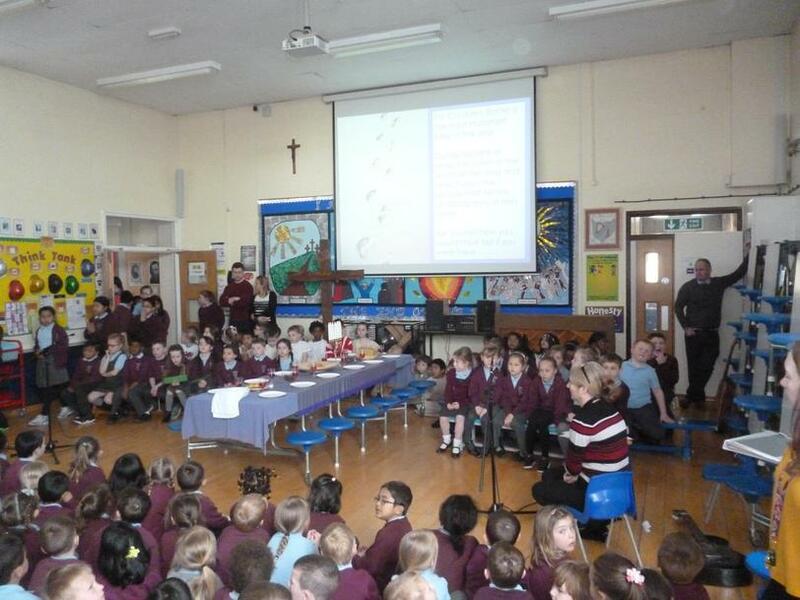 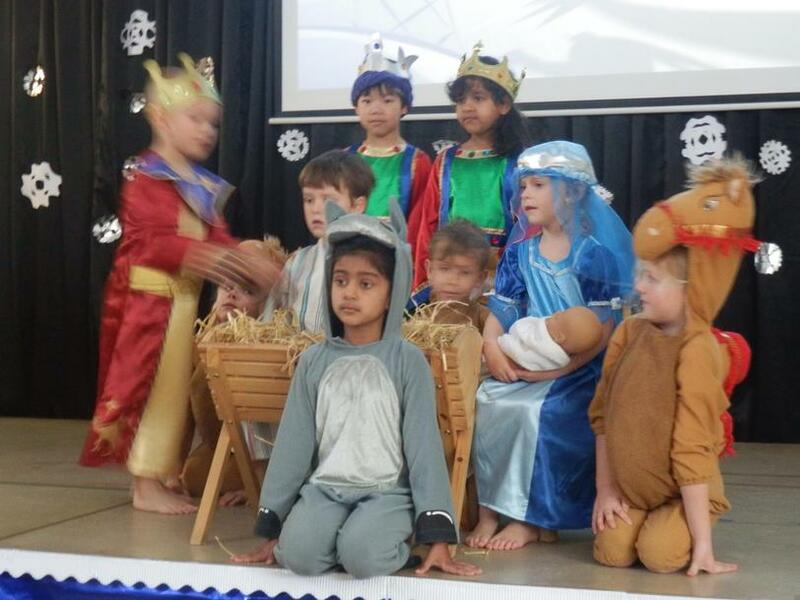 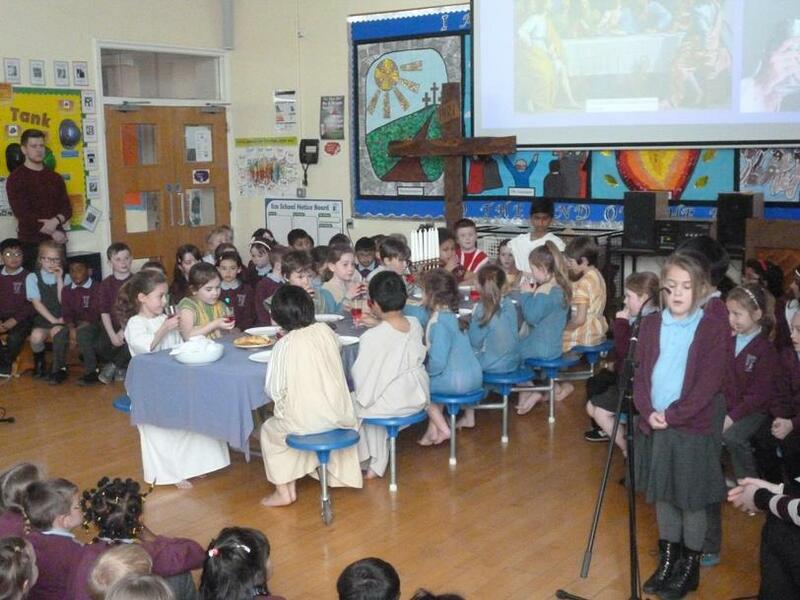 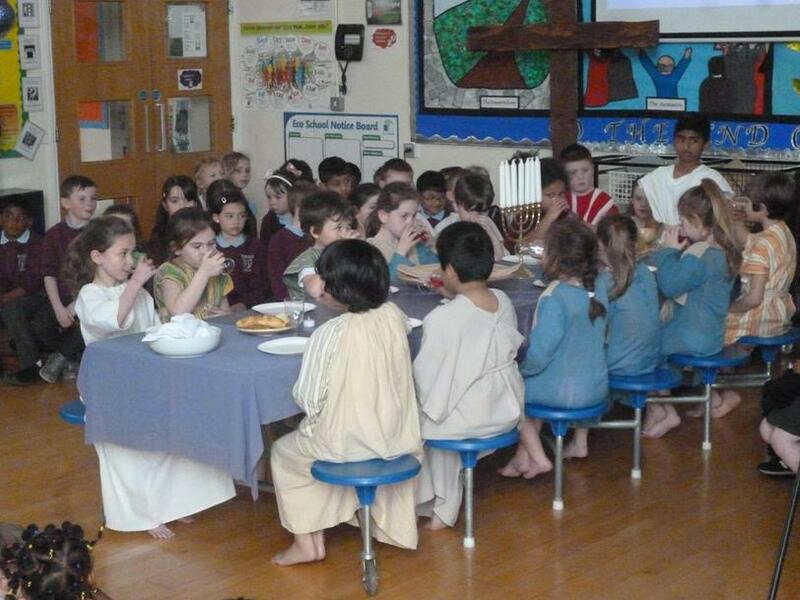 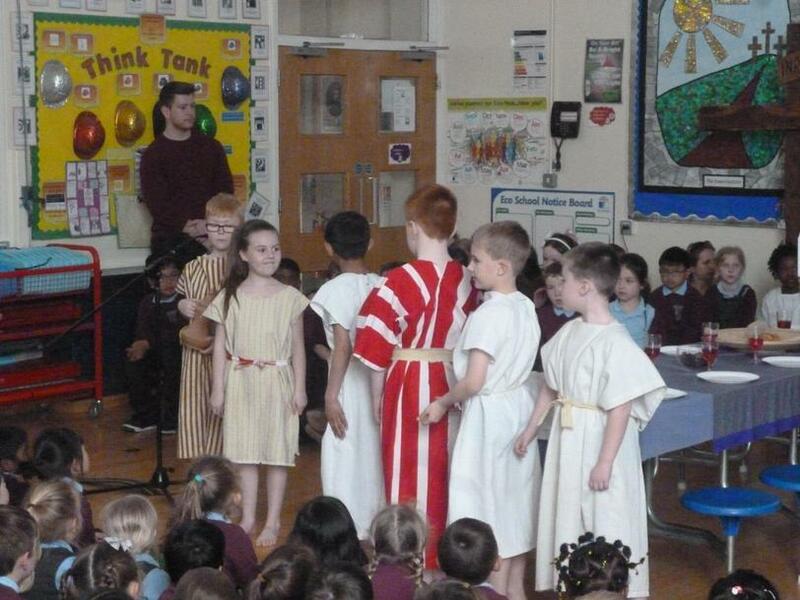 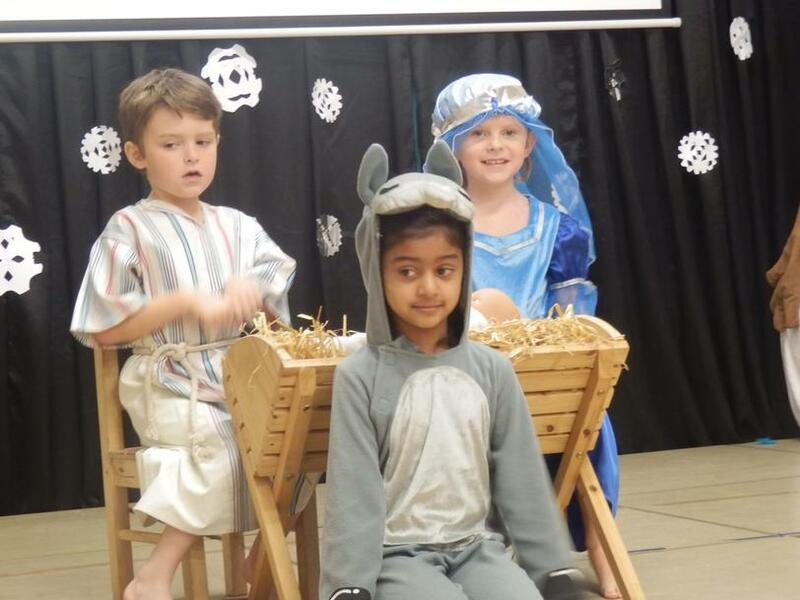 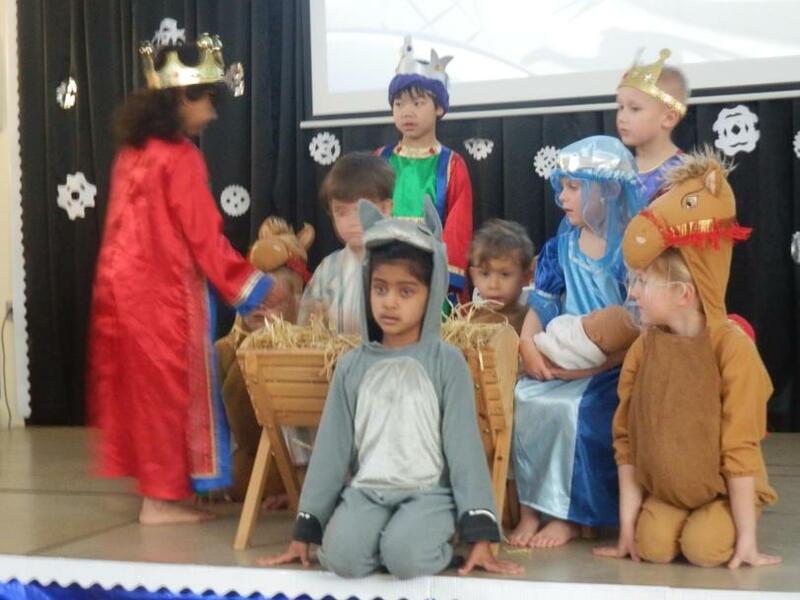 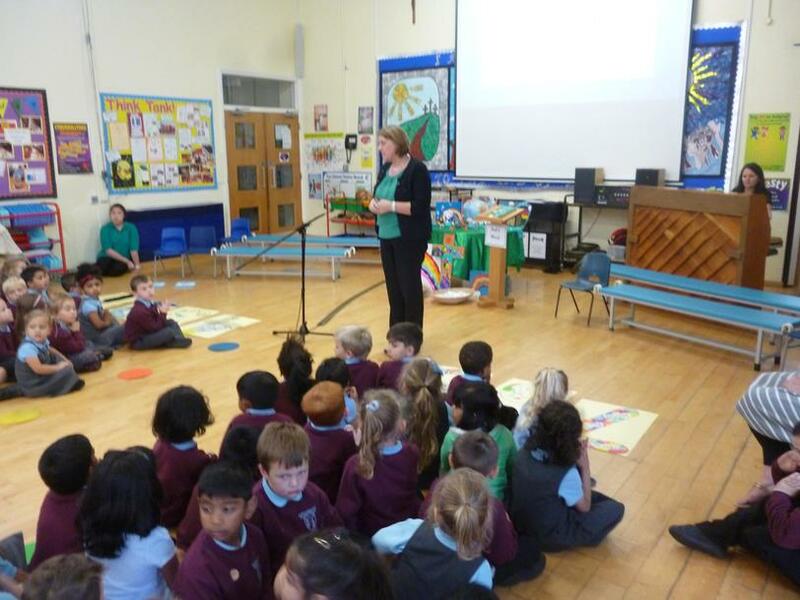 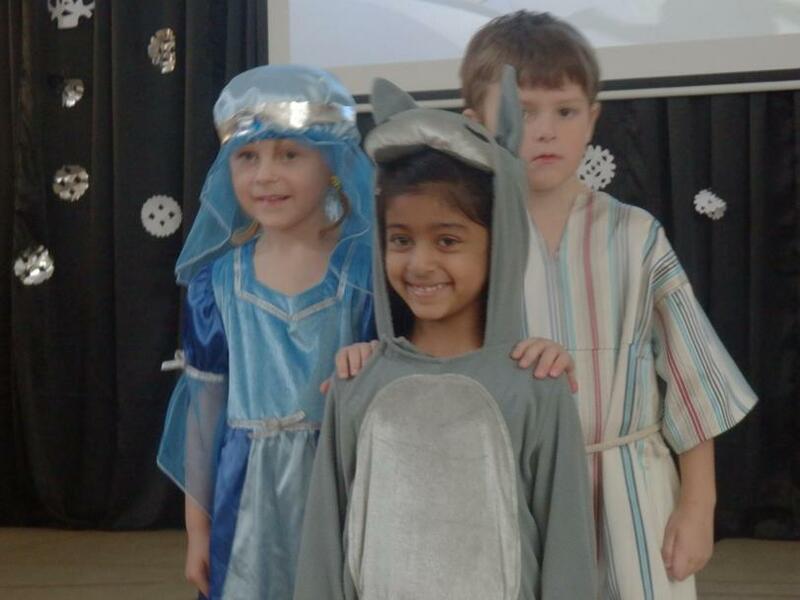 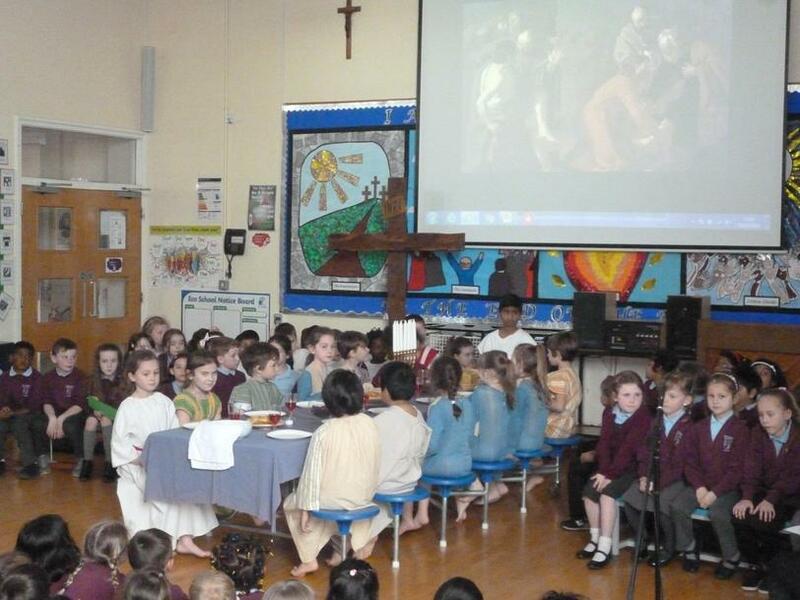 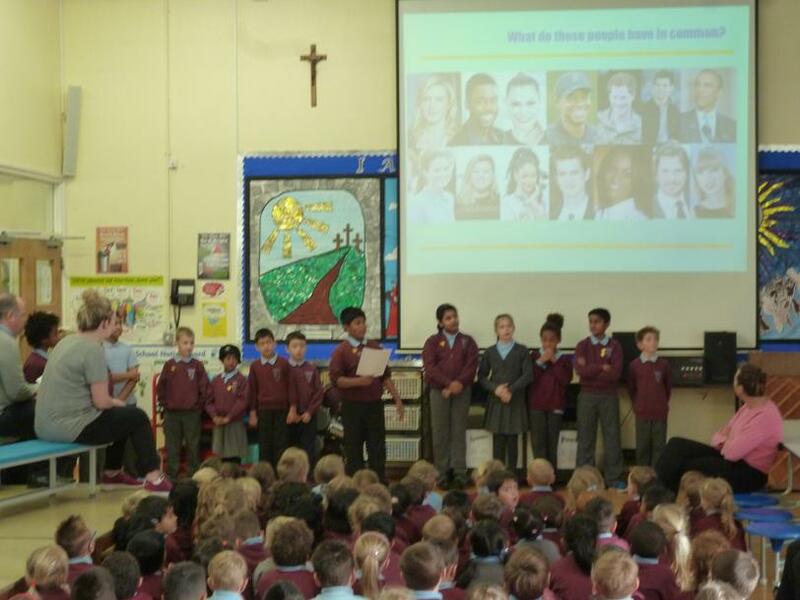 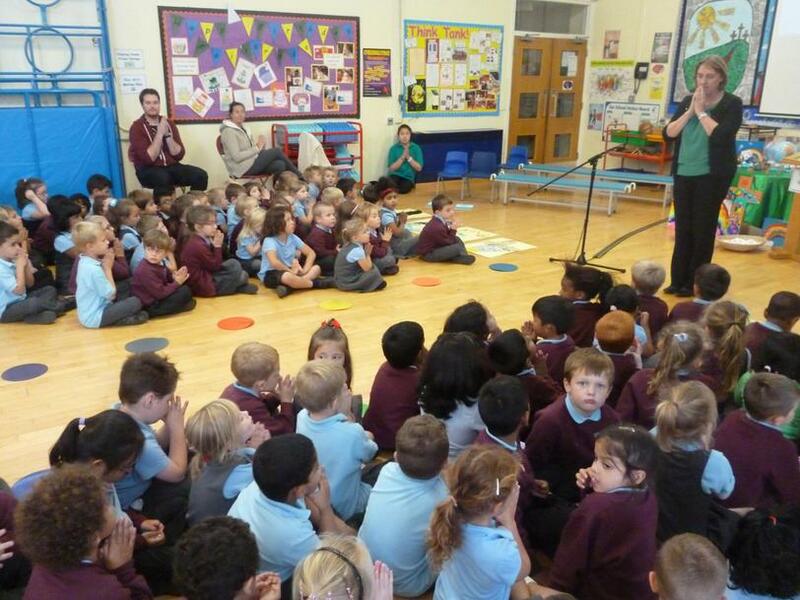 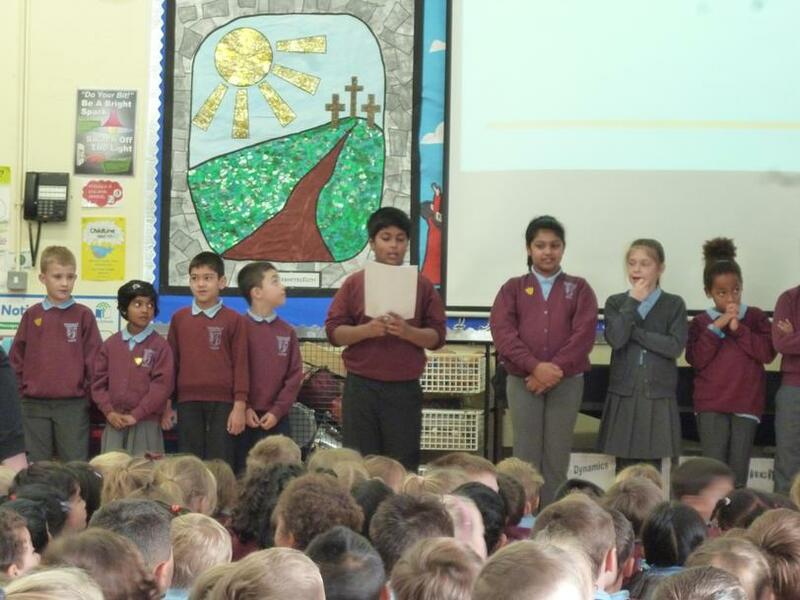 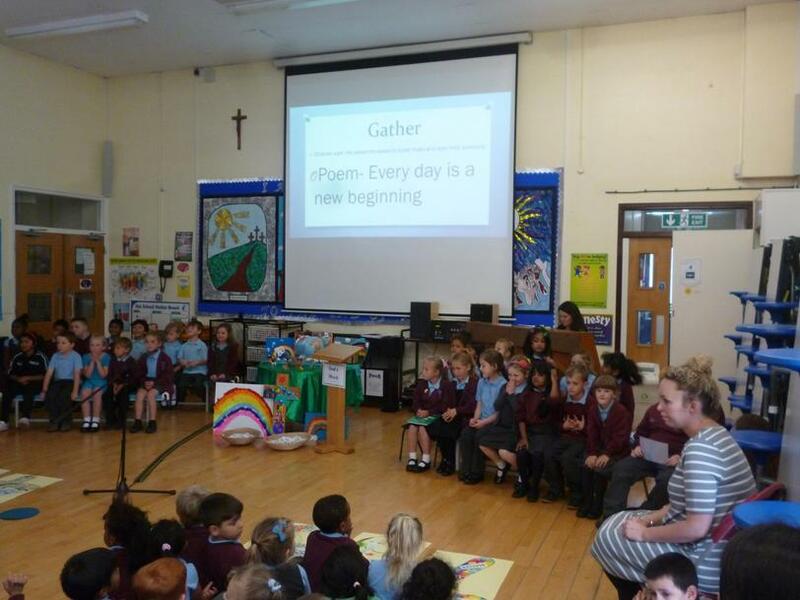 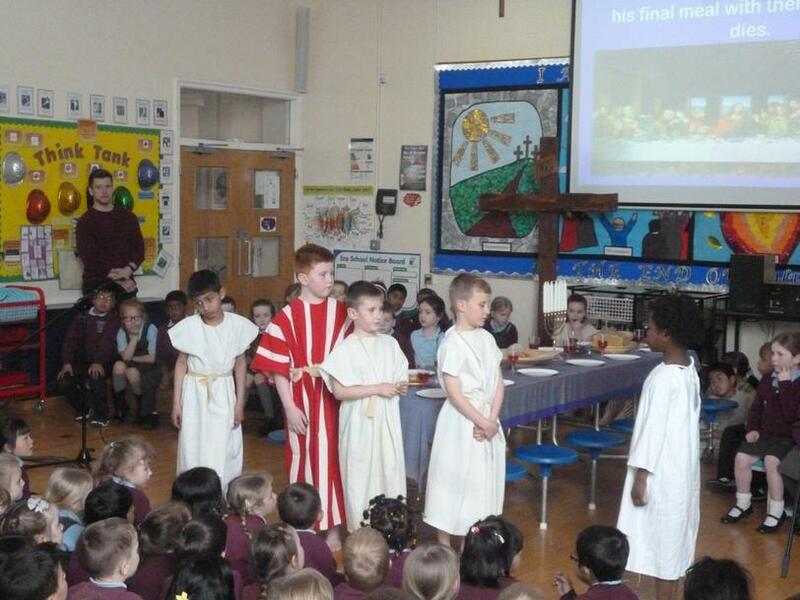 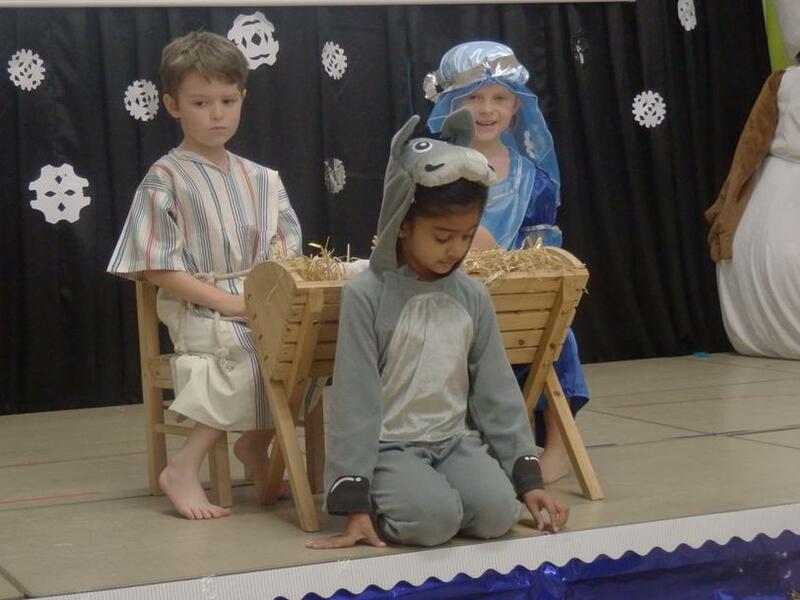 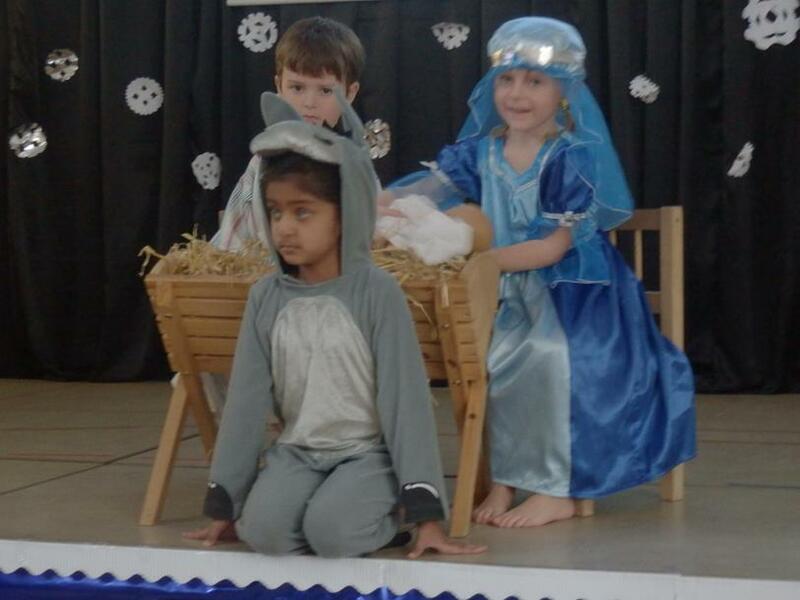 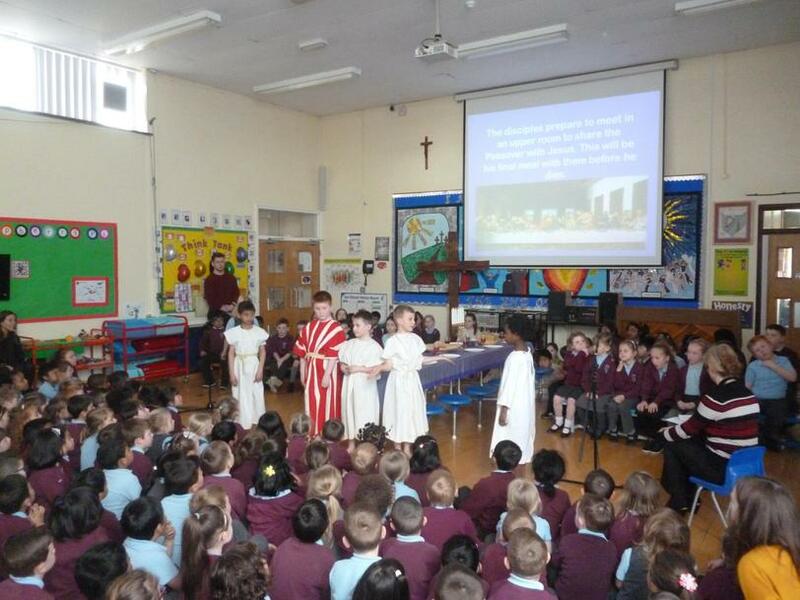 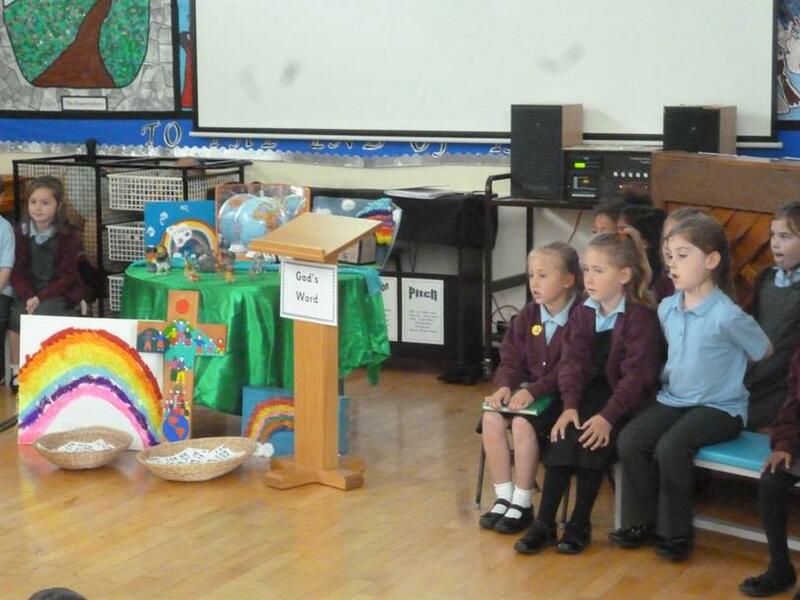 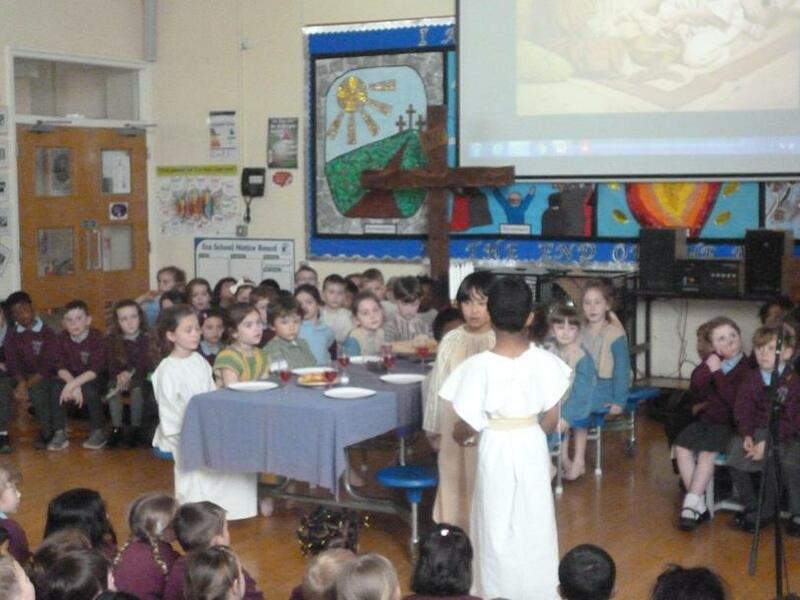 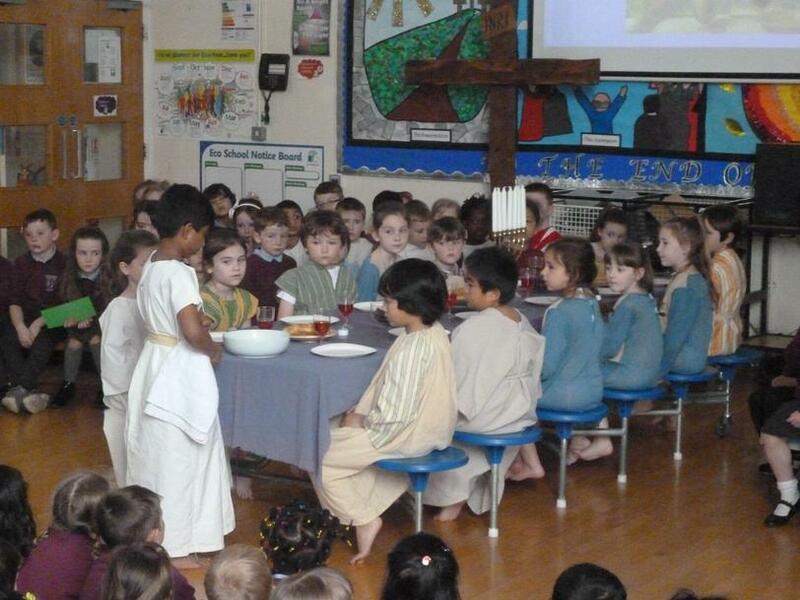 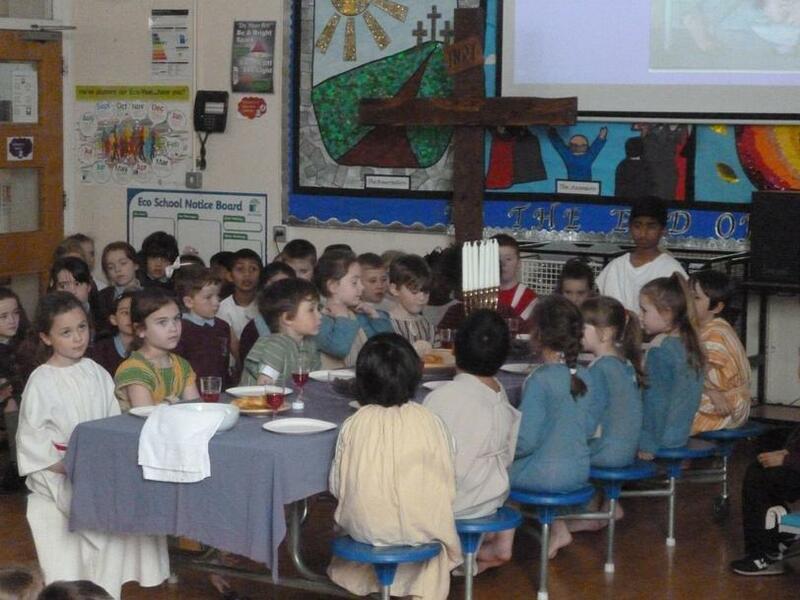 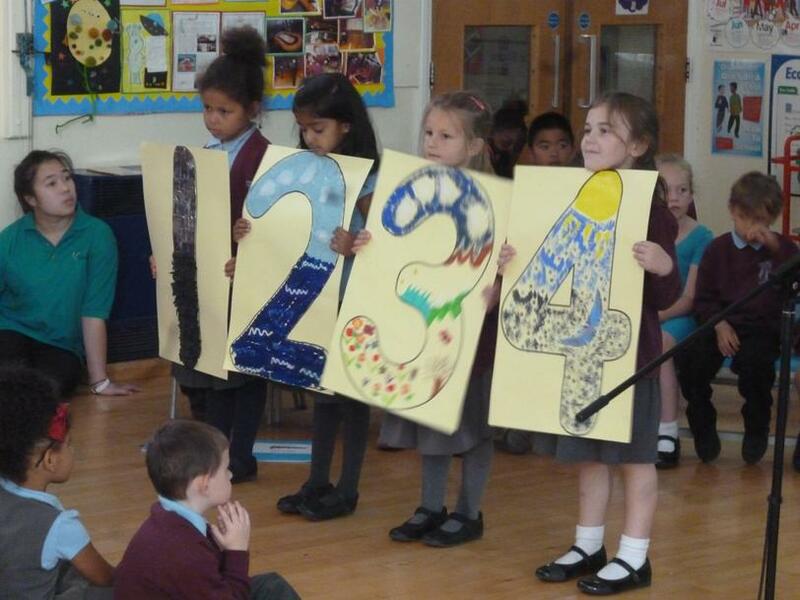 Year 2's Holy Week assembly. 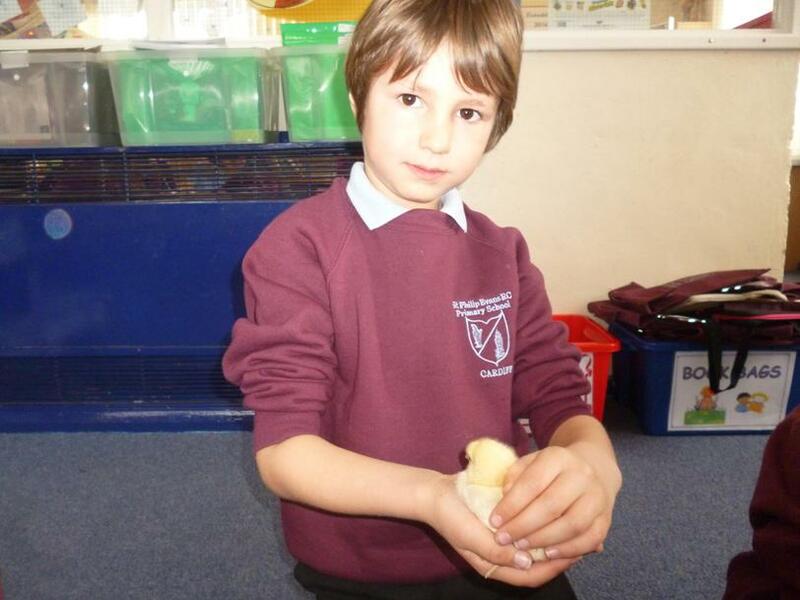 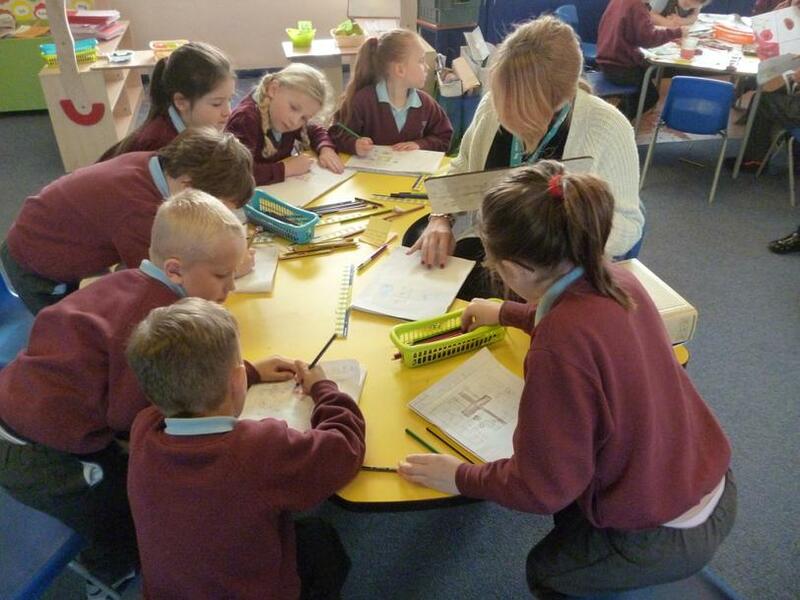 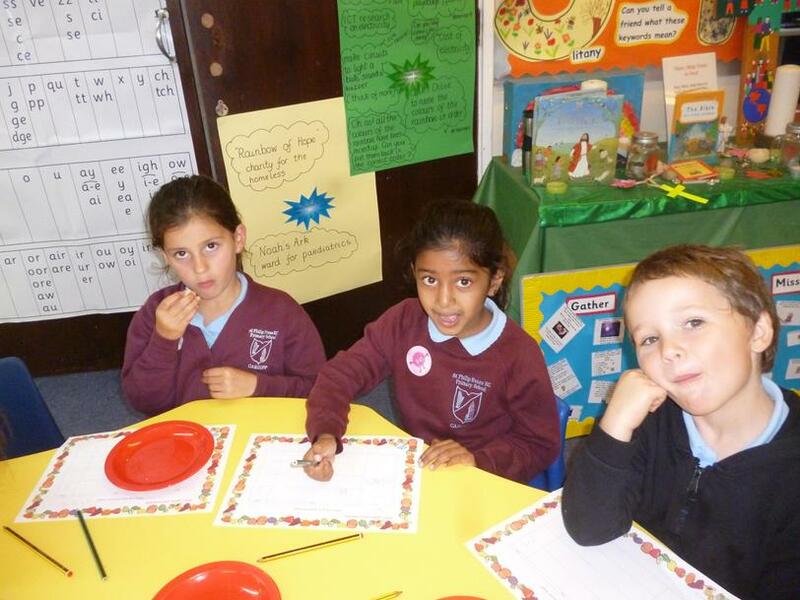 Busy week using lots of numeracy and literacy skills. 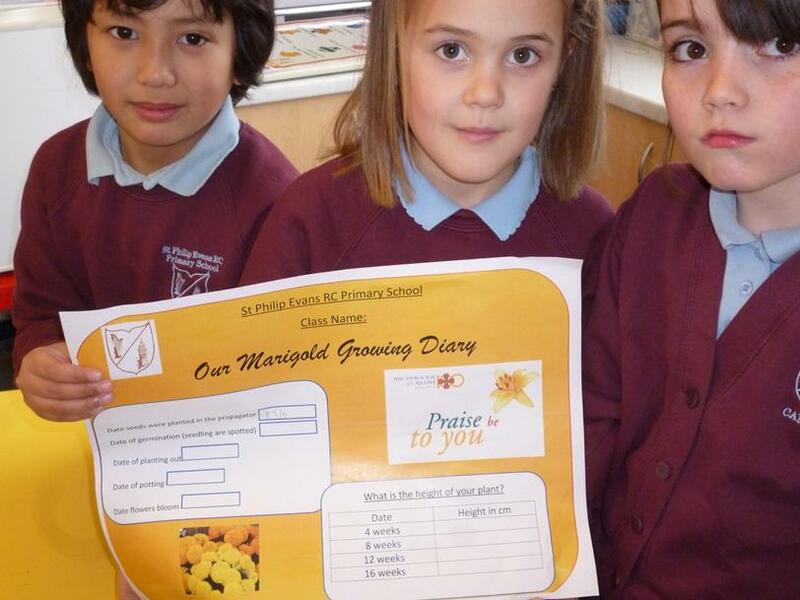 Growing plants for the Archbishop. 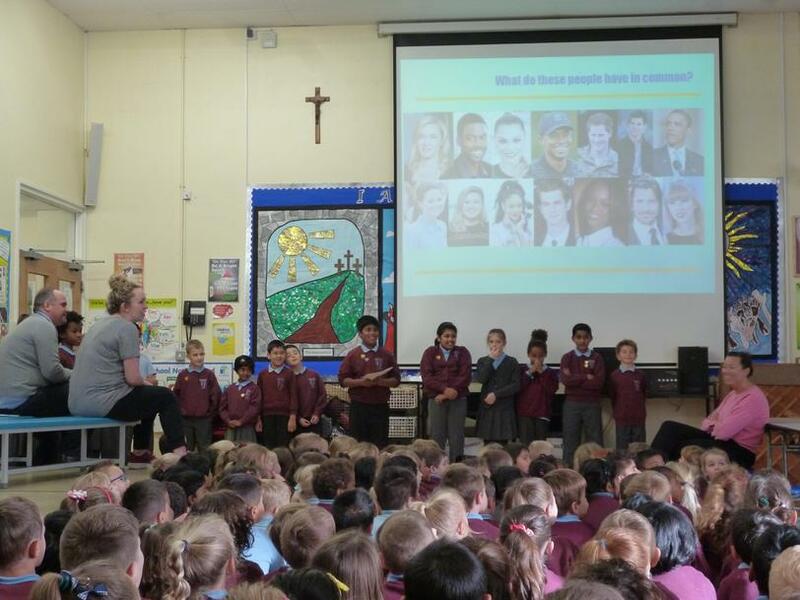 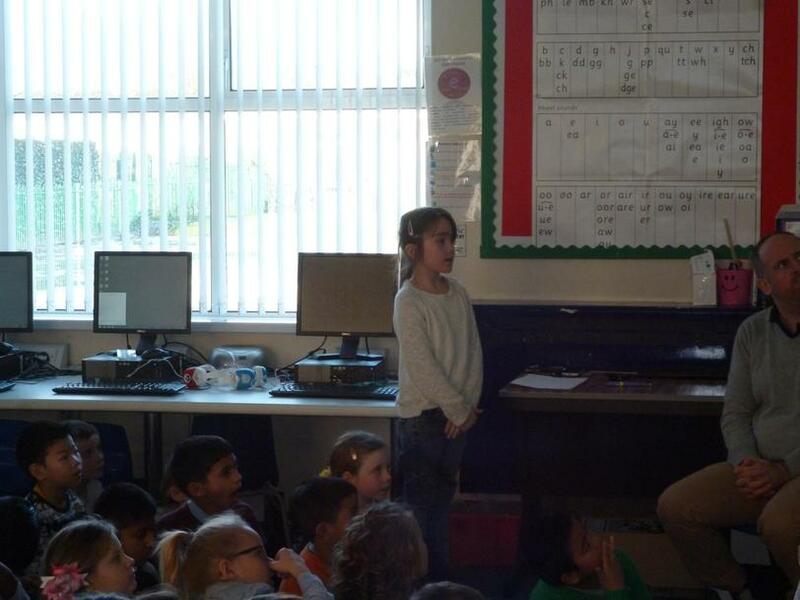 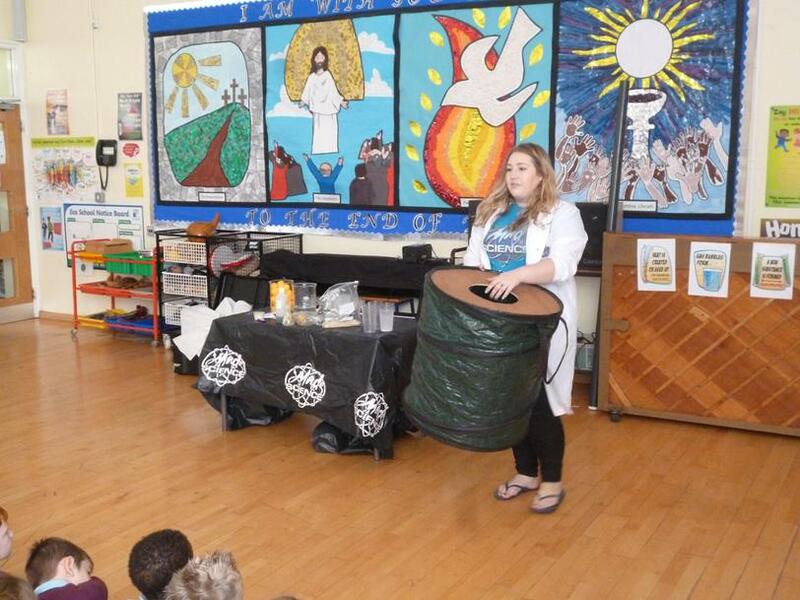 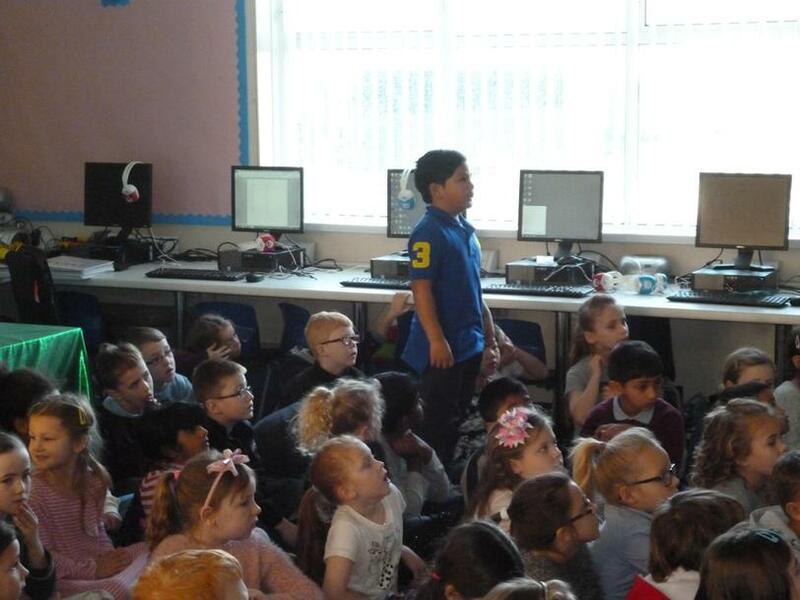 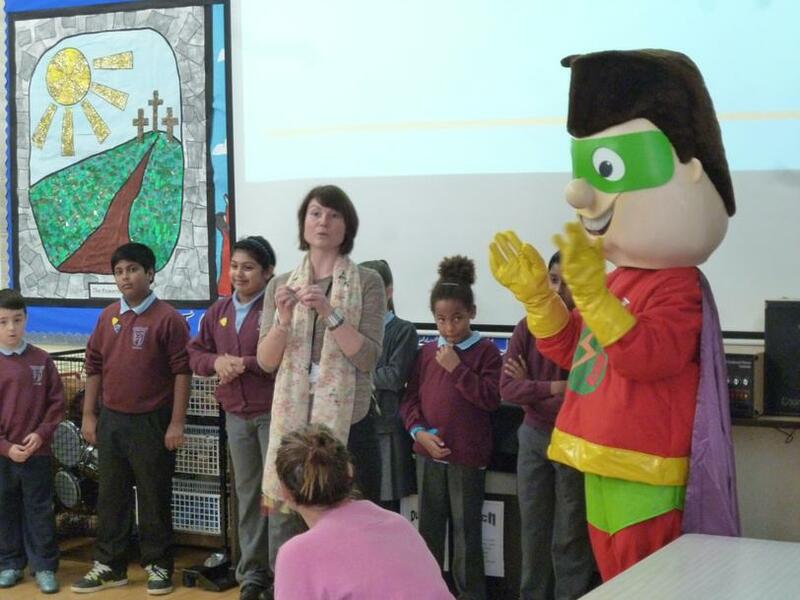 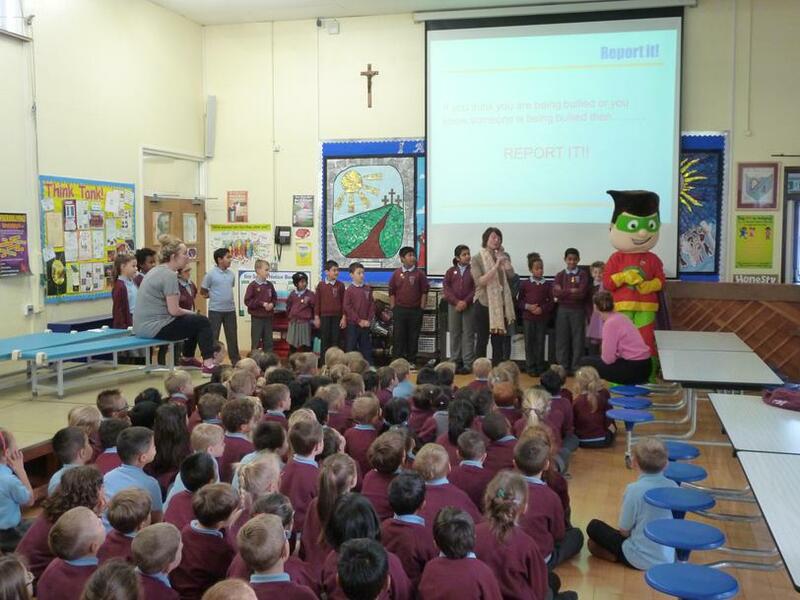 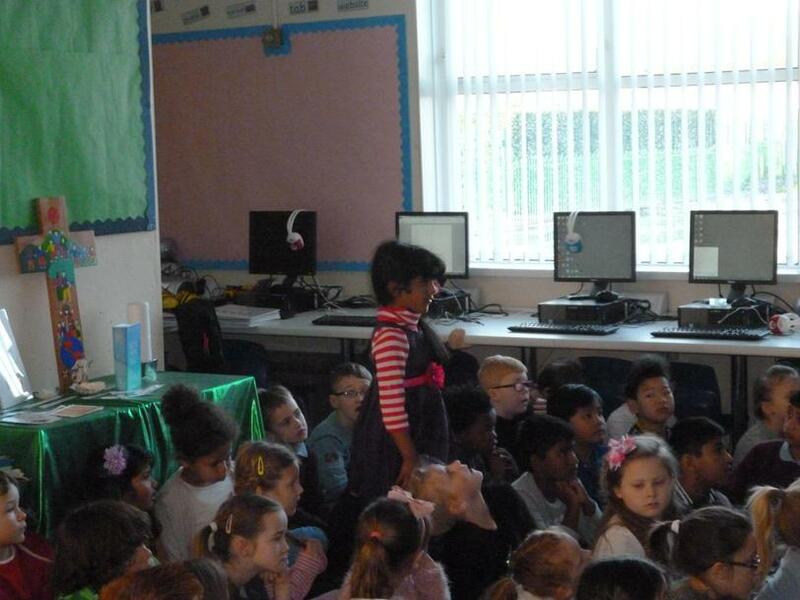 This week, we have been learning about the importance of Fairtrade and buying Fairtrade products. 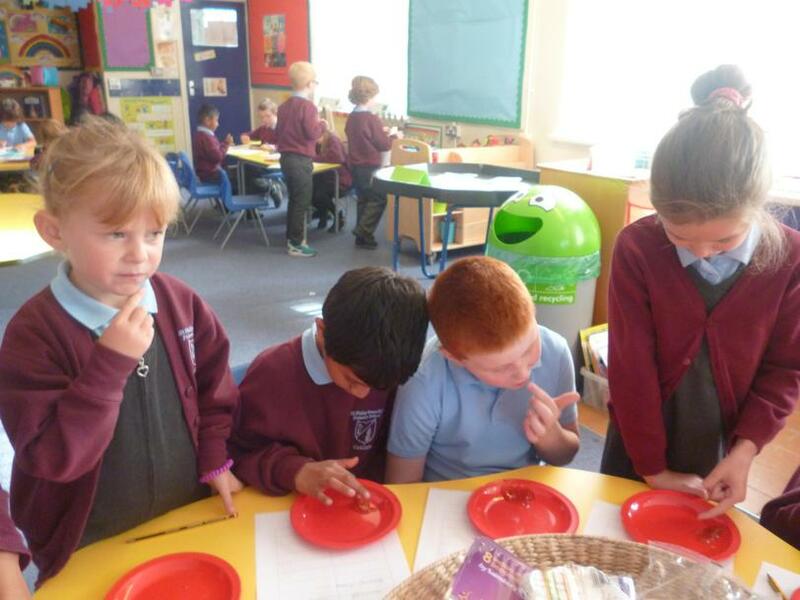 We managed to link our Literacy learning too, as our E-book was called, “Growing Chocolate.” One of our first learning experiences was to decide if statements about chocolate were true or false. 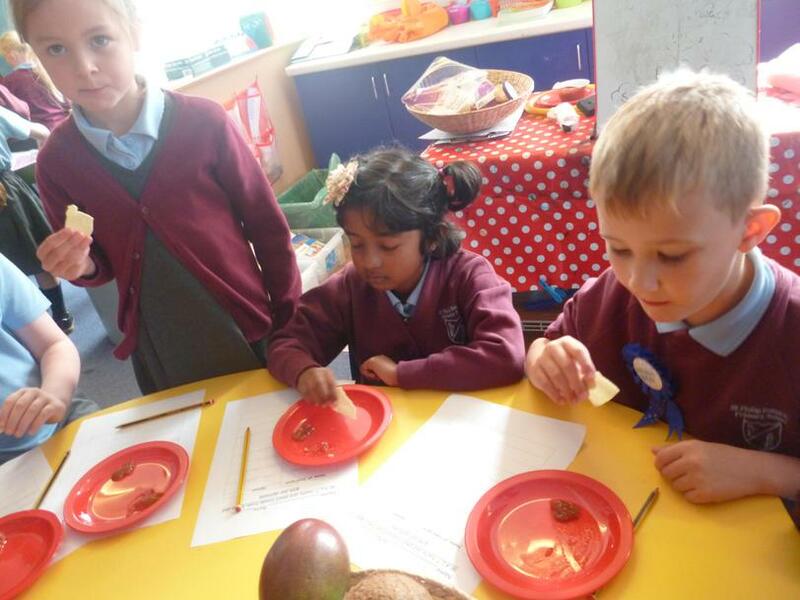 Evie was even able to record how Fairtarde chocolate pods look when they are growing and when they are ripe, by using her information retrieval skills. 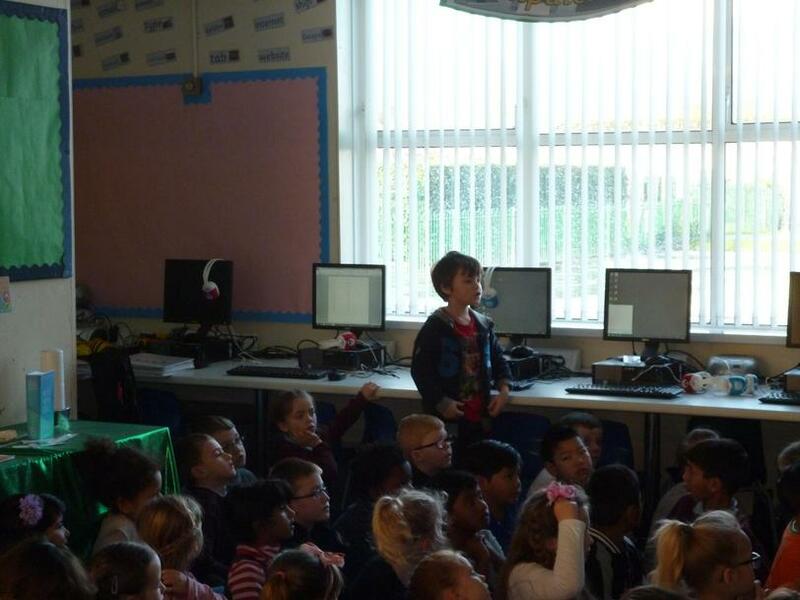 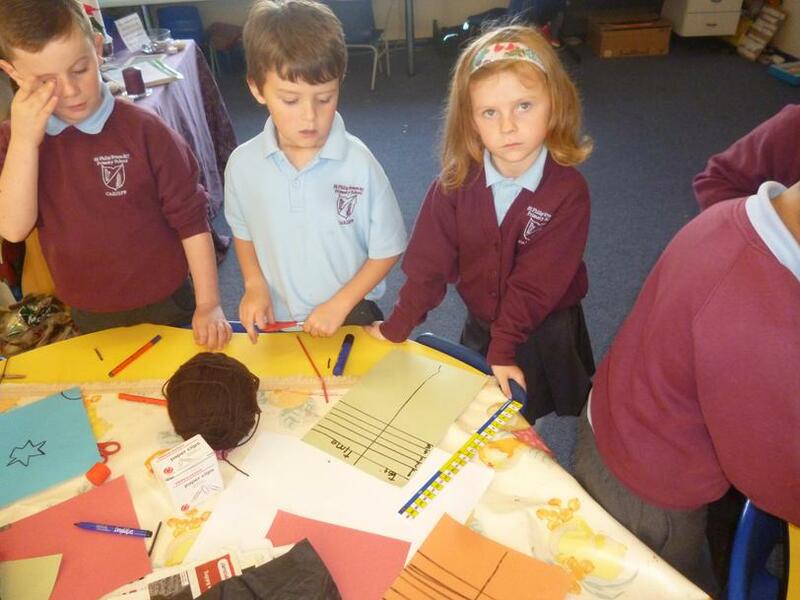 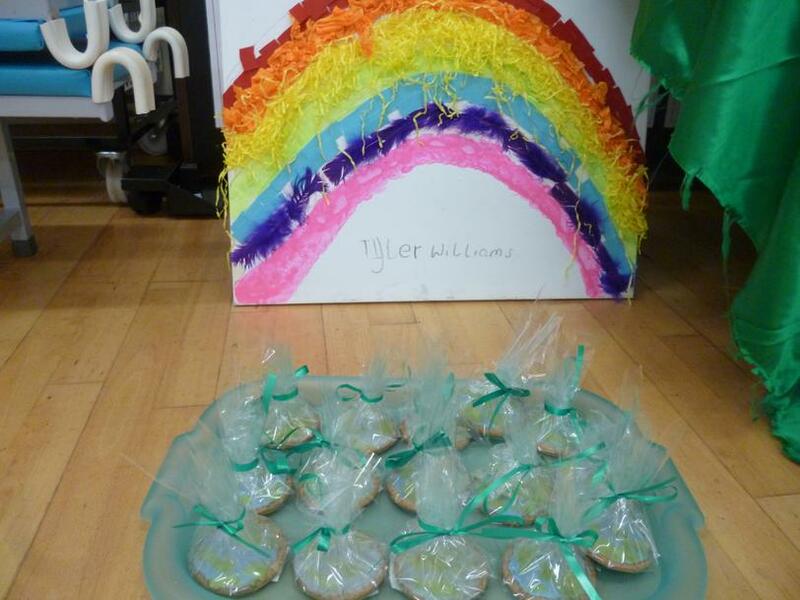 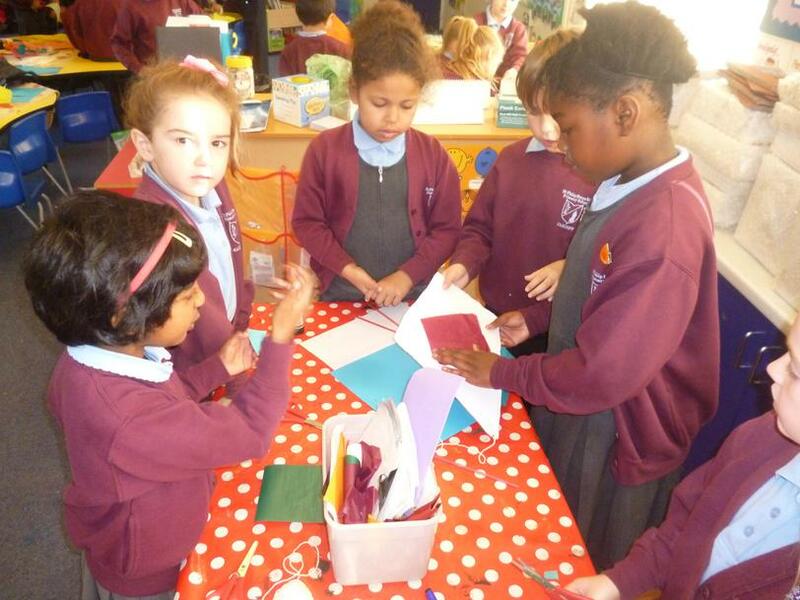 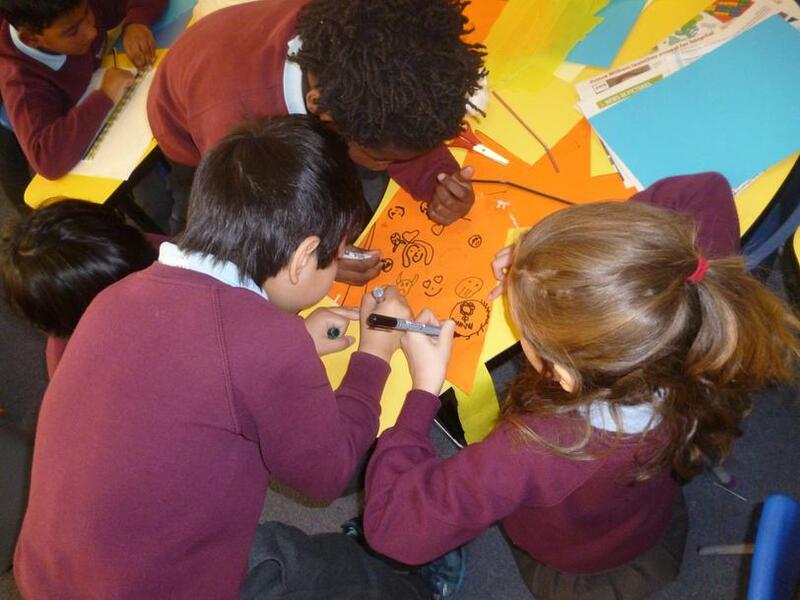 The learners then designed and produced their own Fairtrade flag and recorded some facts that they remembered. 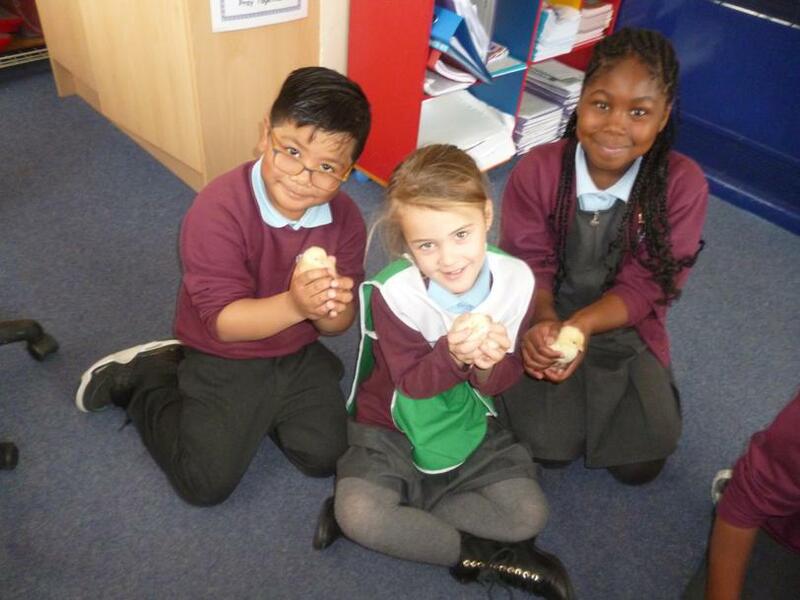 We have really enjoyed developing our knowledge of Fairtrade. 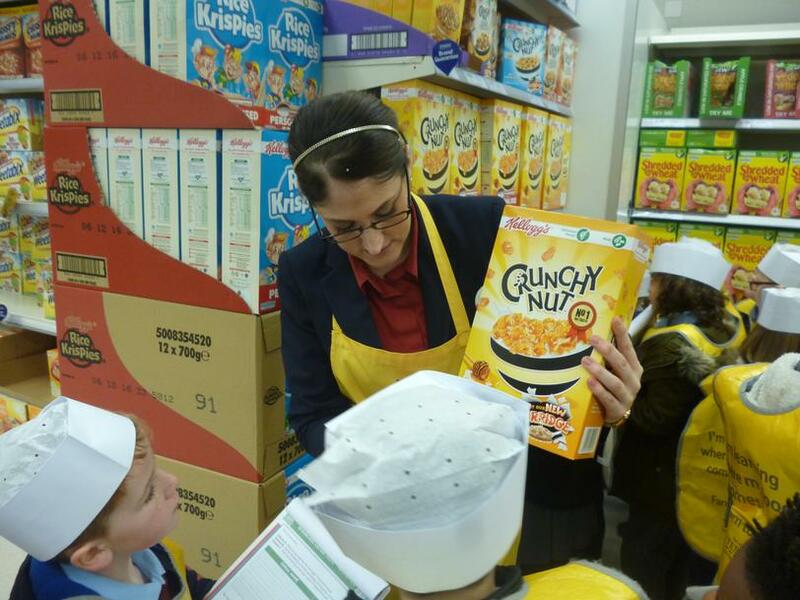 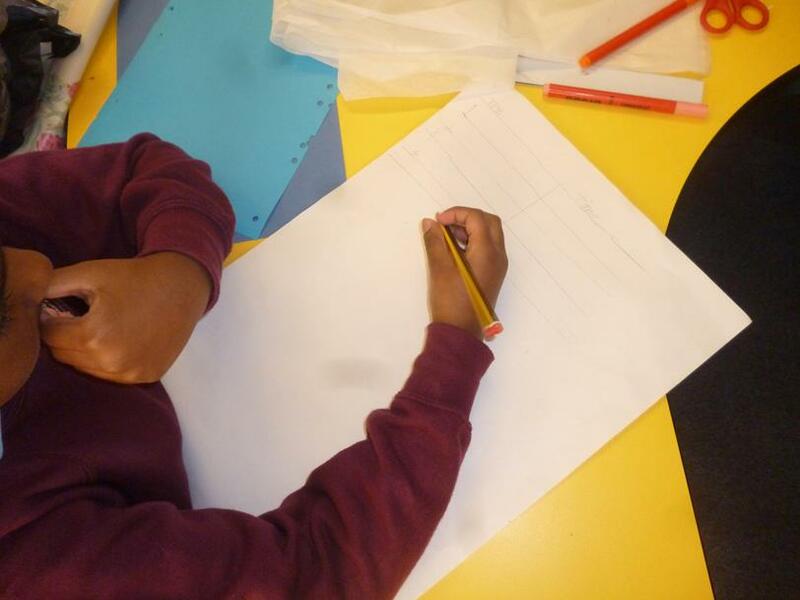 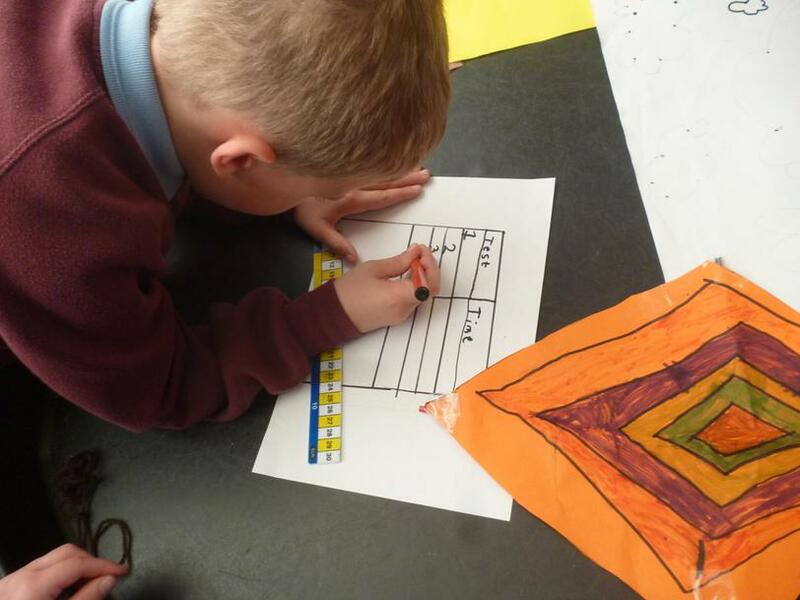 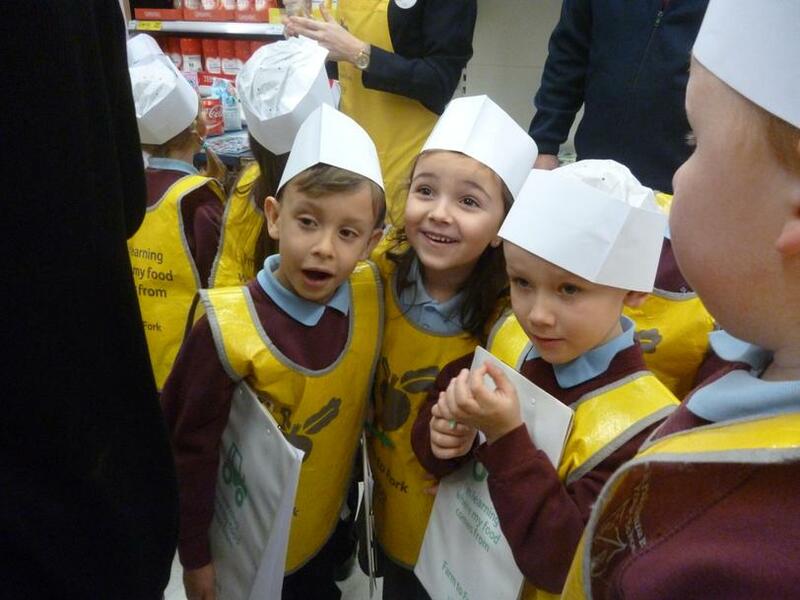 This week, we have been using the skills that we have been taught in our Language, Literacy and Communication lessons to write about the different jobs that people carry out in supermarkets. 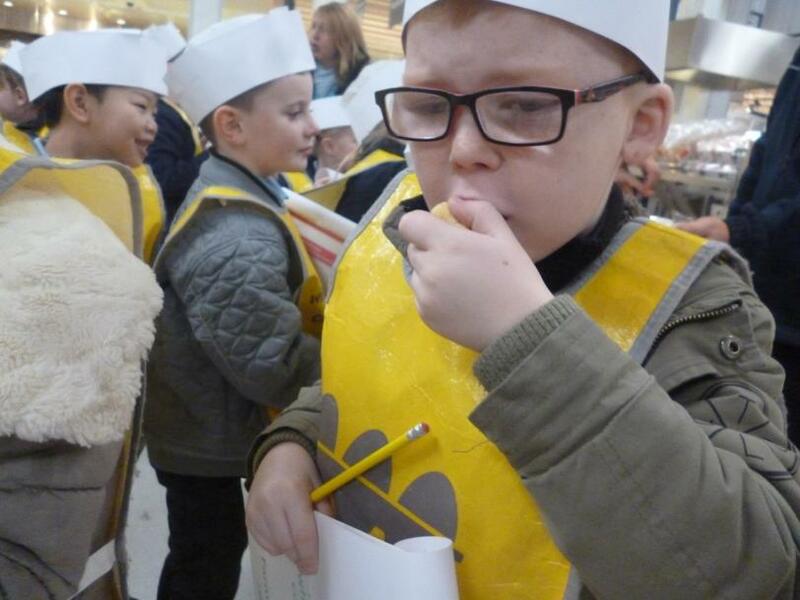 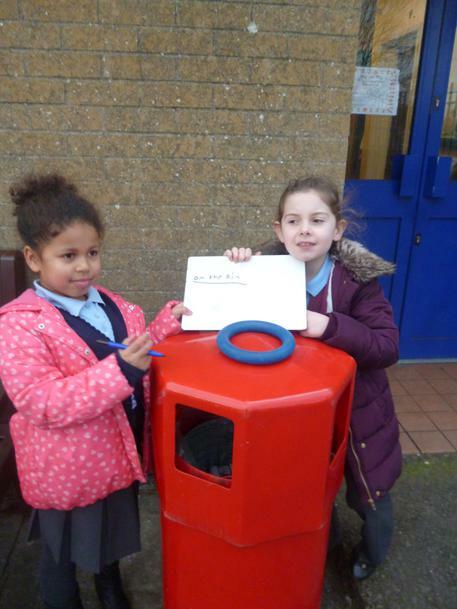 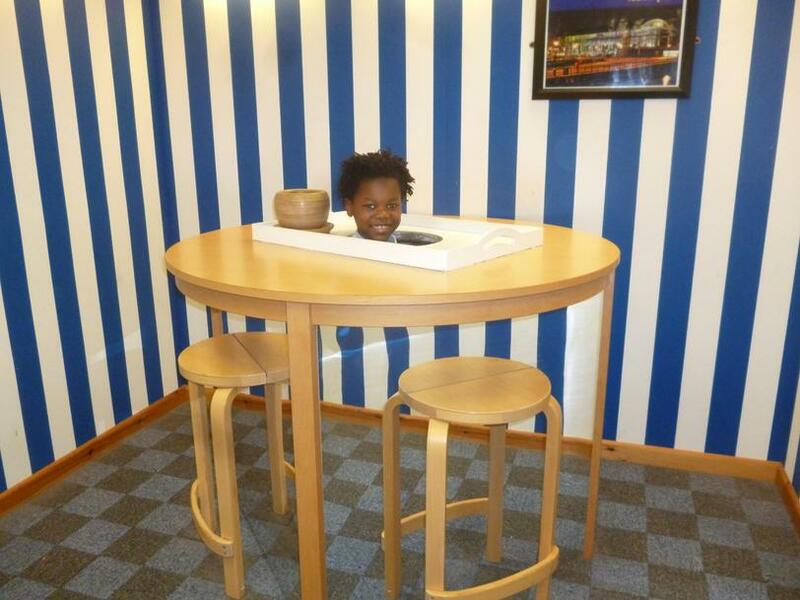 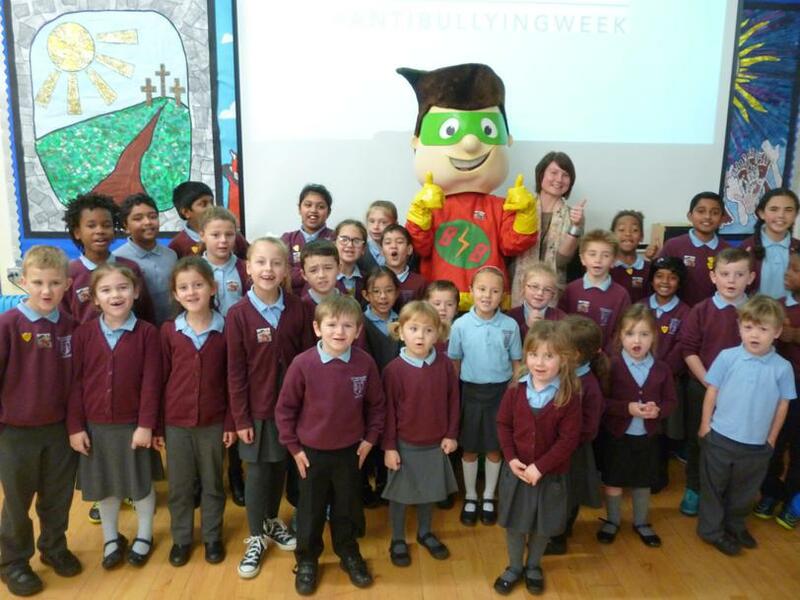 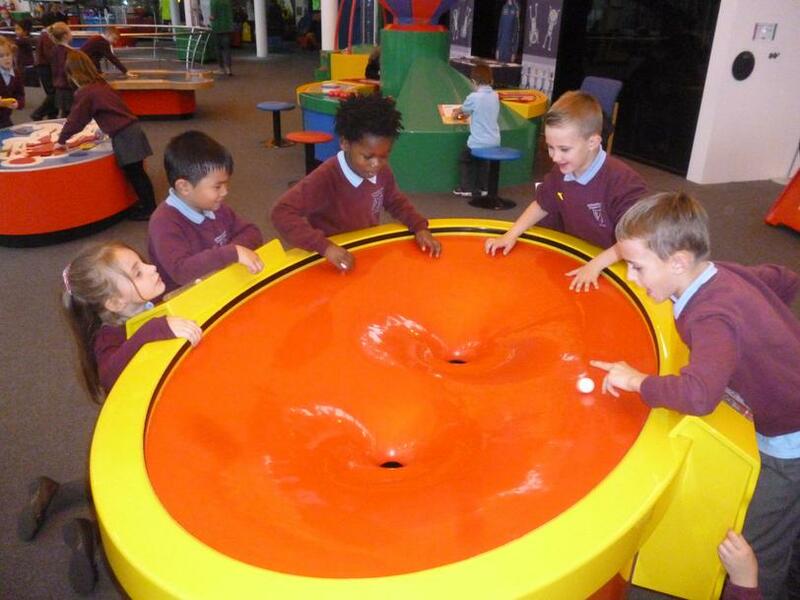 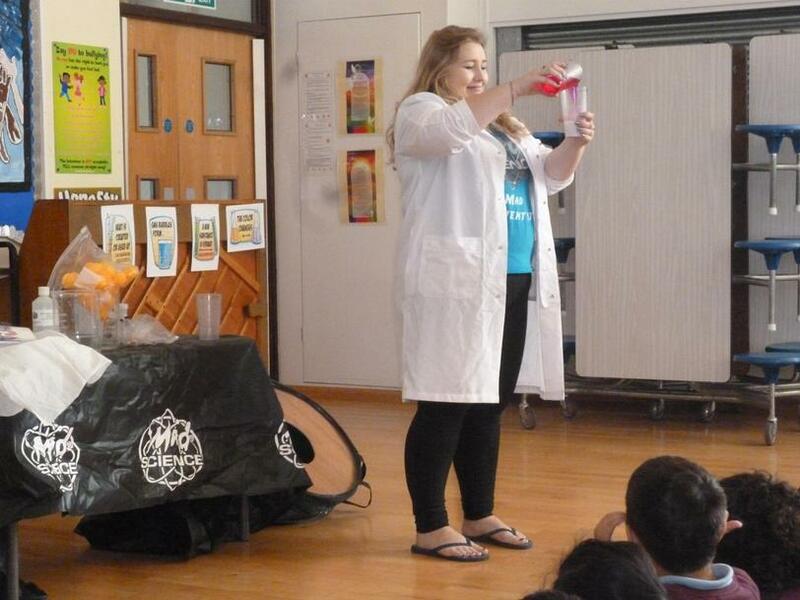 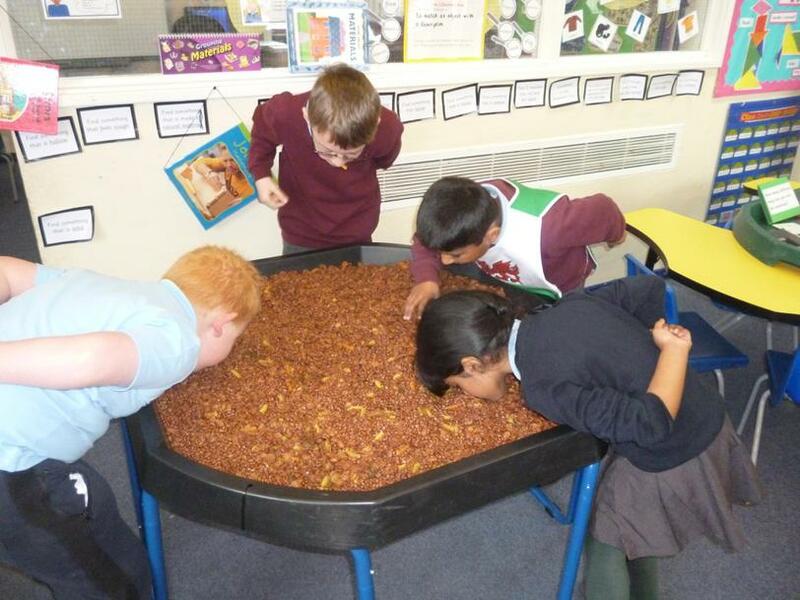 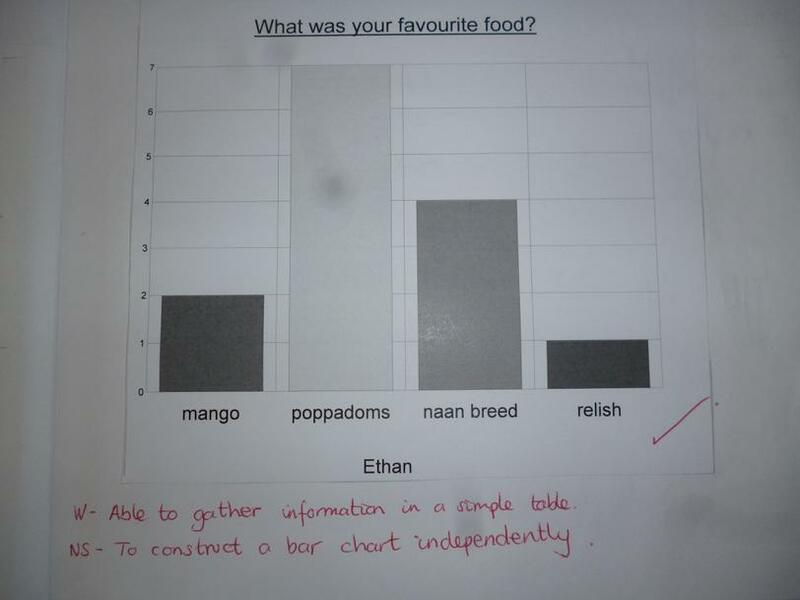 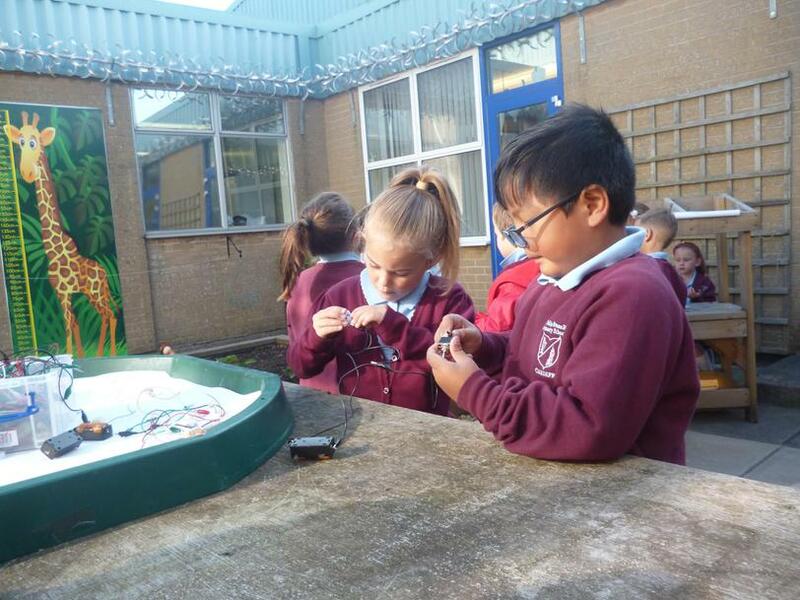 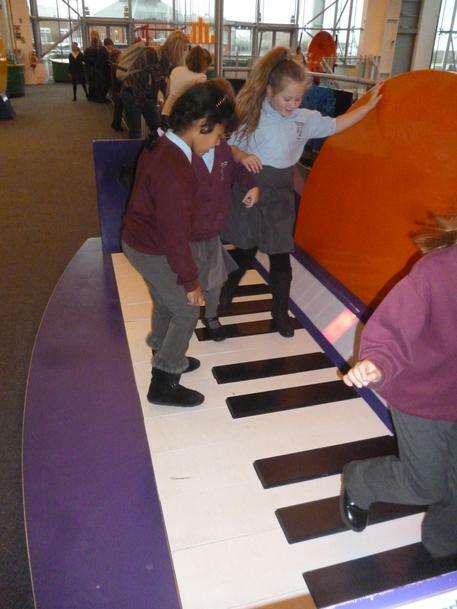 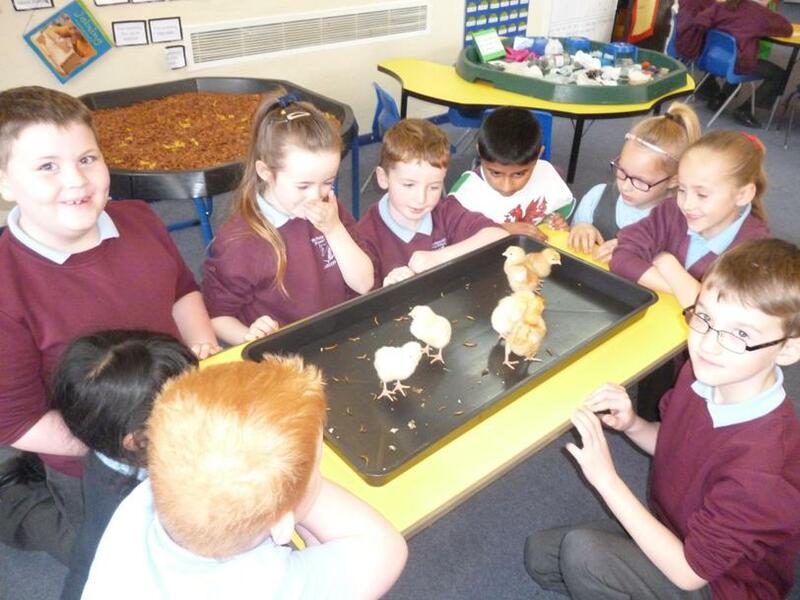 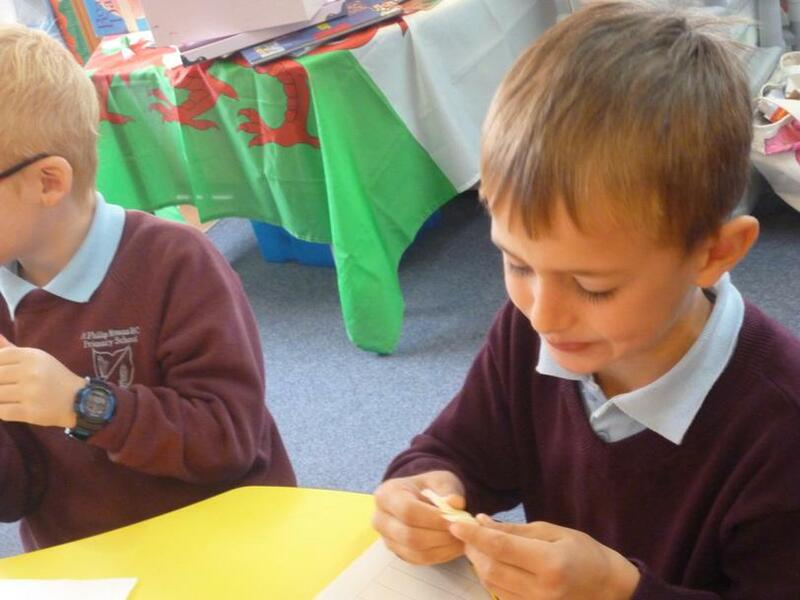 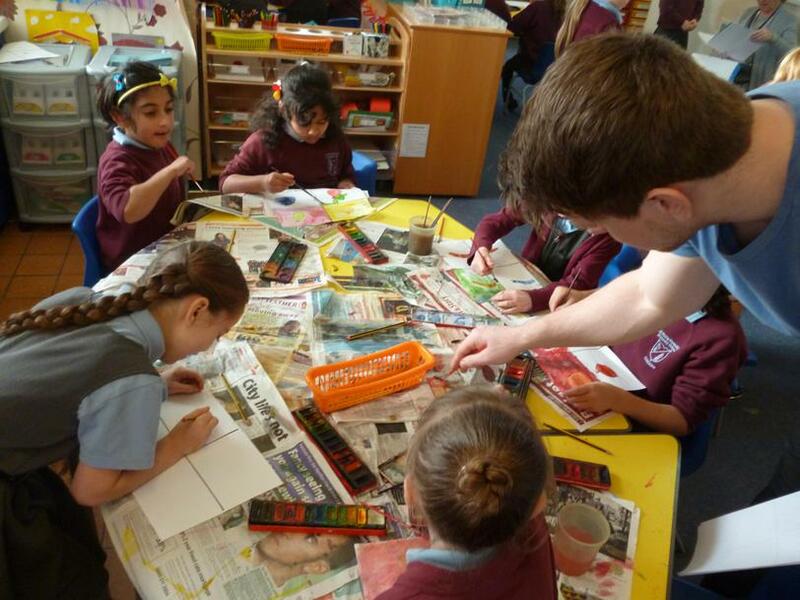 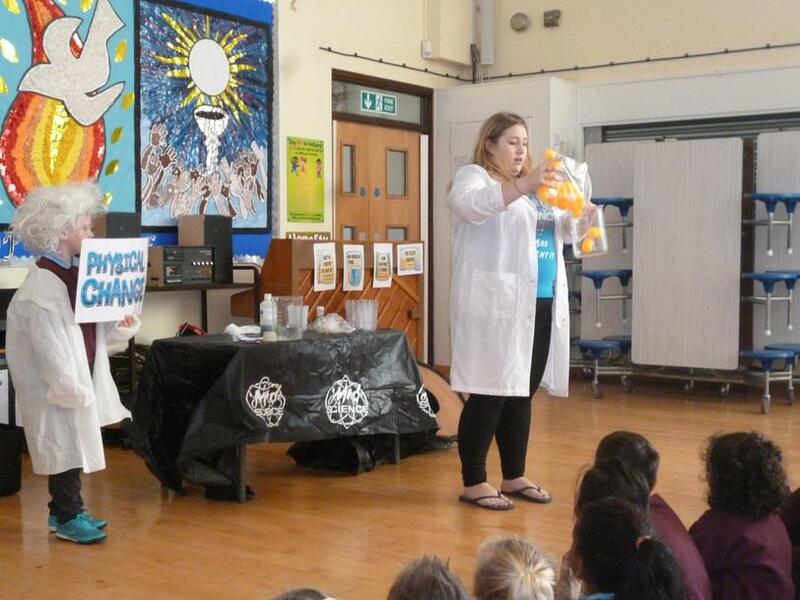 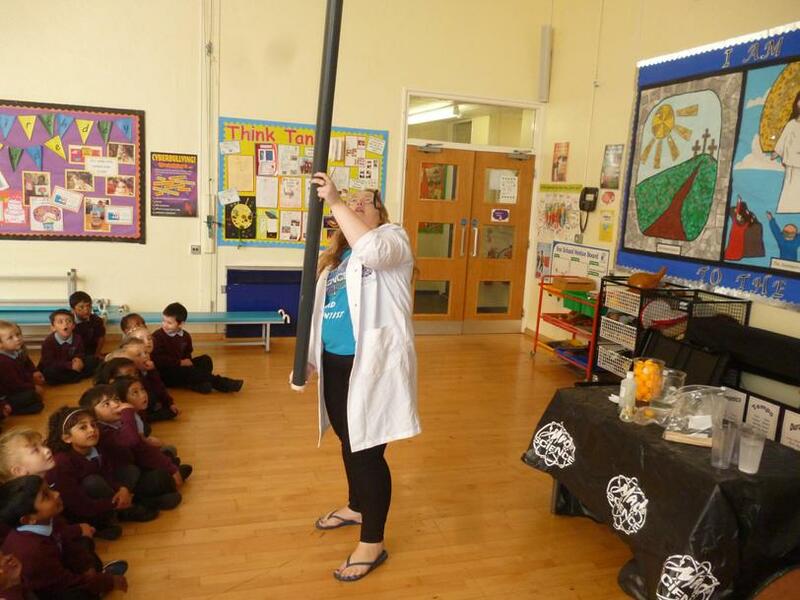 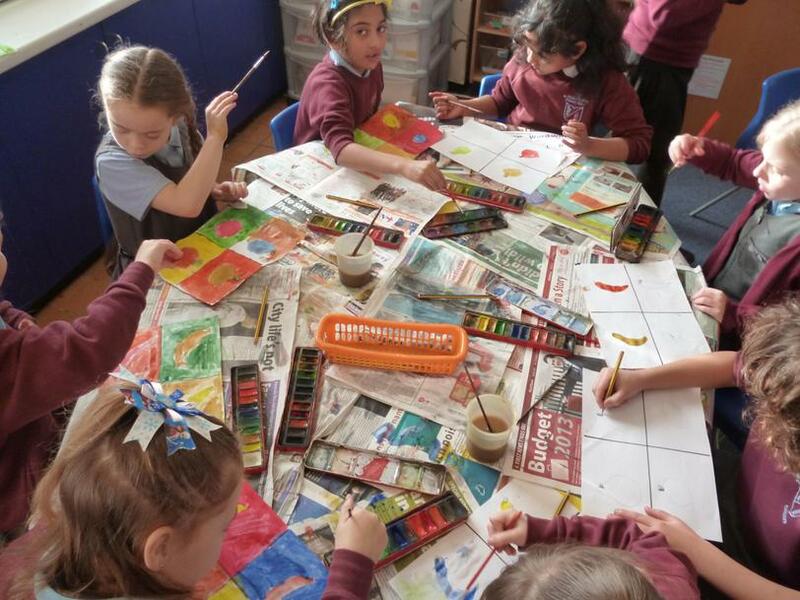 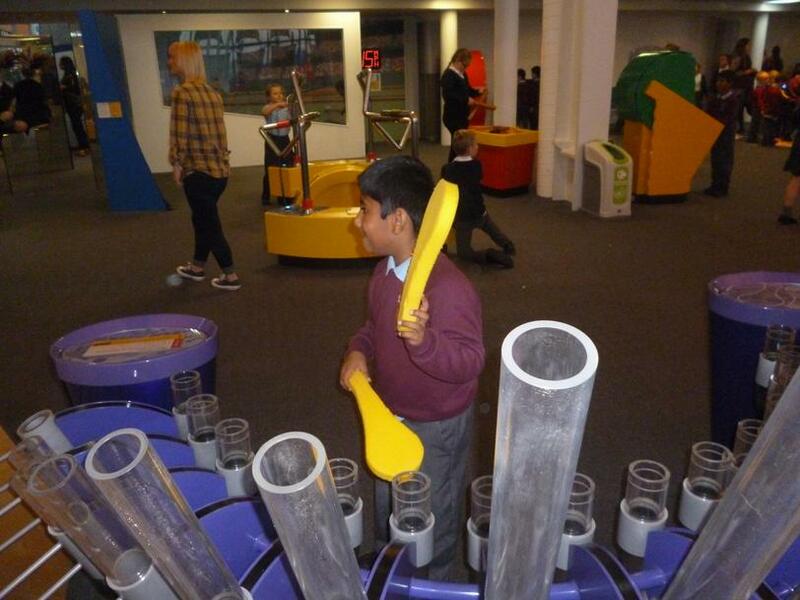 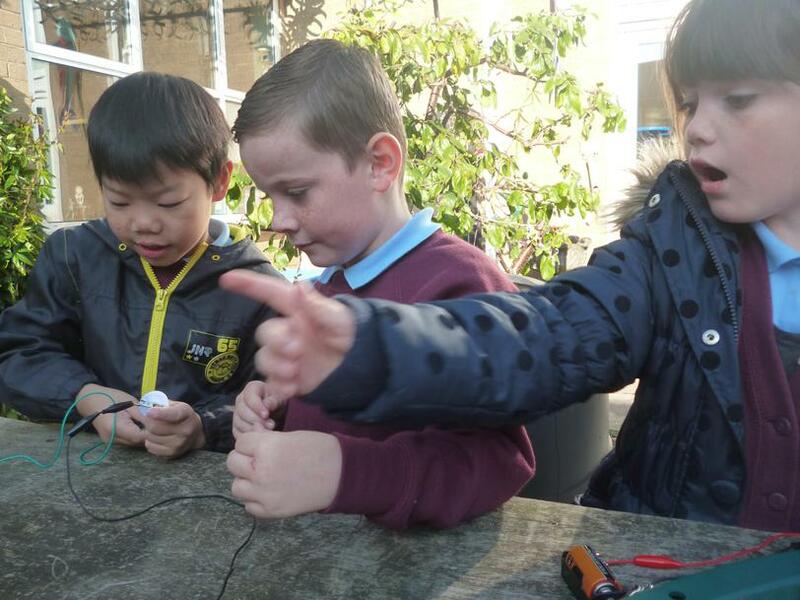 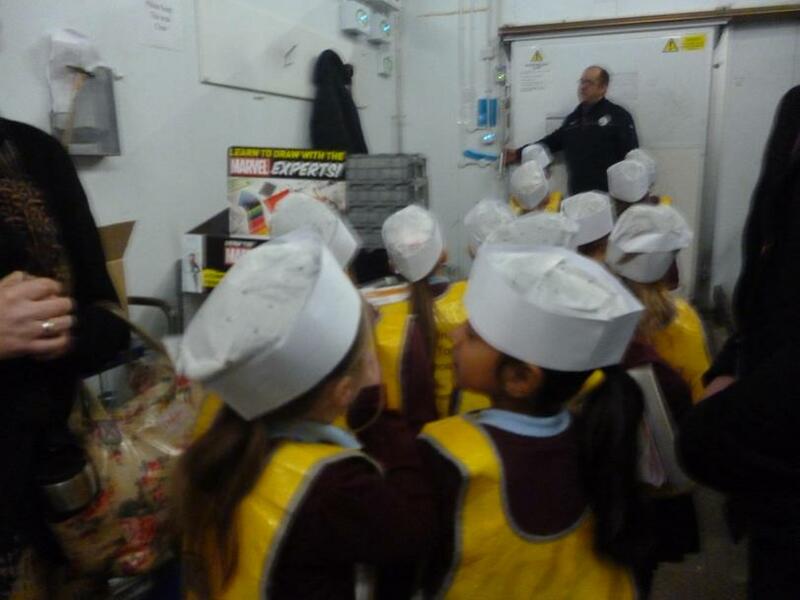 We were able to draw upon our prior learning because we gained so much information when we went on our educational visit to a large supermarket in Cardiff. 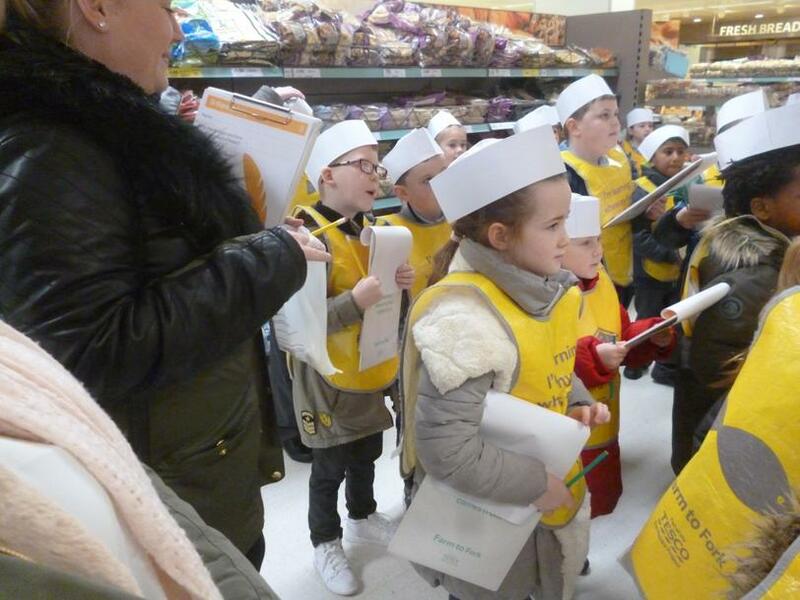 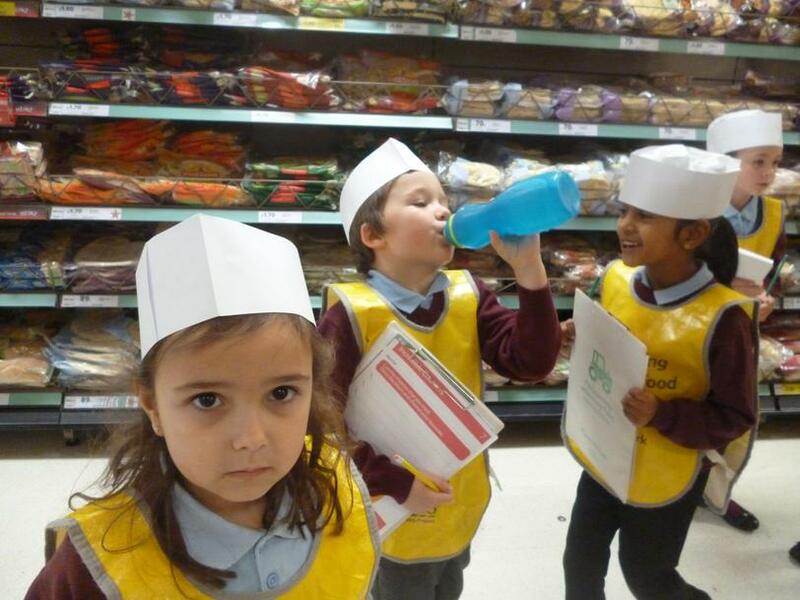 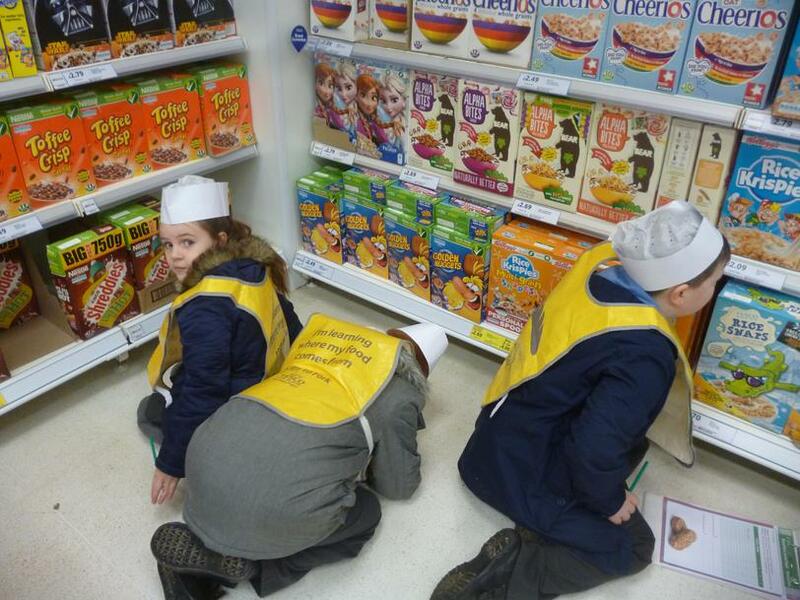 However, we did have to use our ‘thinking skills’ to remember facts, information and important details about life in a supermarket. 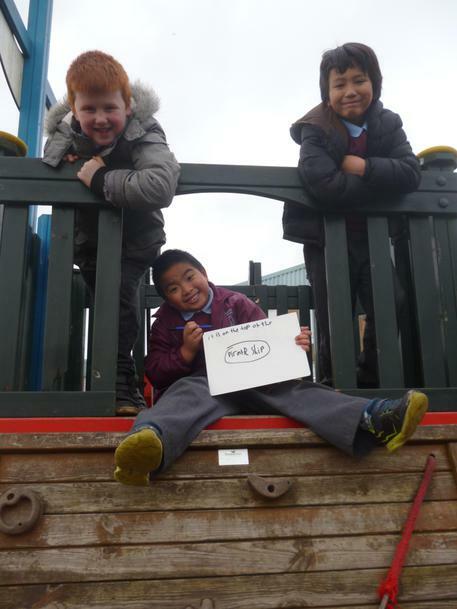 Here are some excellent examples of writing from Nevin, Francis and Lucia. 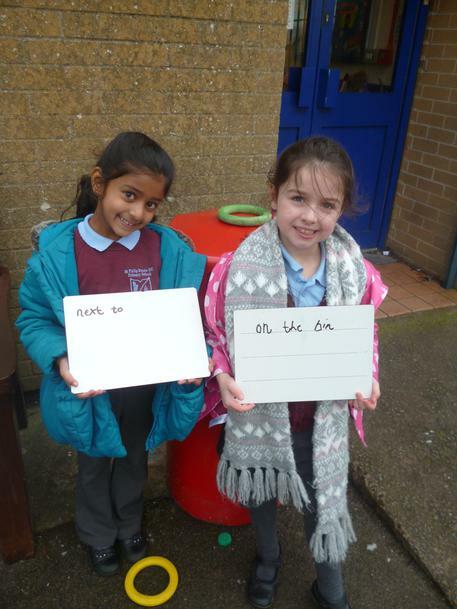 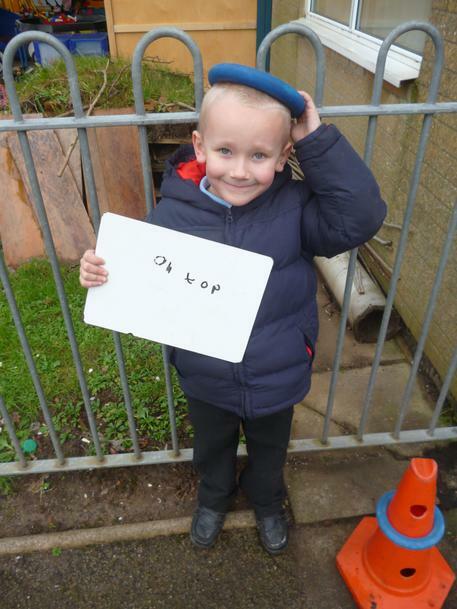 We have been learning to use positional language! 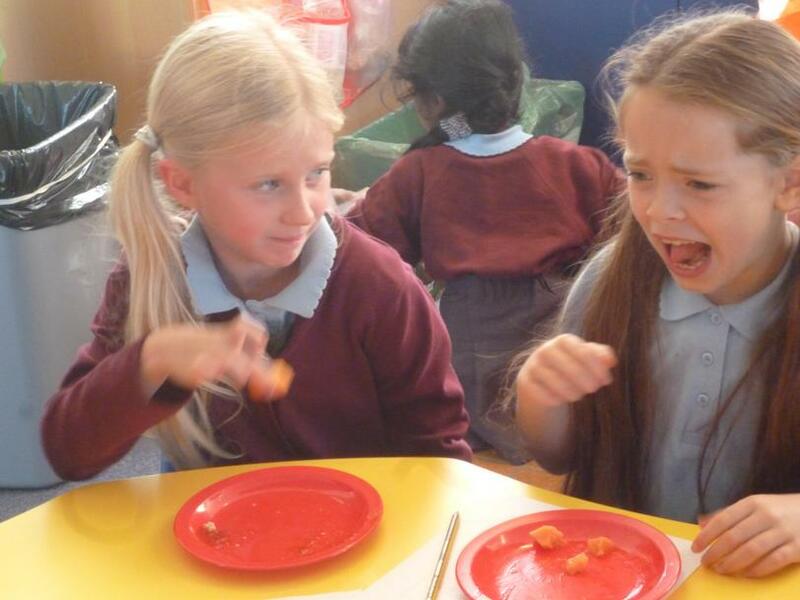 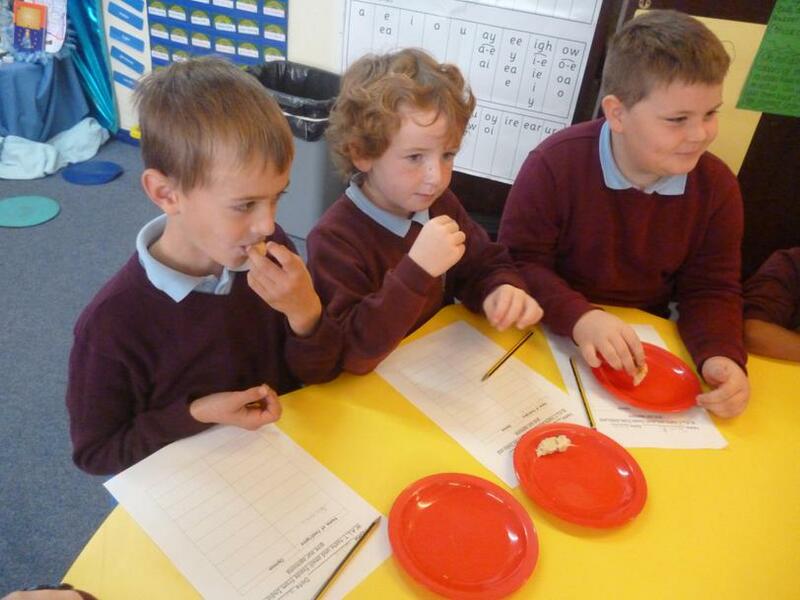 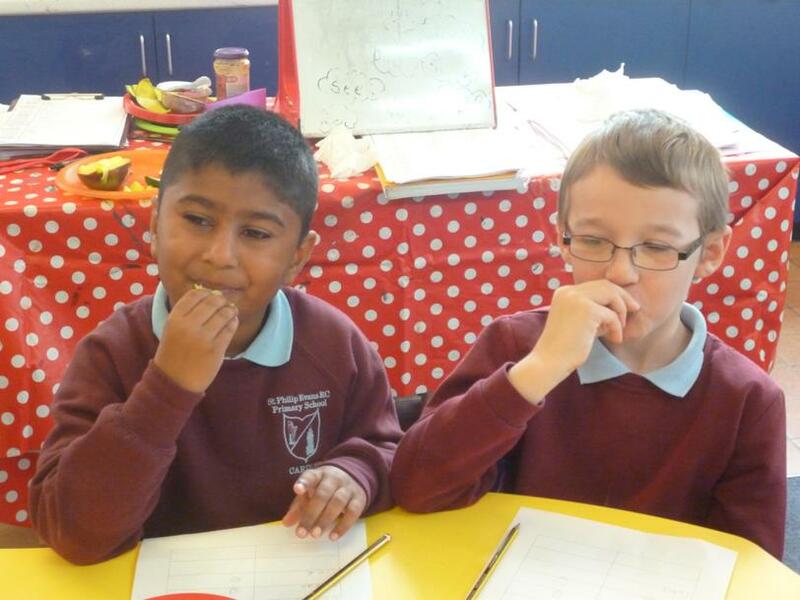 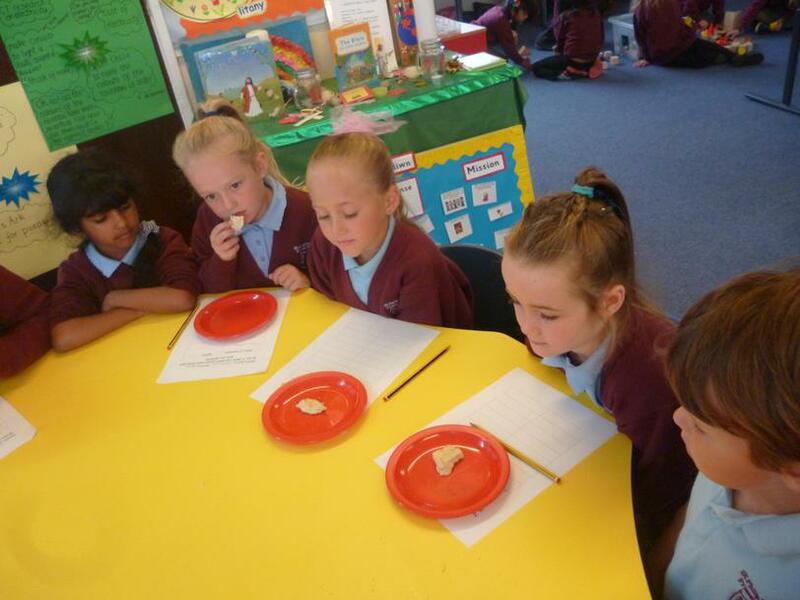 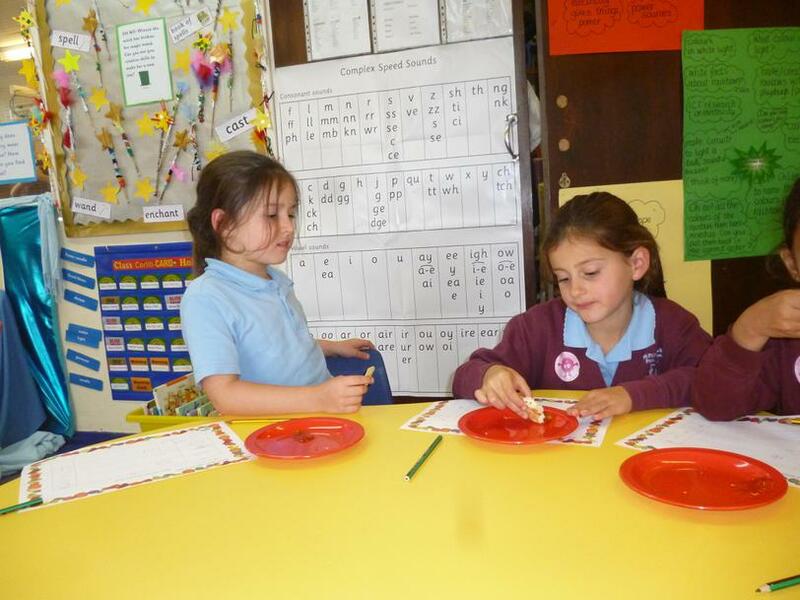 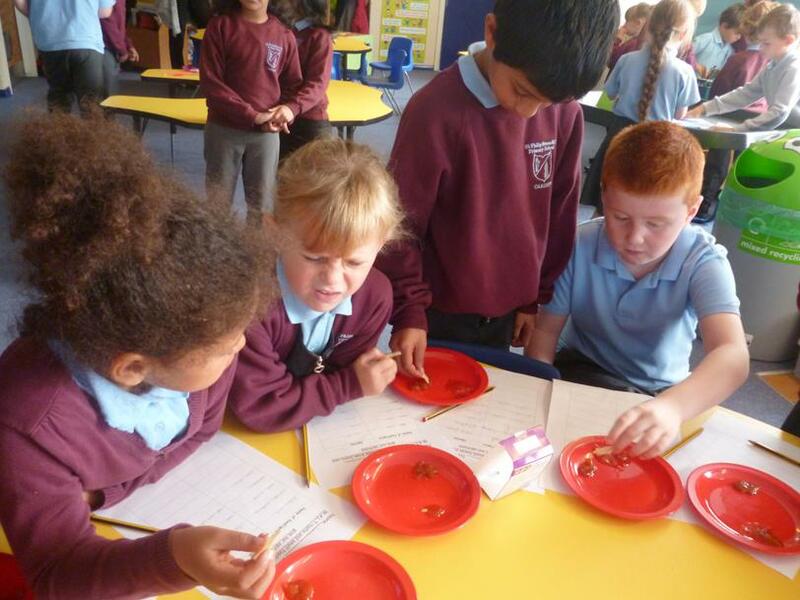 Comparing weights of different food items. 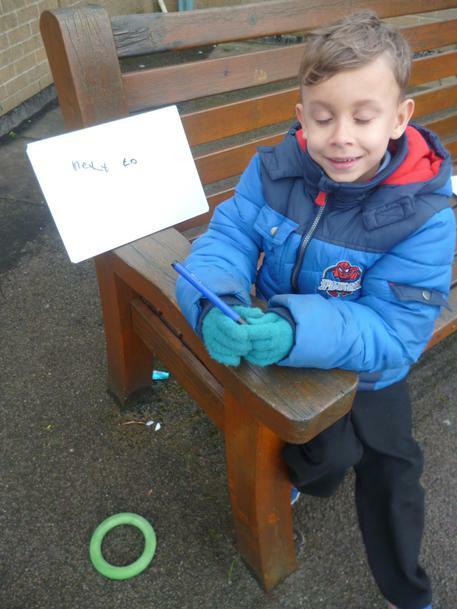 Writing instructions on how to make porridge. 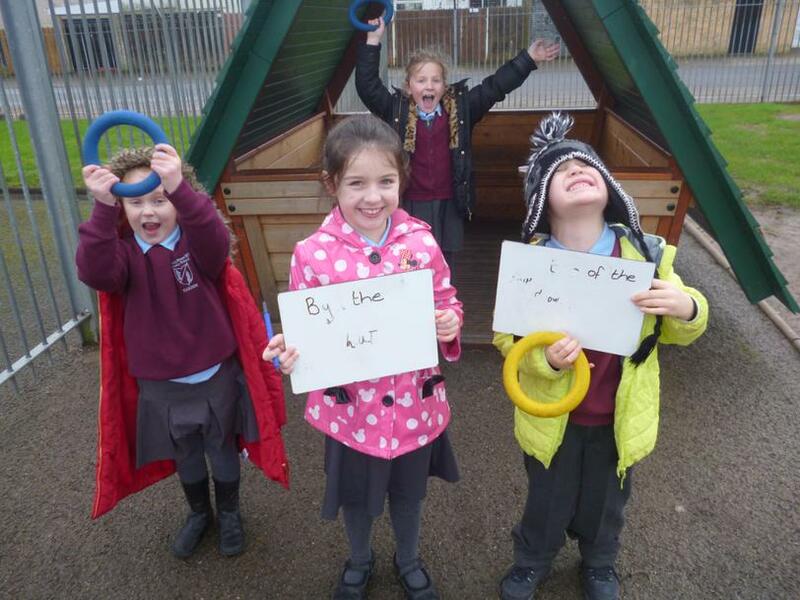 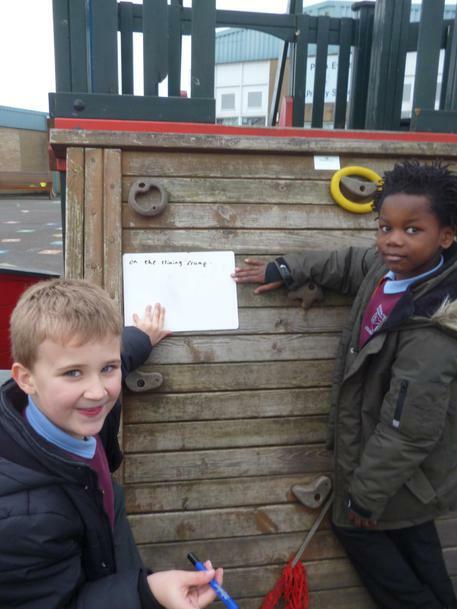 We are using lots of our writing skills. 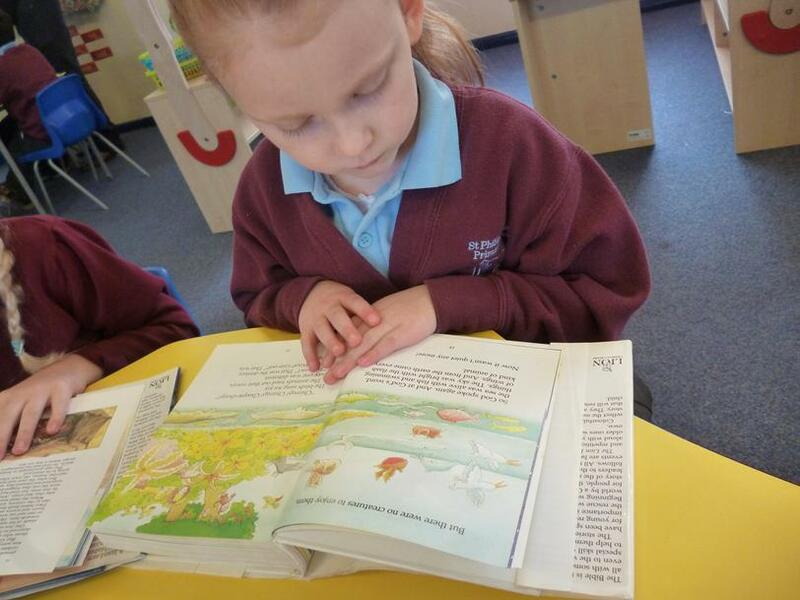 We love reading every day. 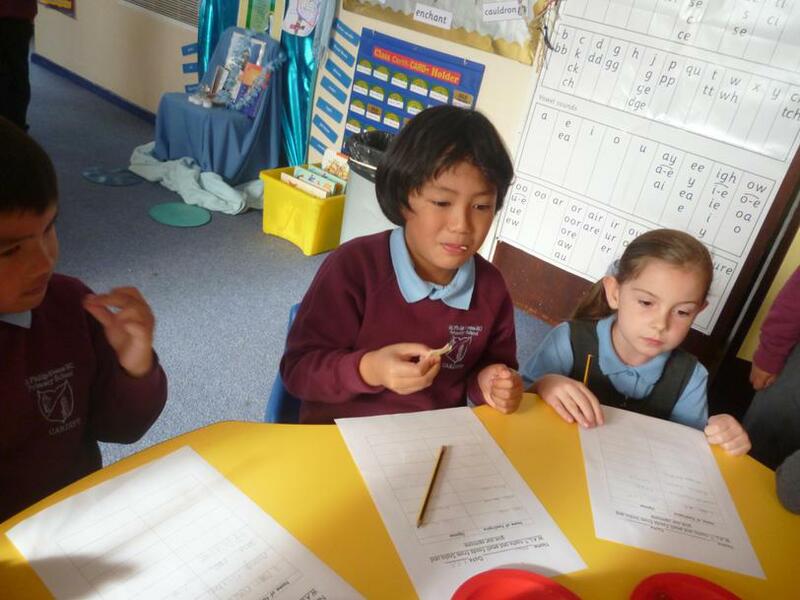 We are using our reasoning skills. 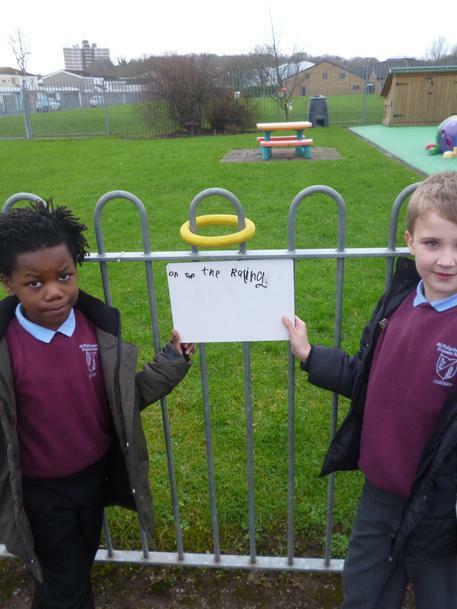 Deep discussions to workout the problem. 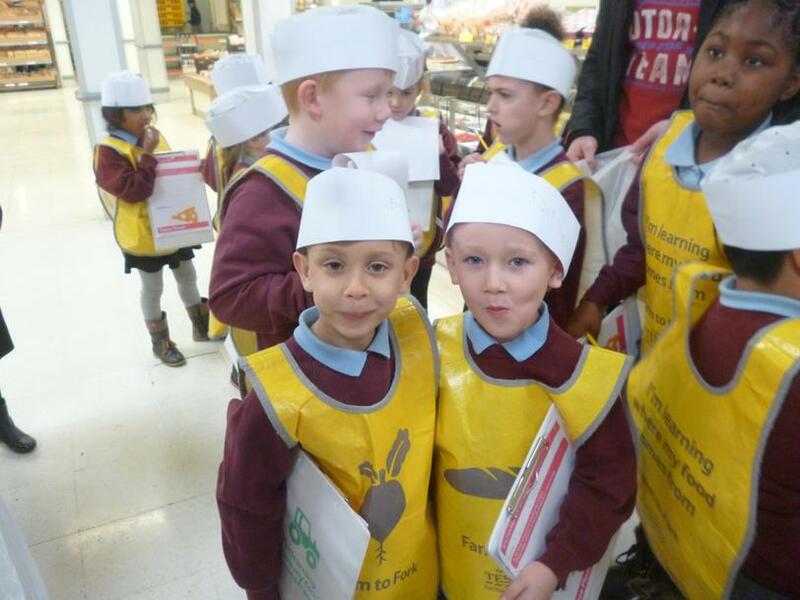 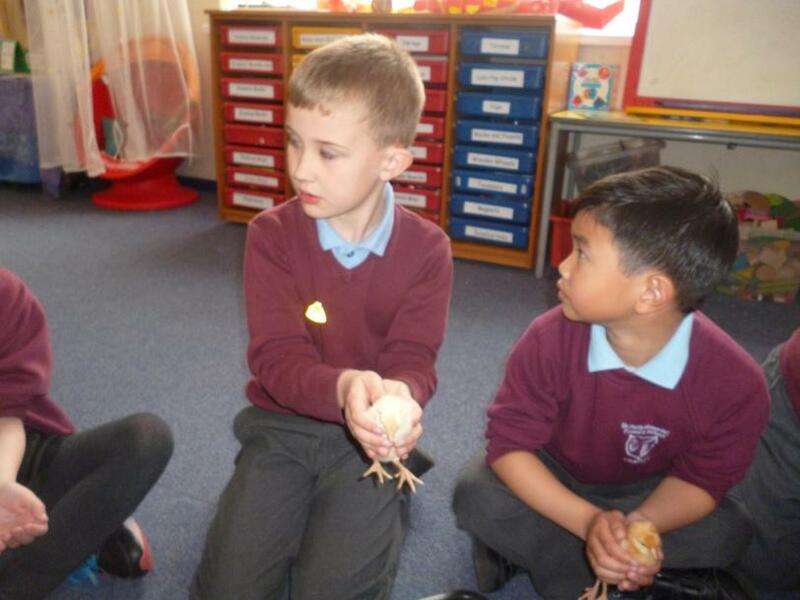 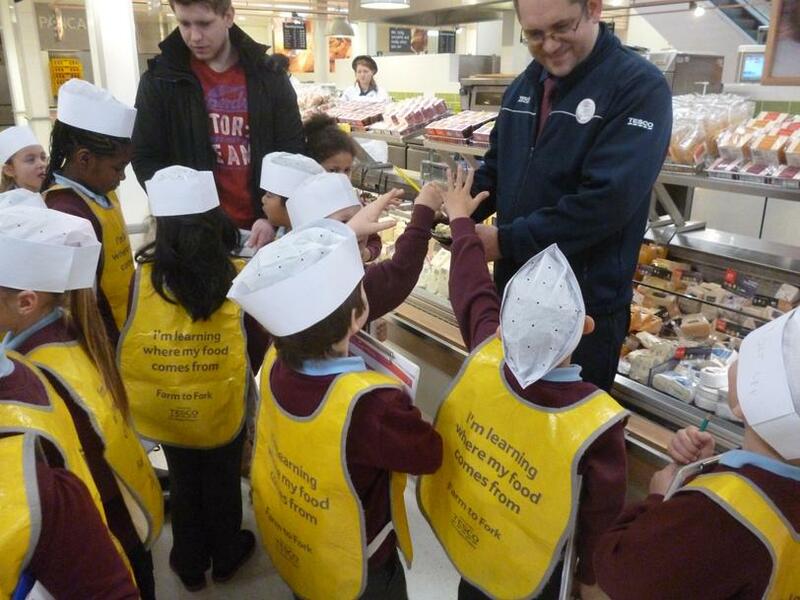 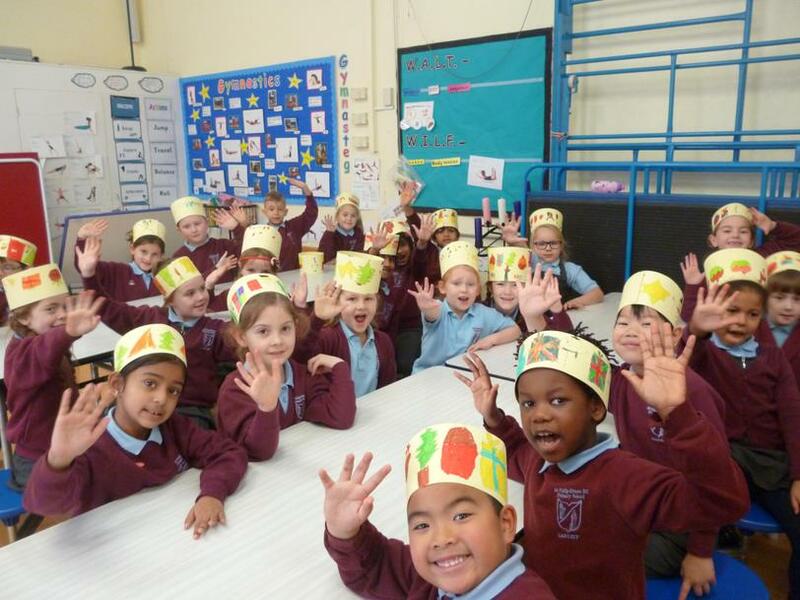 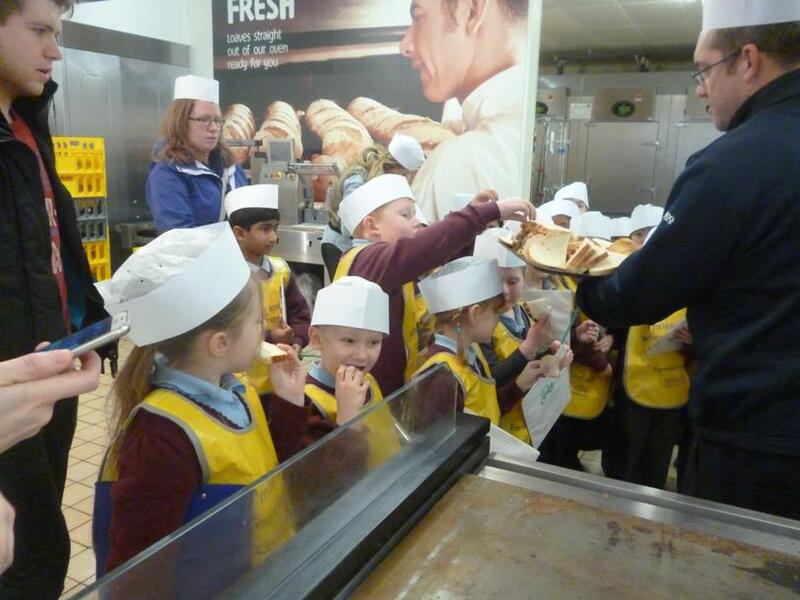 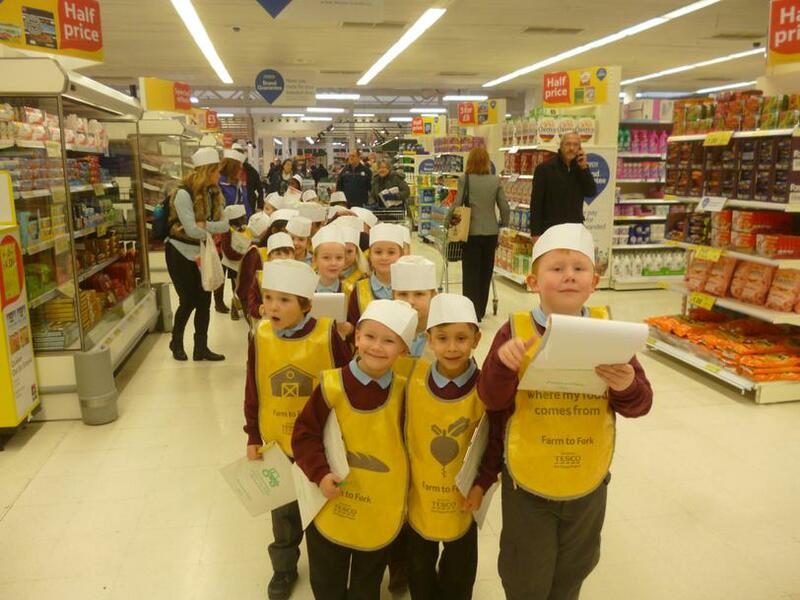 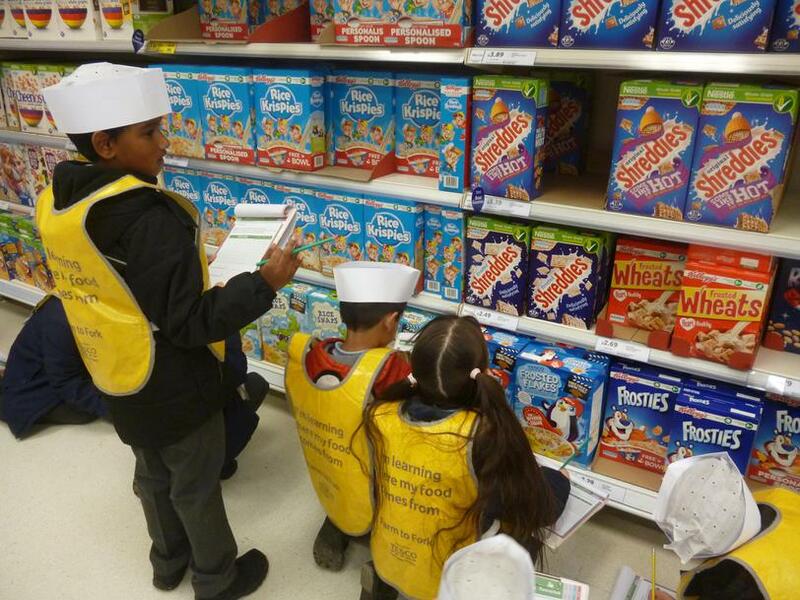 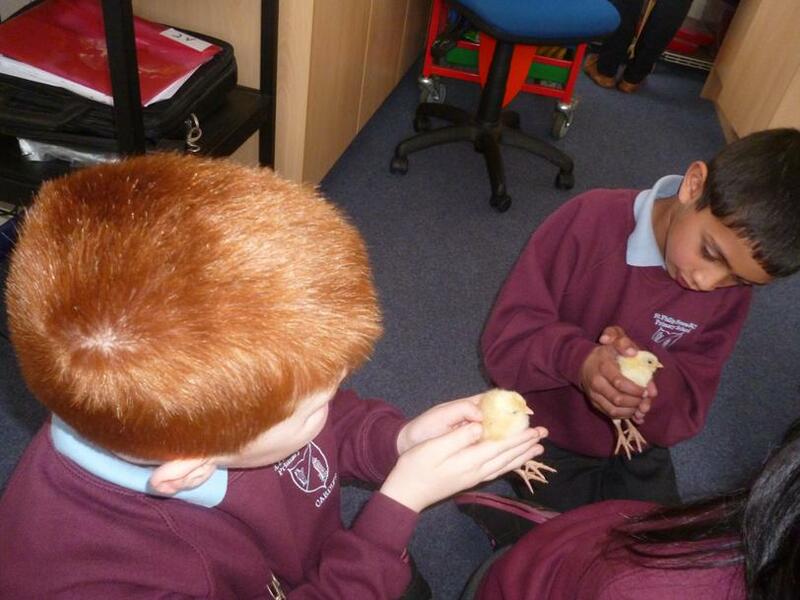 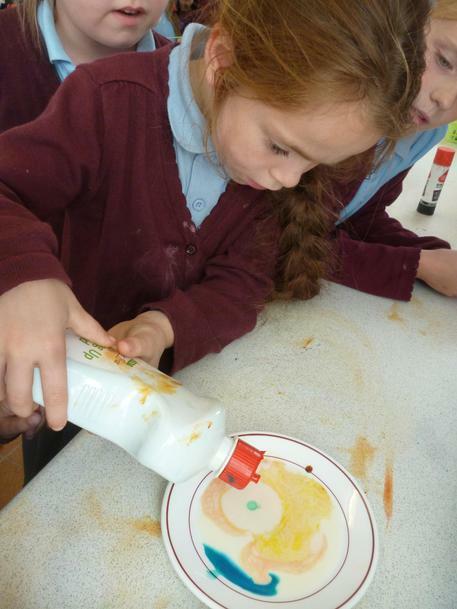 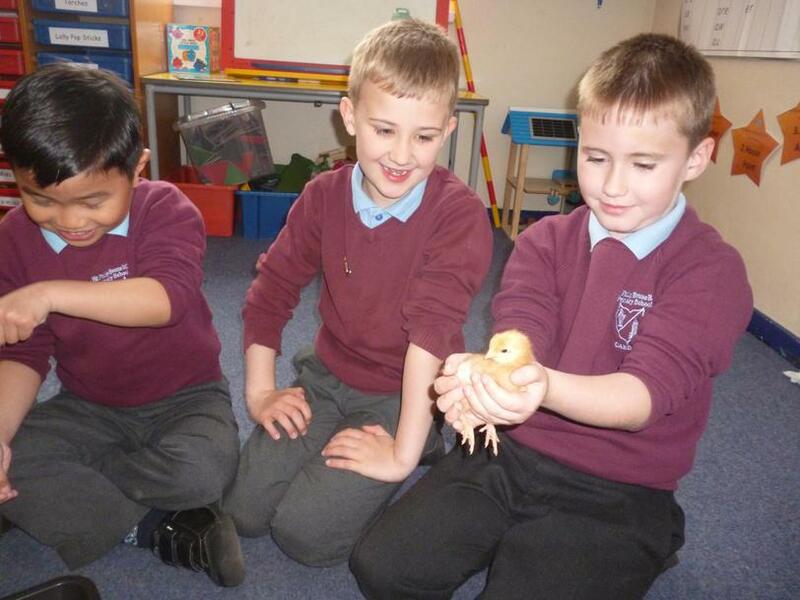 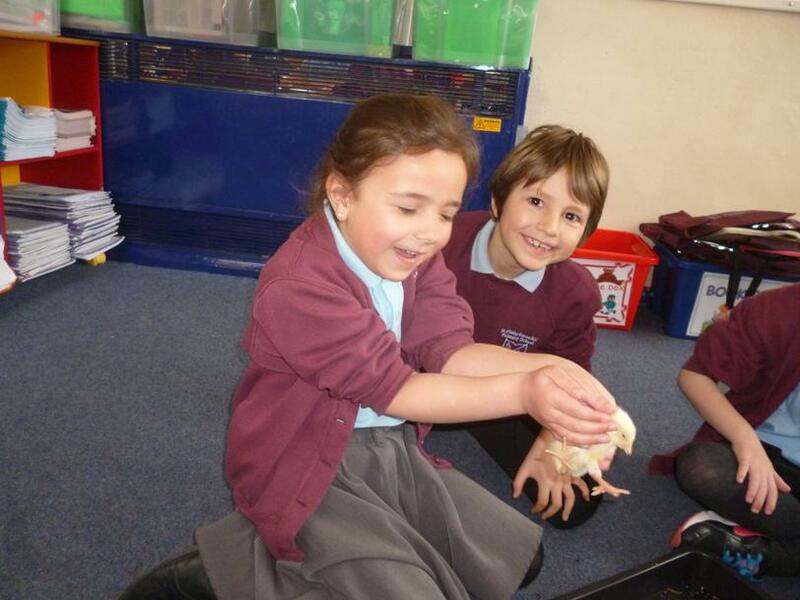 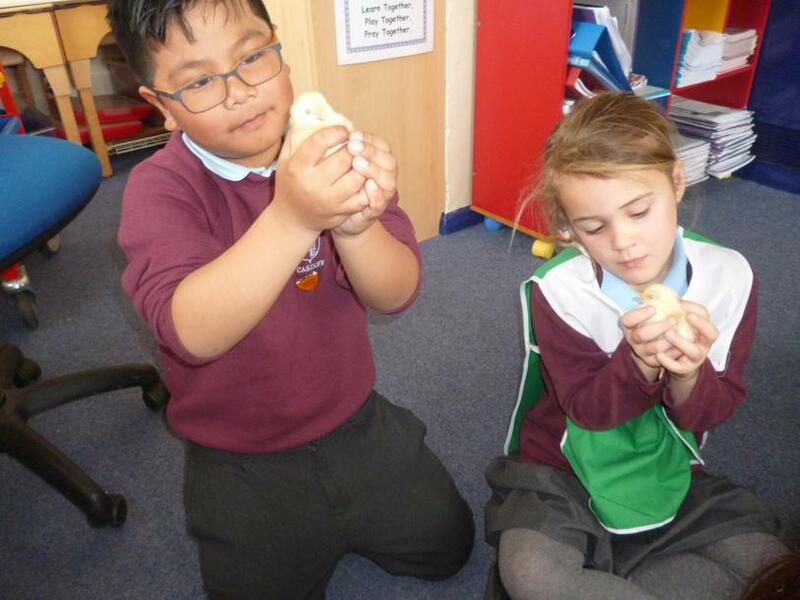 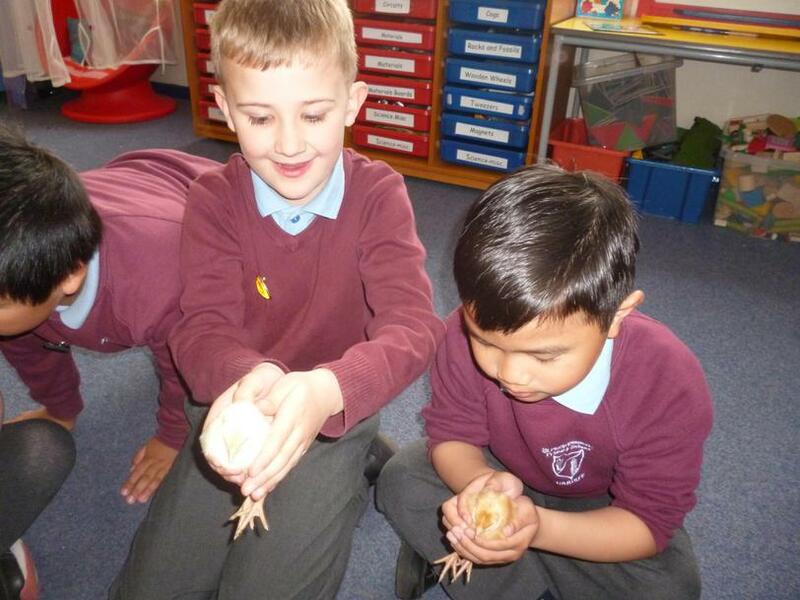 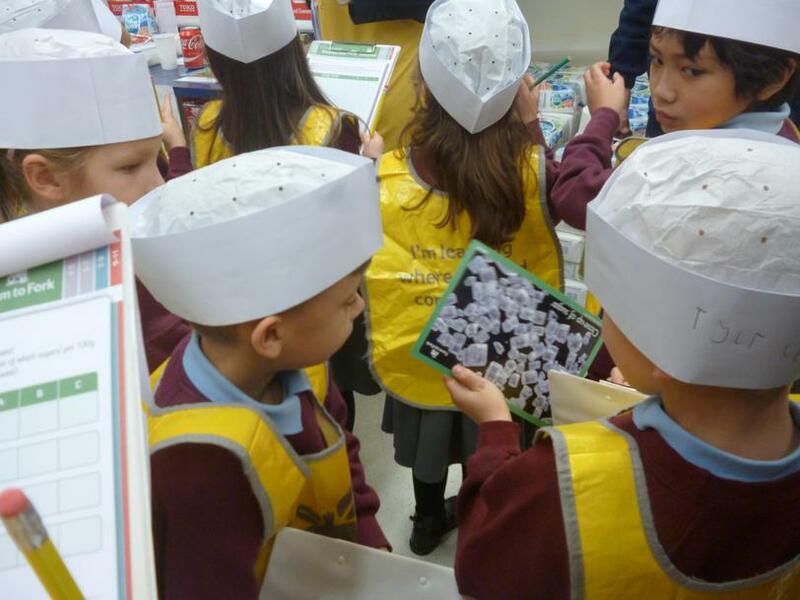 This week in year 2 we visited Tesco Extra. 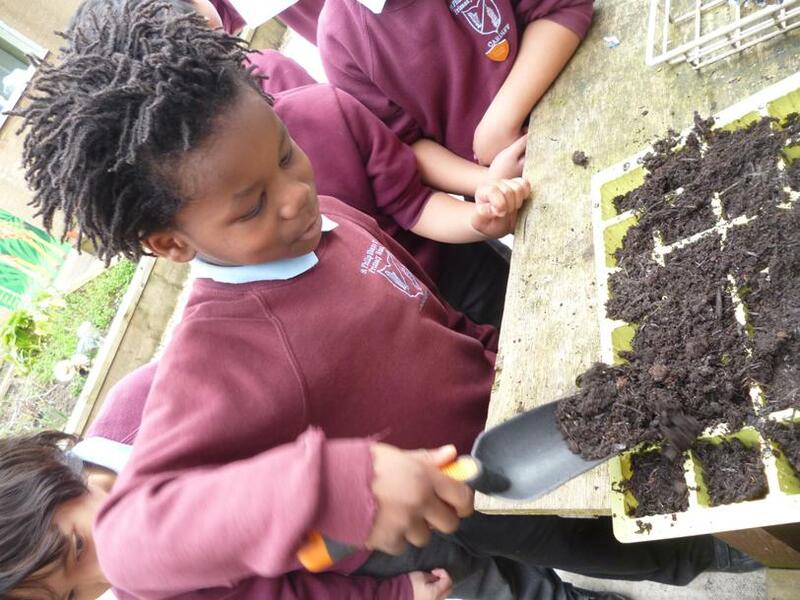 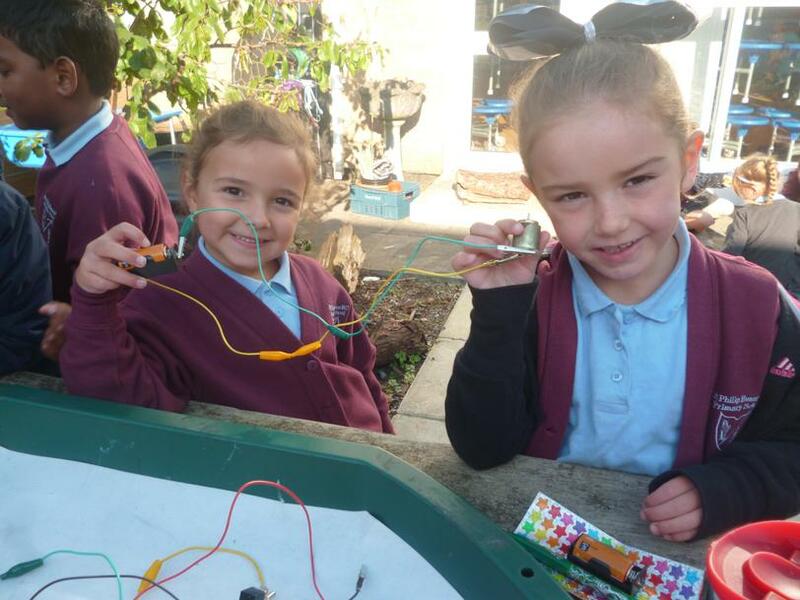 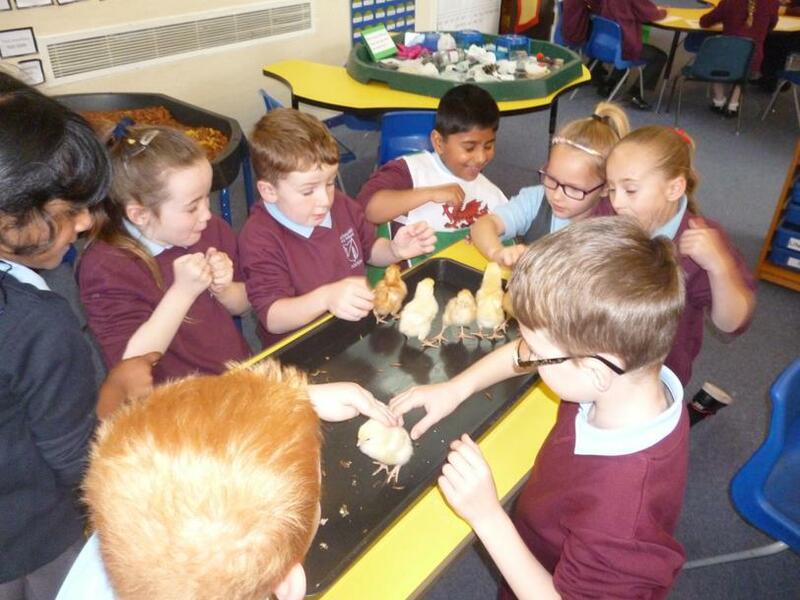 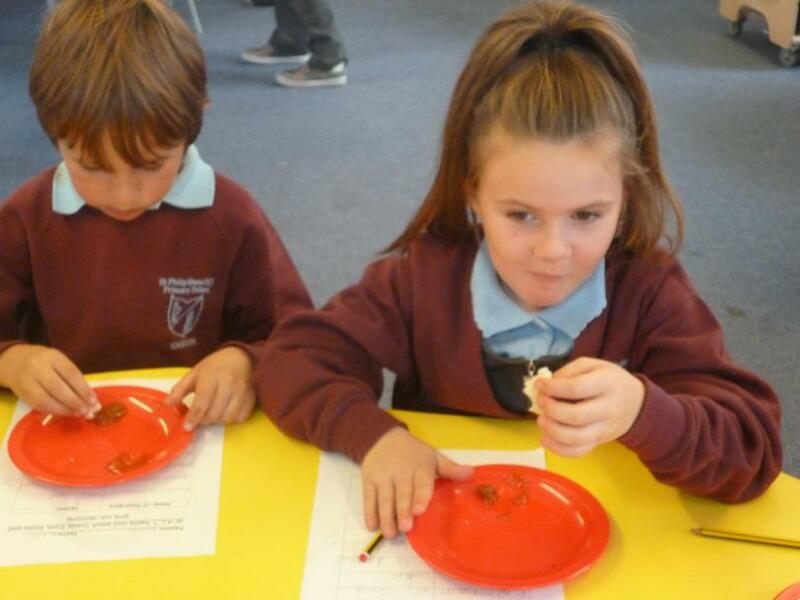 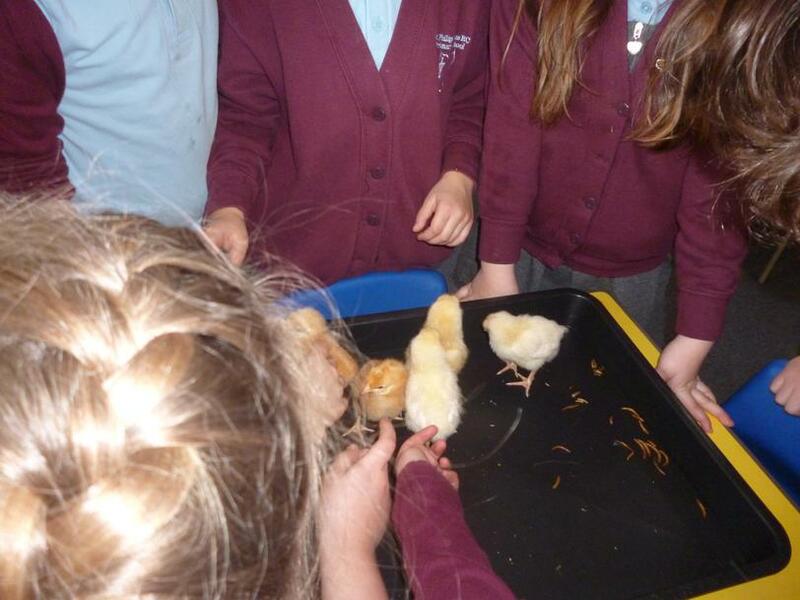 The Children got the opportunity to touch, smell and taste different types of fruit and vegetables and learnt about how and where they grow. 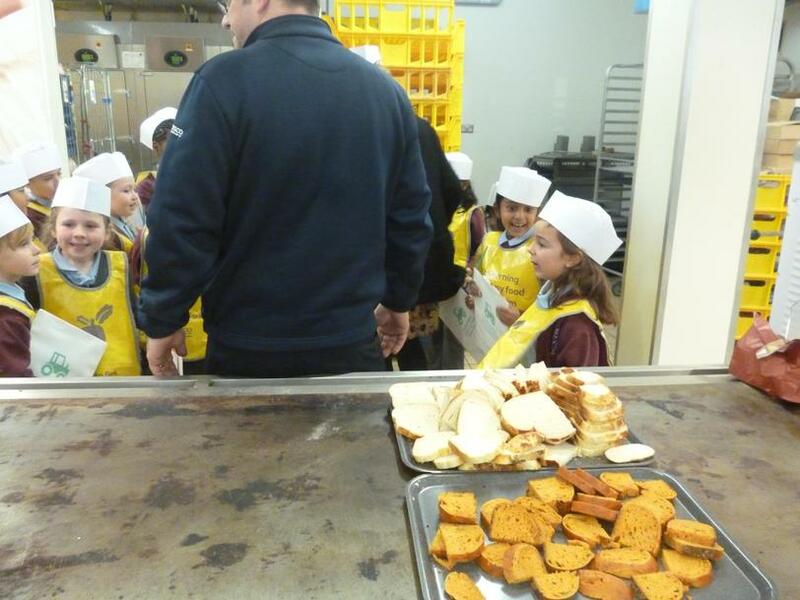 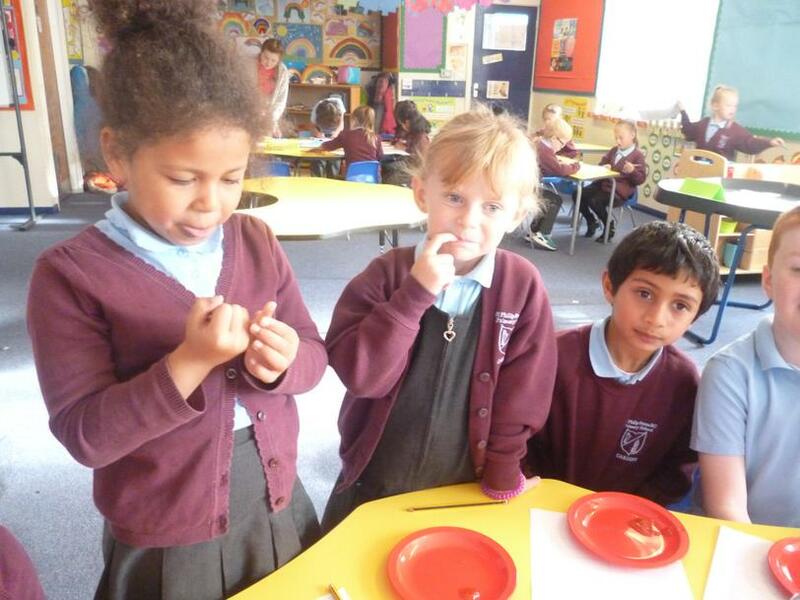 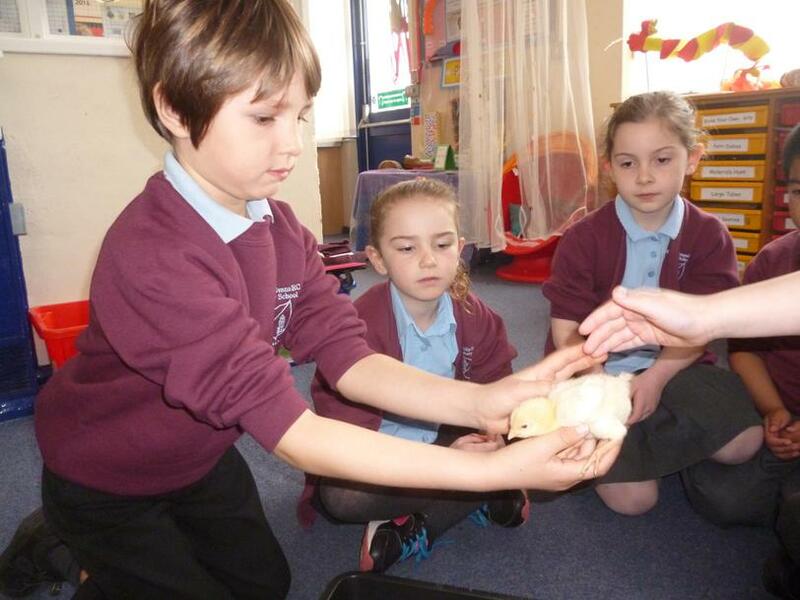 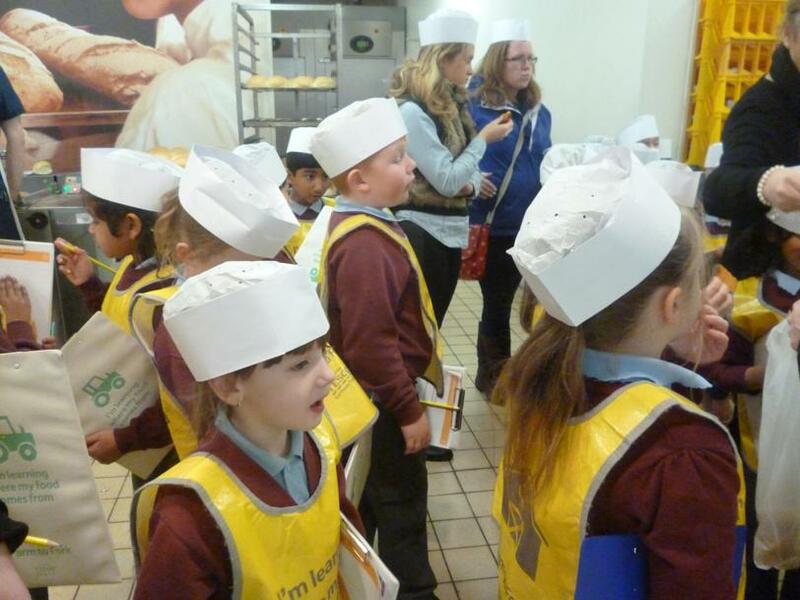 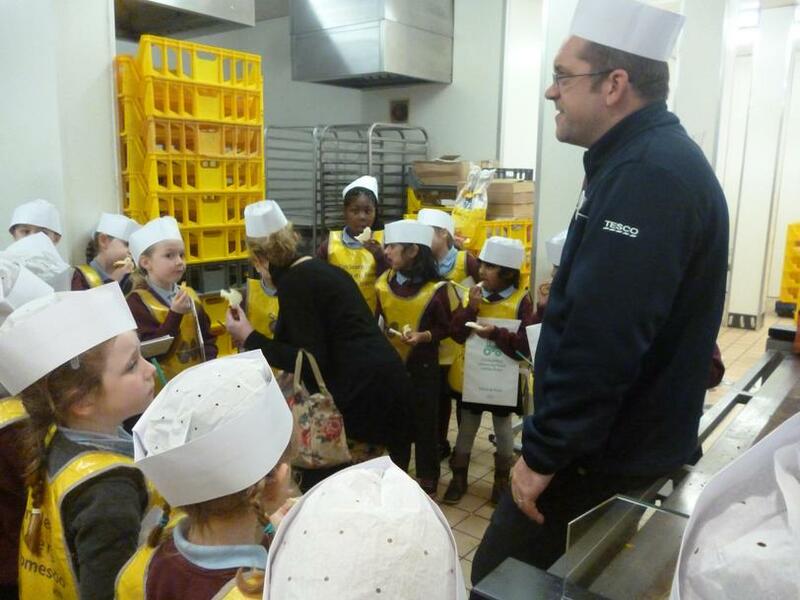 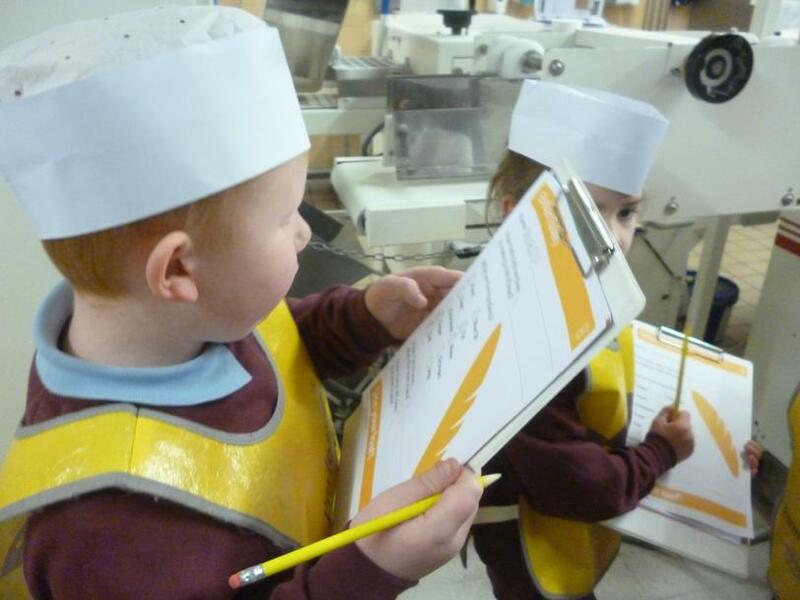 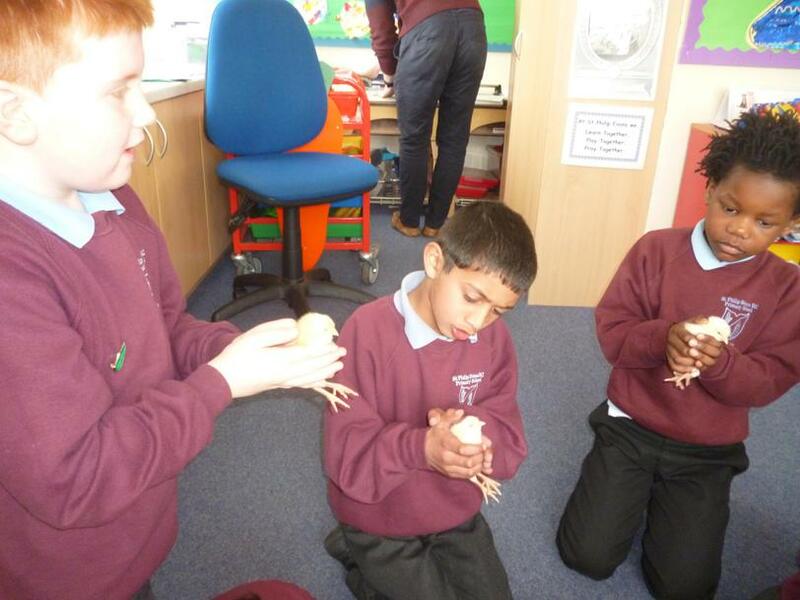 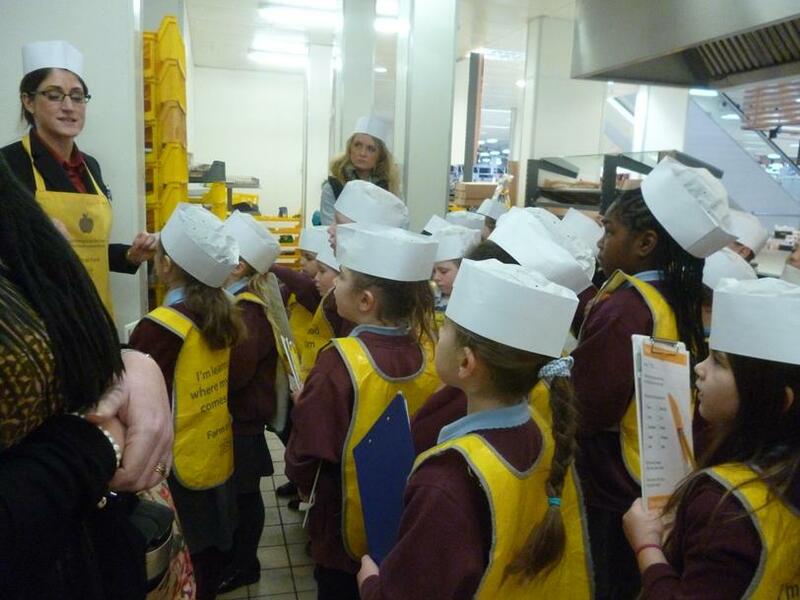 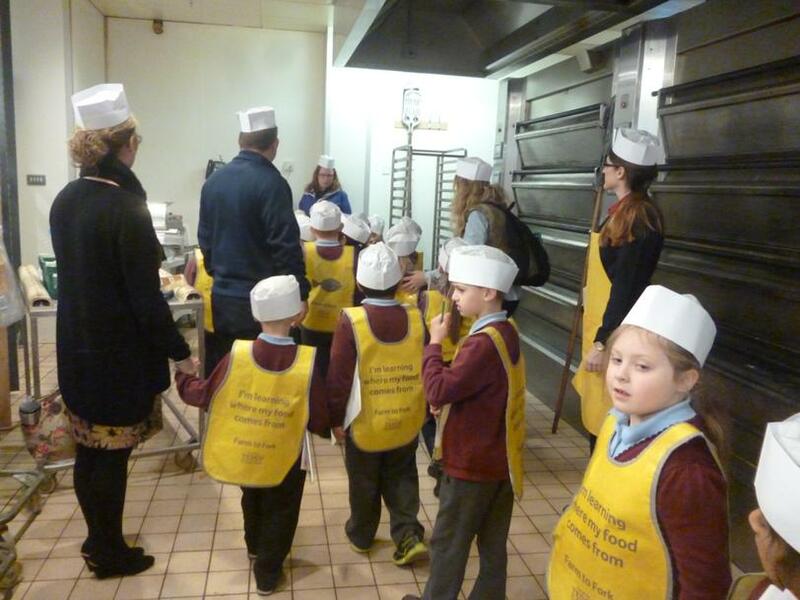 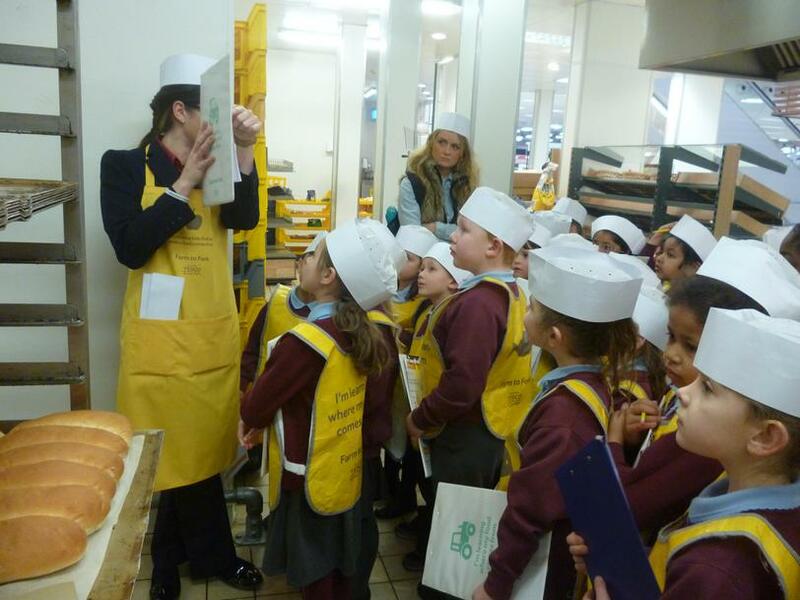 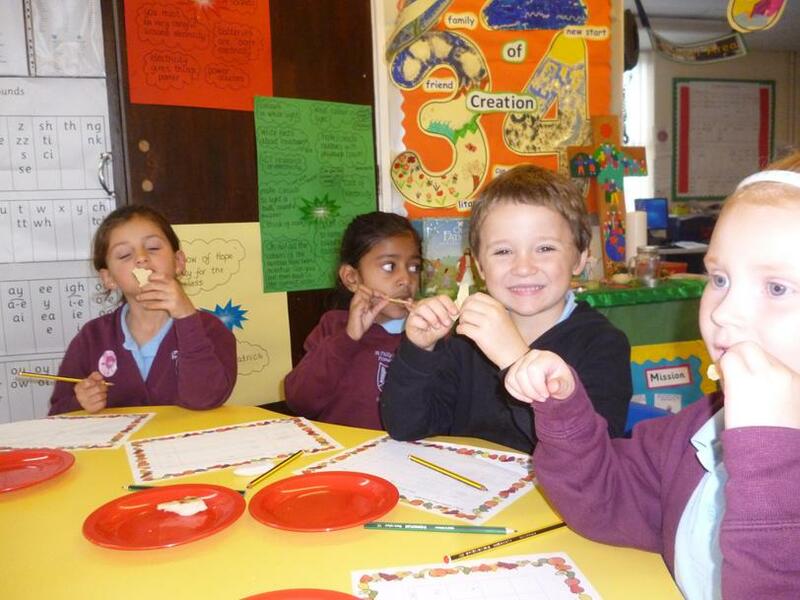 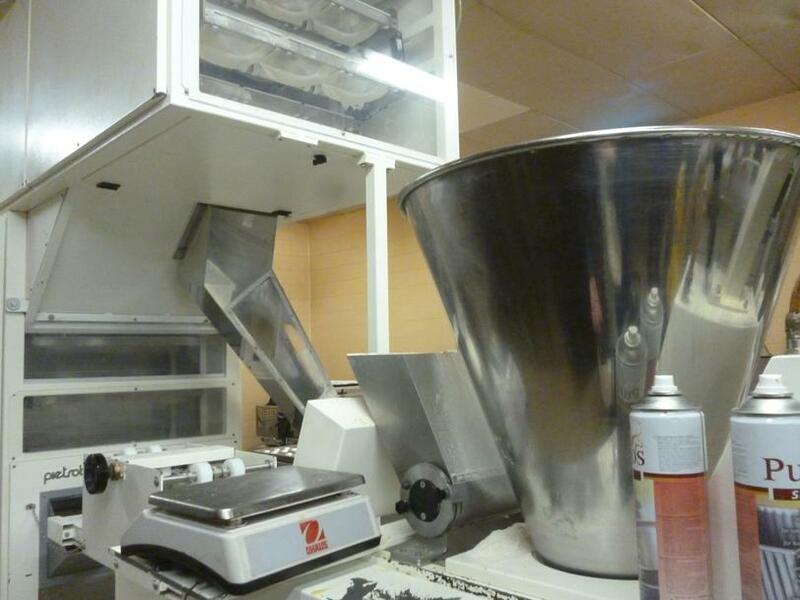 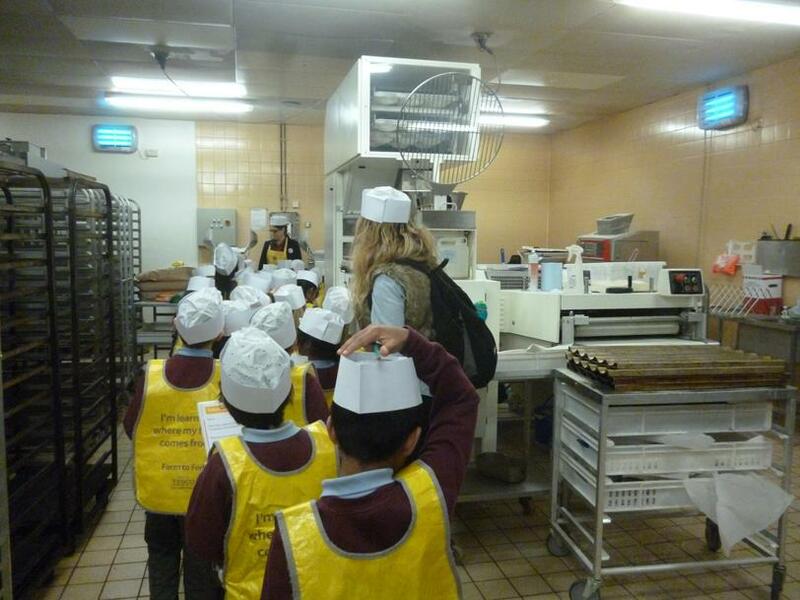 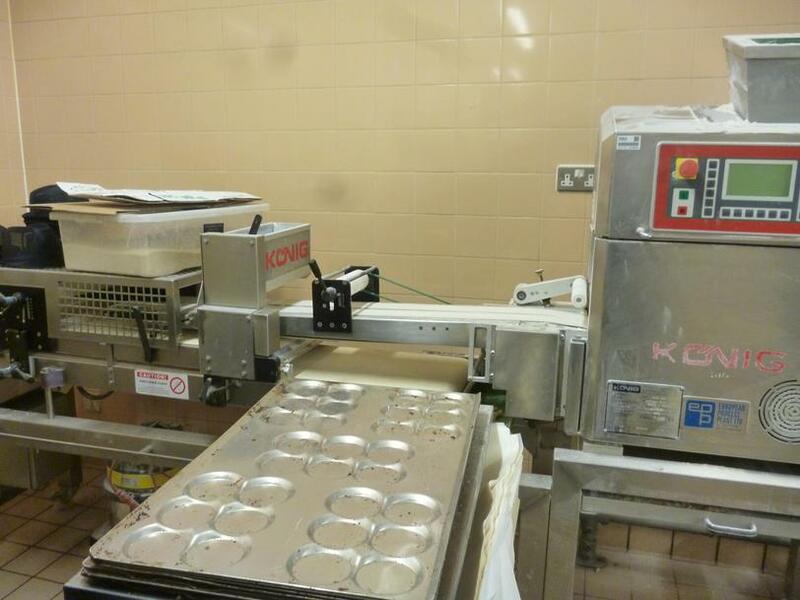 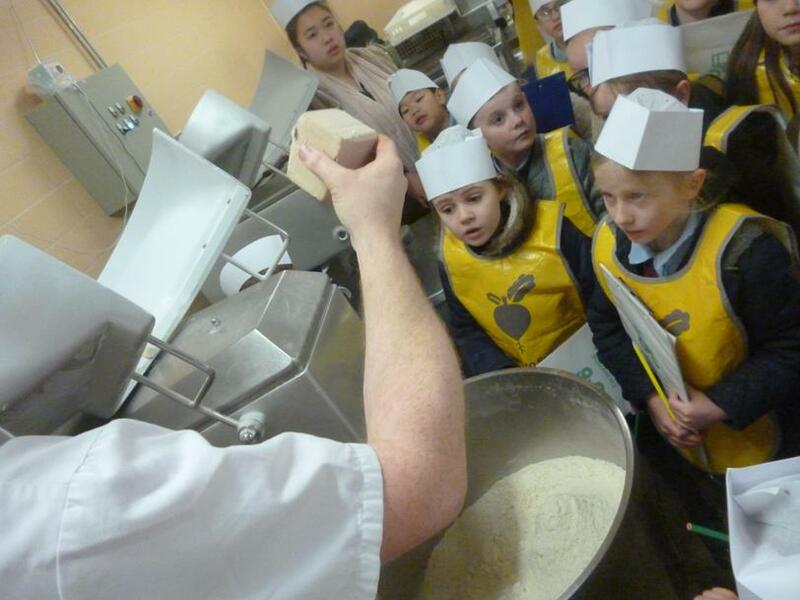 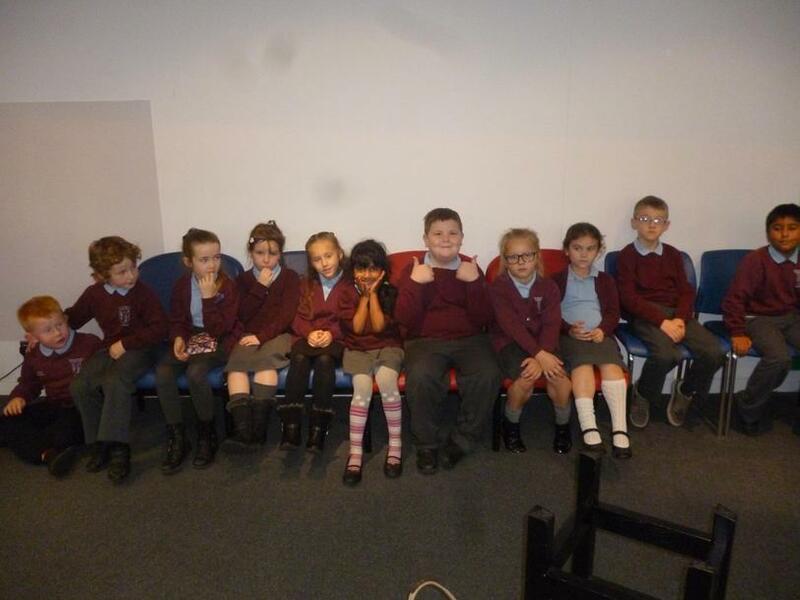 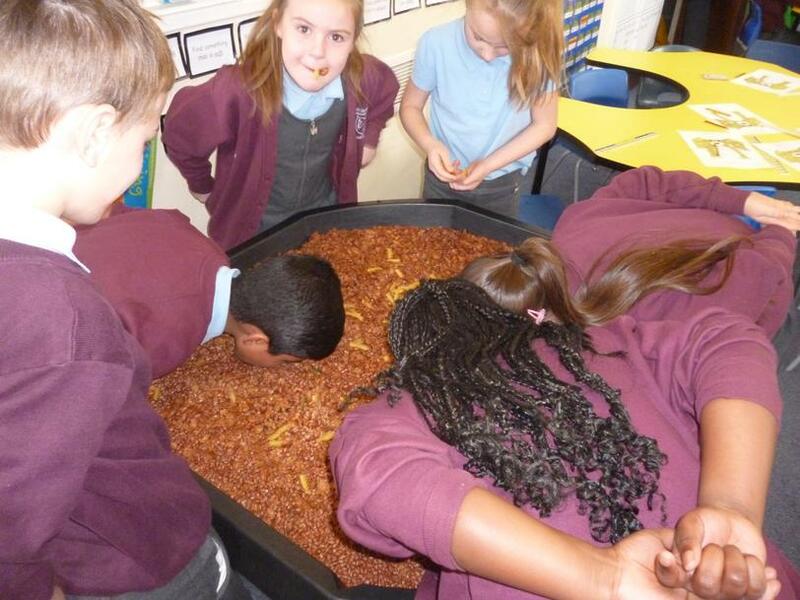 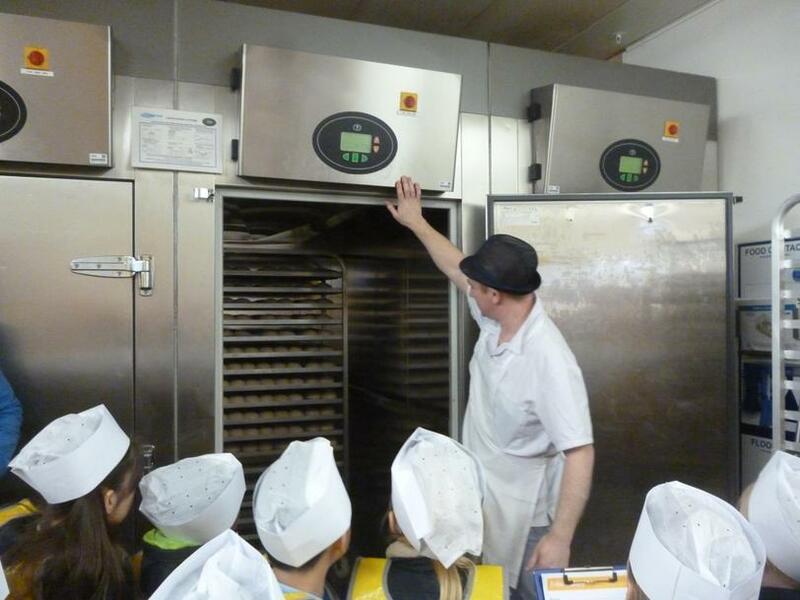 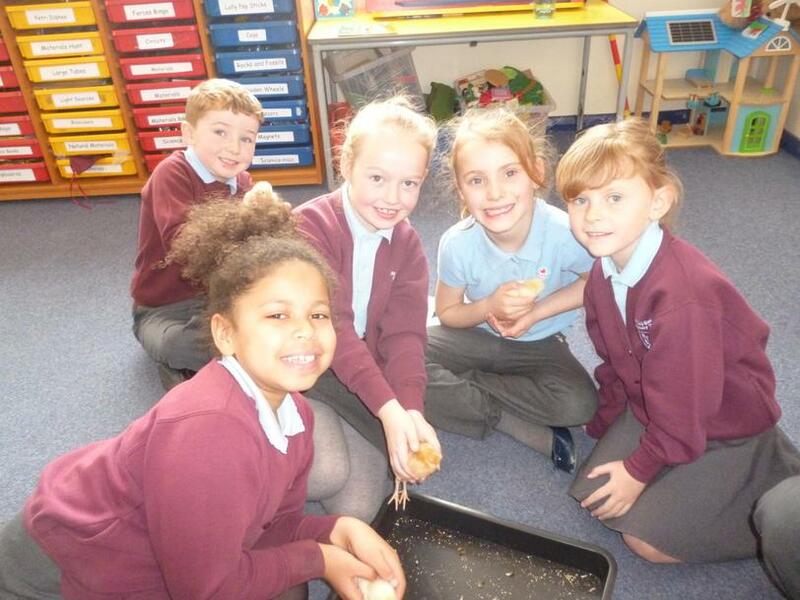 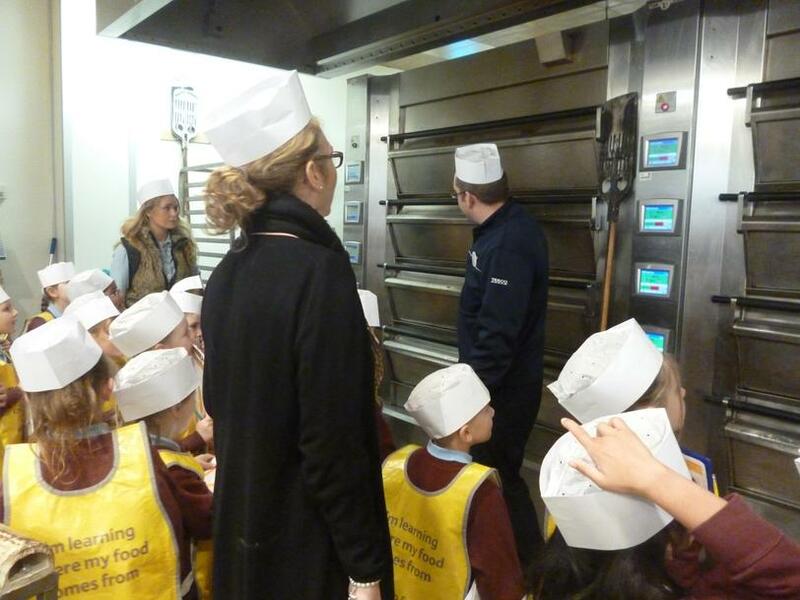 They went behind the scenes and met the baker and learnt all about how bread is made. 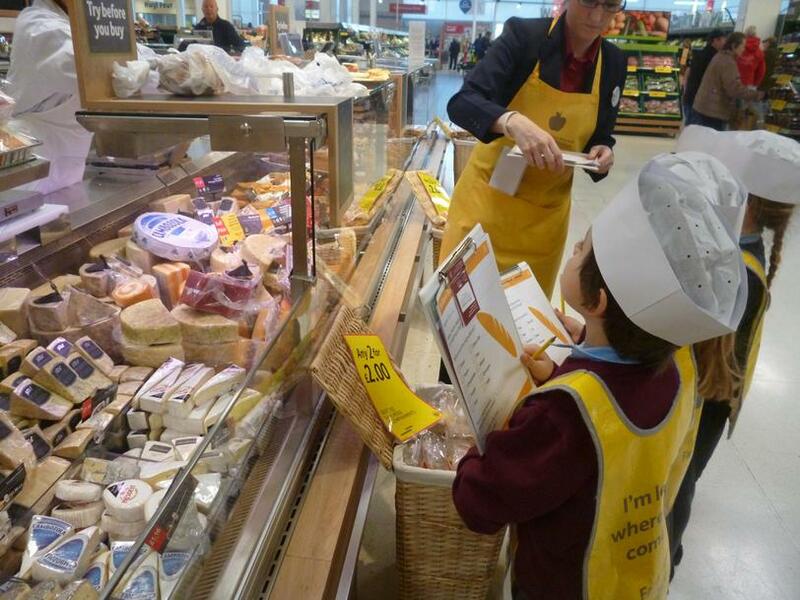 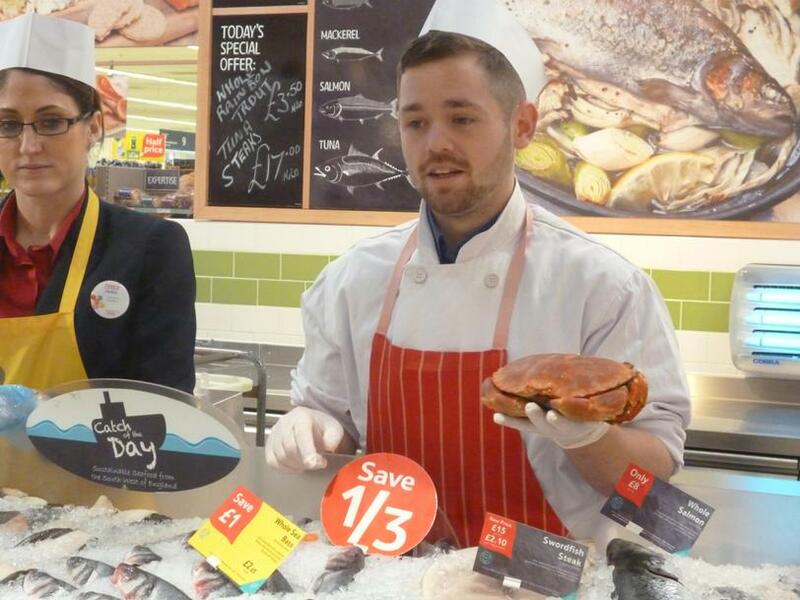 They visited the cheese counter and got to taste different types of cheeses and the fresh fish counter. 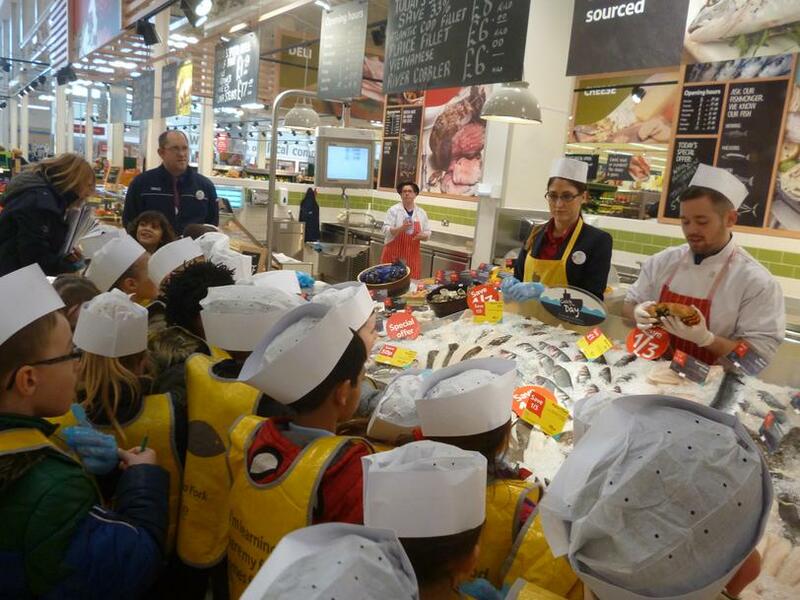 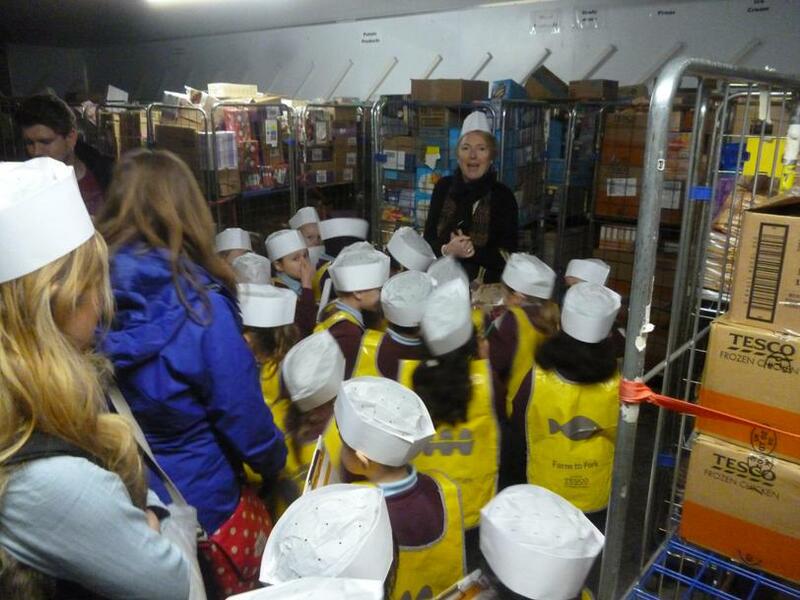 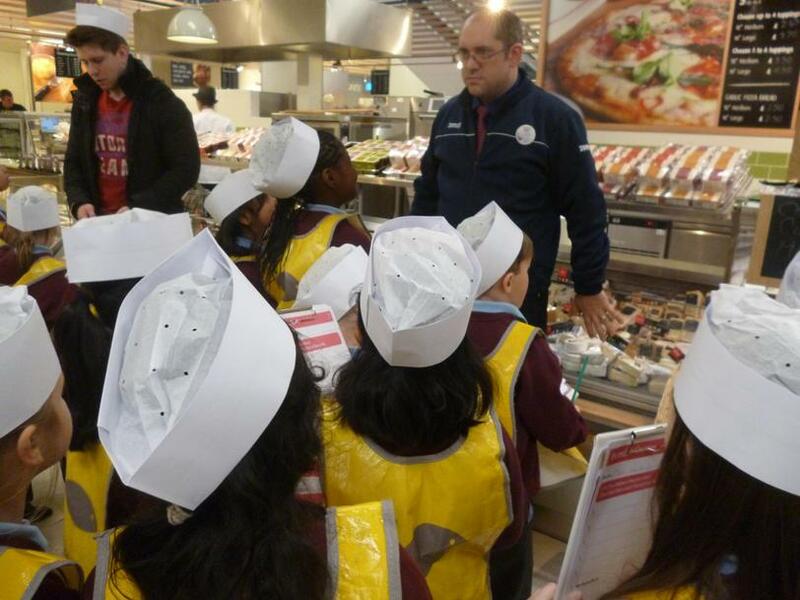 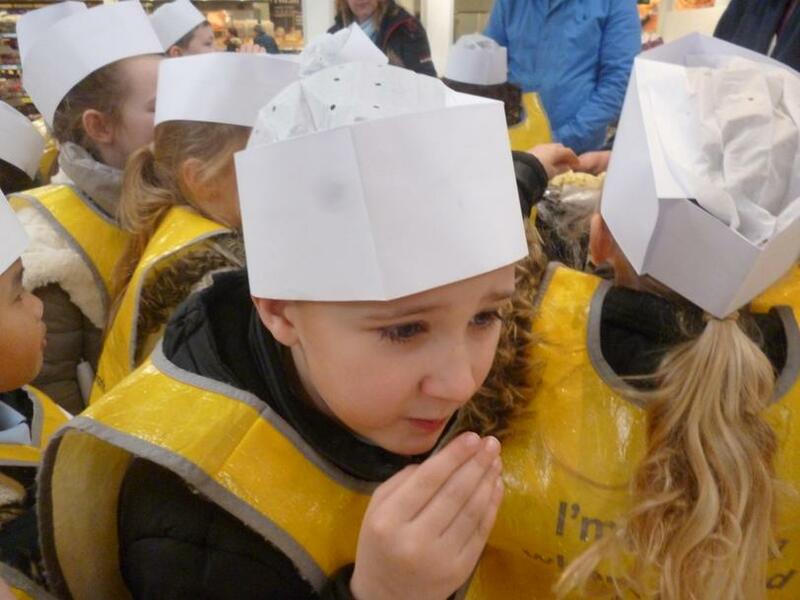 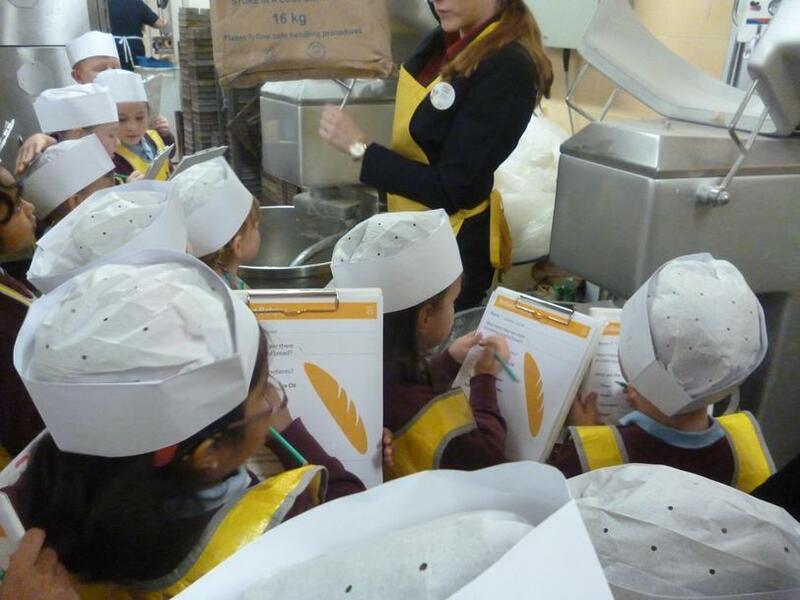 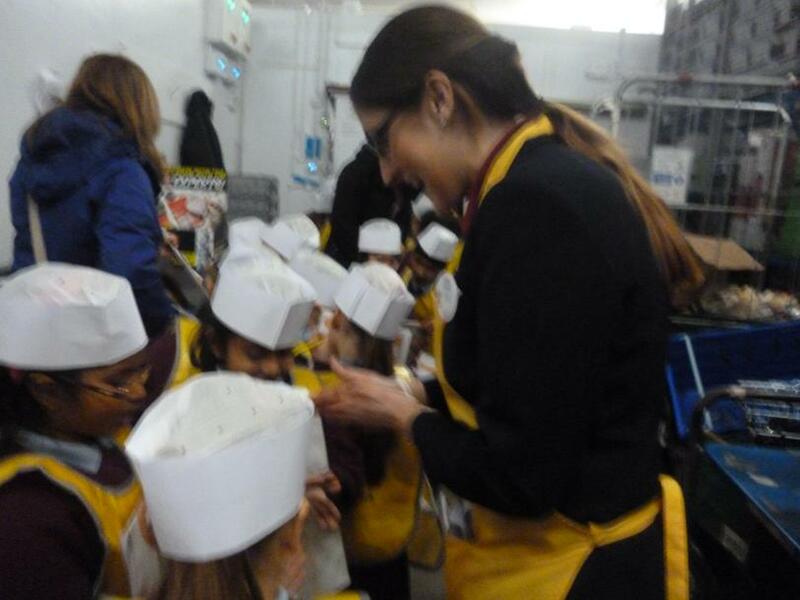 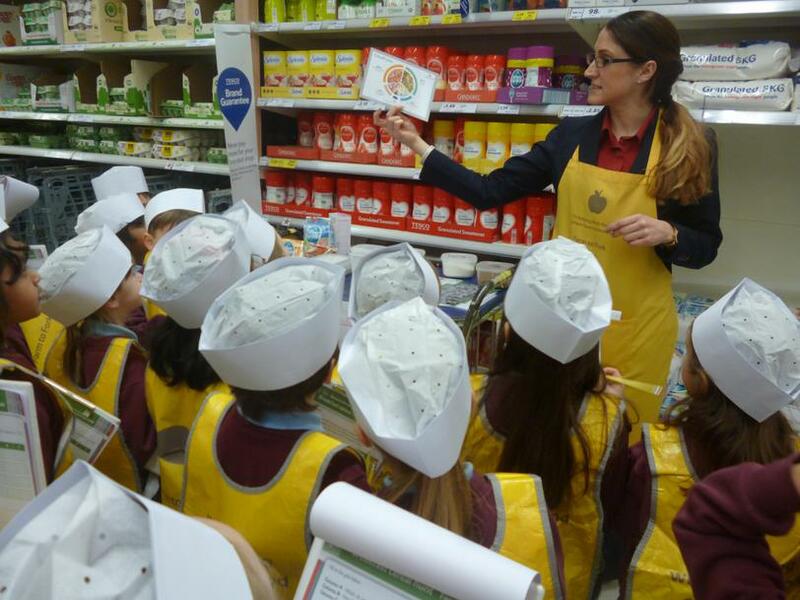 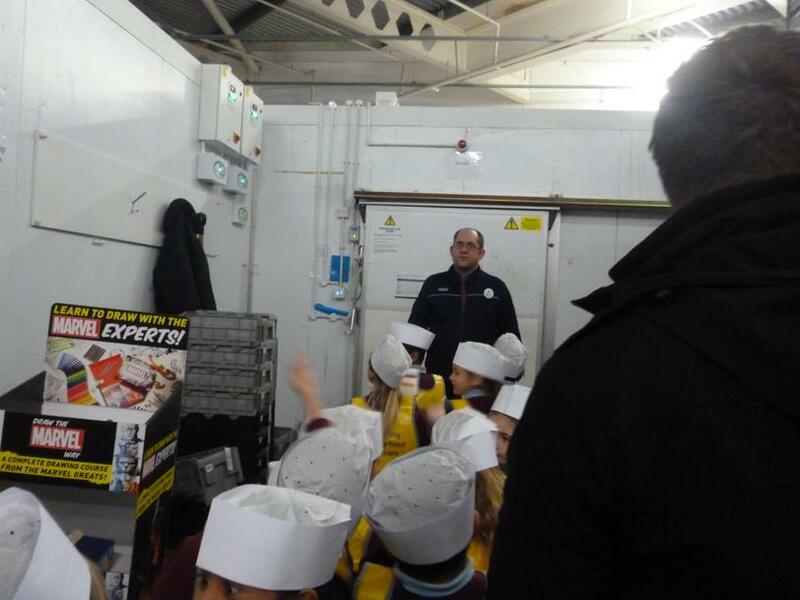 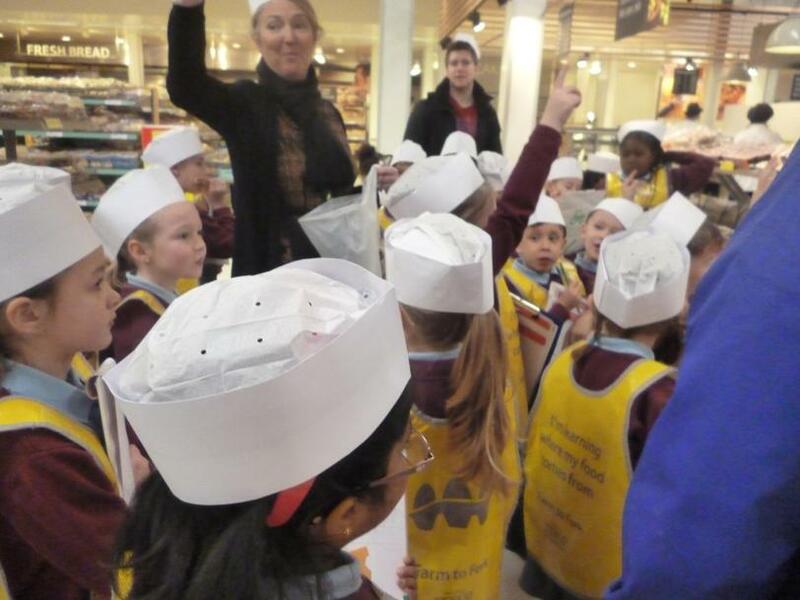 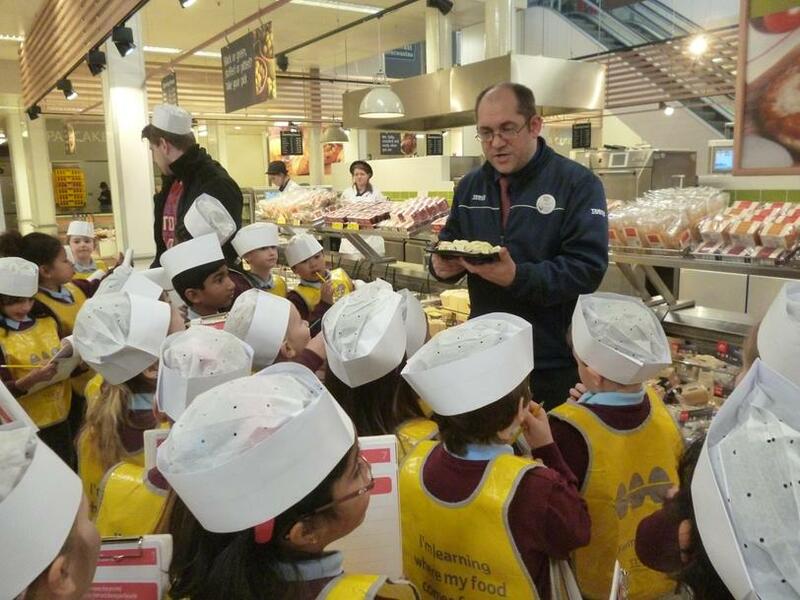 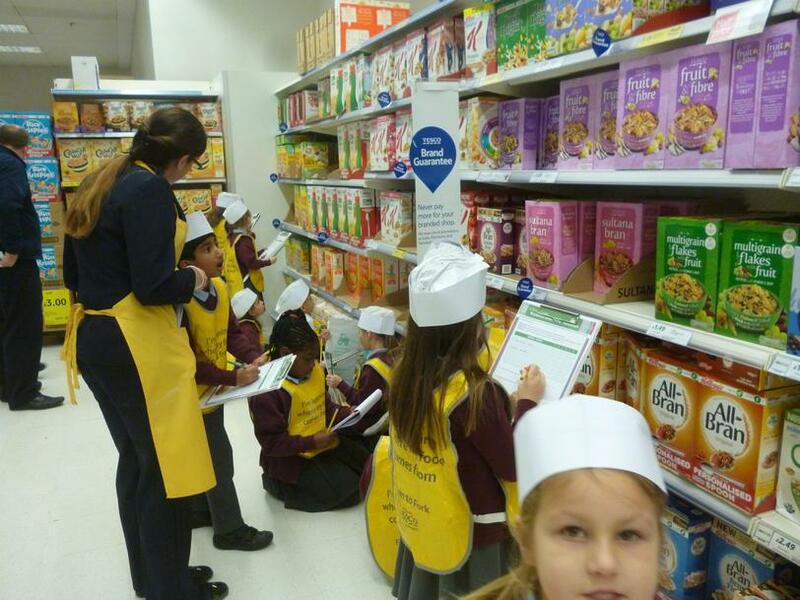 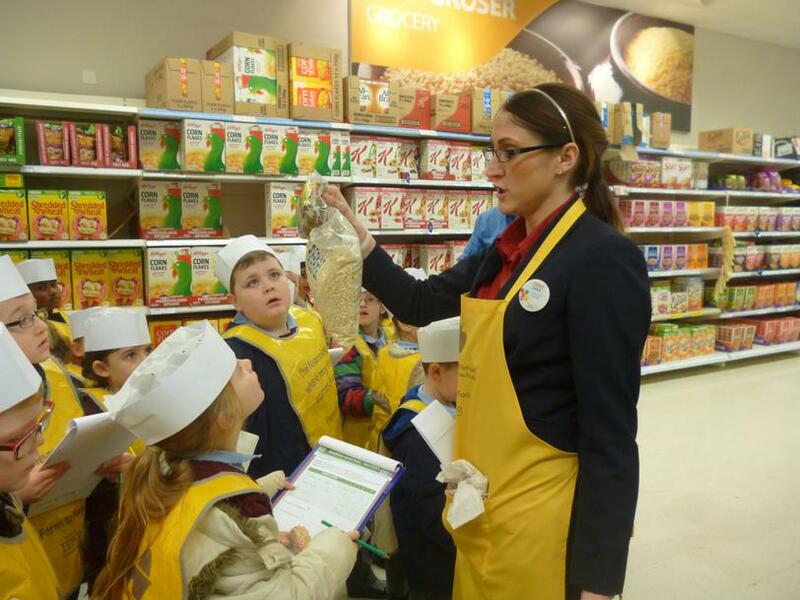 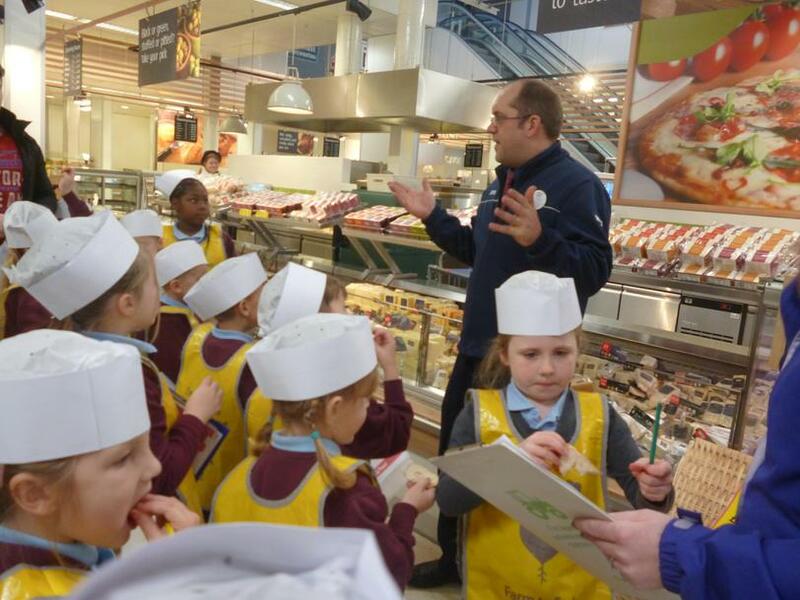 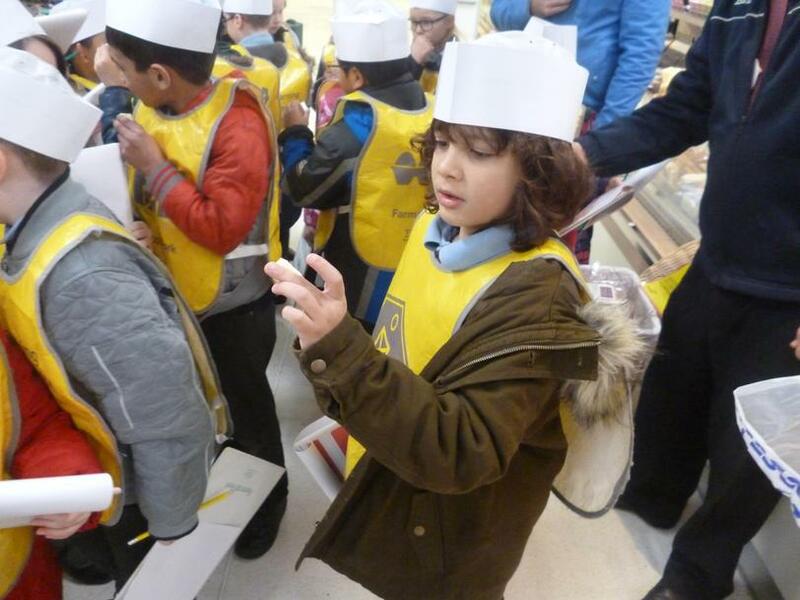 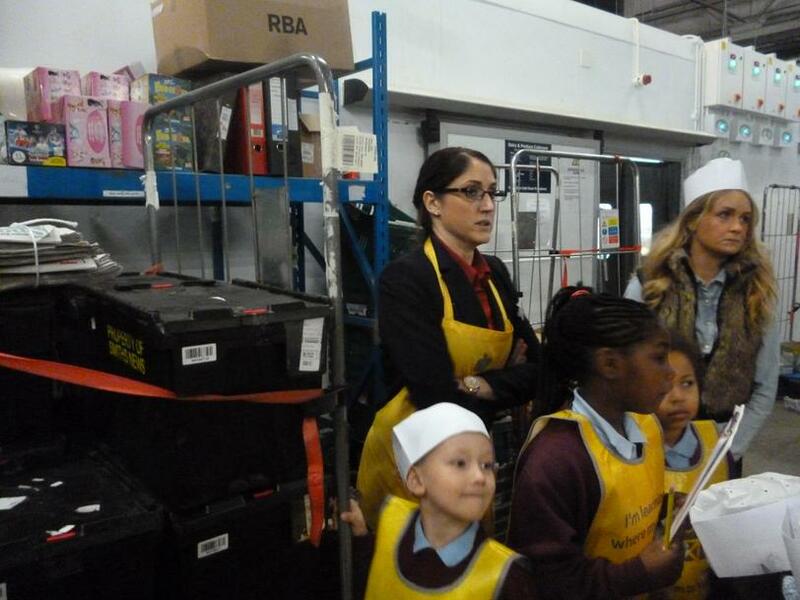 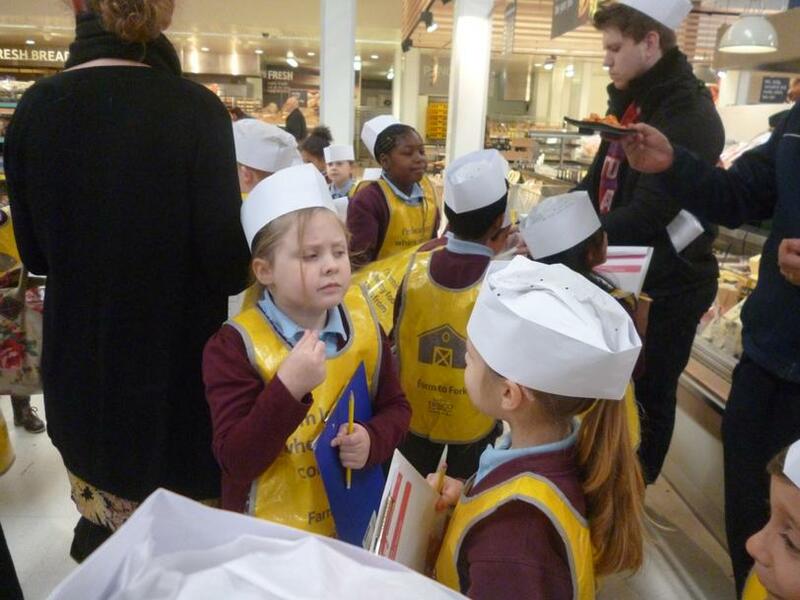 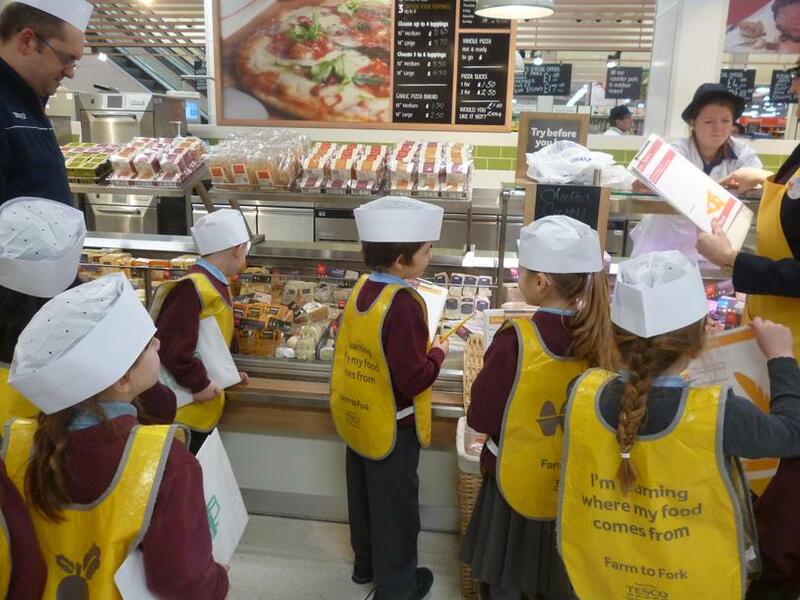 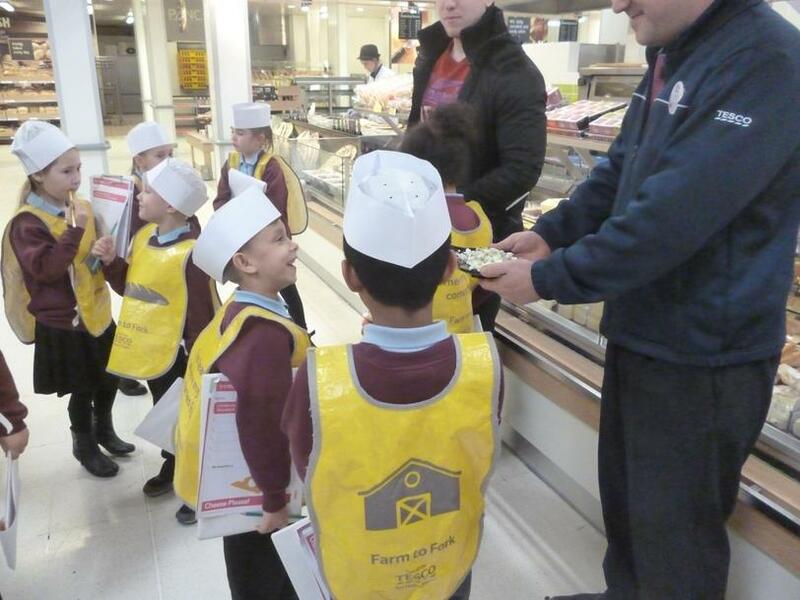 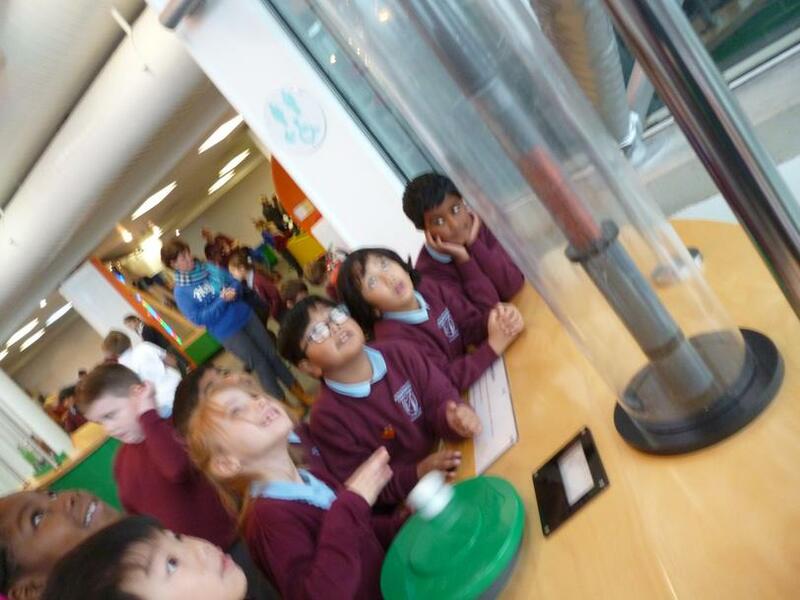 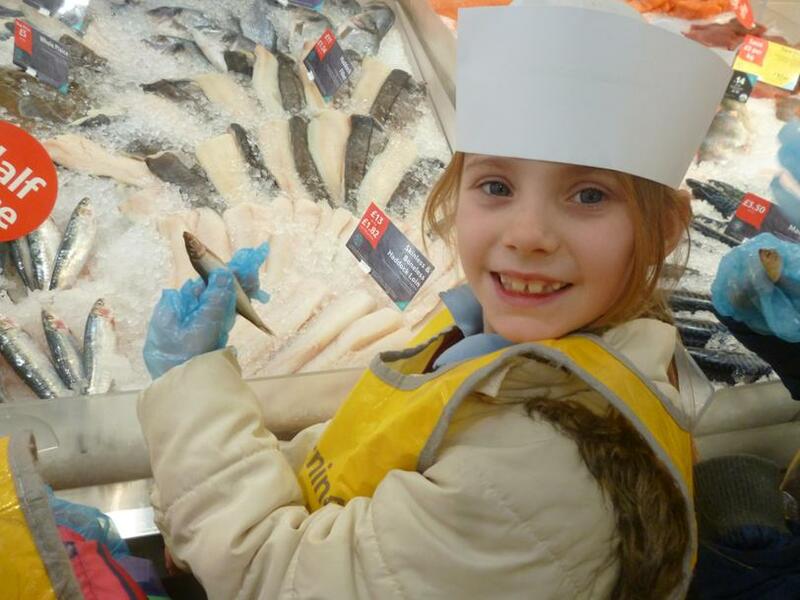 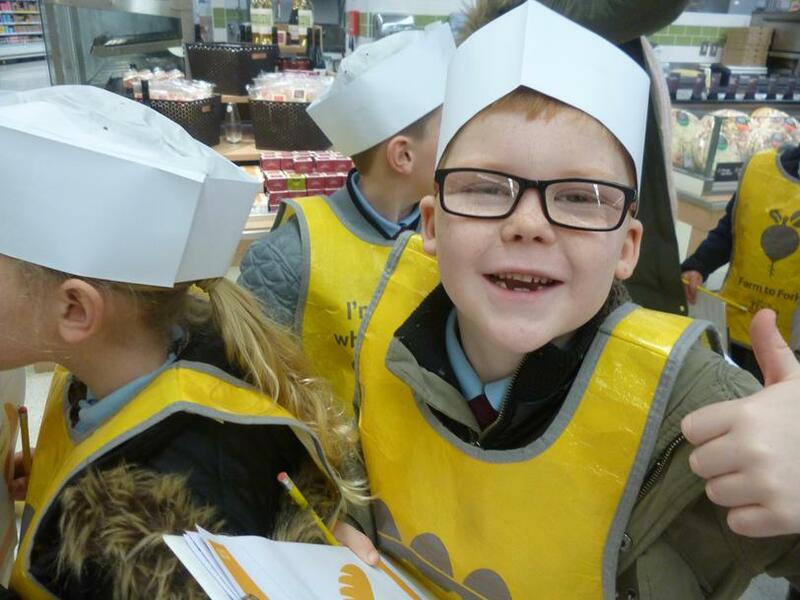 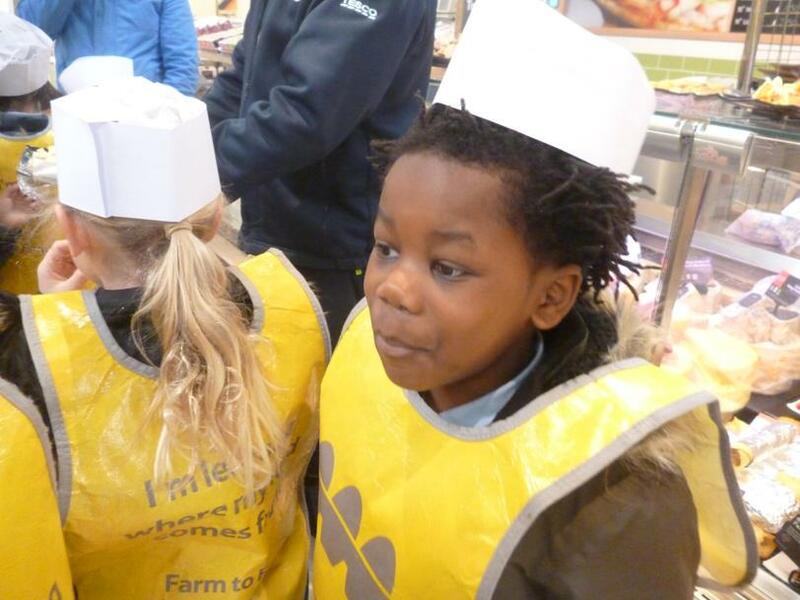 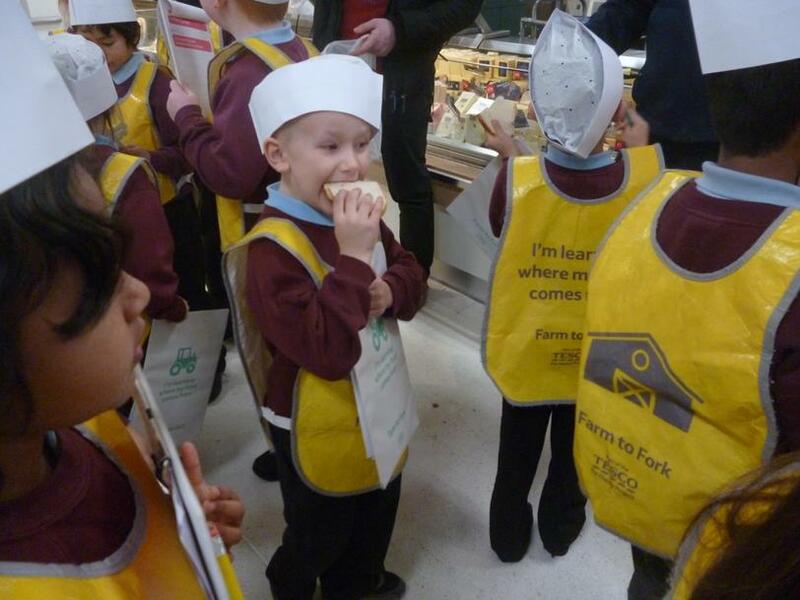 Children finally got the chance to experience parts of the supermarket customers don’t usually get to see, such as the warehouse and chillers, as well as finding out why they store some food in freezers. 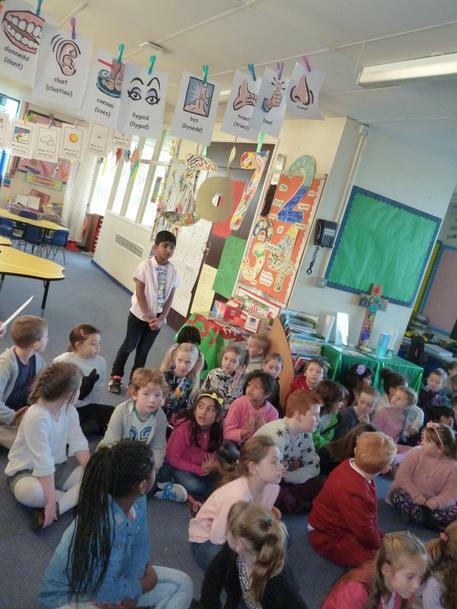 Monday morning and very busy with lots of learning! 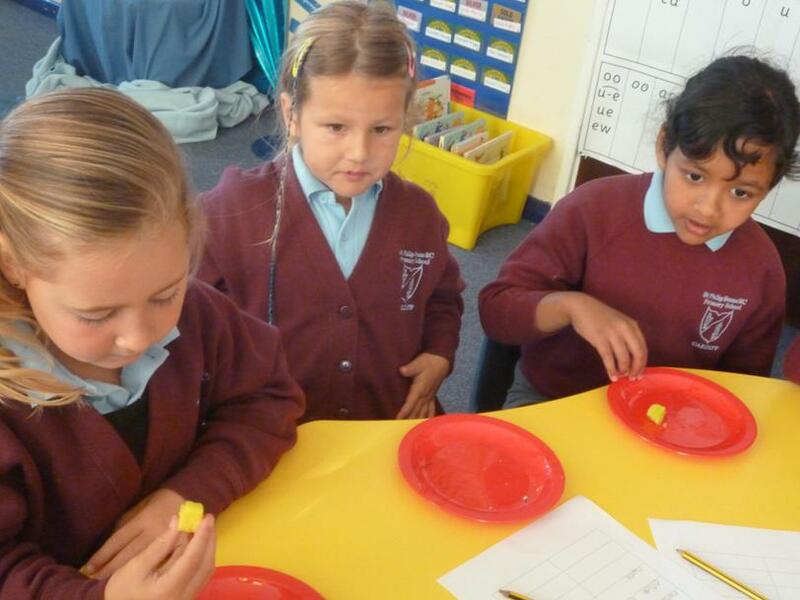 Using numicon to learn how to add 2 digit numbers. 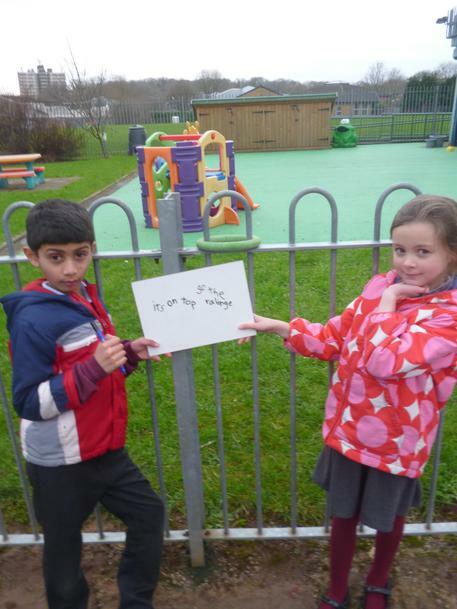 We are solving number problems. 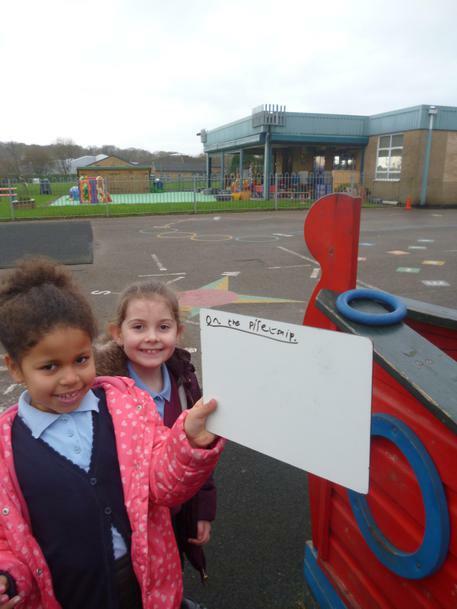 We are practicing our key words. 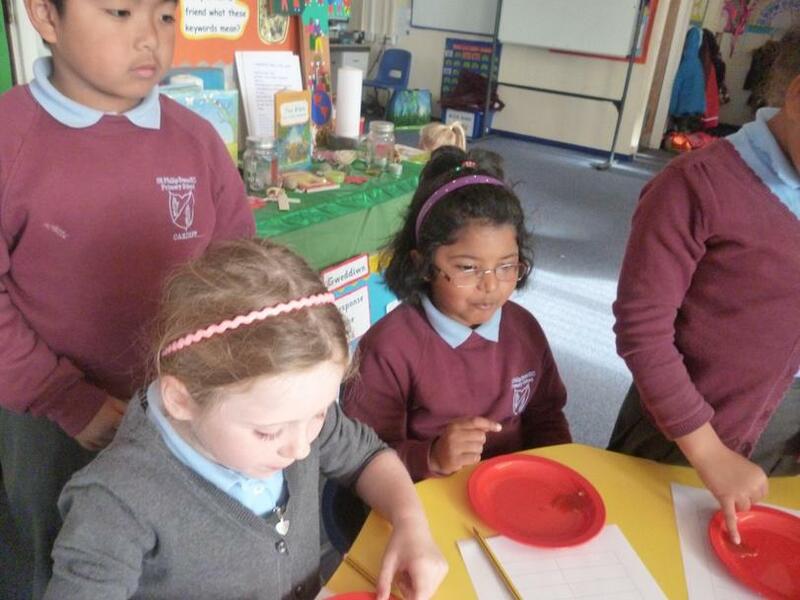 We are investigating different types of materials. 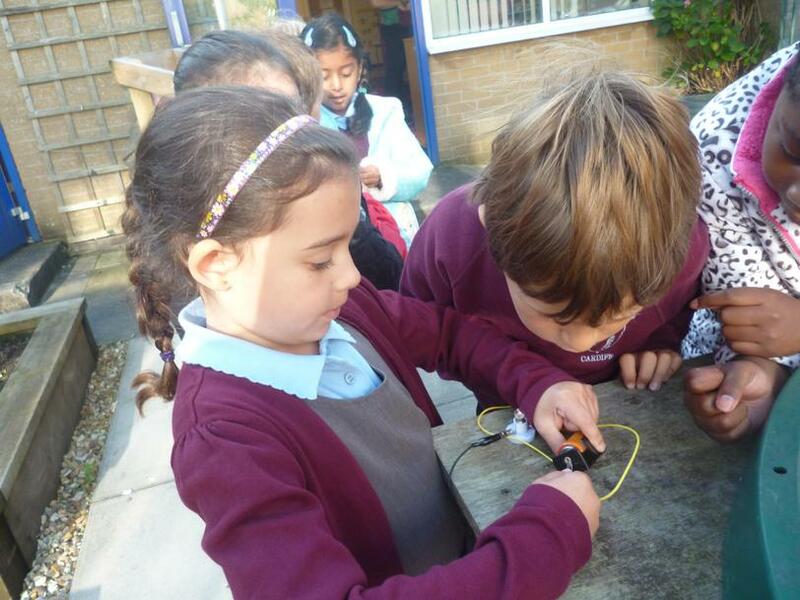 We are using our science skills to investigate. 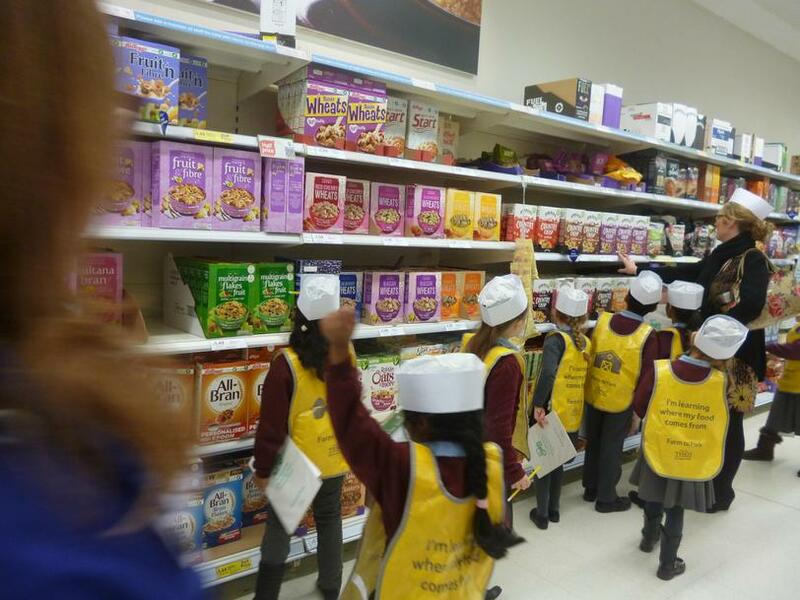 We have been very busy, this week, working on our new topic, ’Supermarkets.’ We have been looking at food packaging and discussing what material it is made from. 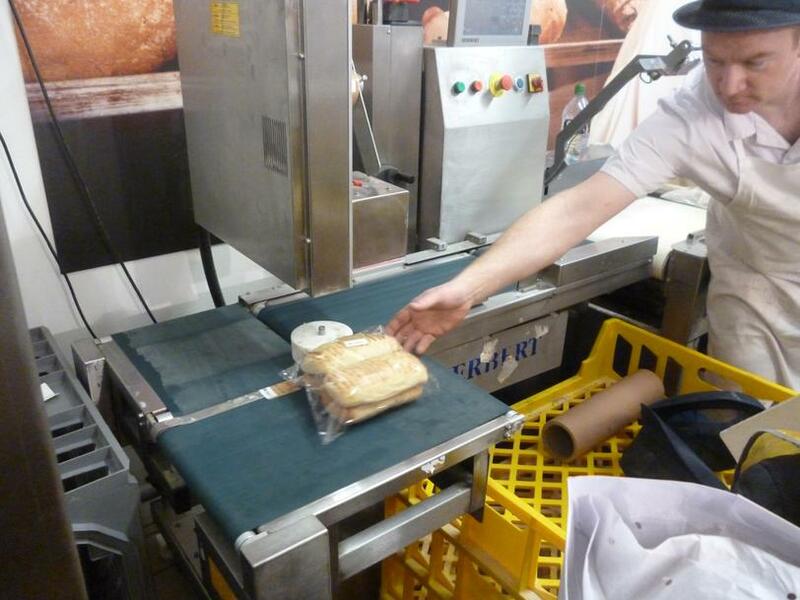 We have also discussed the suitability of this packaging and whether or not it can be recycled. 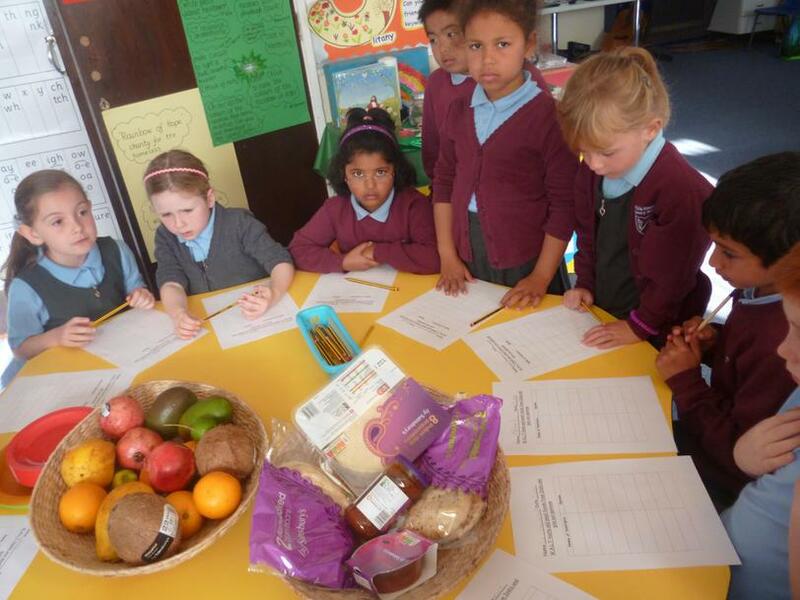 Next, we used our creative skills to draw fruit found in the supermarket and ‘pop art’ the image. 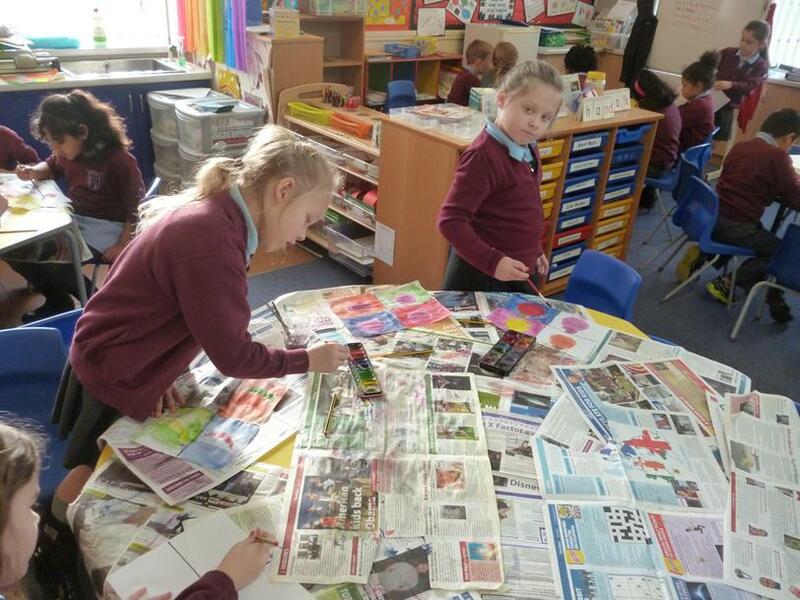 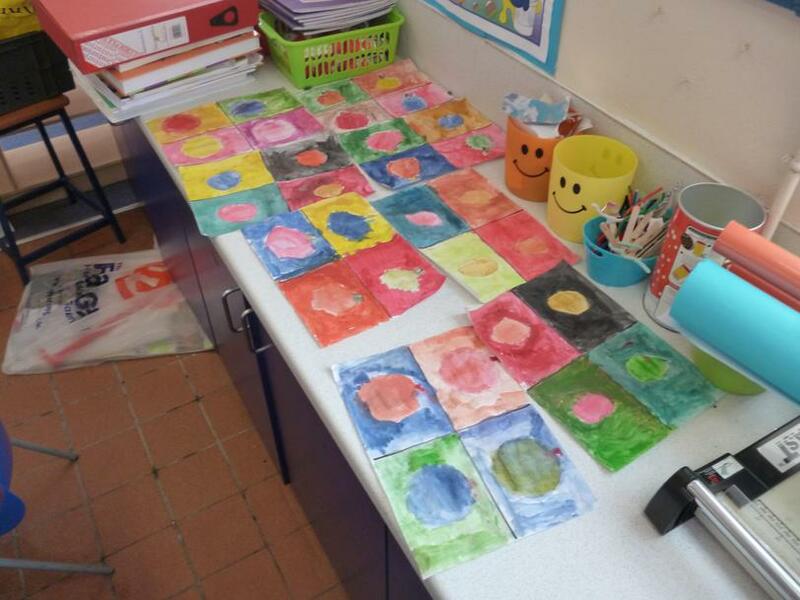 We had to ensure that we copied the image as identically as we could, really using out observation and fine motor control. 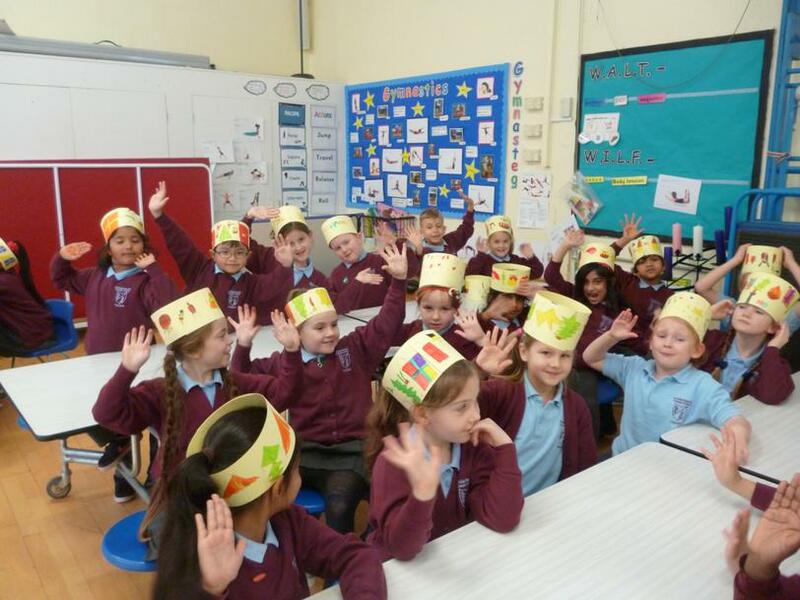 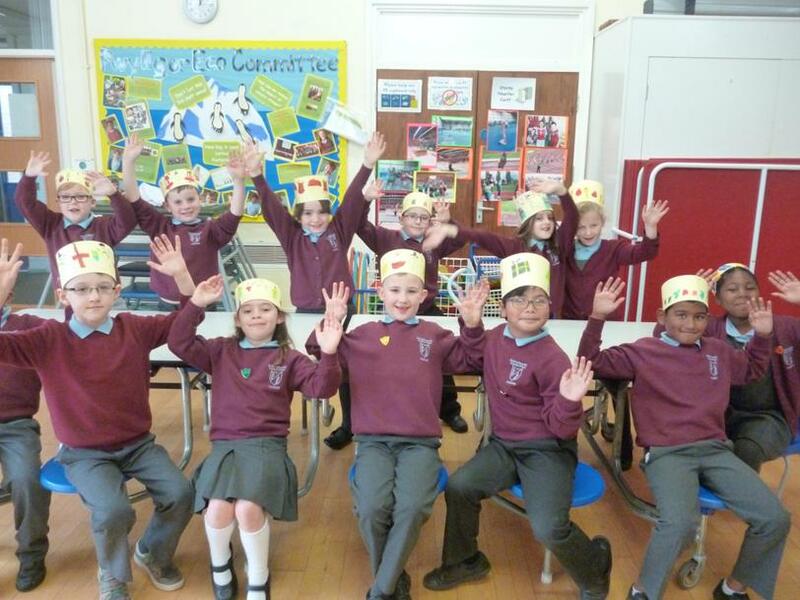 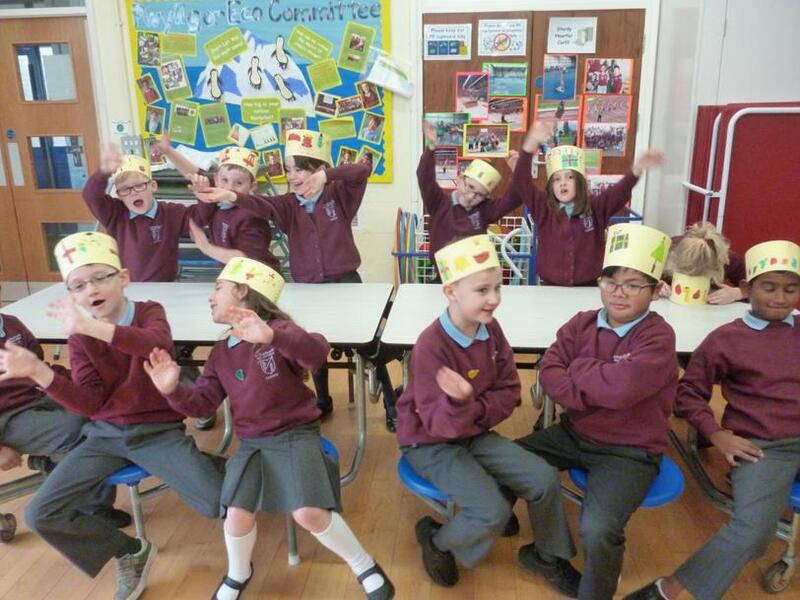 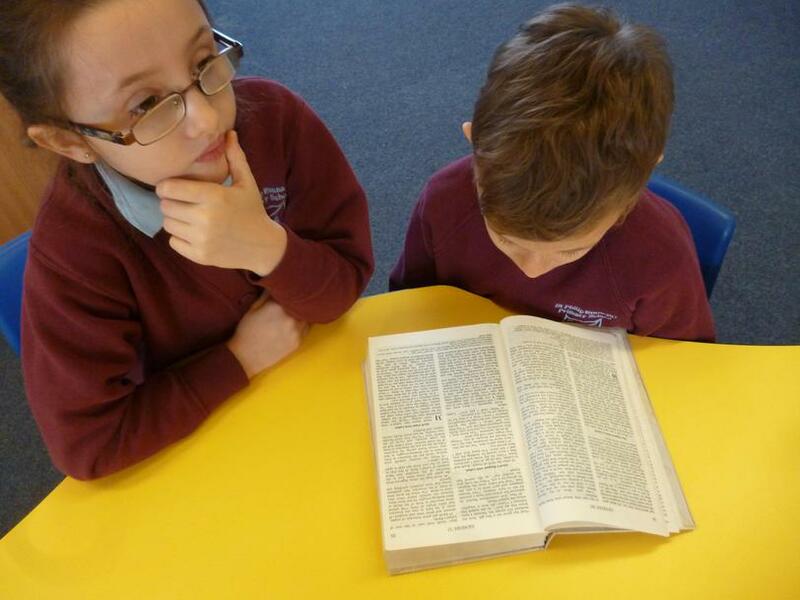 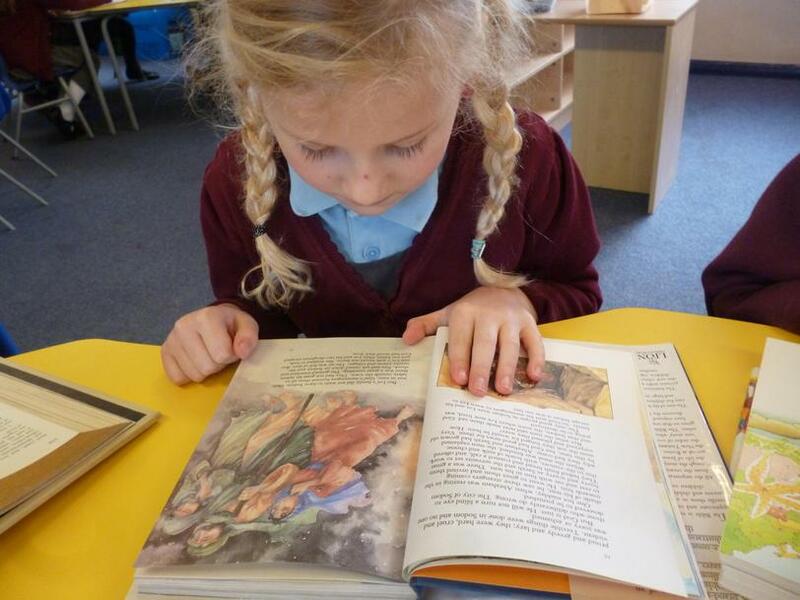 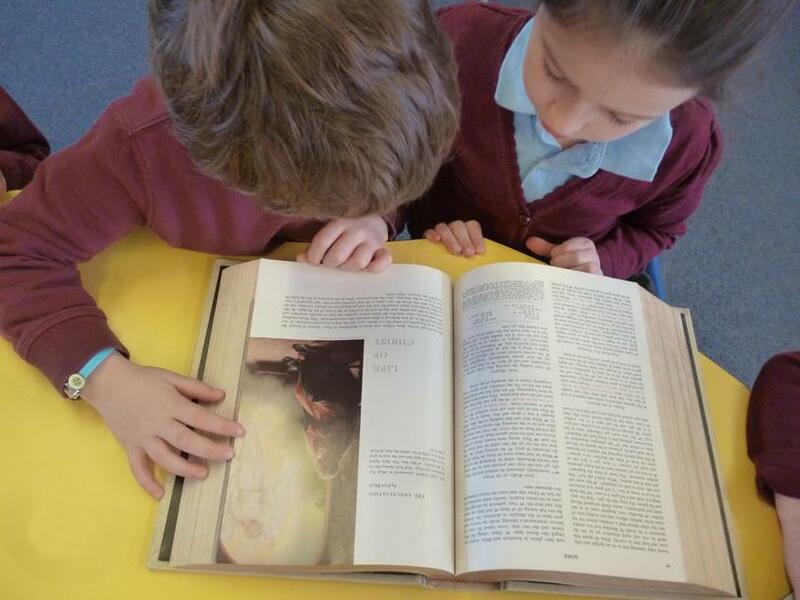 Finally, in our ‘Come and See’ learning, we developed our knowledge of the most special book, the Bible, as we became more familiar with the way it is organised and written .We looked at many different types of Bibles hat we use in our school. 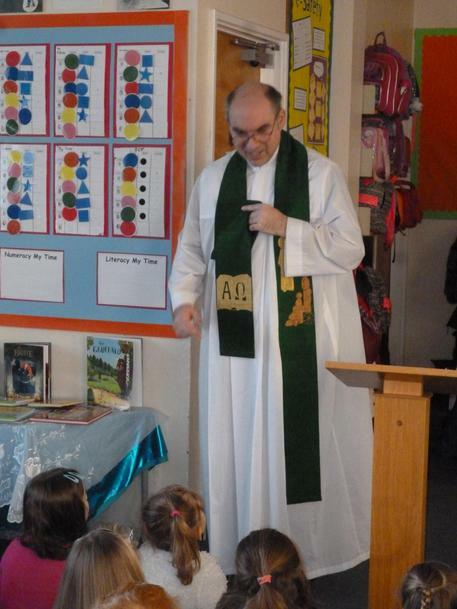 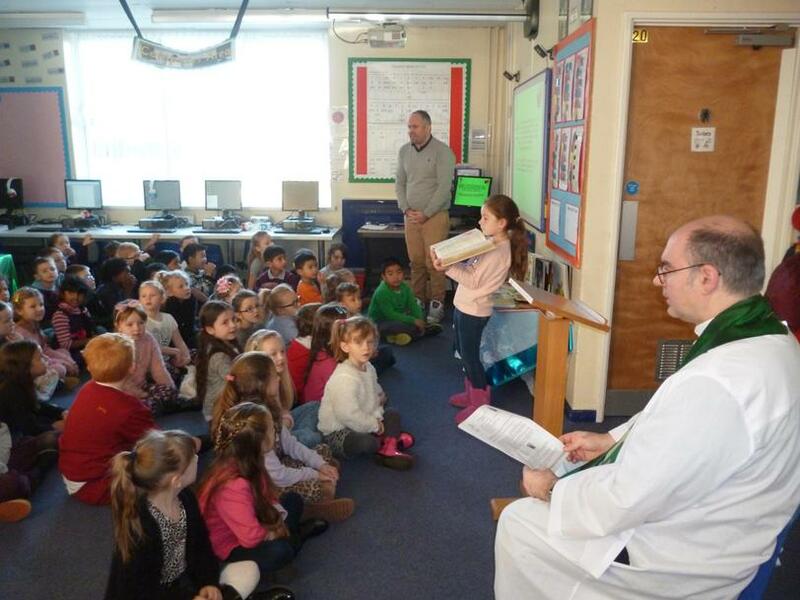 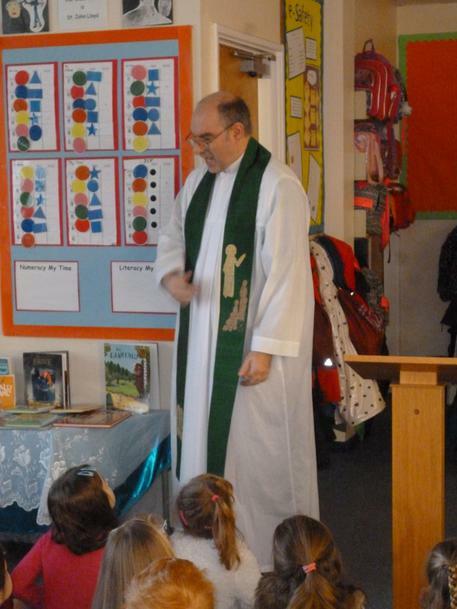 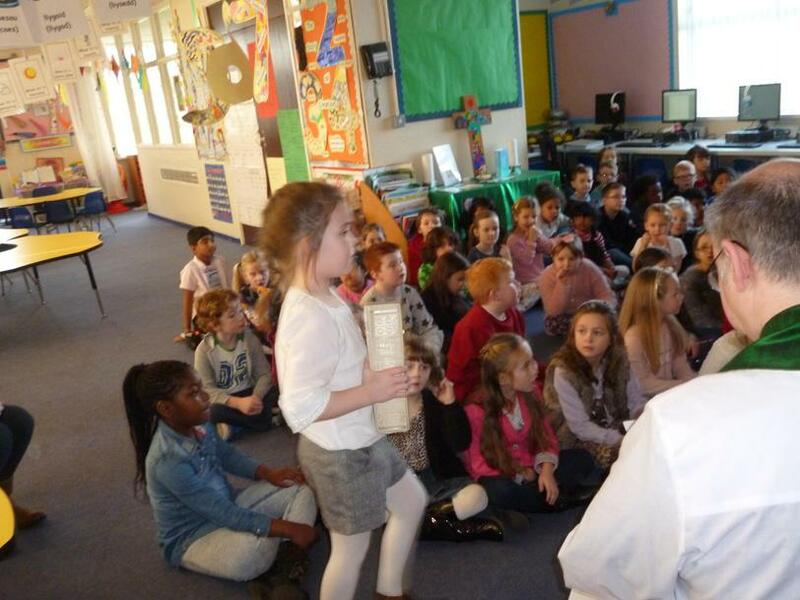 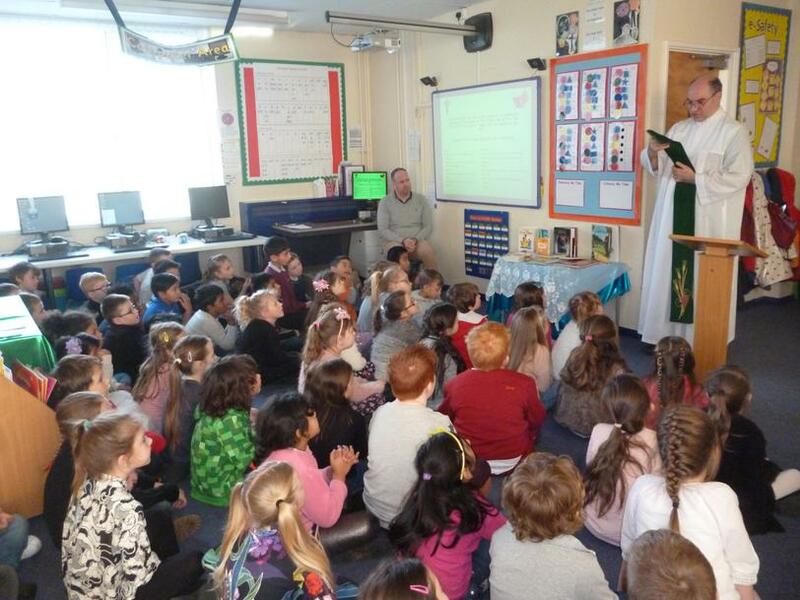 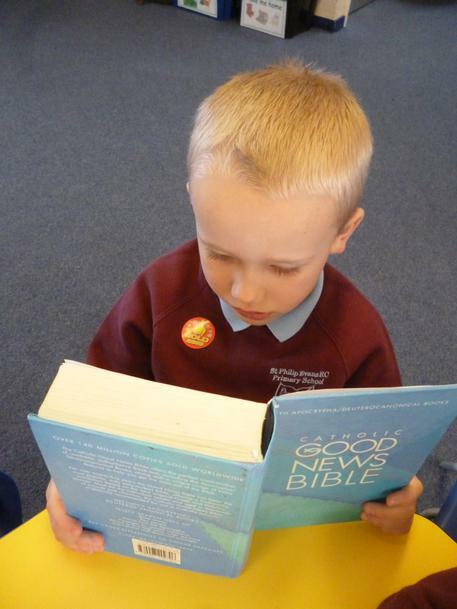 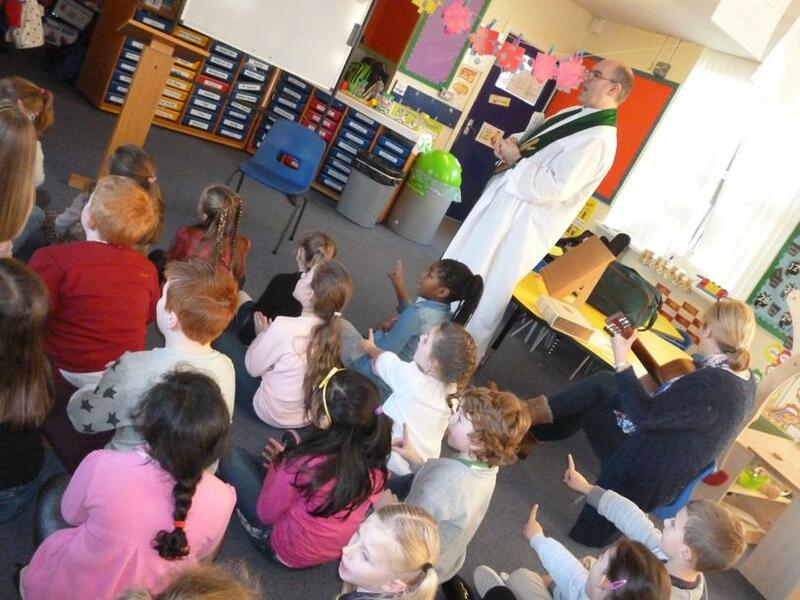 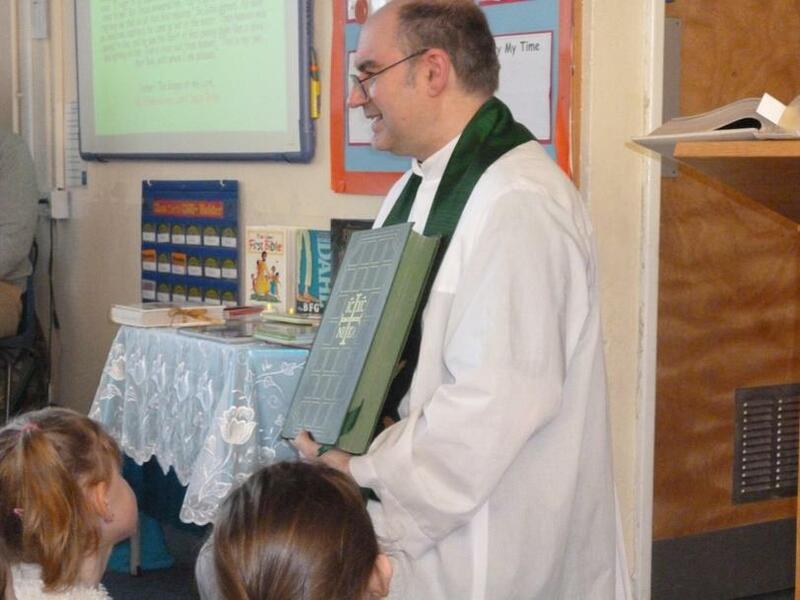 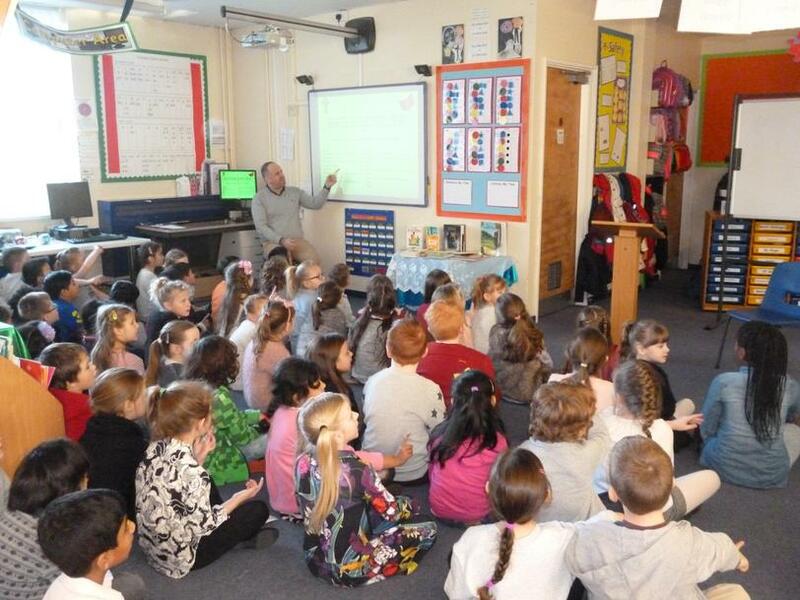 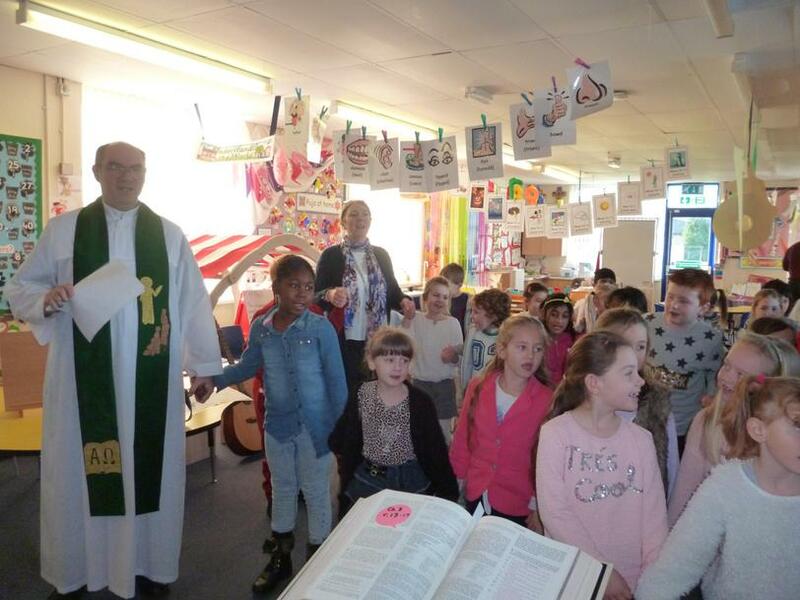 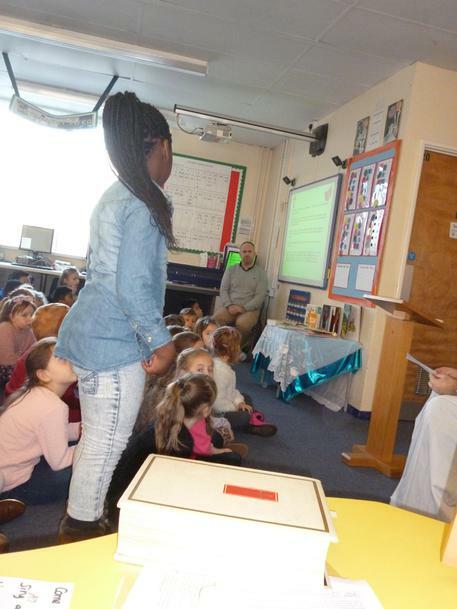 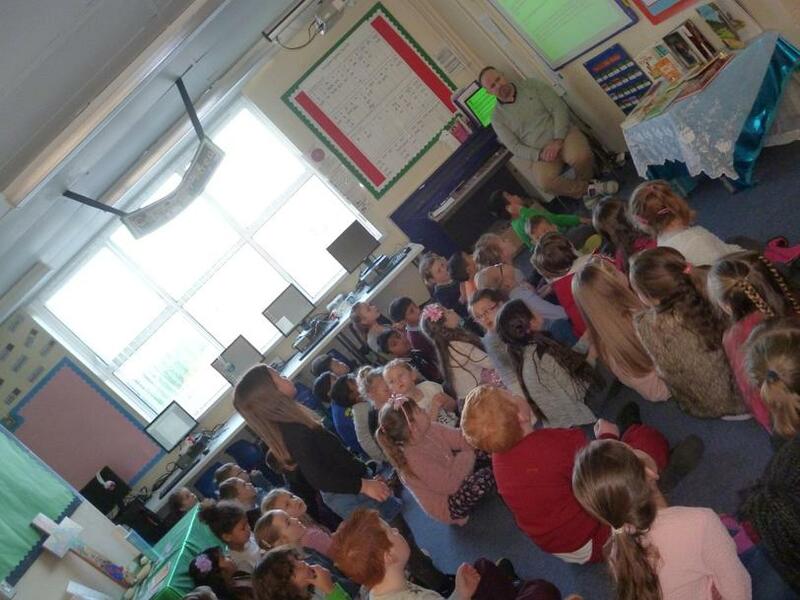 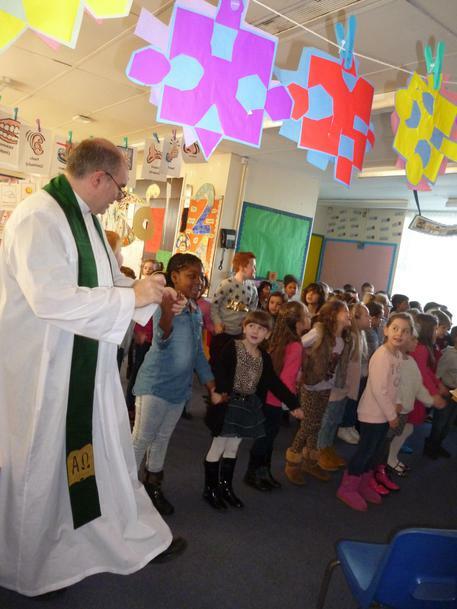 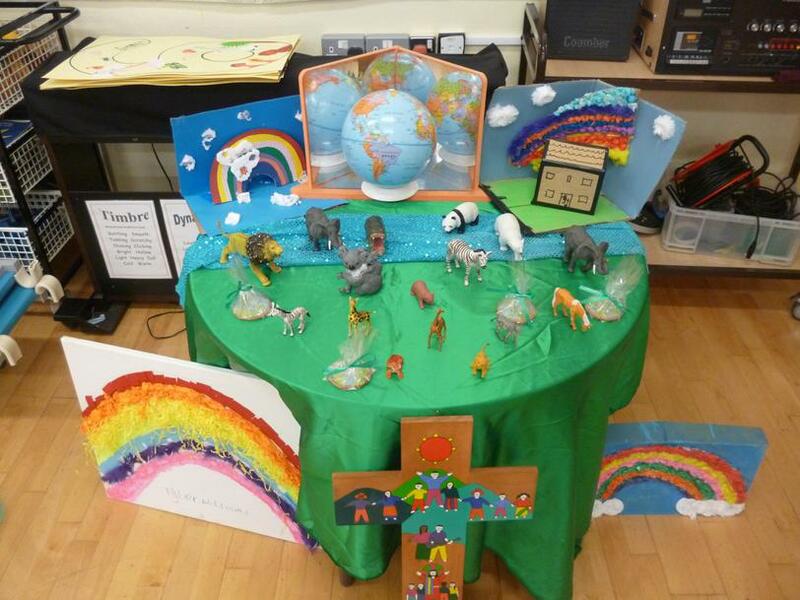 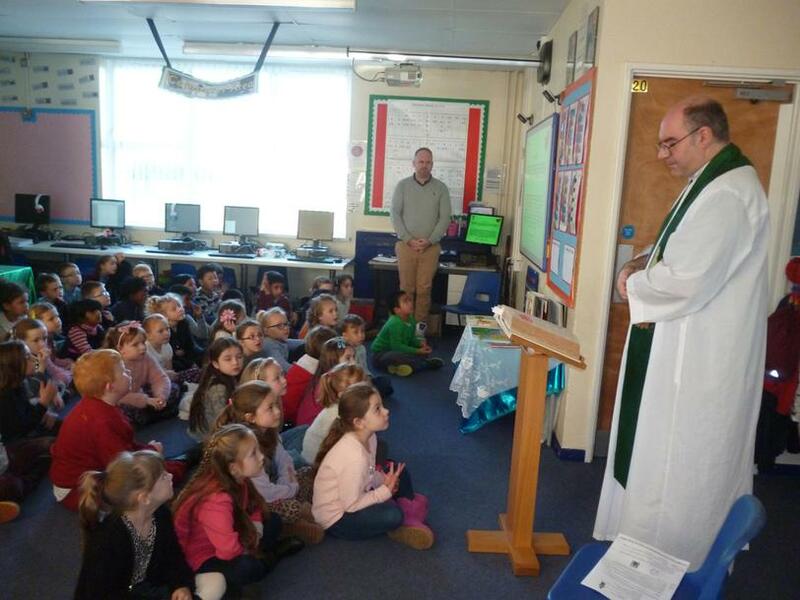 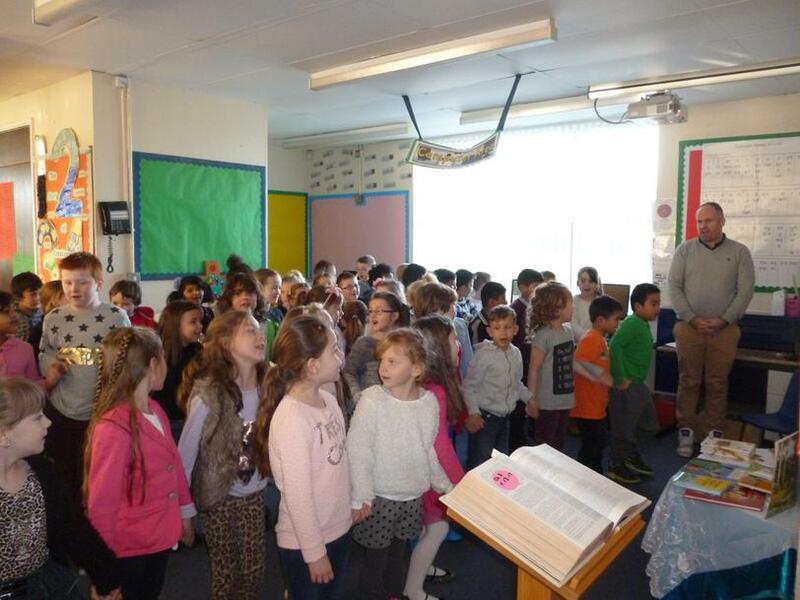 Year 2 reflecting on the R.E topic 'Books' during their prayer service. 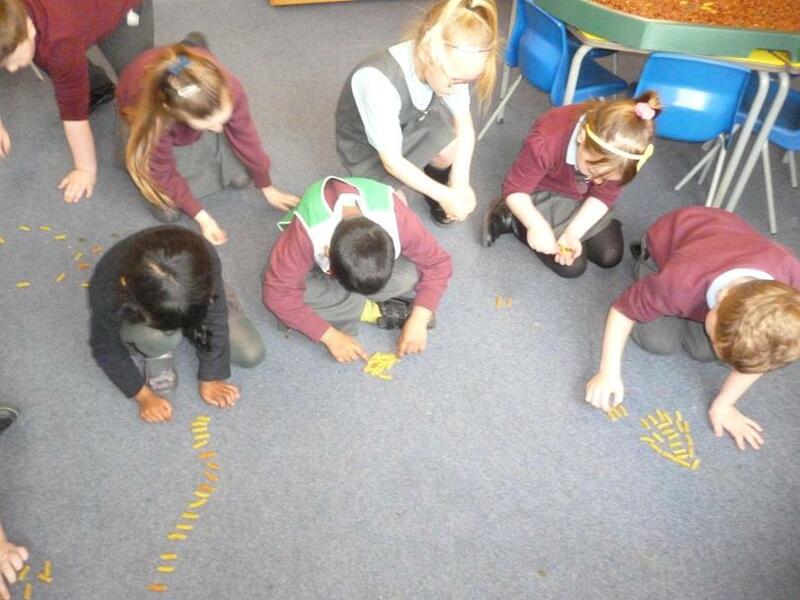 Adding and subtracting using a number line. 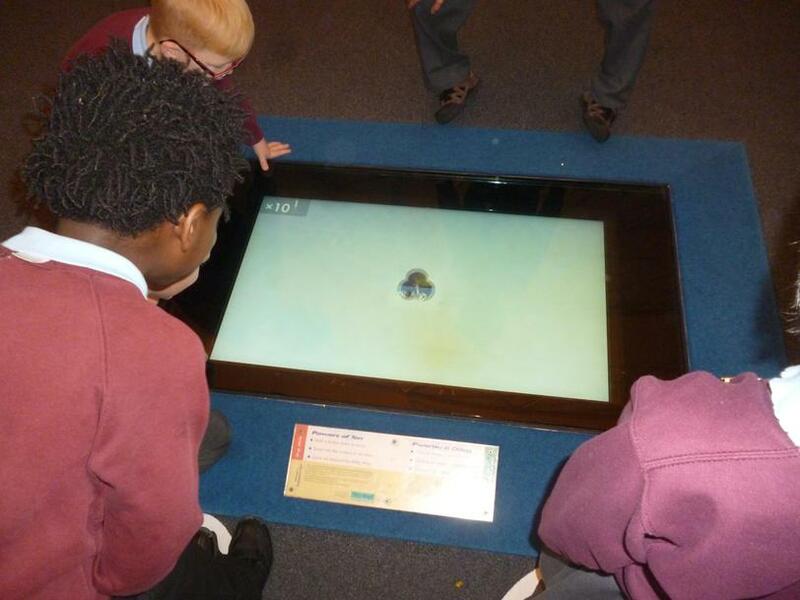 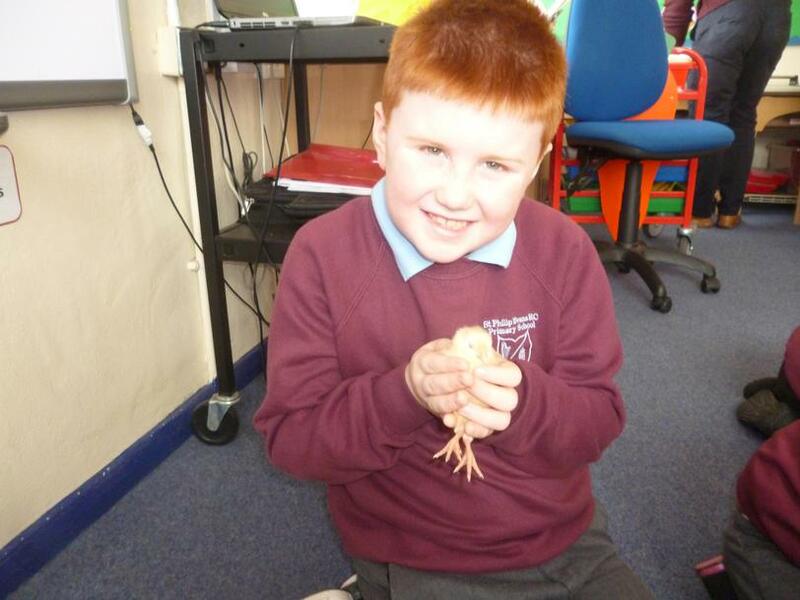 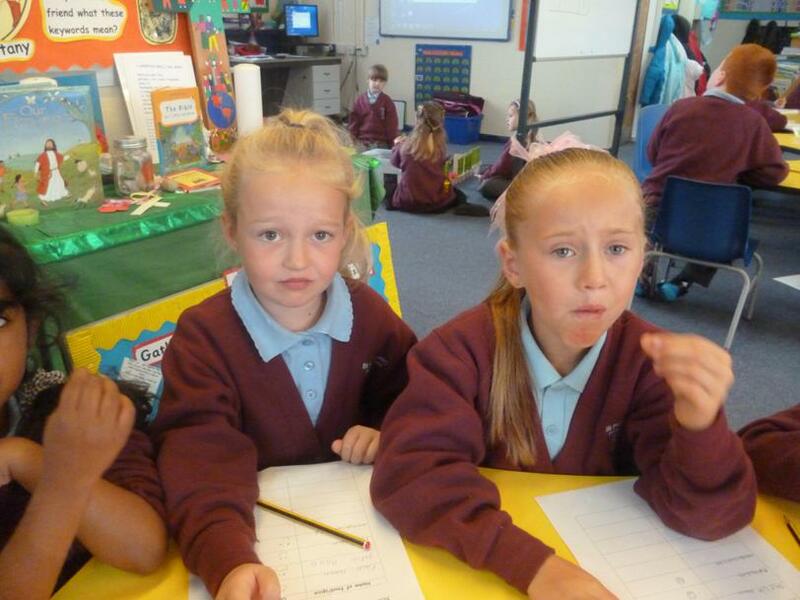 We love using ICT every day to learn! 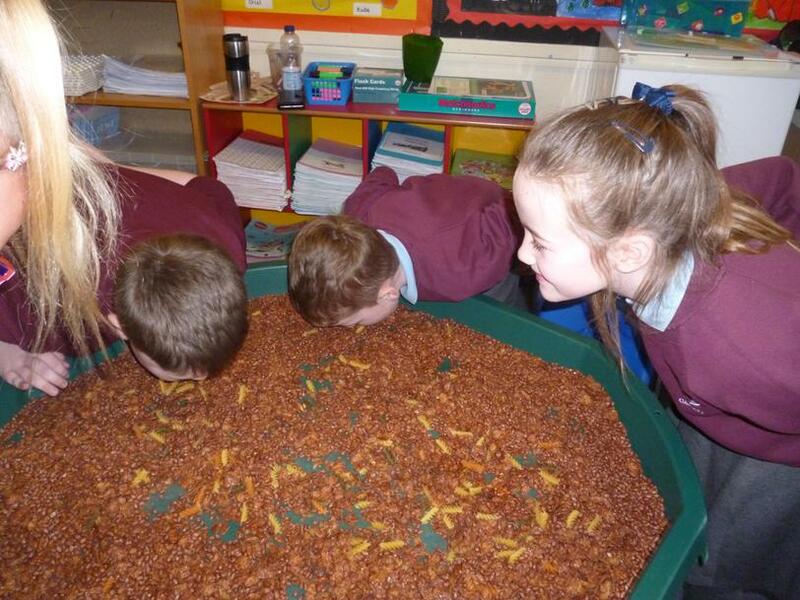 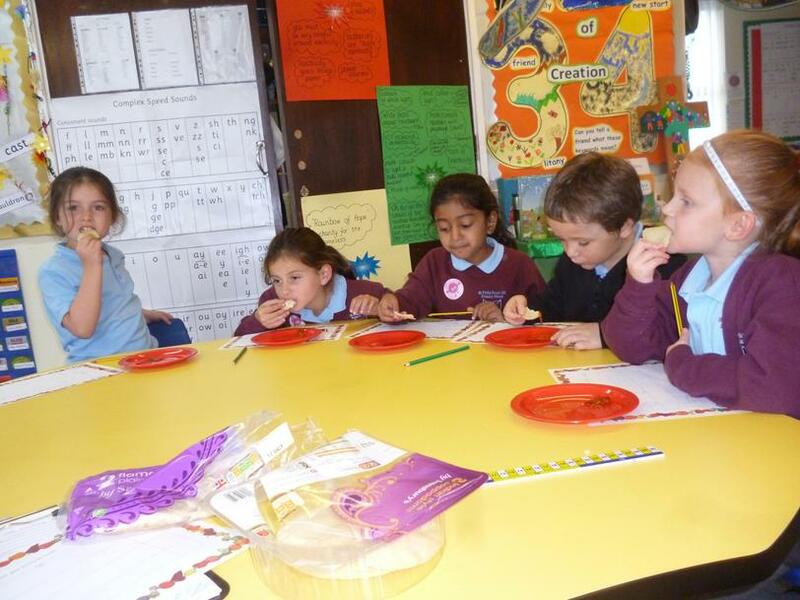 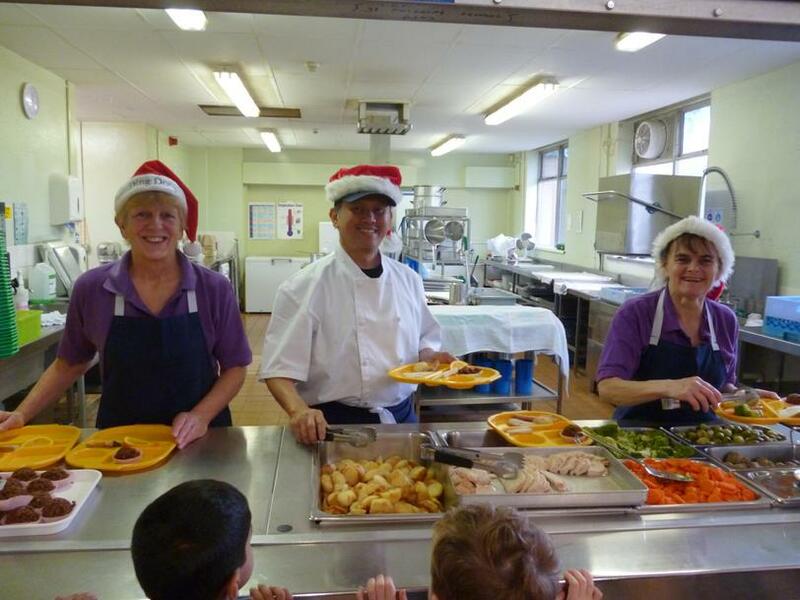 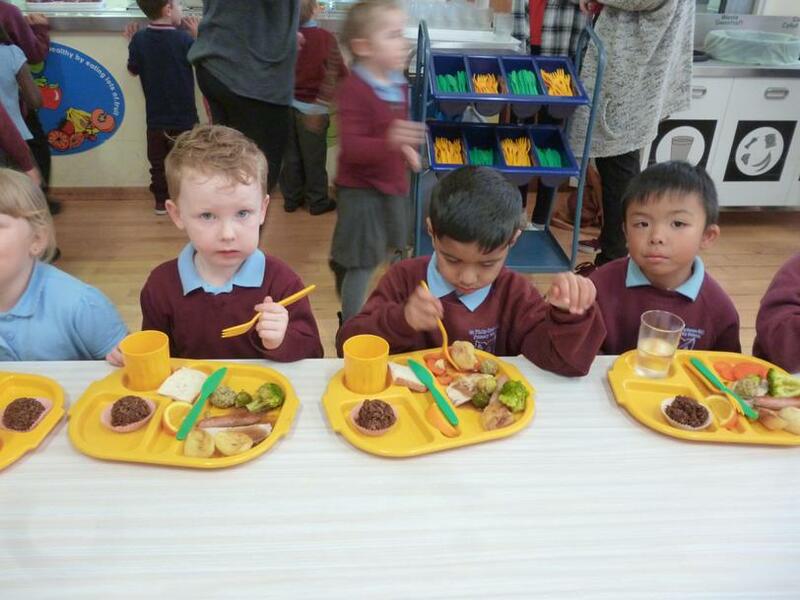 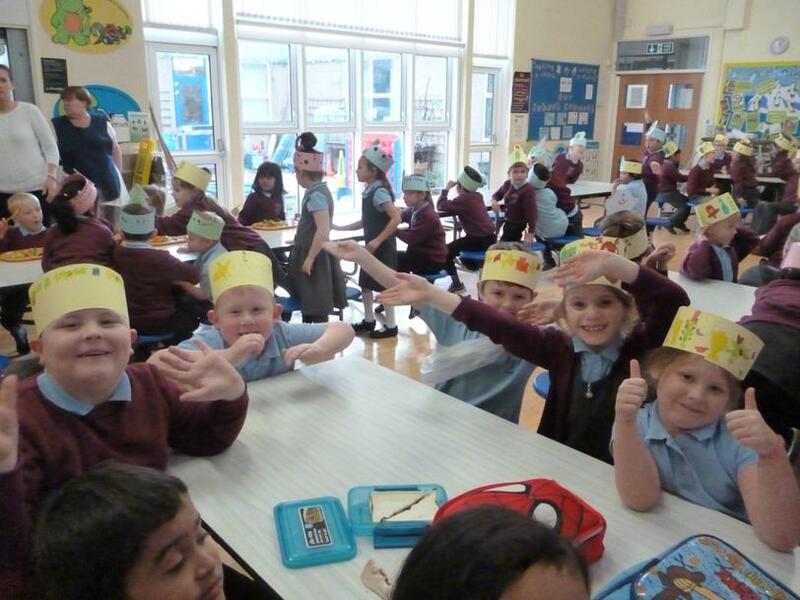 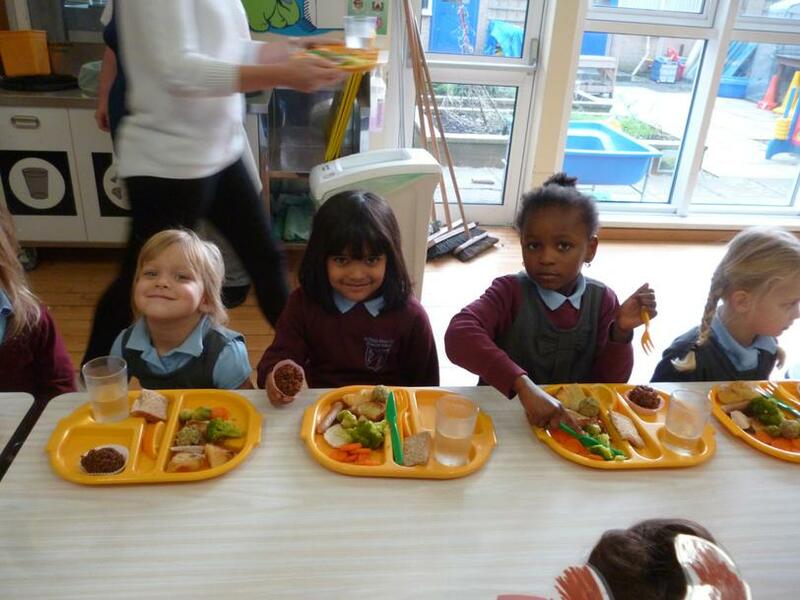 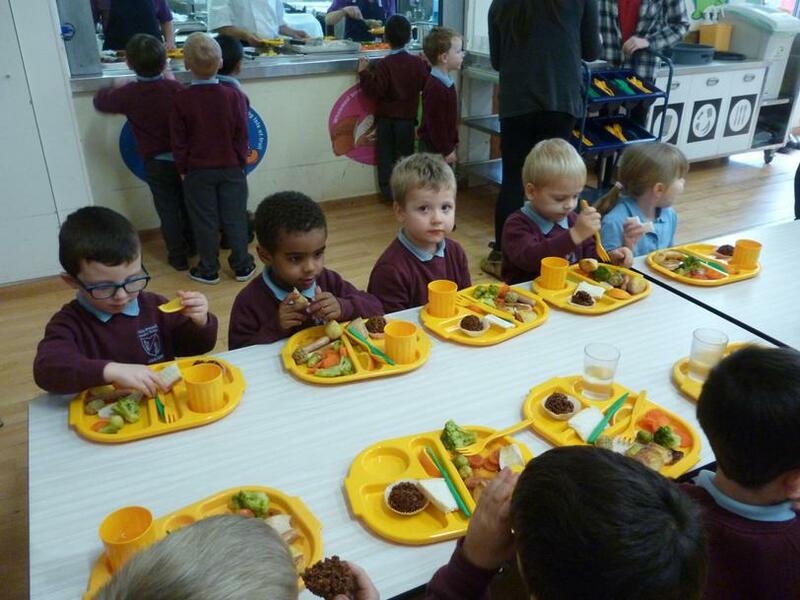 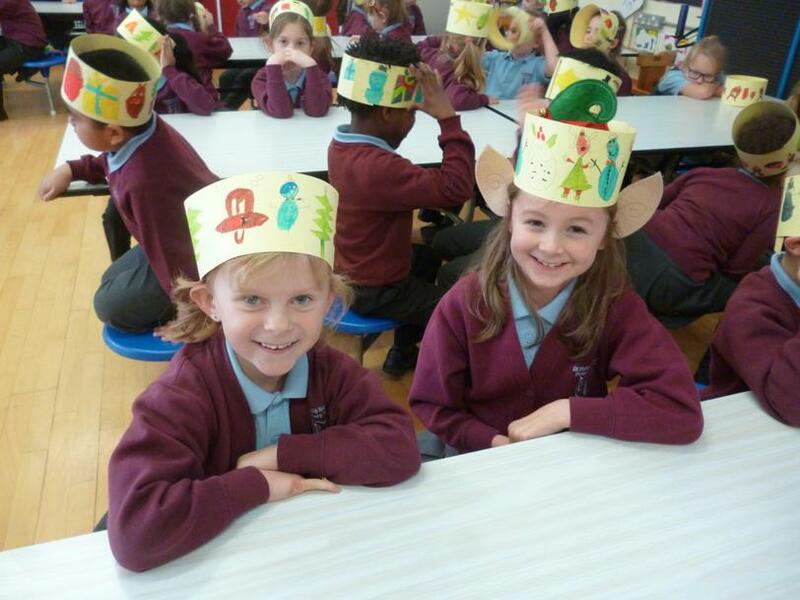 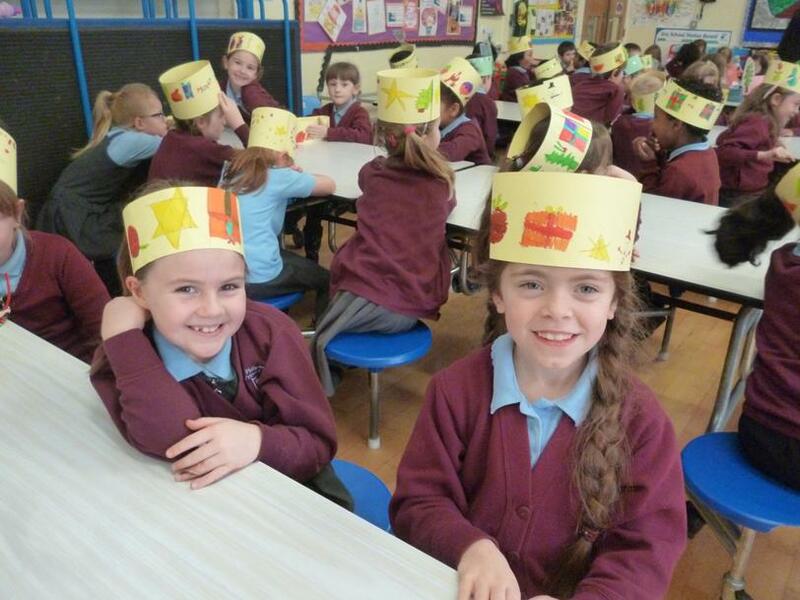 Year 2 enjoying their Christmas lunch. 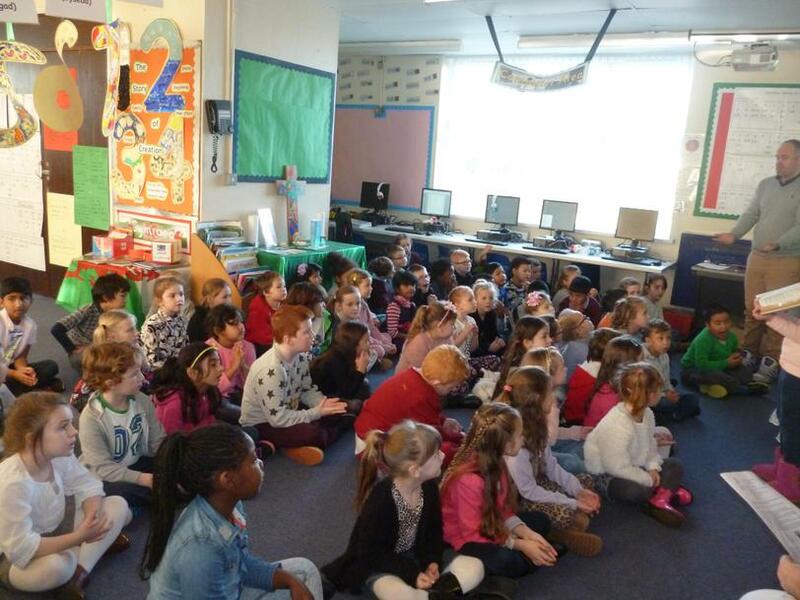 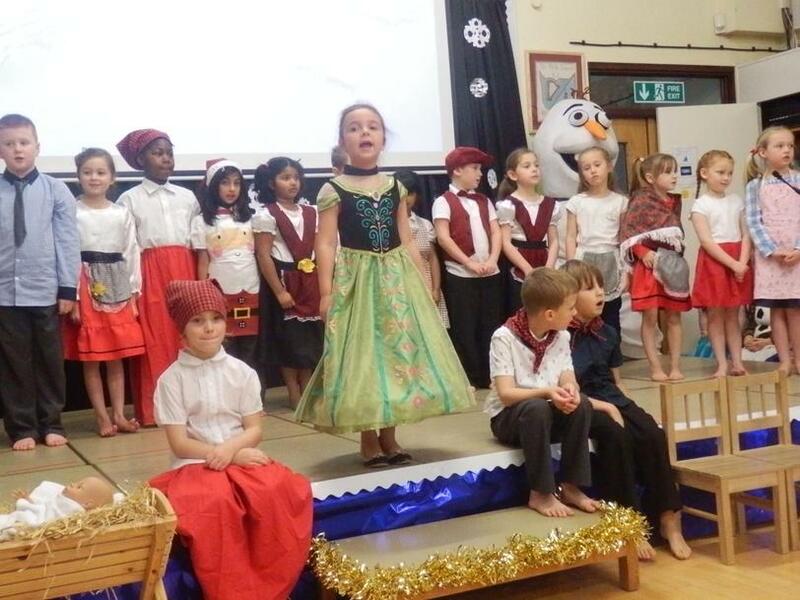 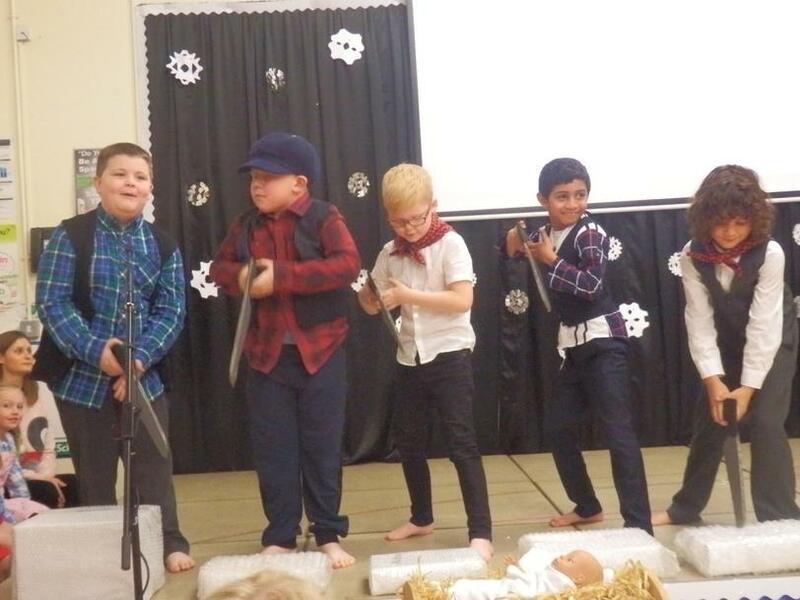 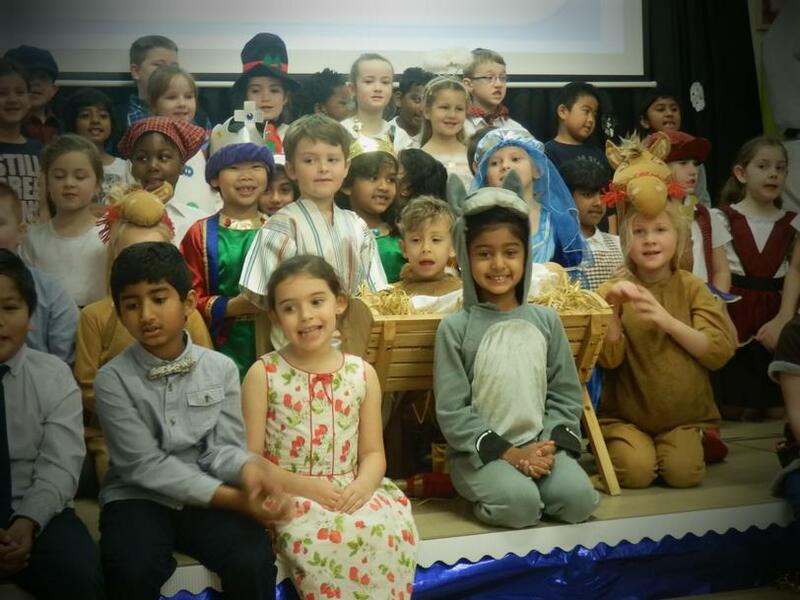 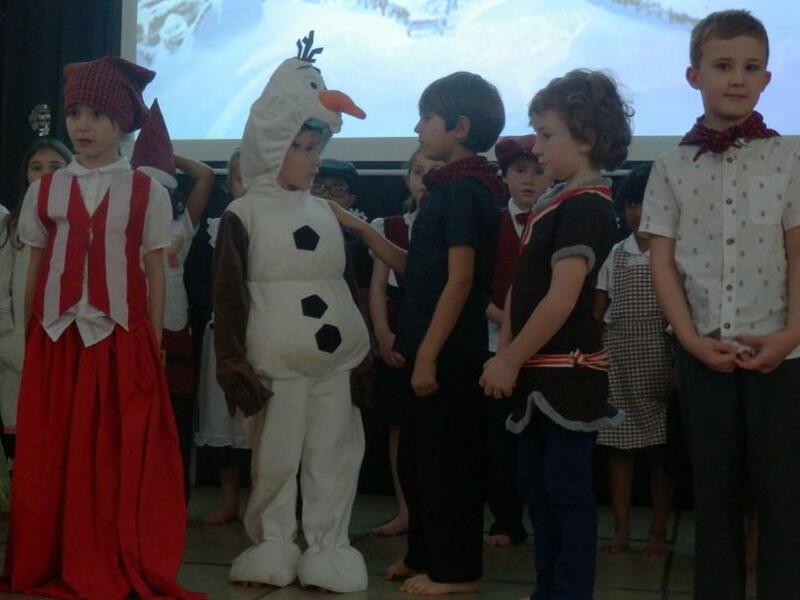 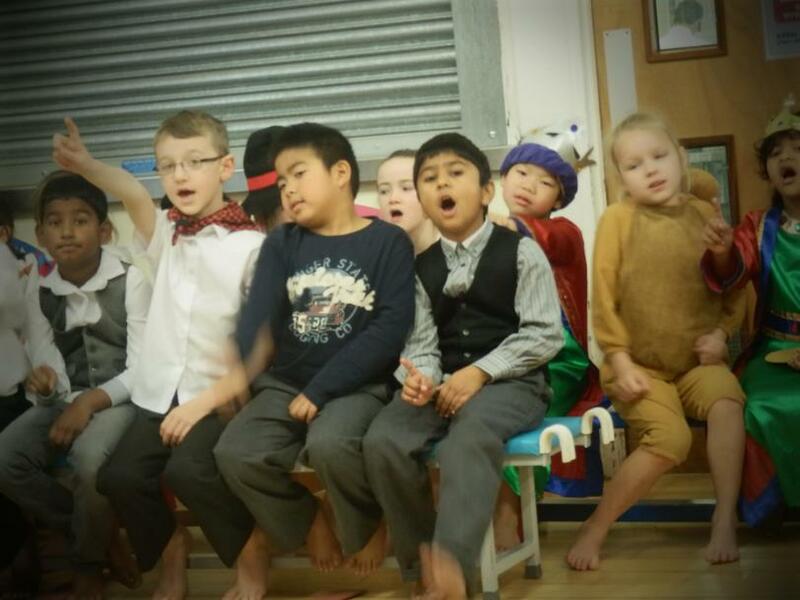 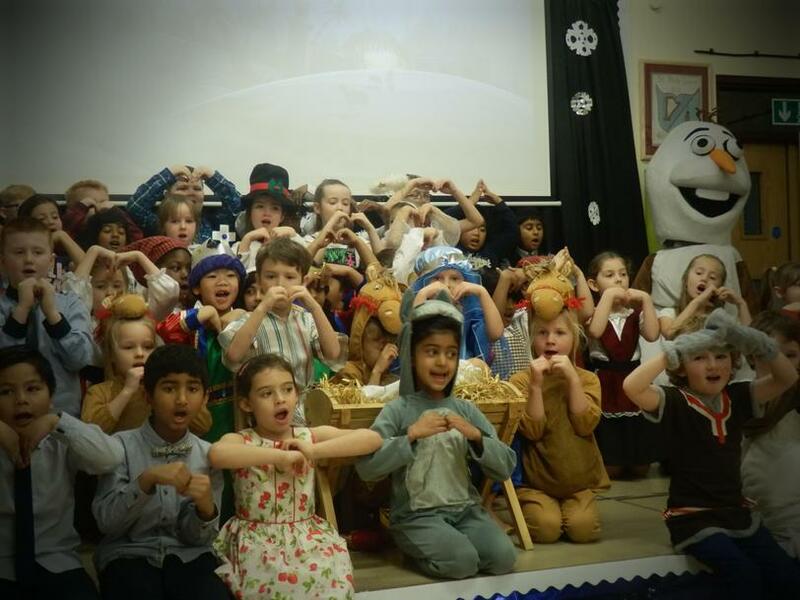 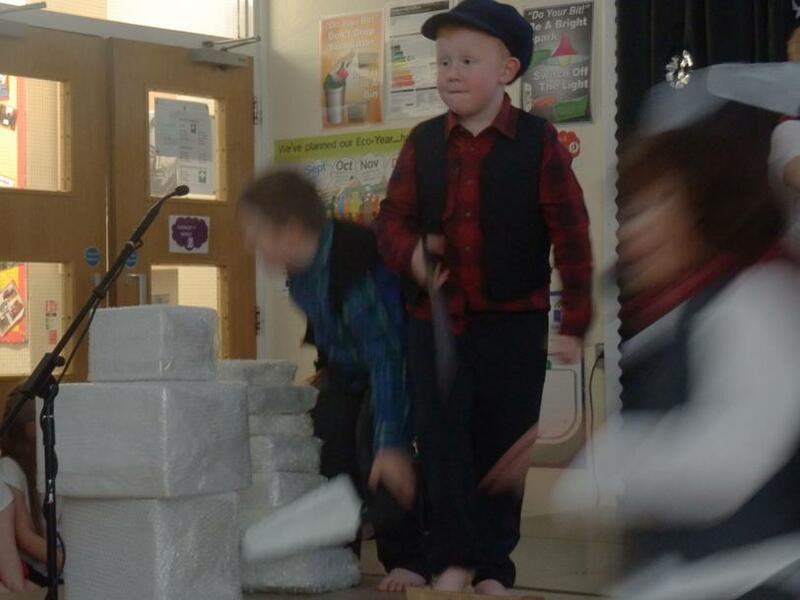 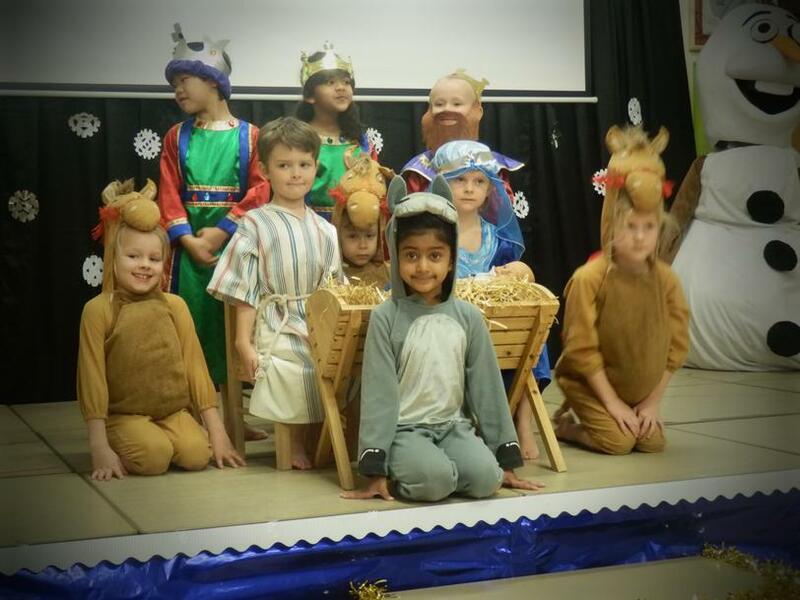 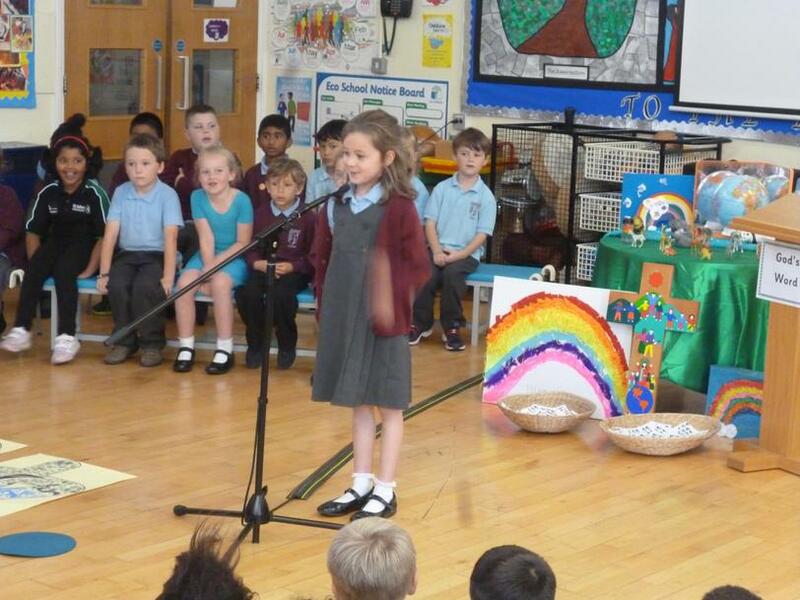 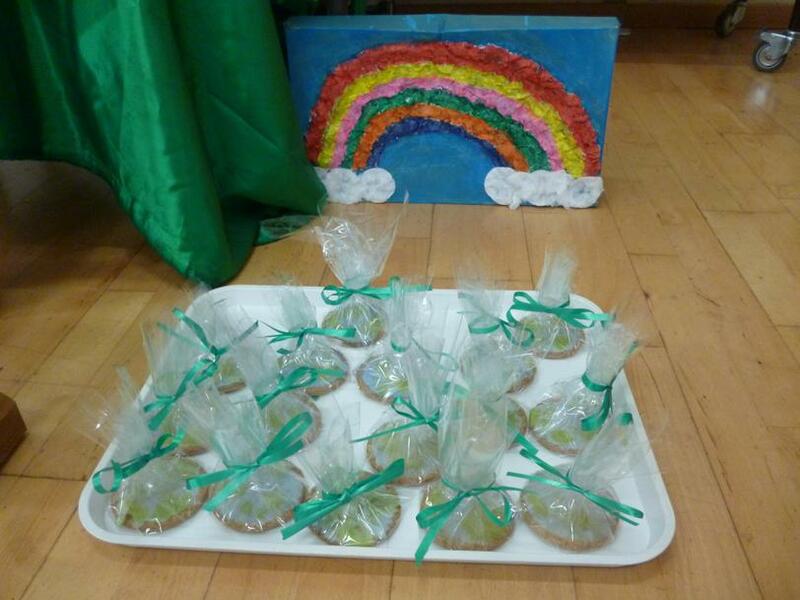 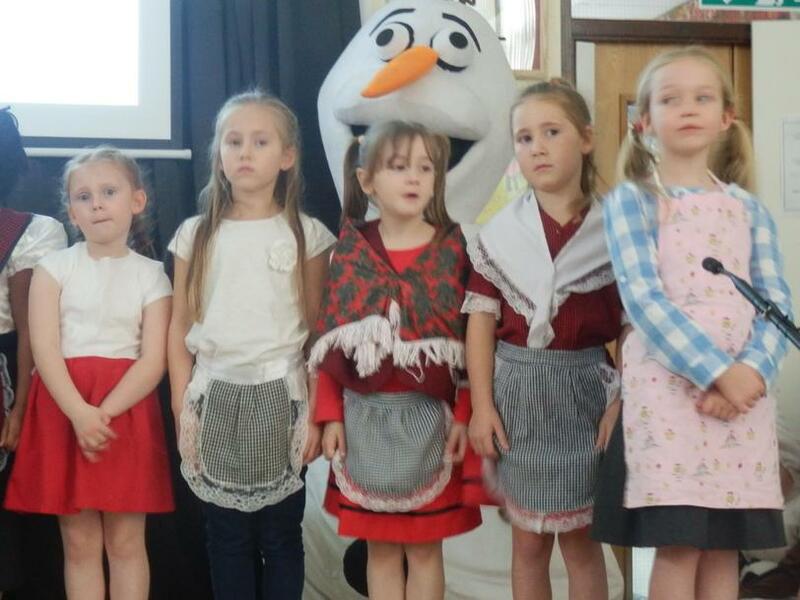 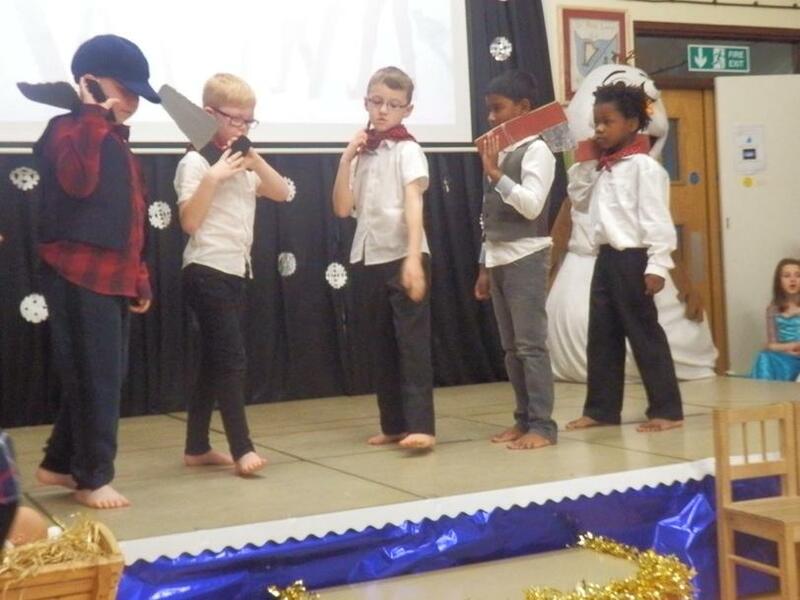 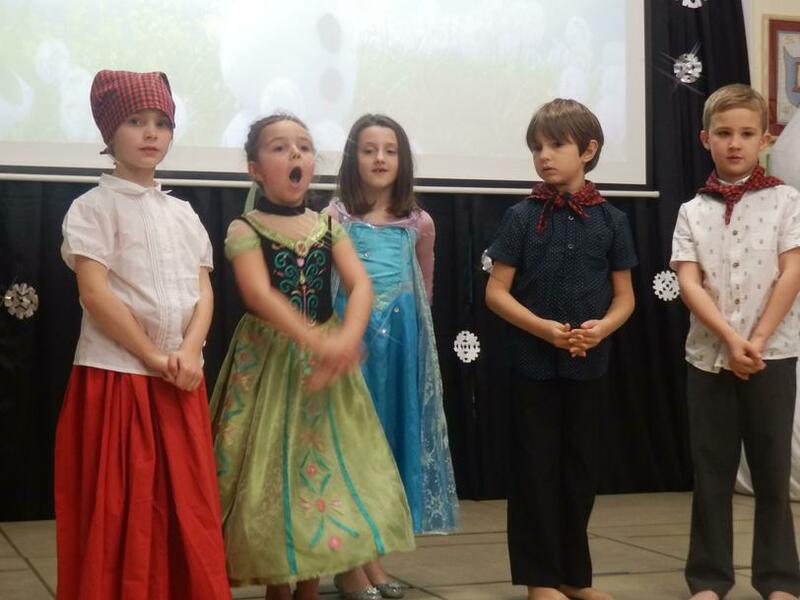 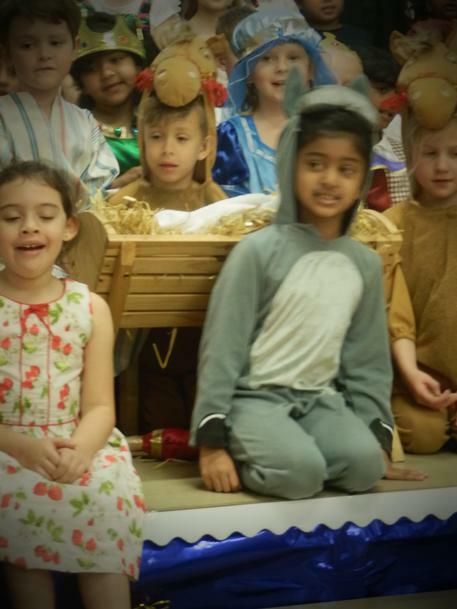 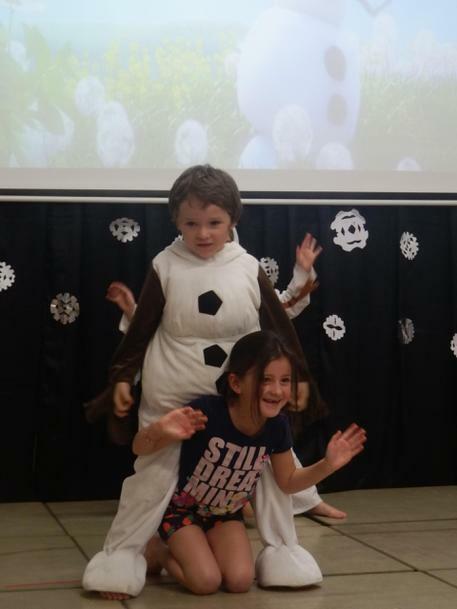 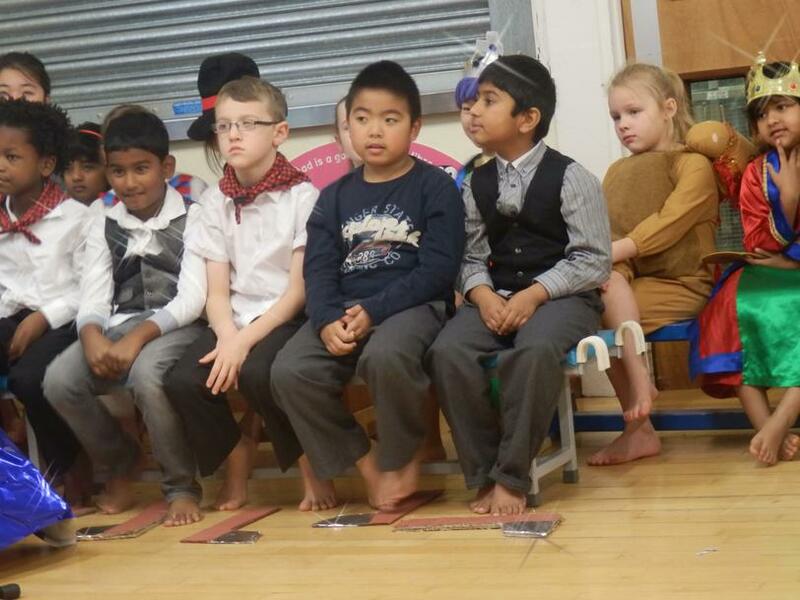 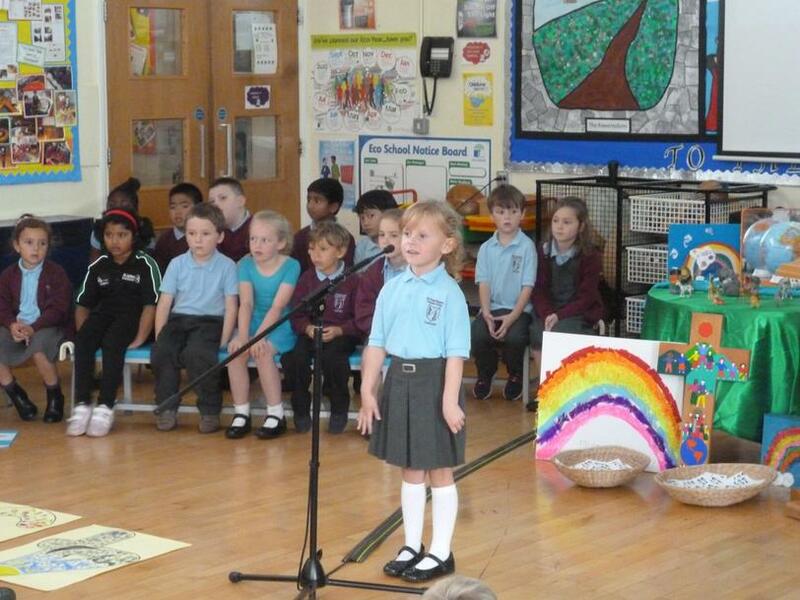 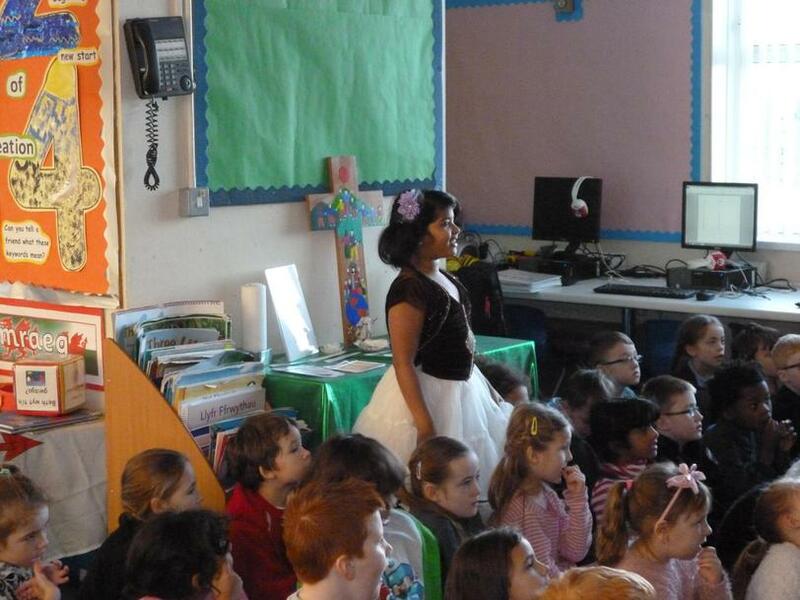 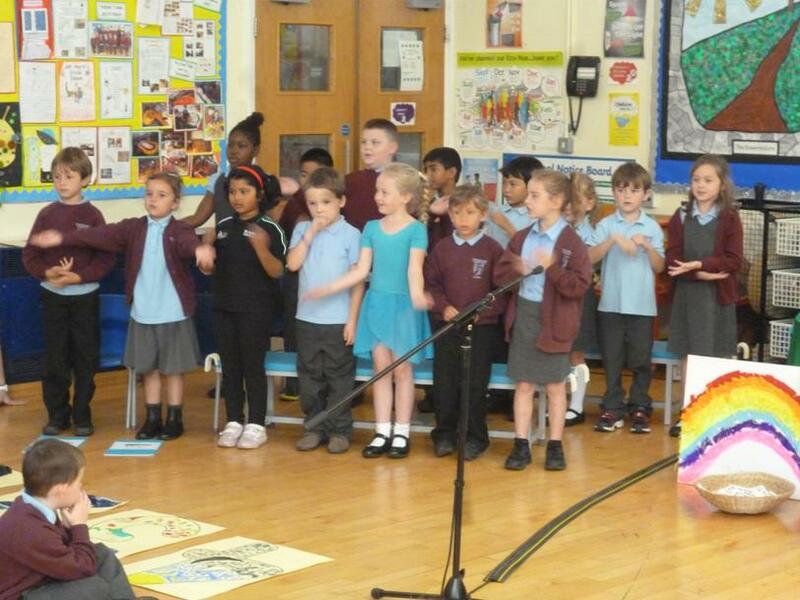 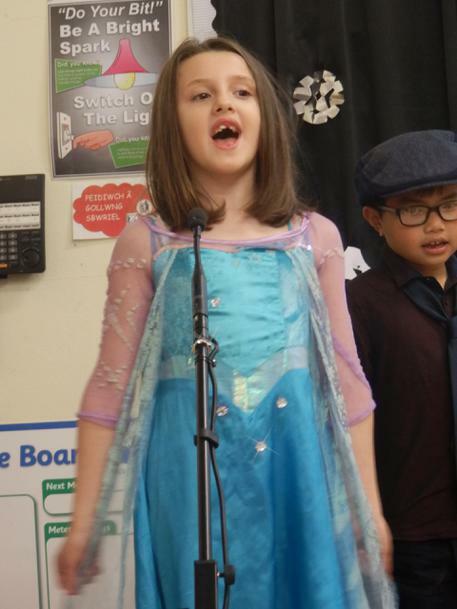 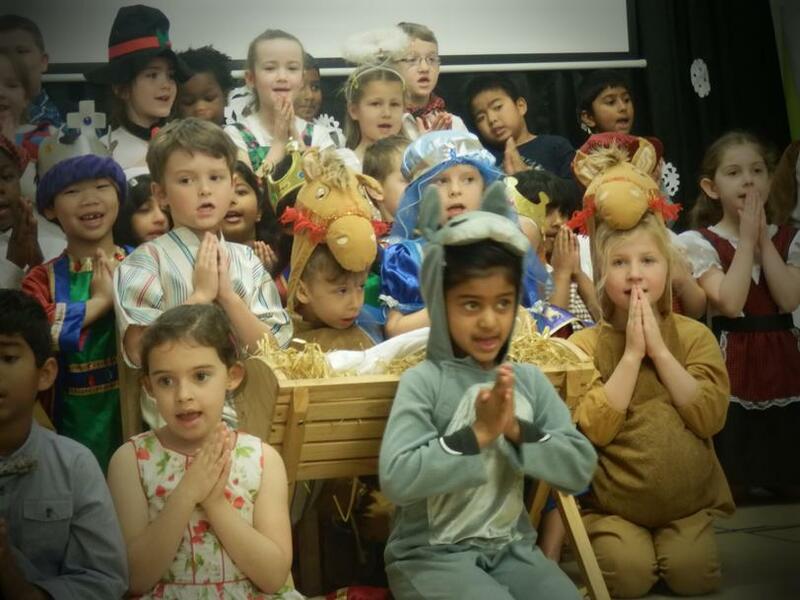 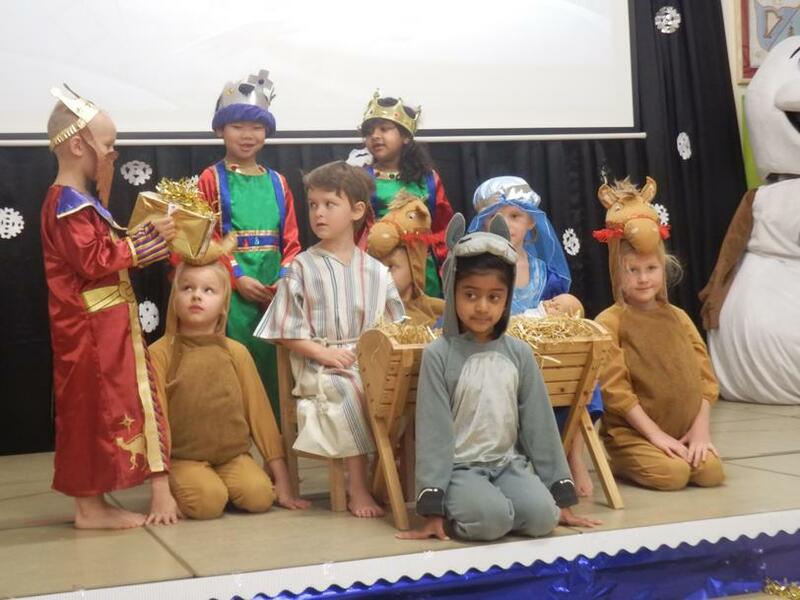 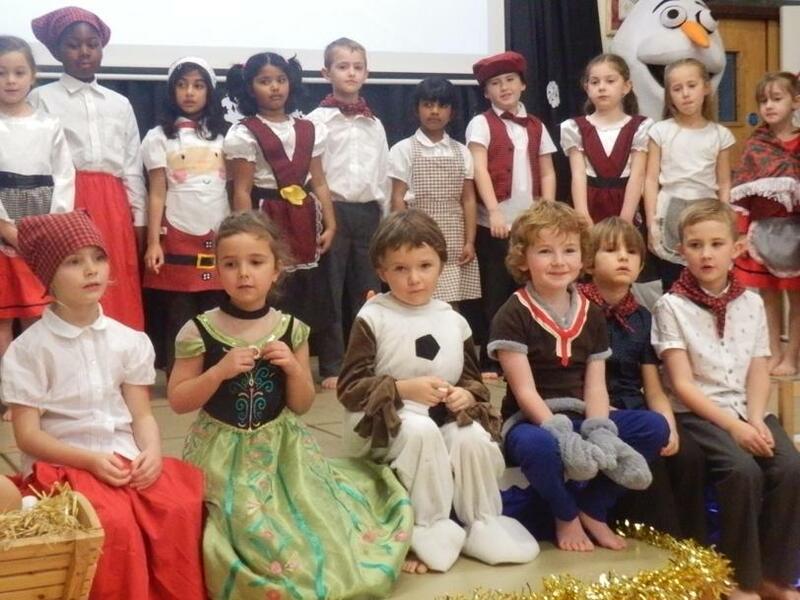 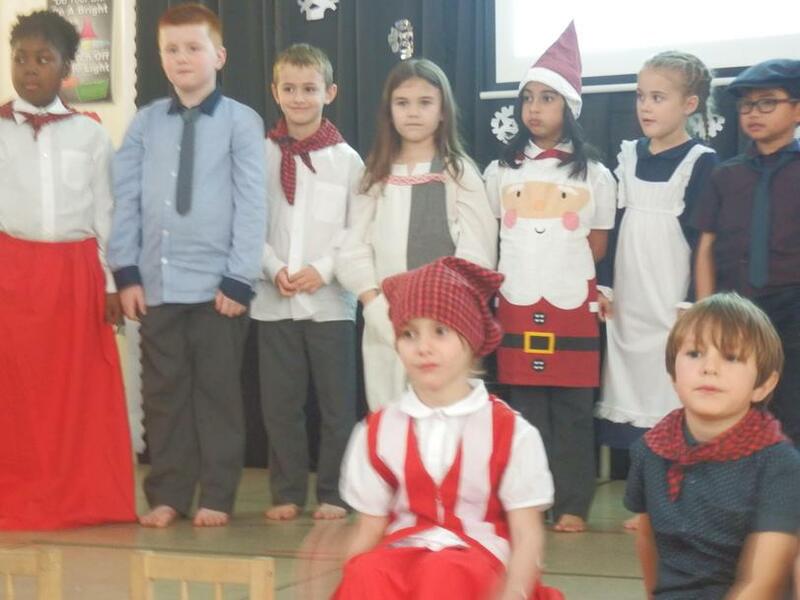 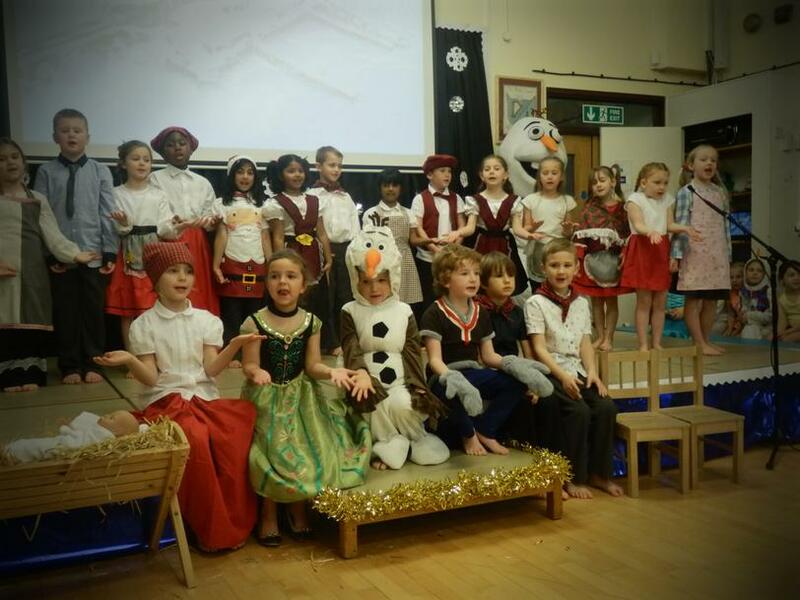 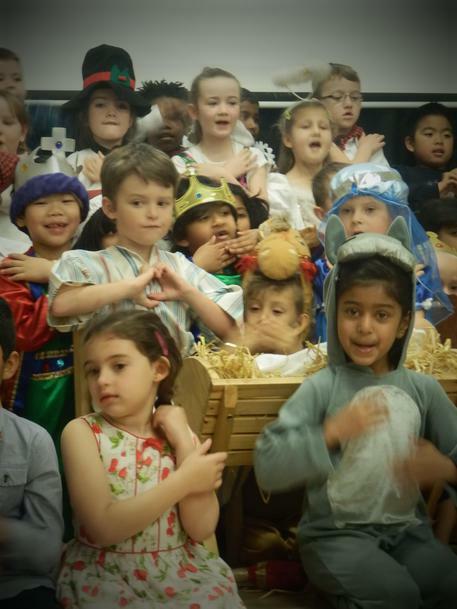 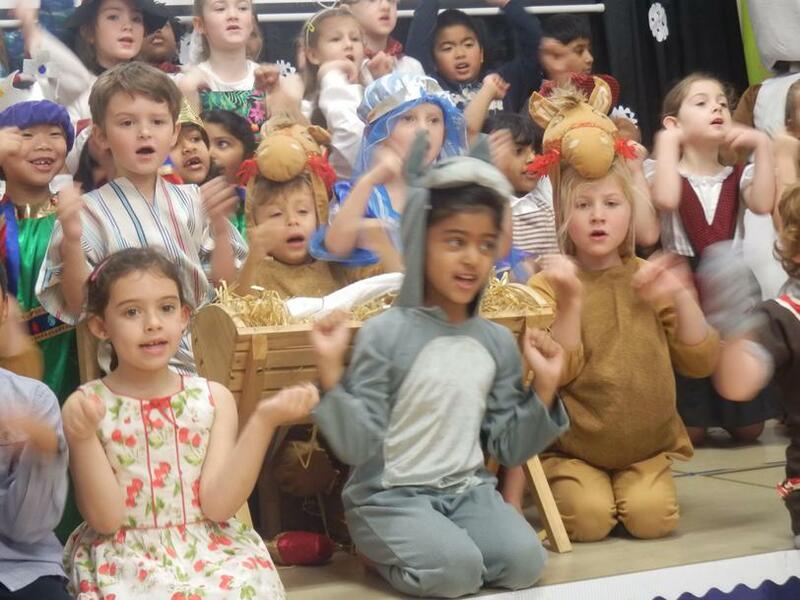 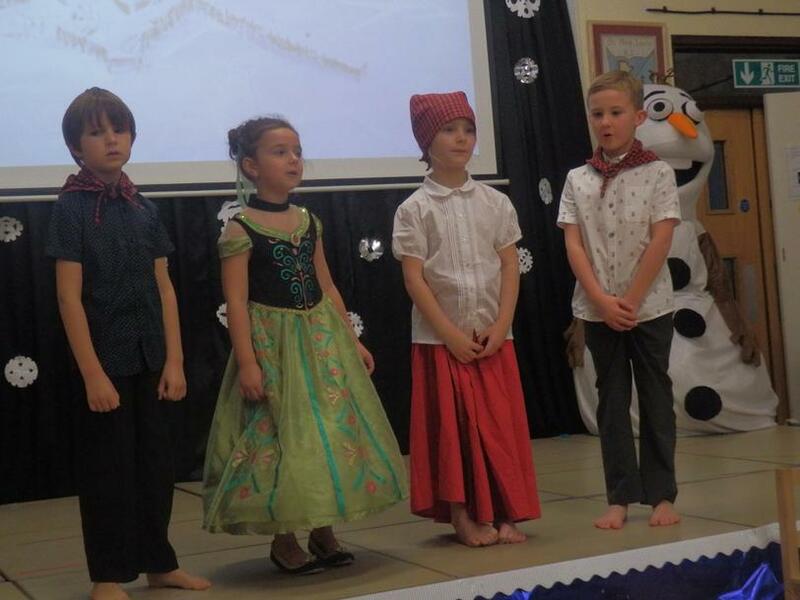 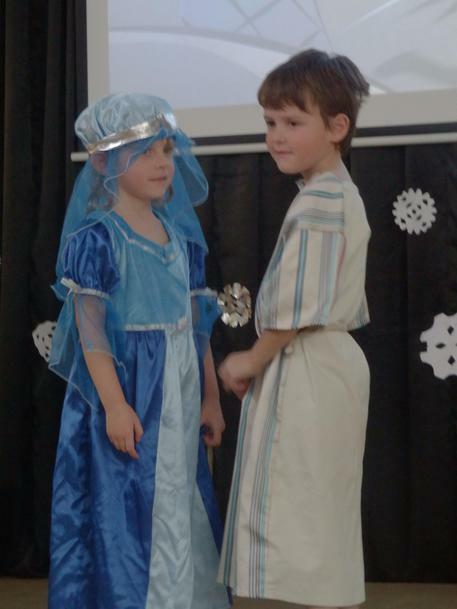 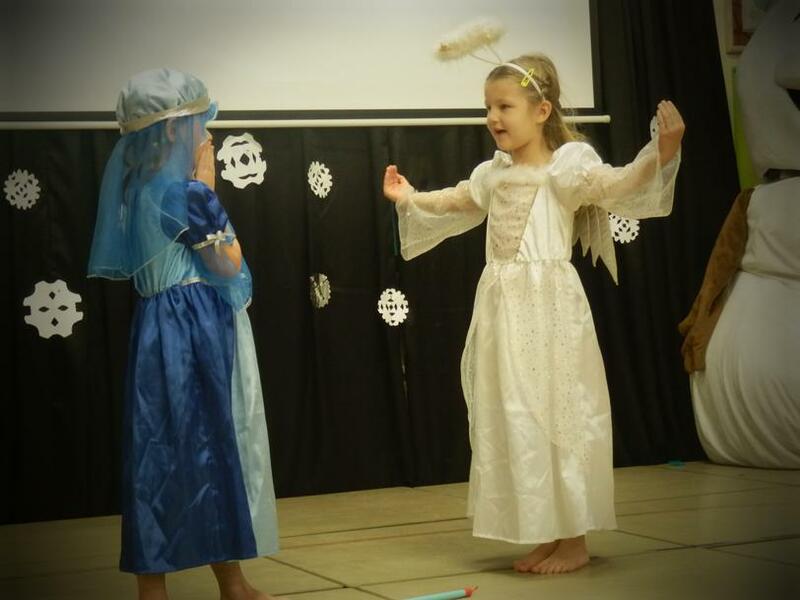 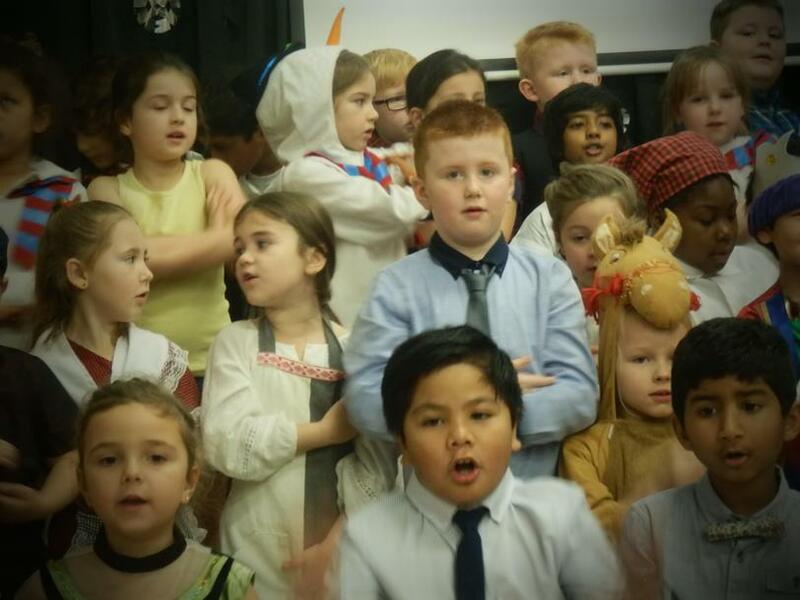 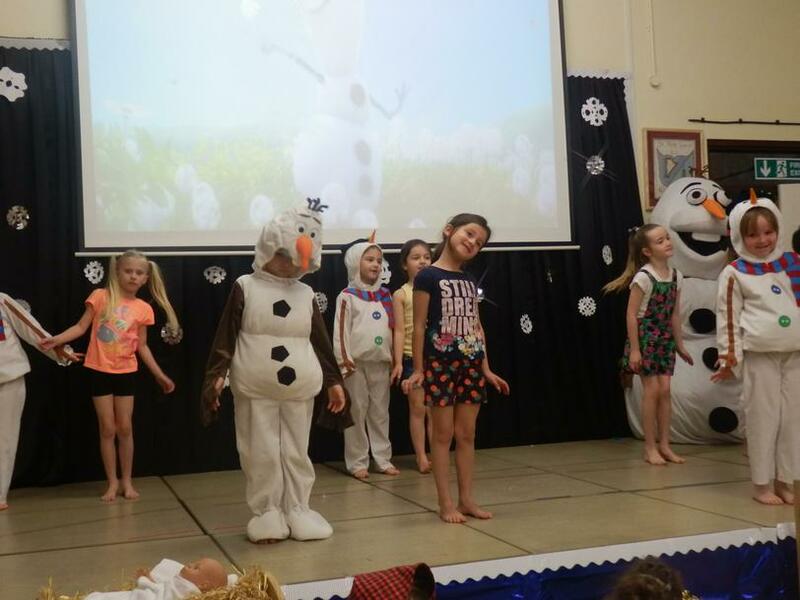 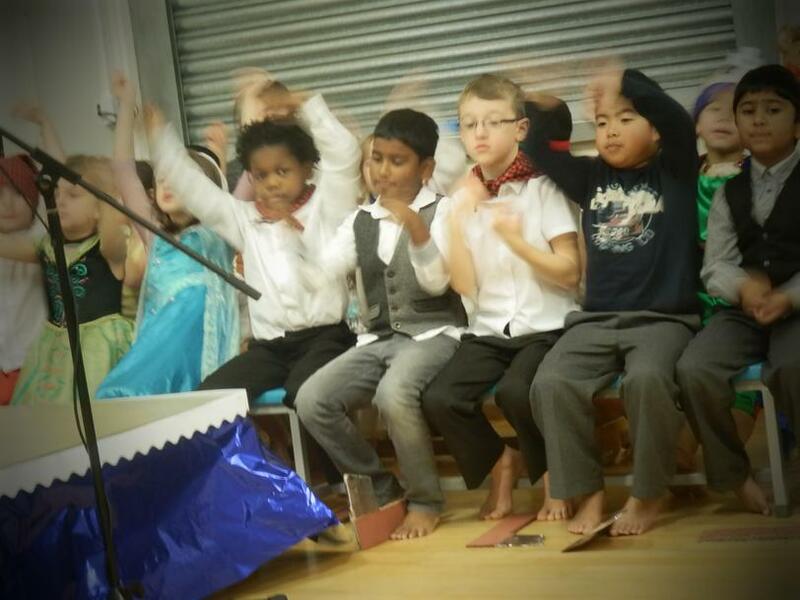 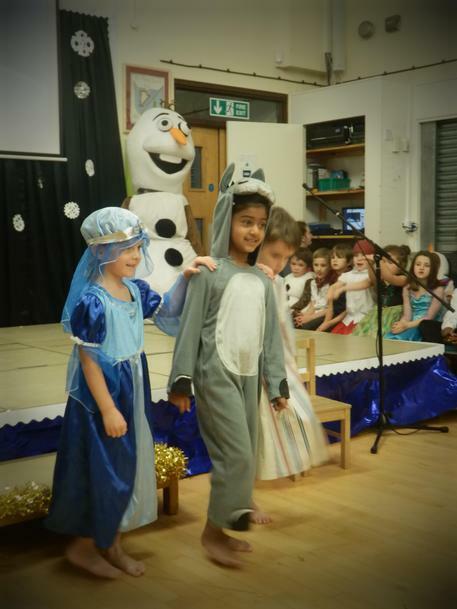 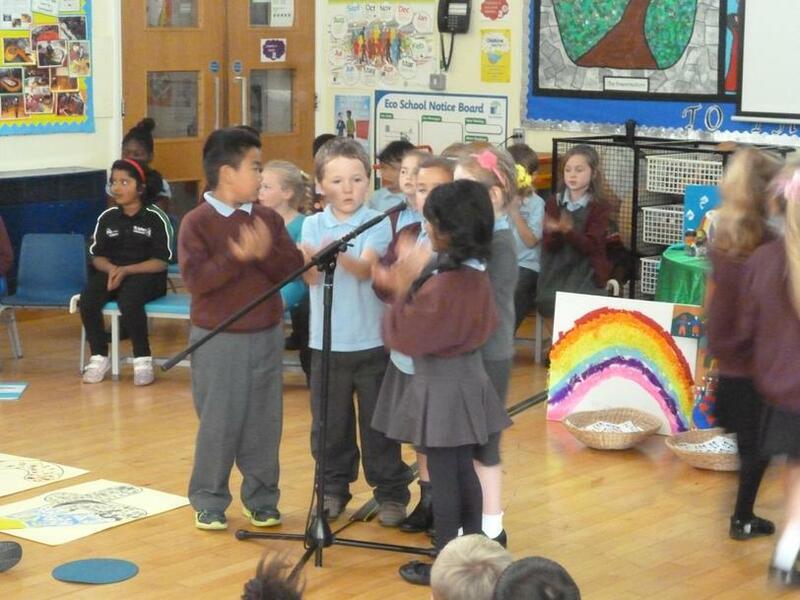 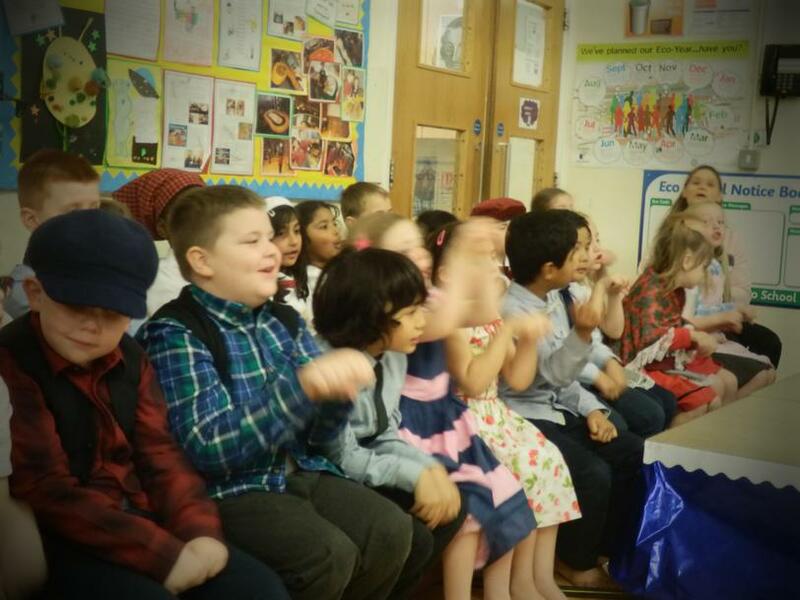 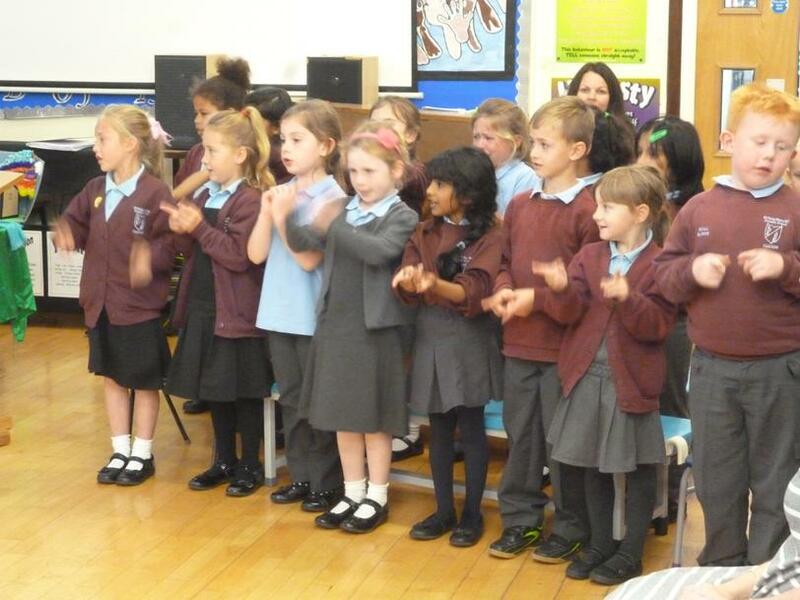 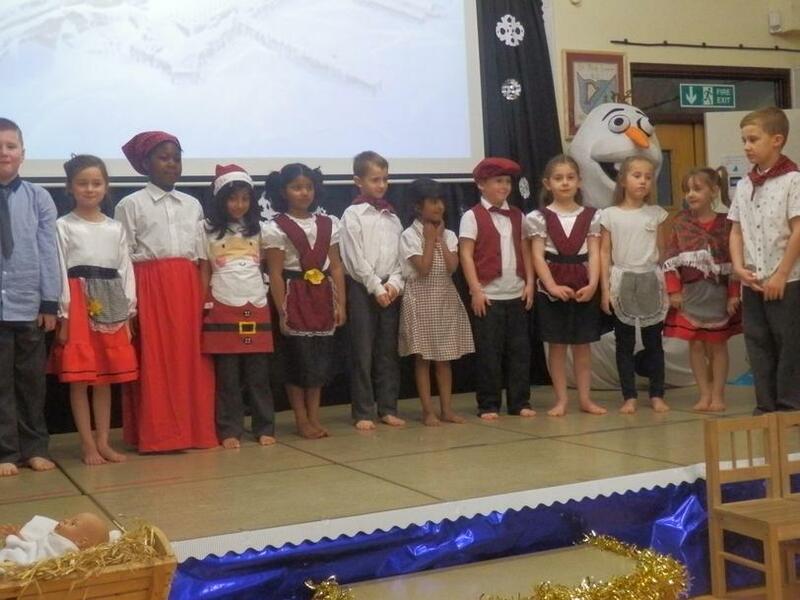 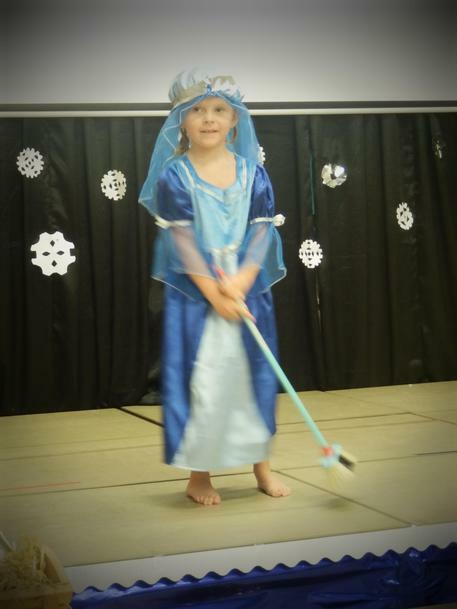 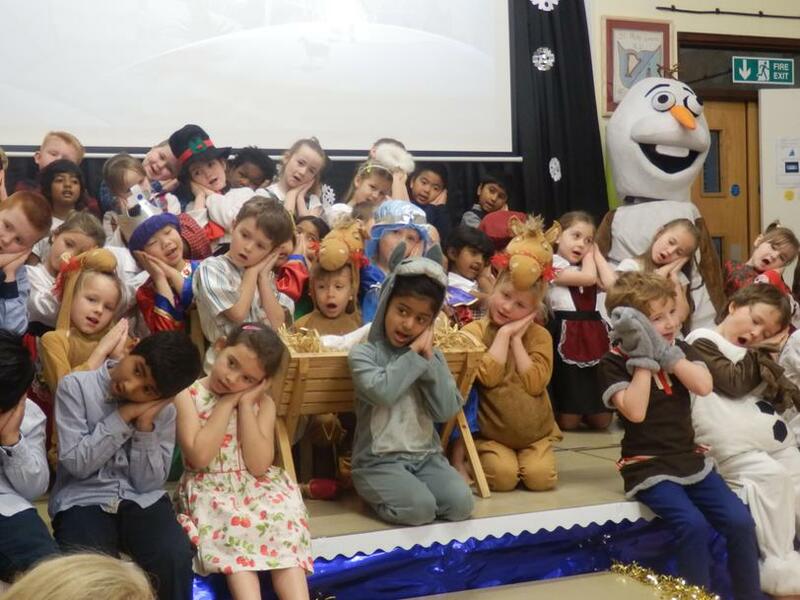 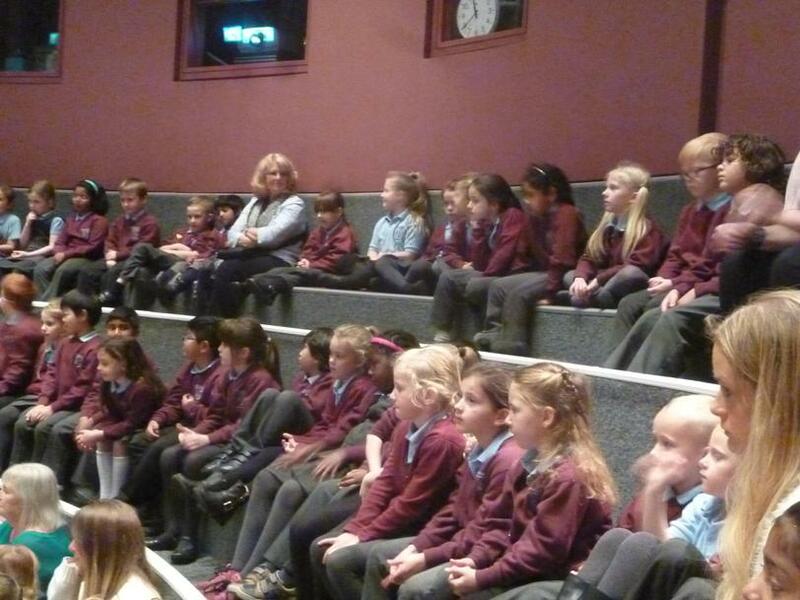 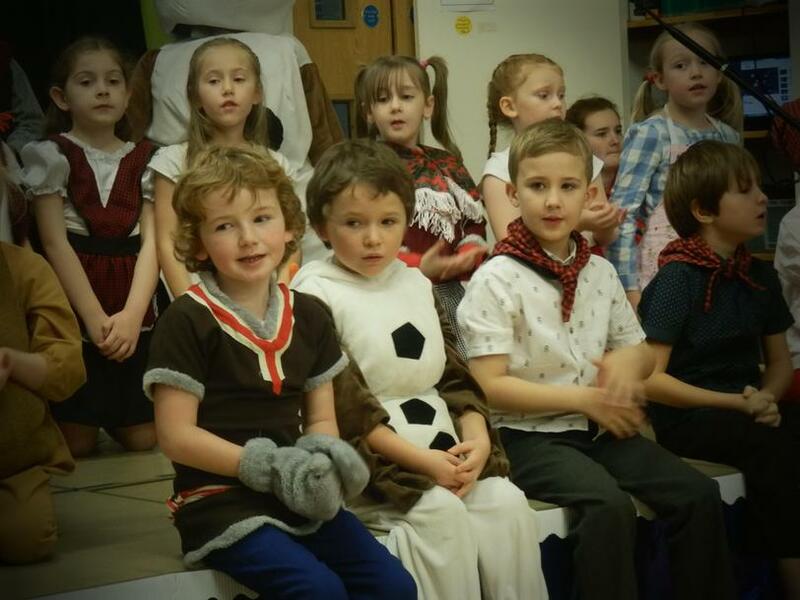 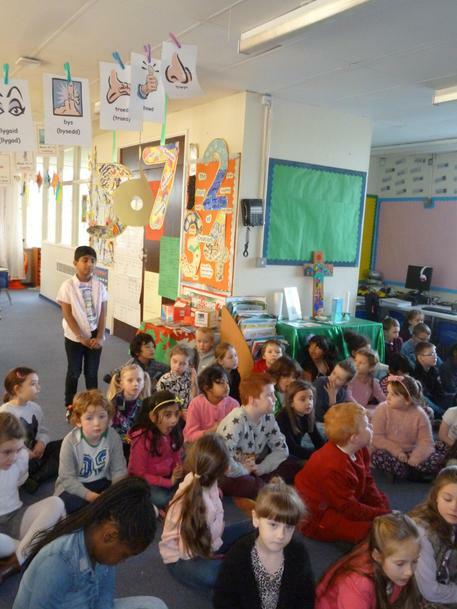 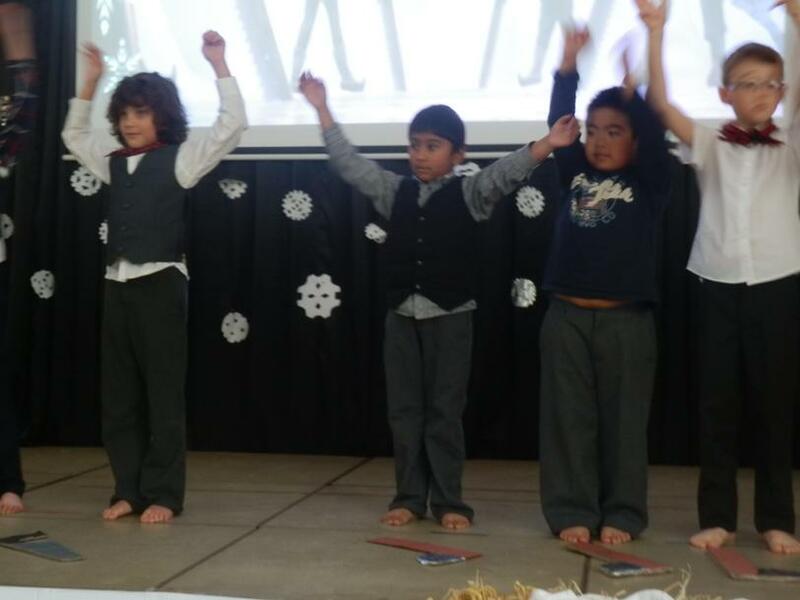 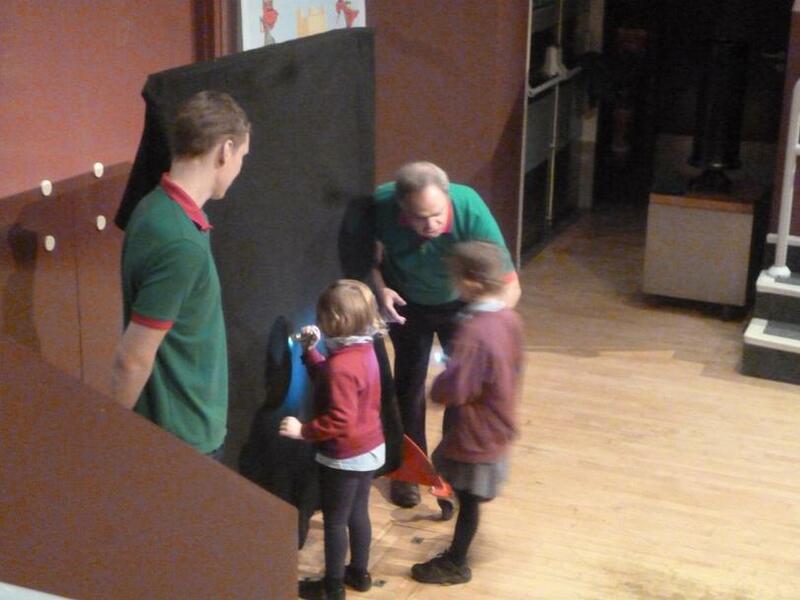 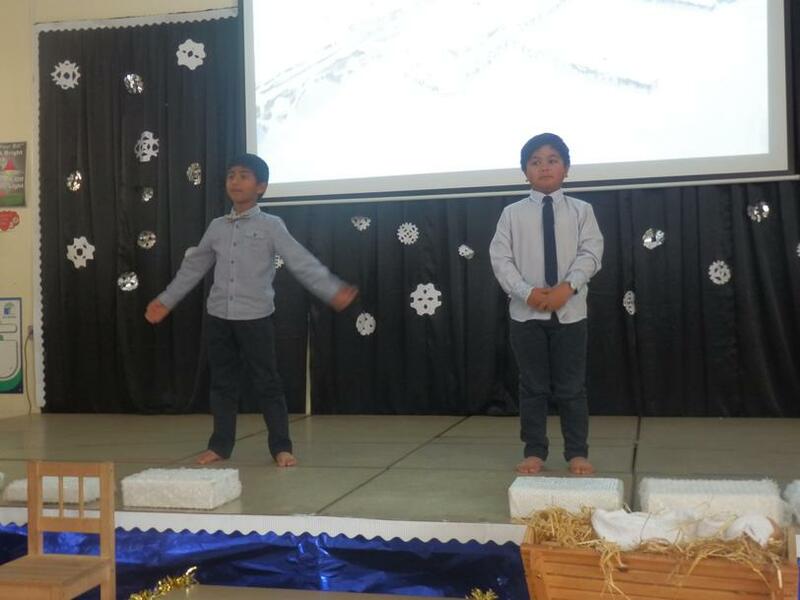 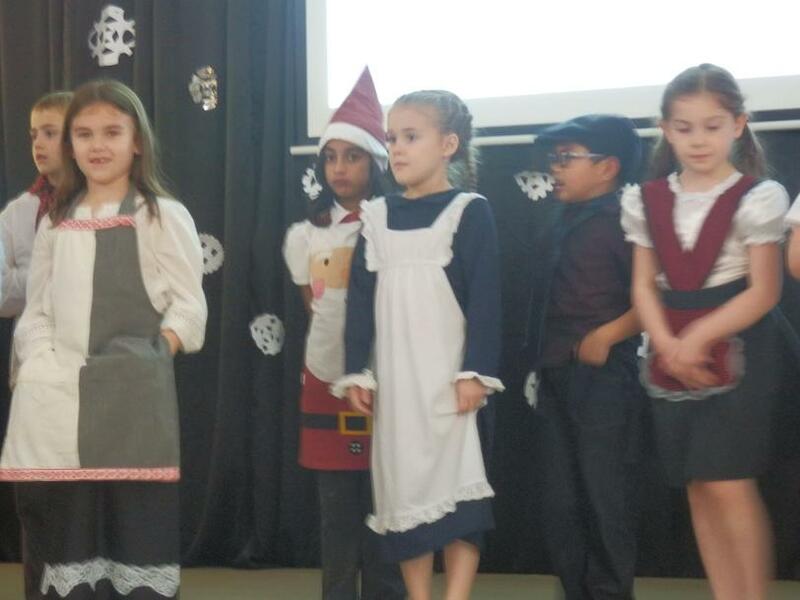 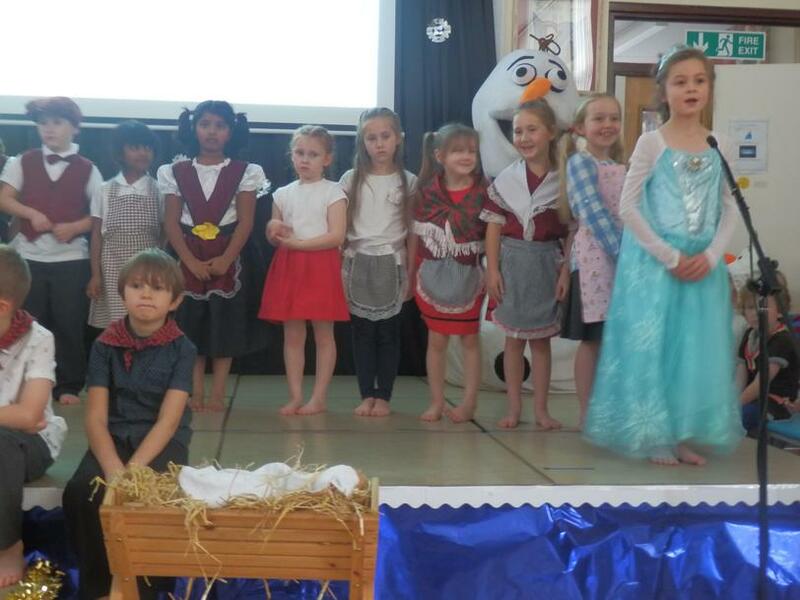 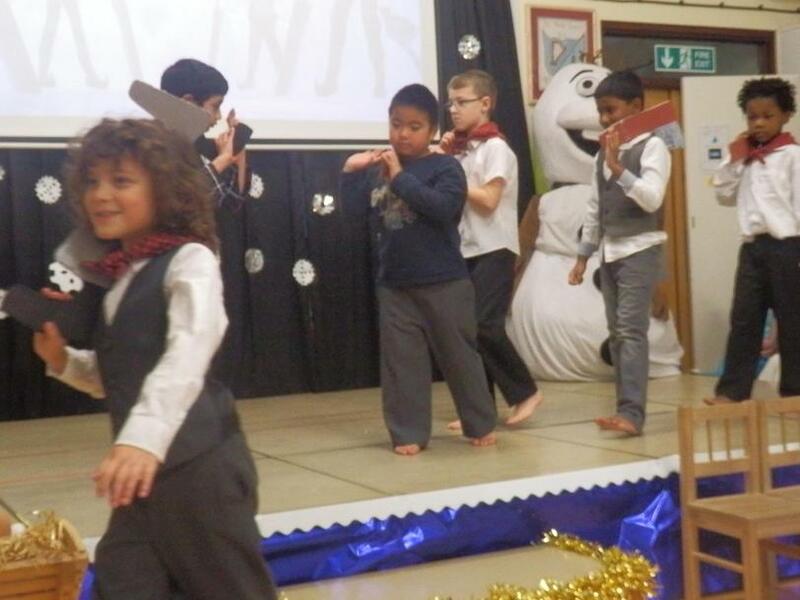 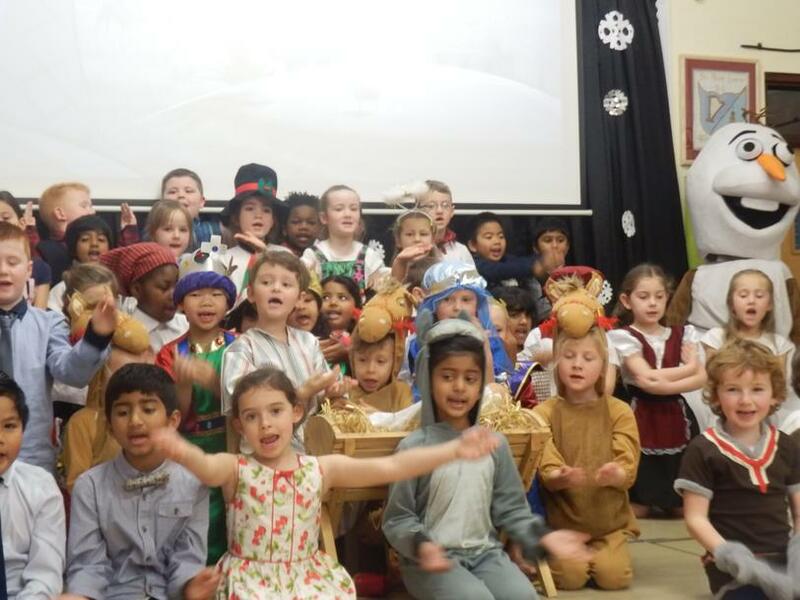 ​Well done to all the children in Year 2 for their two wonderful performances of Frozen Christmas Festival. 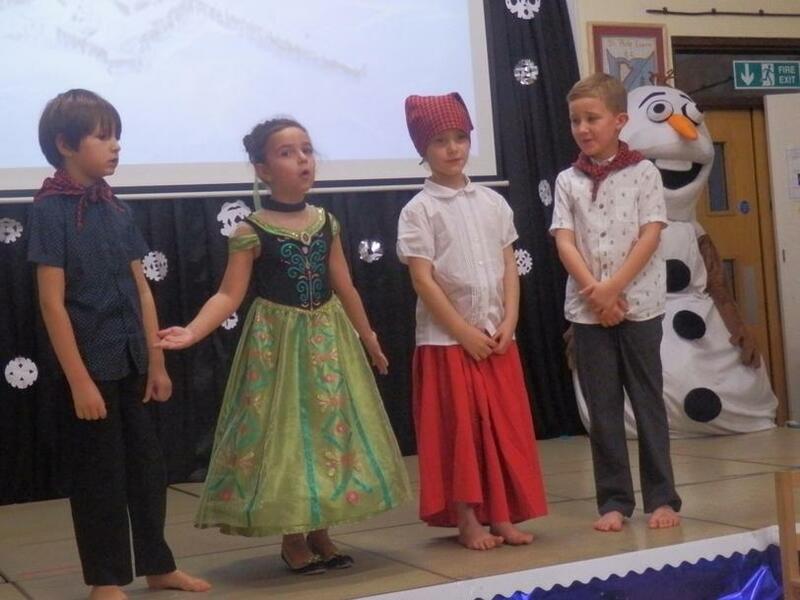 With the help of Princess Elsa, Princess Arna, Kristof and Olaf the people of Arendale learnt all about the true Christmas story. 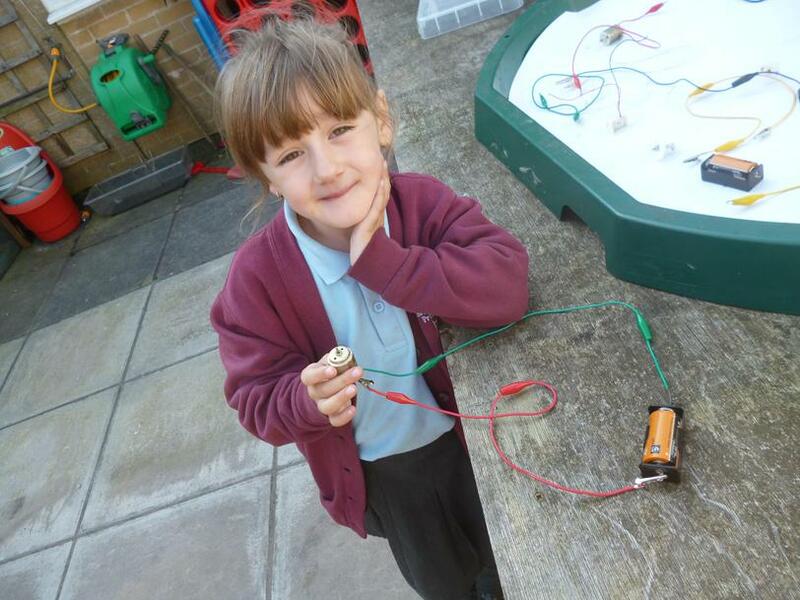 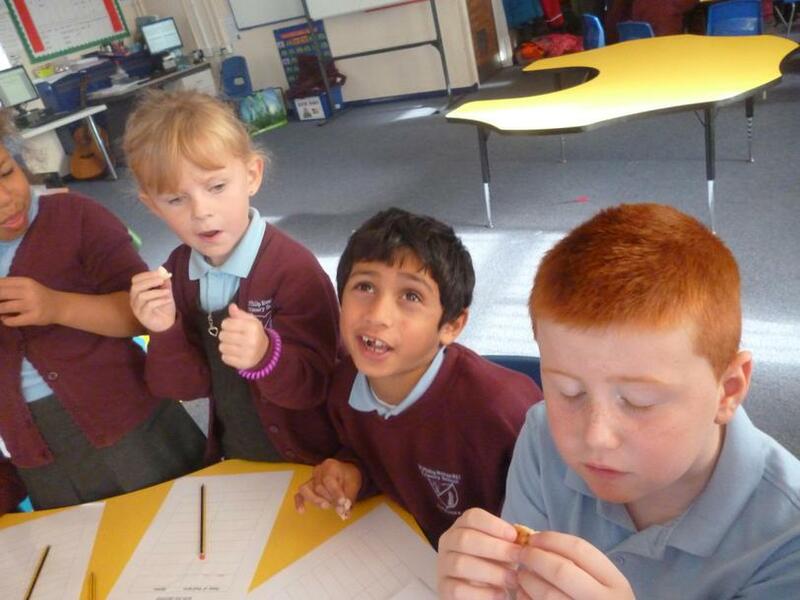 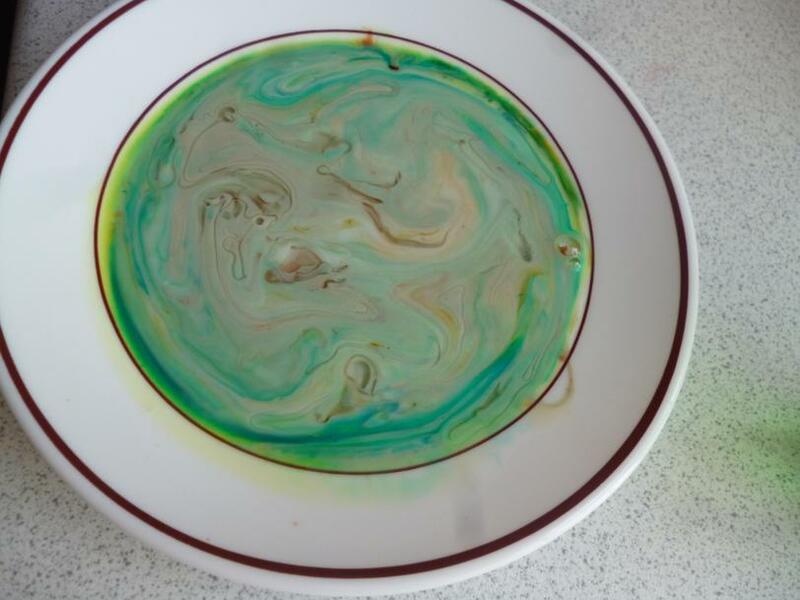 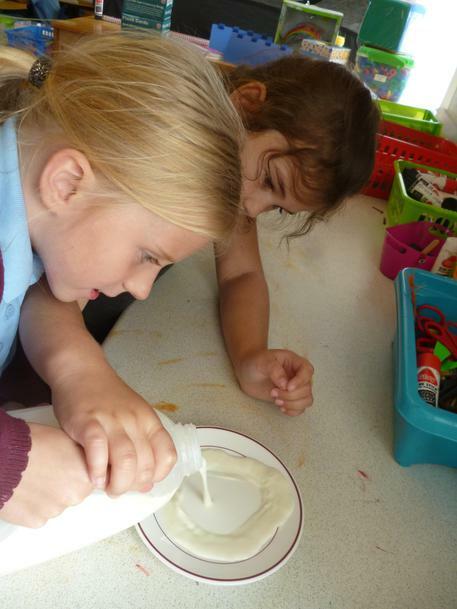 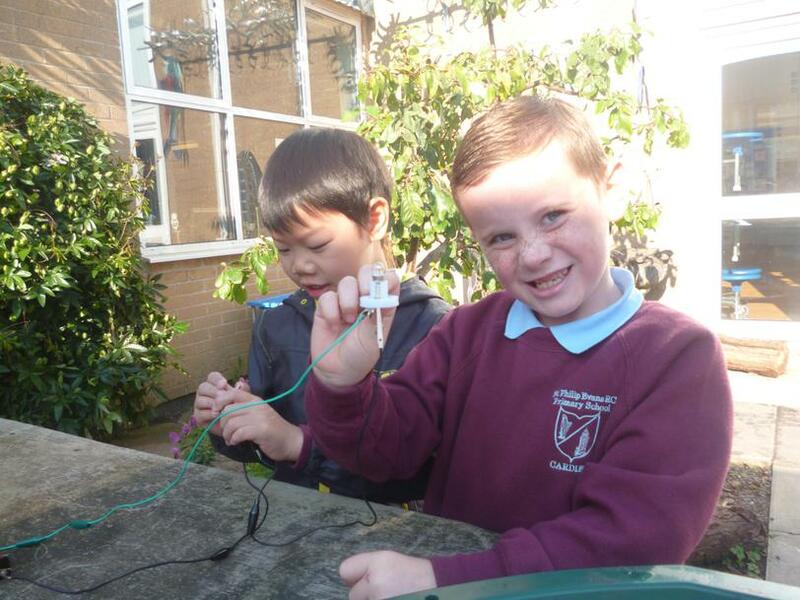 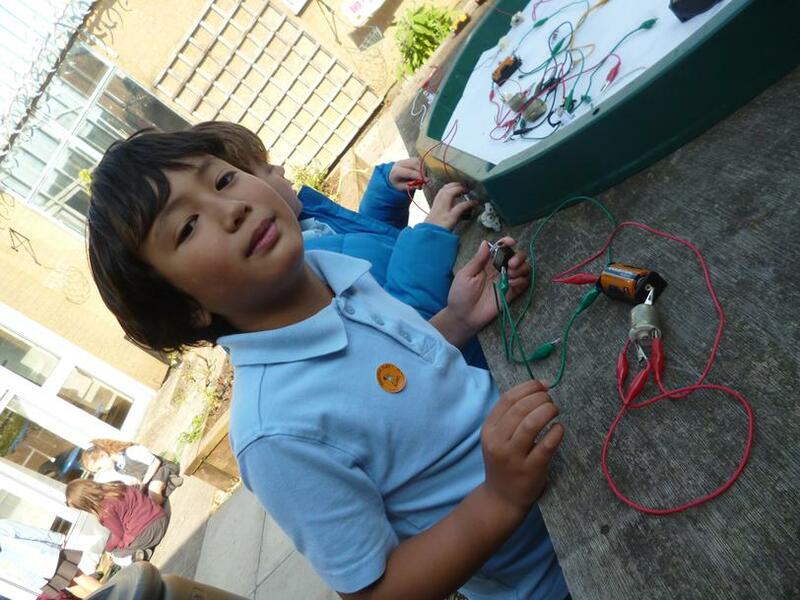 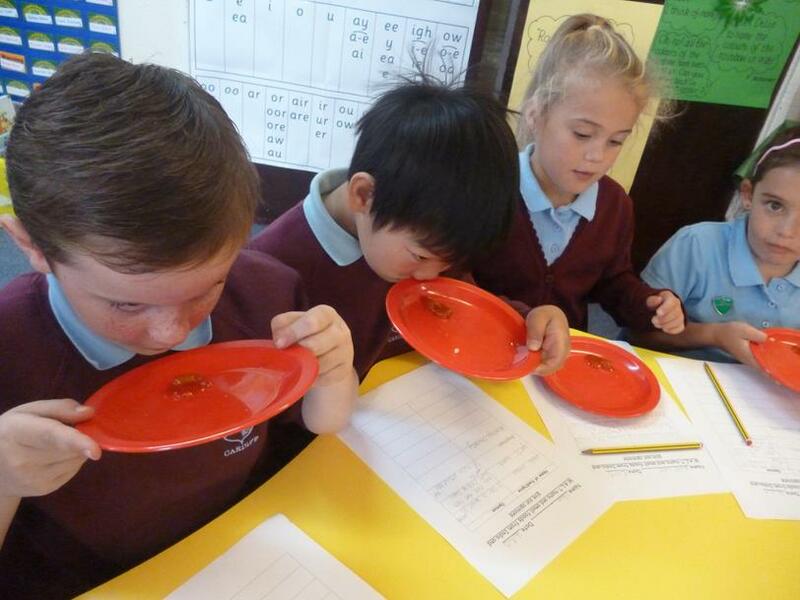 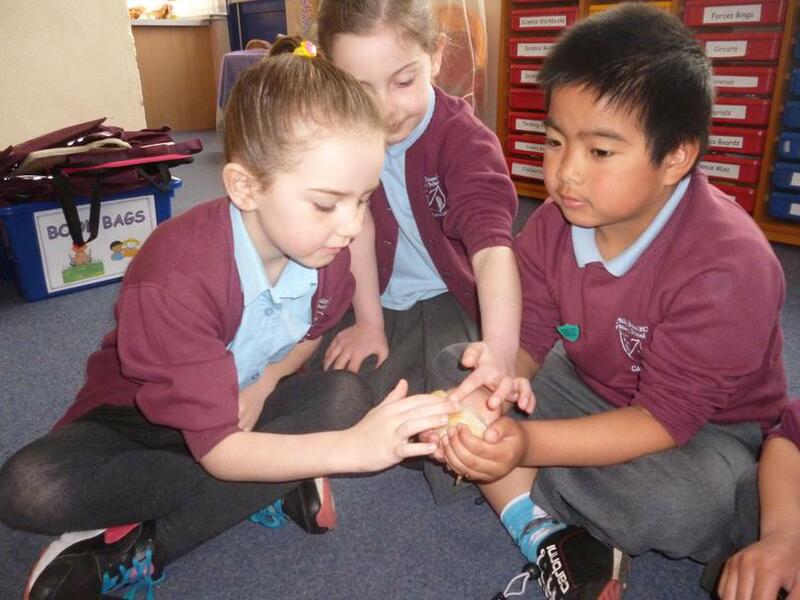 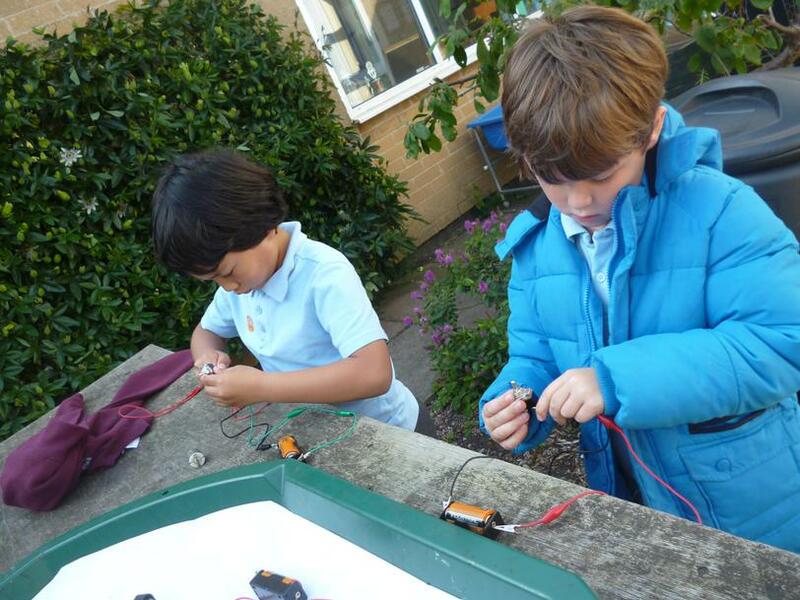 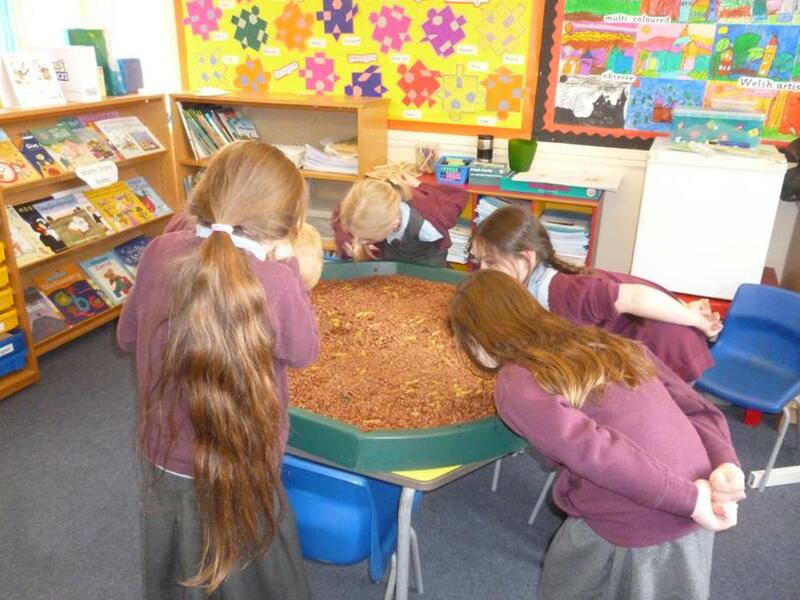 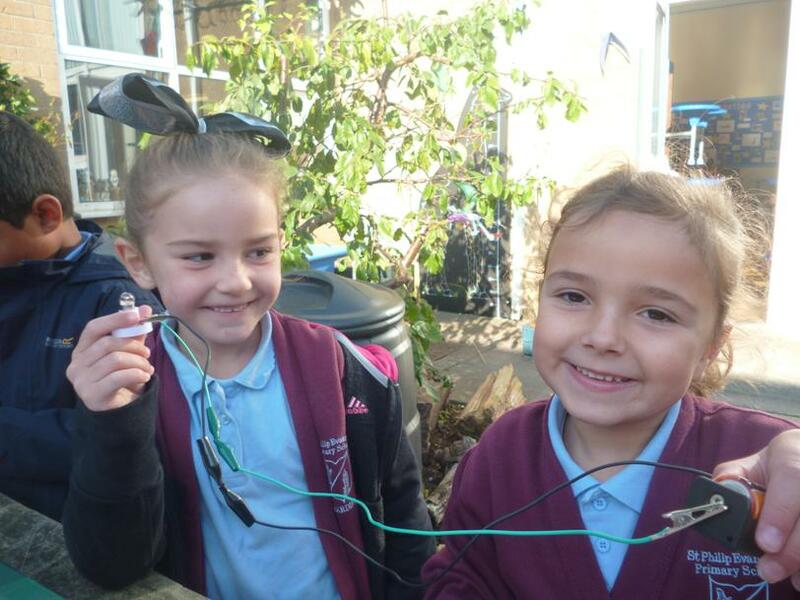 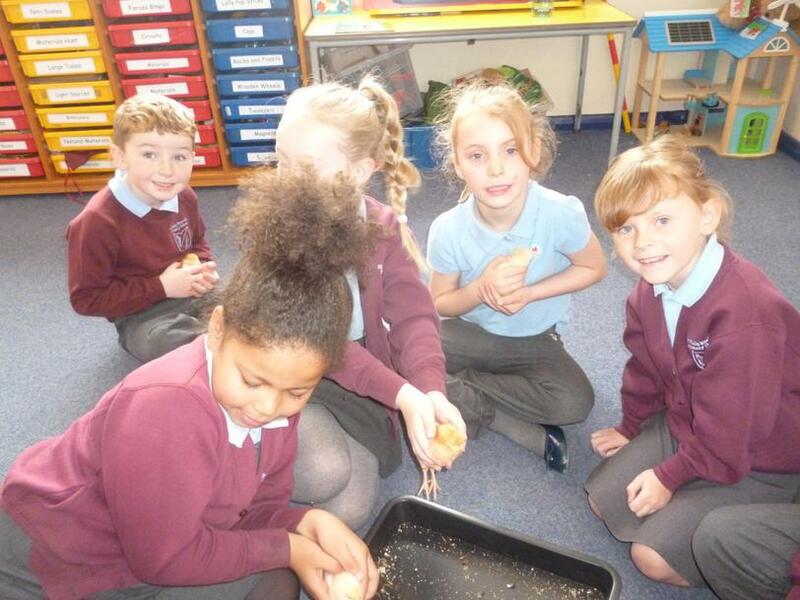 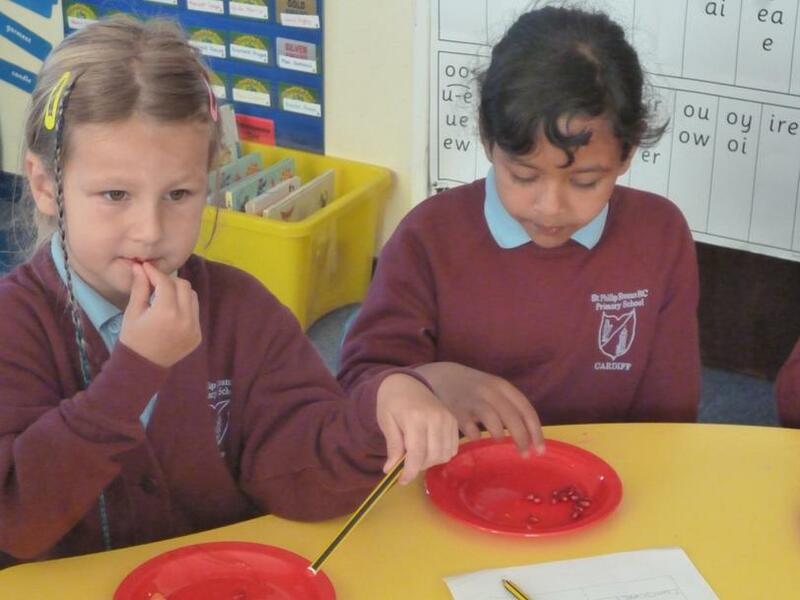 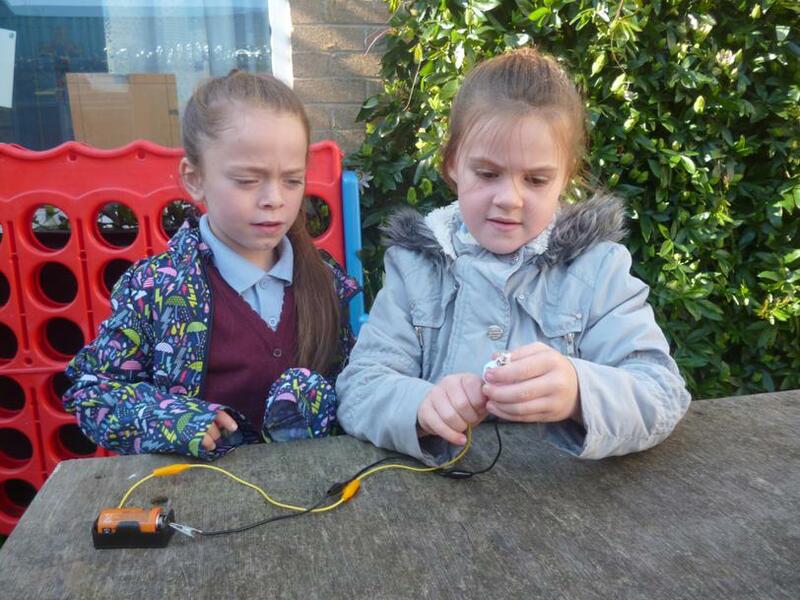 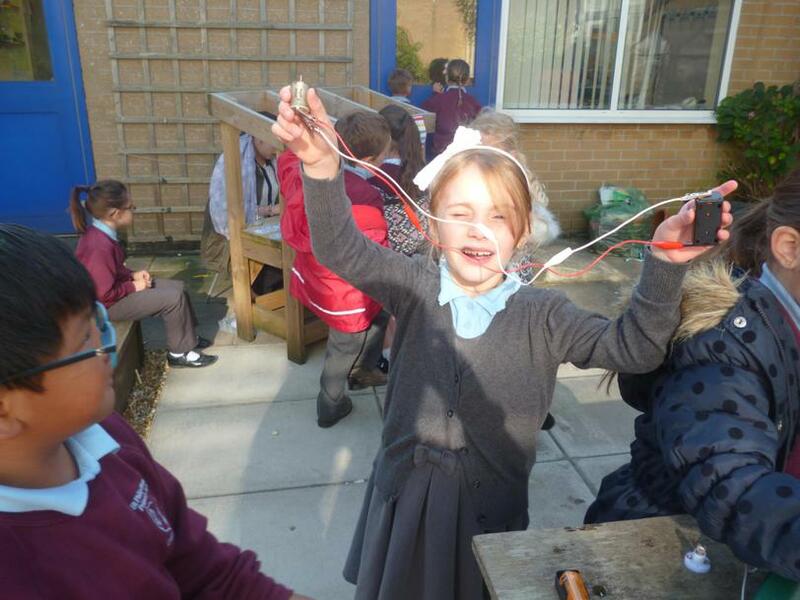 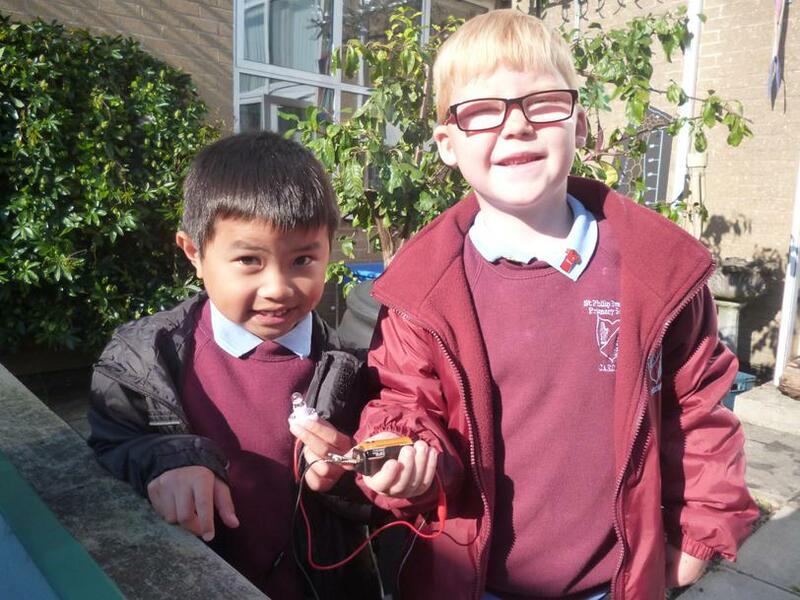 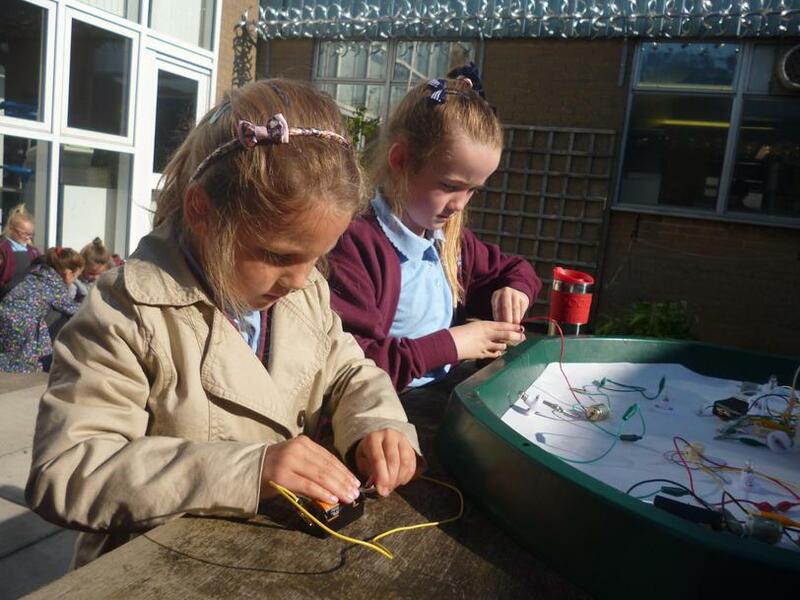 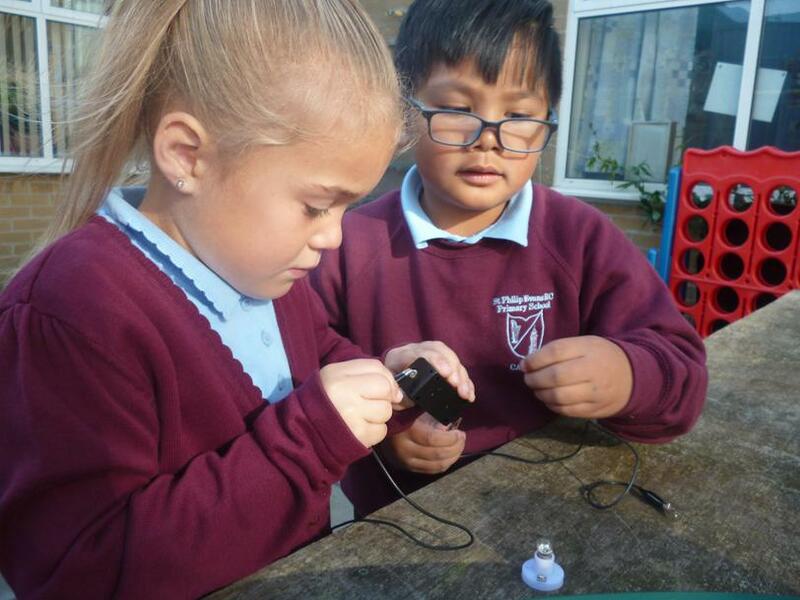 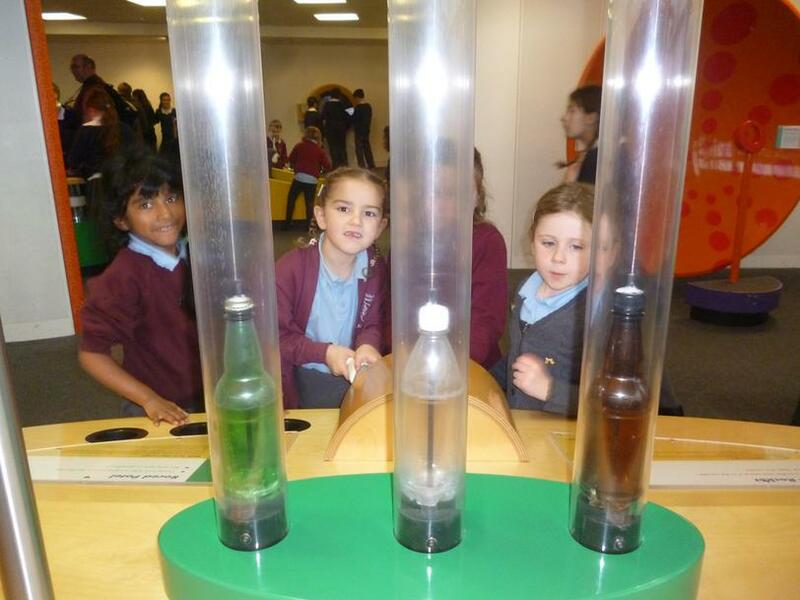 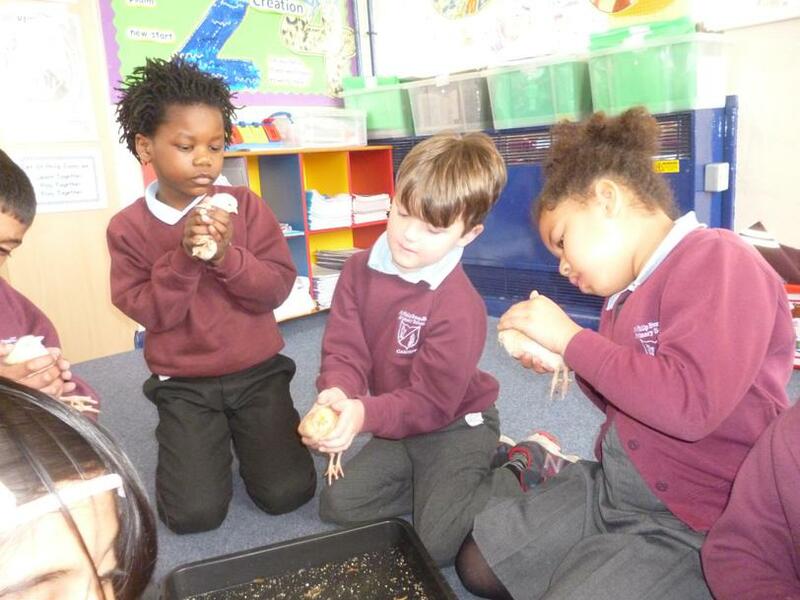 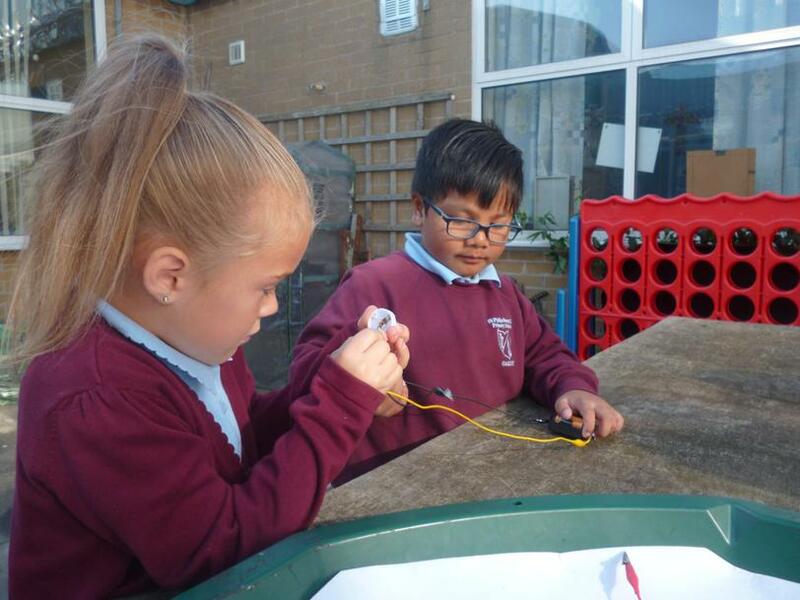 We have been busy solving a scientific investigation all about materials. 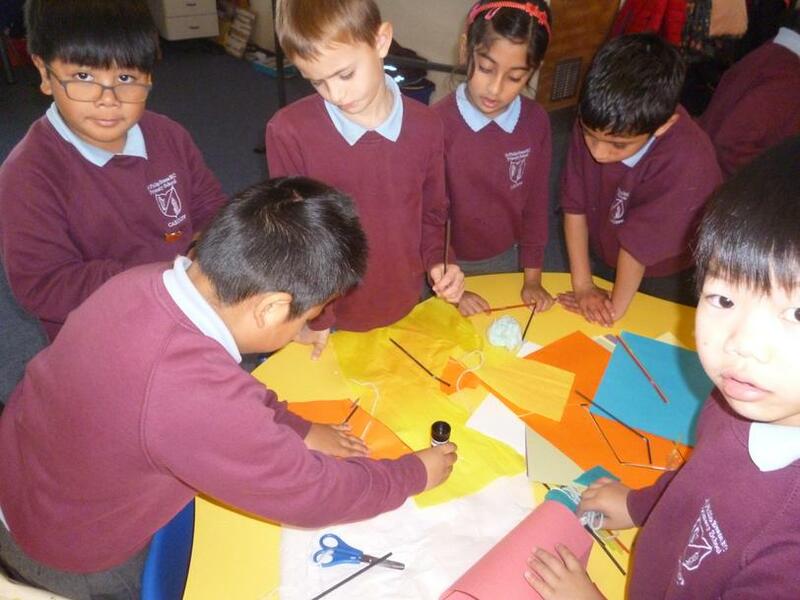 We had to design a kite and decide on which materials would be best used. 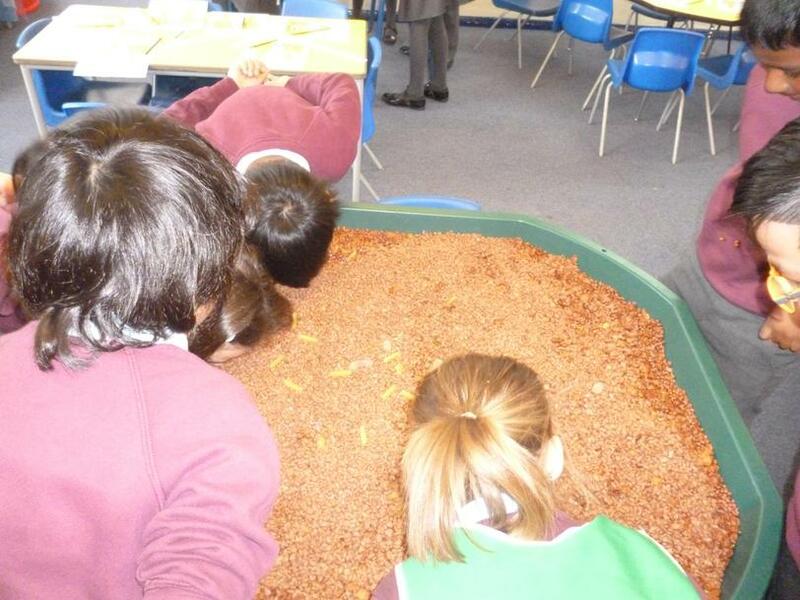 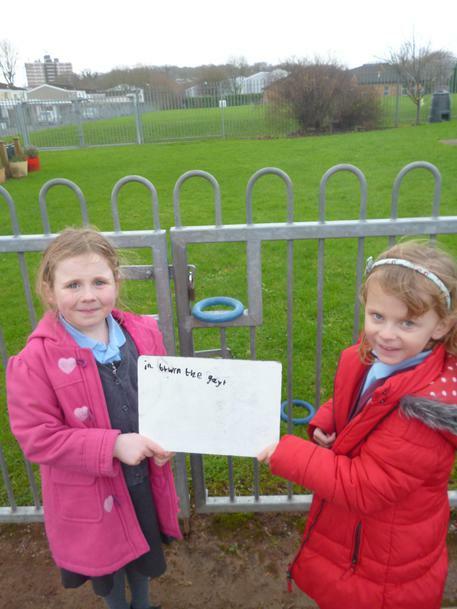 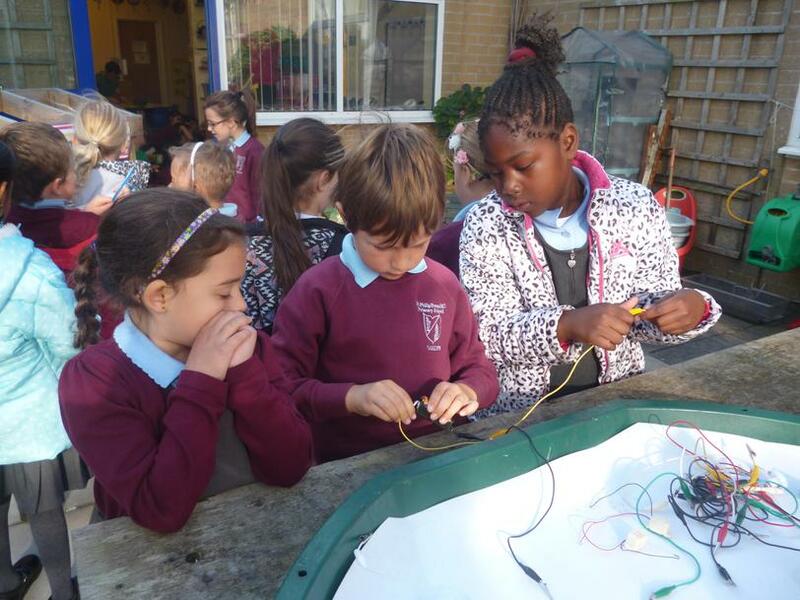 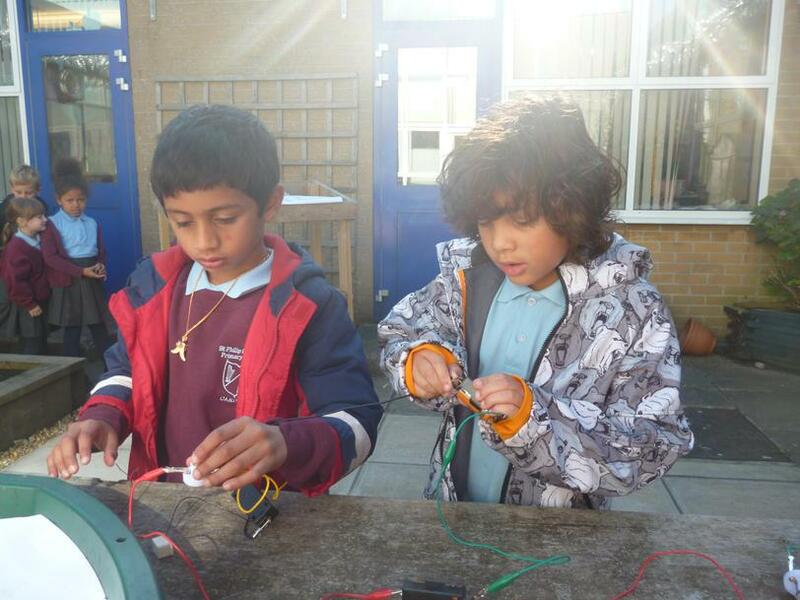 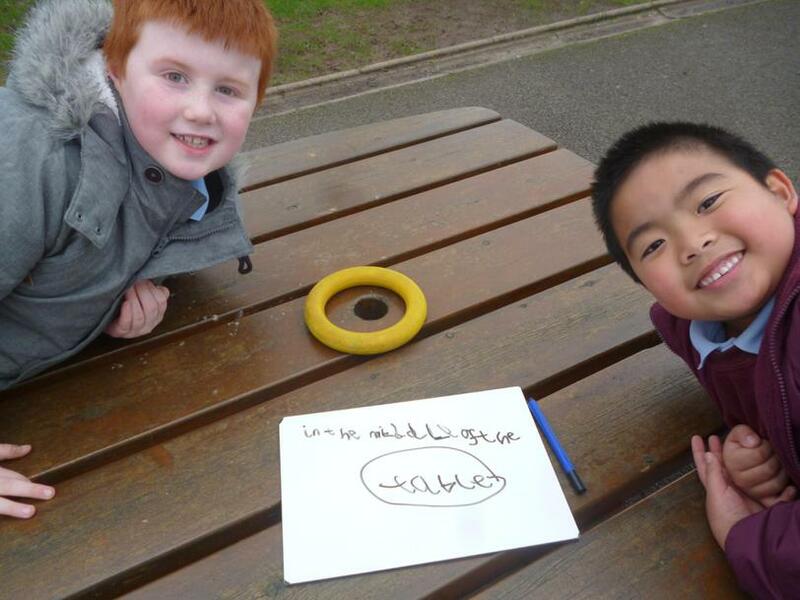 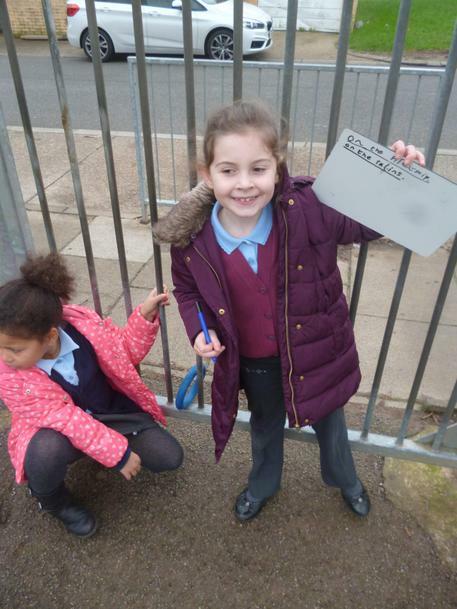 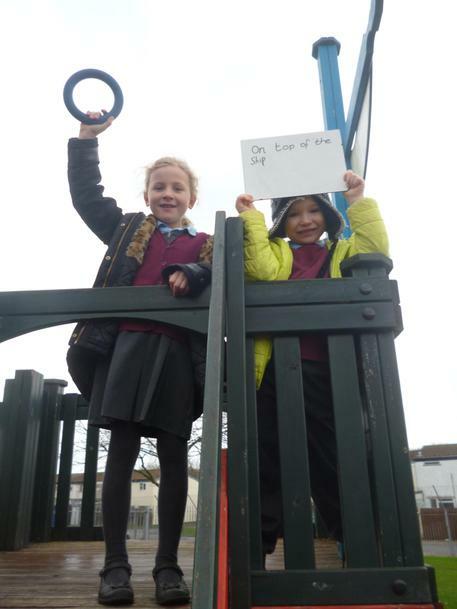 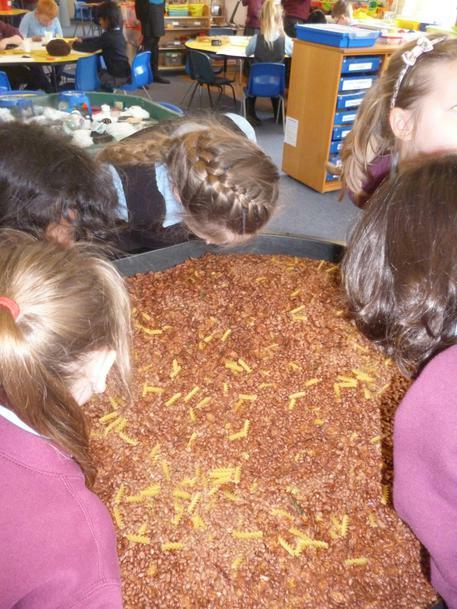 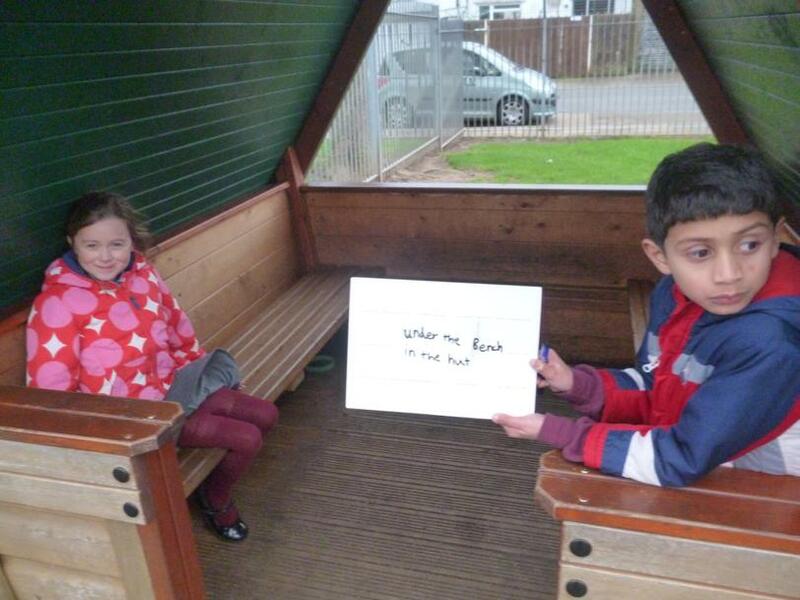 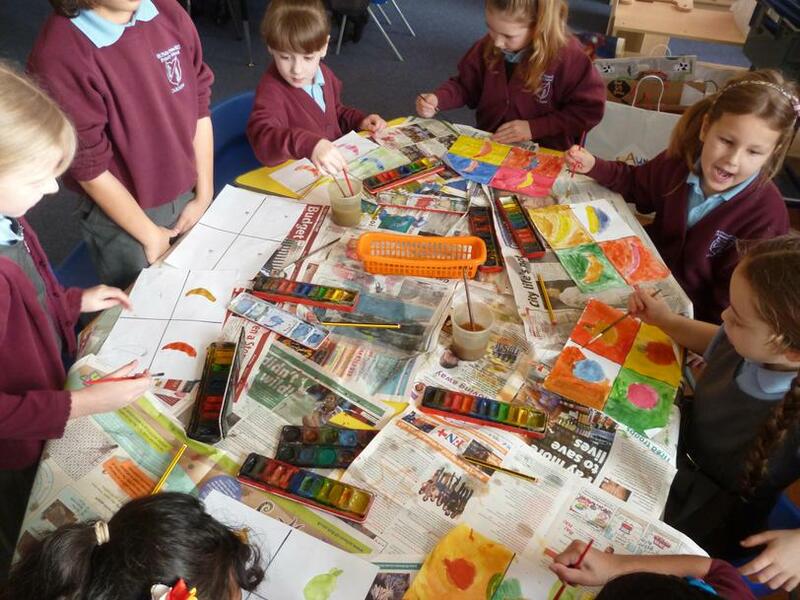 We worked collaboratively to carry out this task. 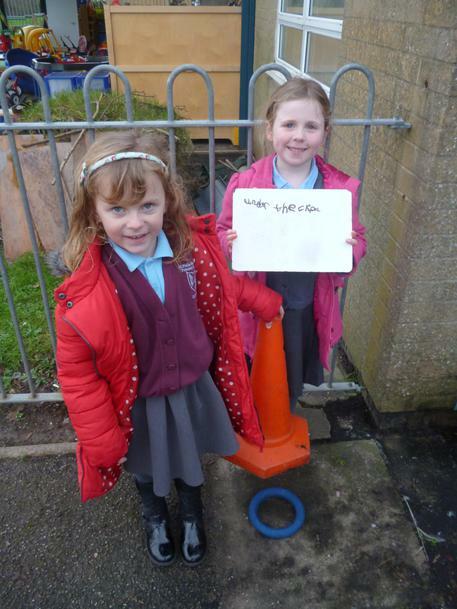 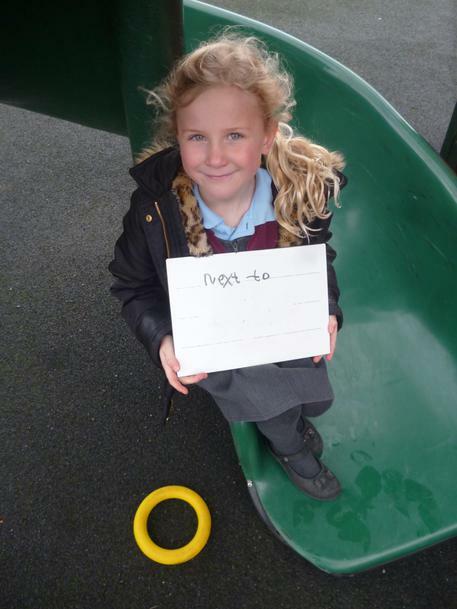 One person was the 'boss' who ensured we were following the success criteria. 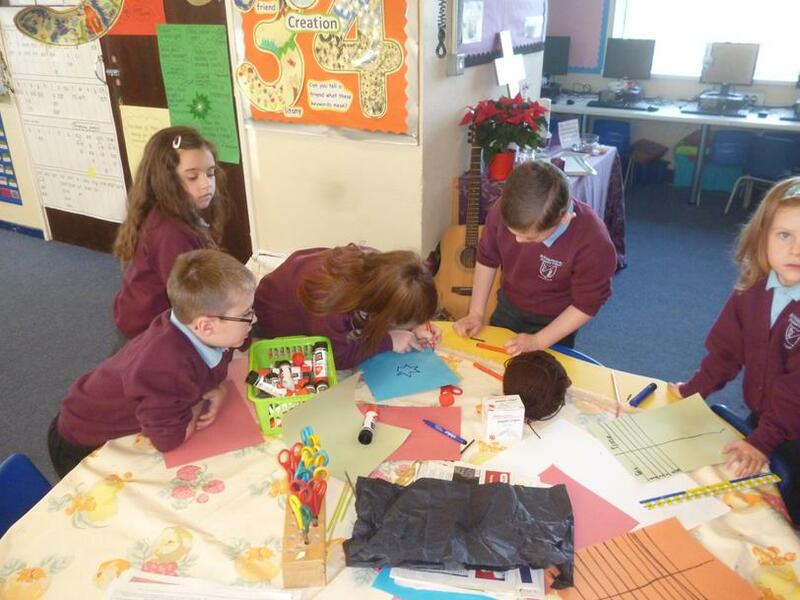 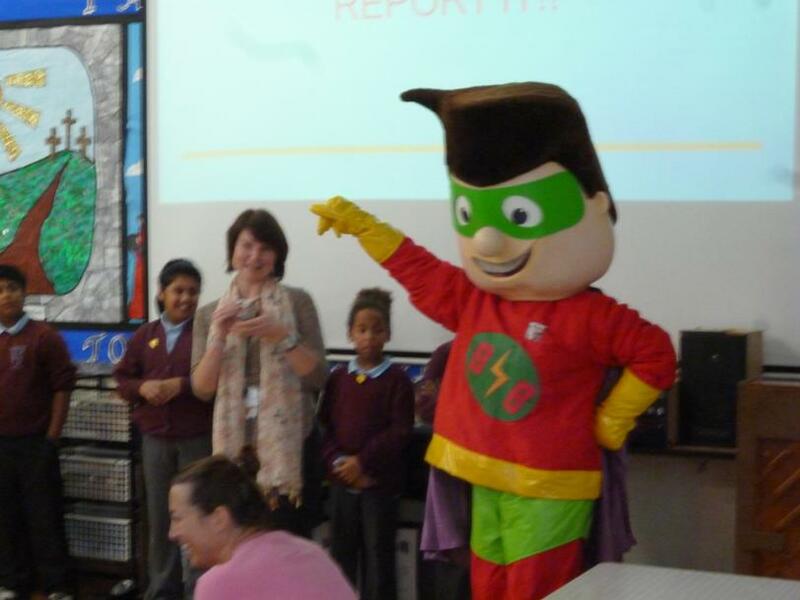 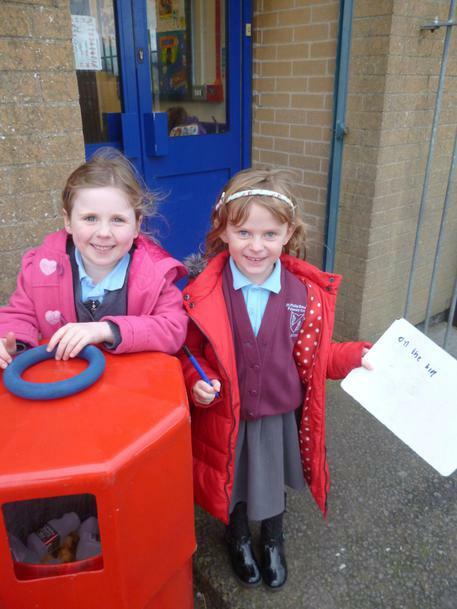 One person was the 'resourcer', they ensured that we had all the materials we needed. 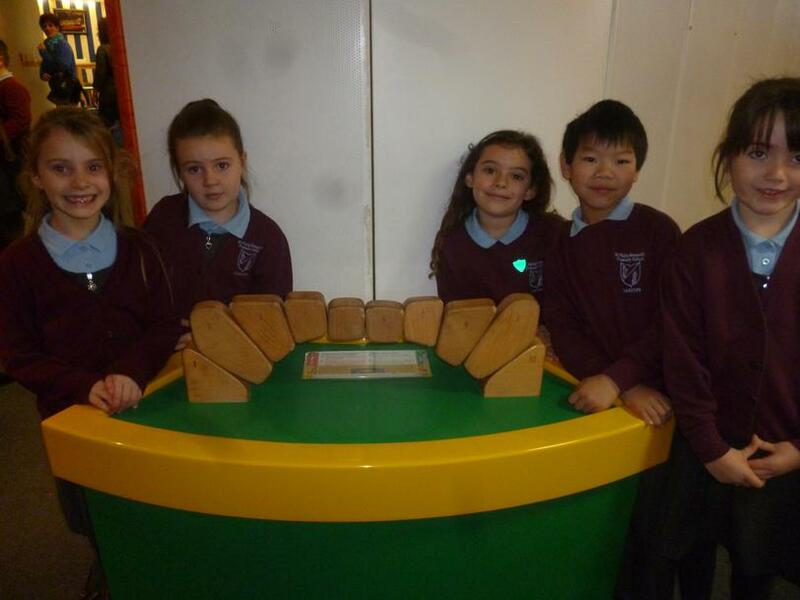 One person was the 'constructor' they made our design. 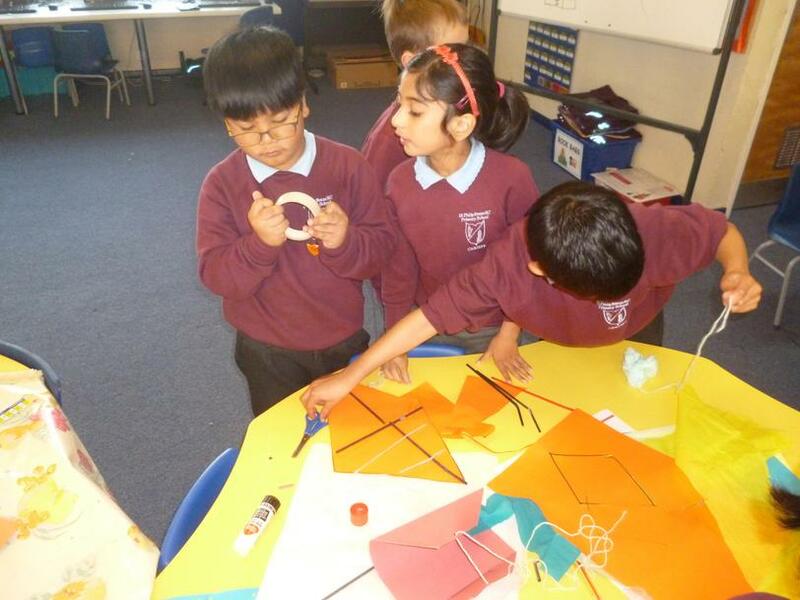 One person was the 'tester' they tested the kite outside. 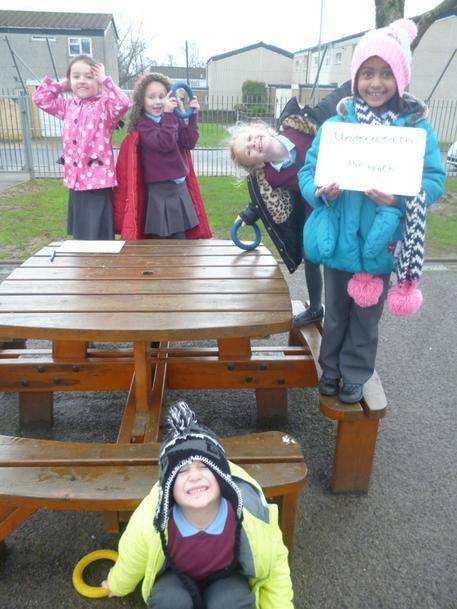 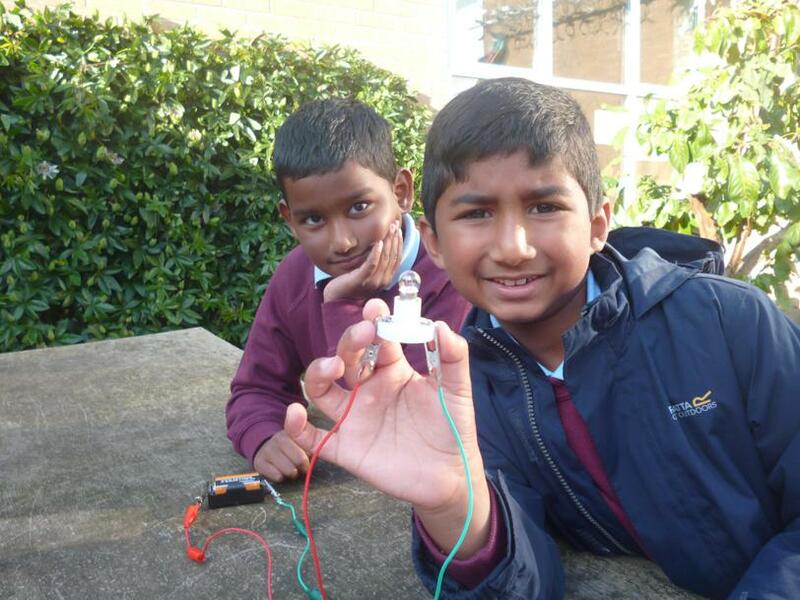 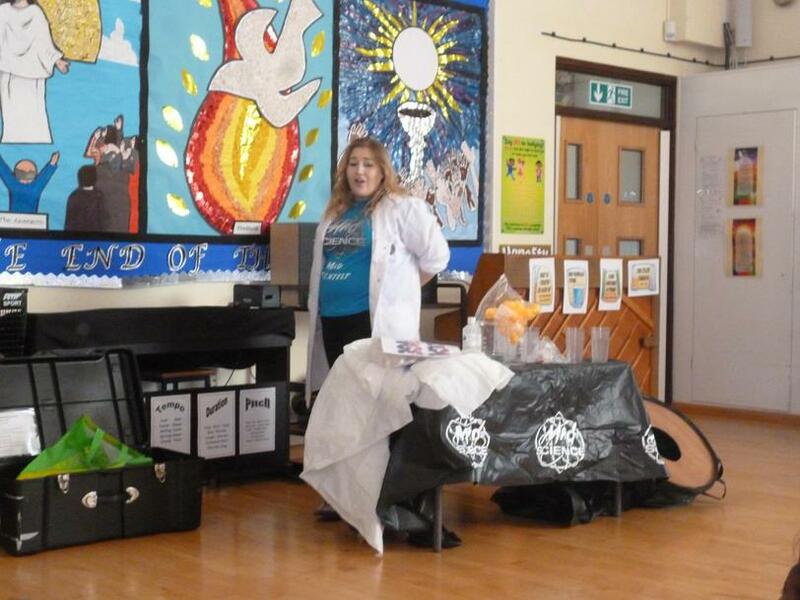 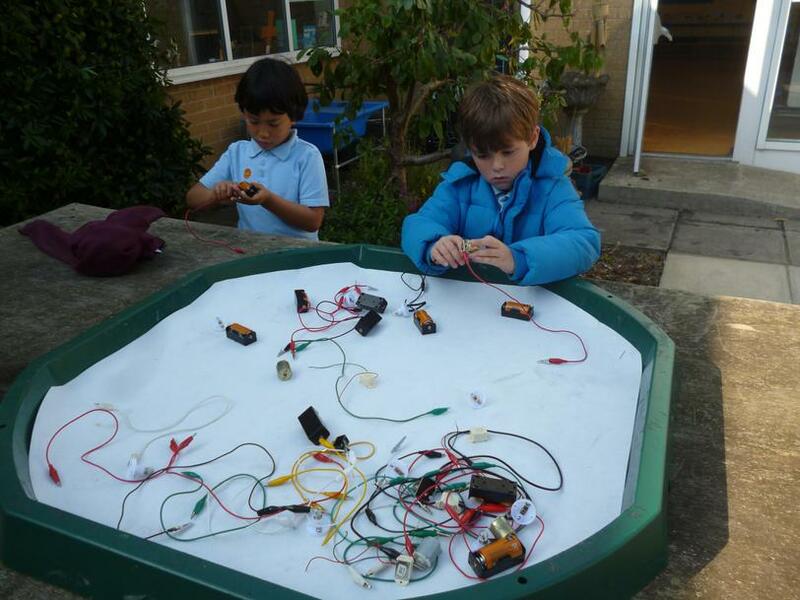 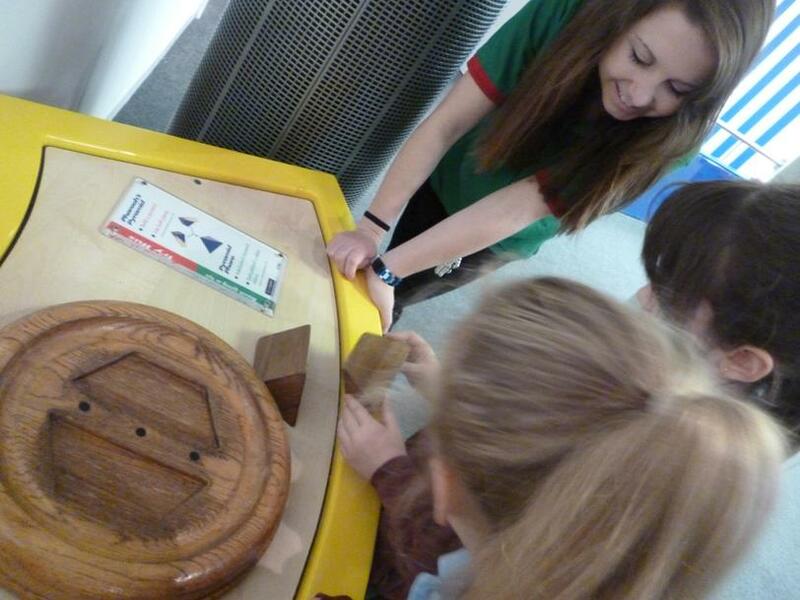 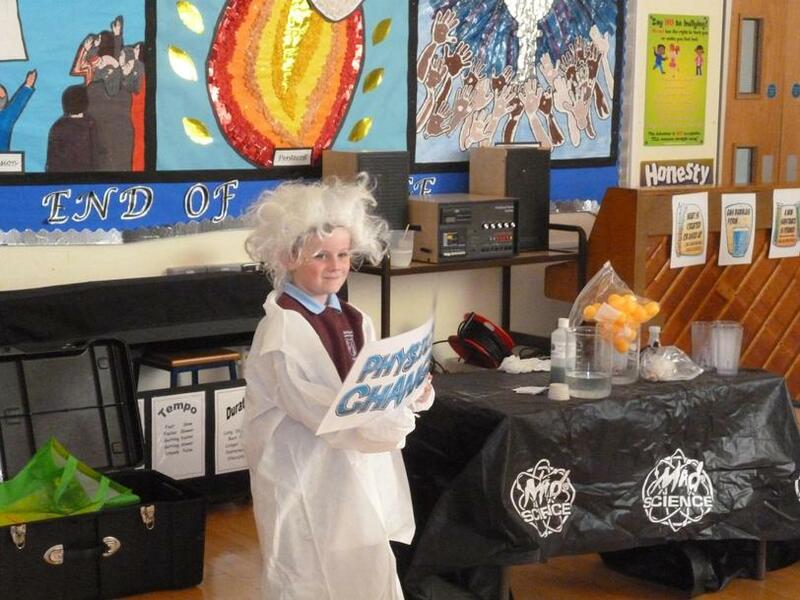 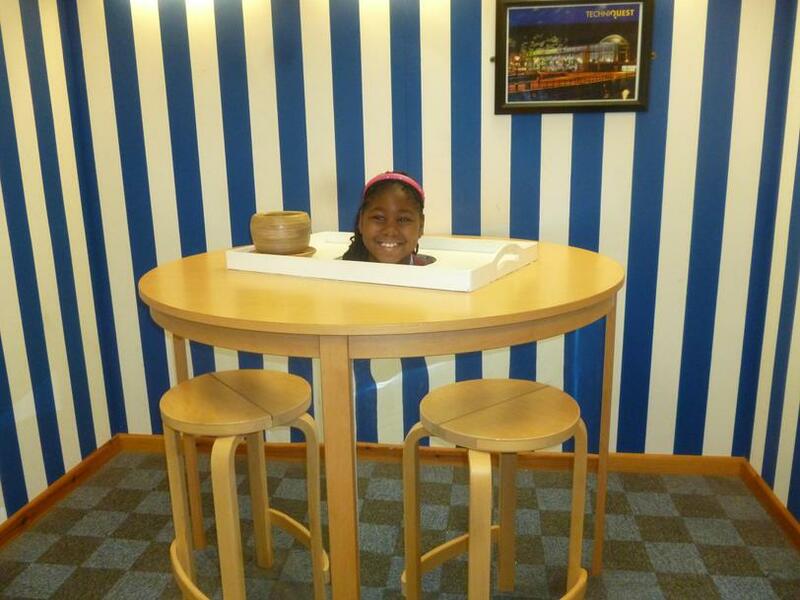 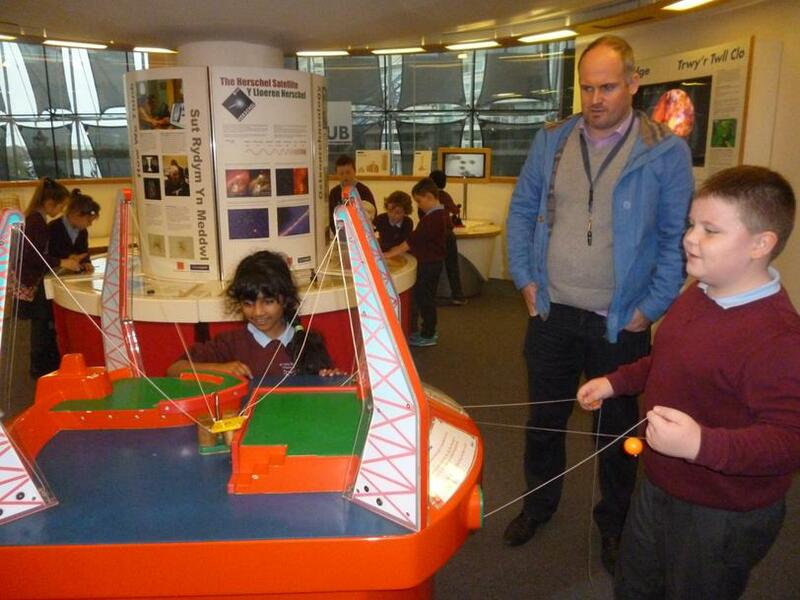 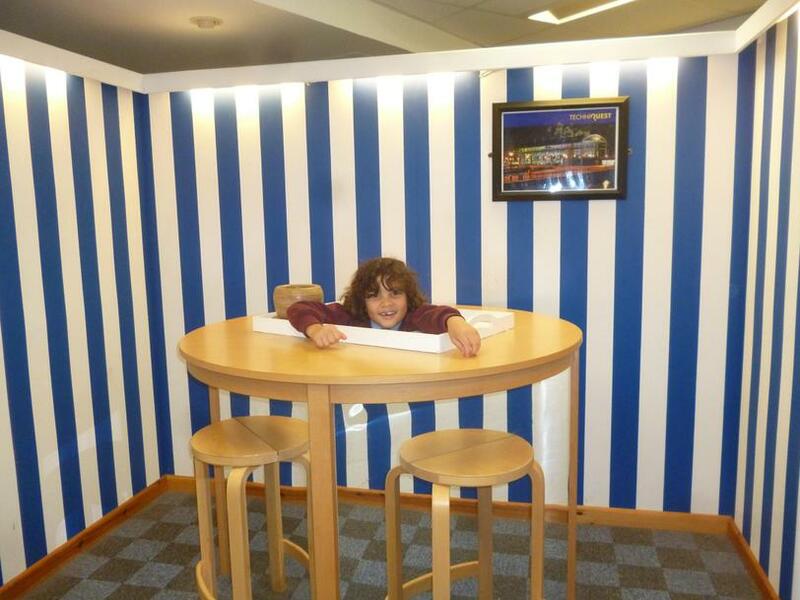 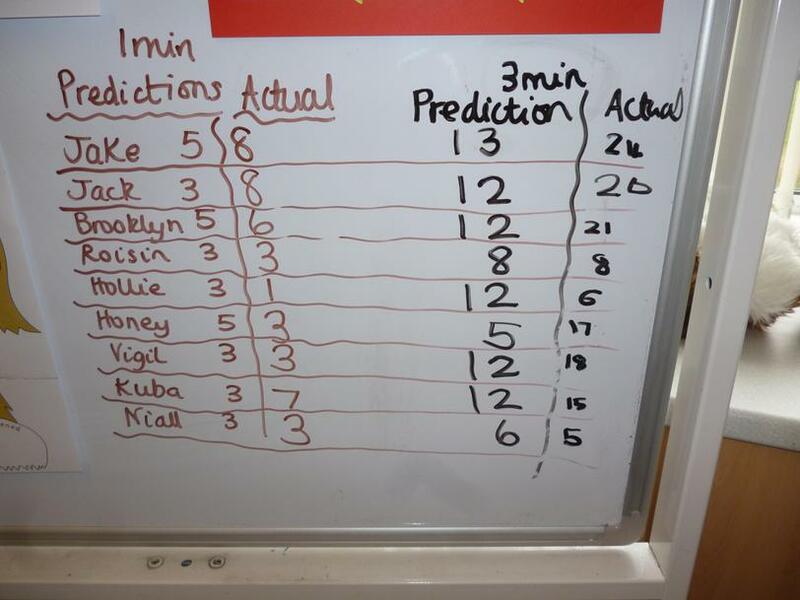 The last member of the team was the 'recorder' they had to construct a table and record our results. 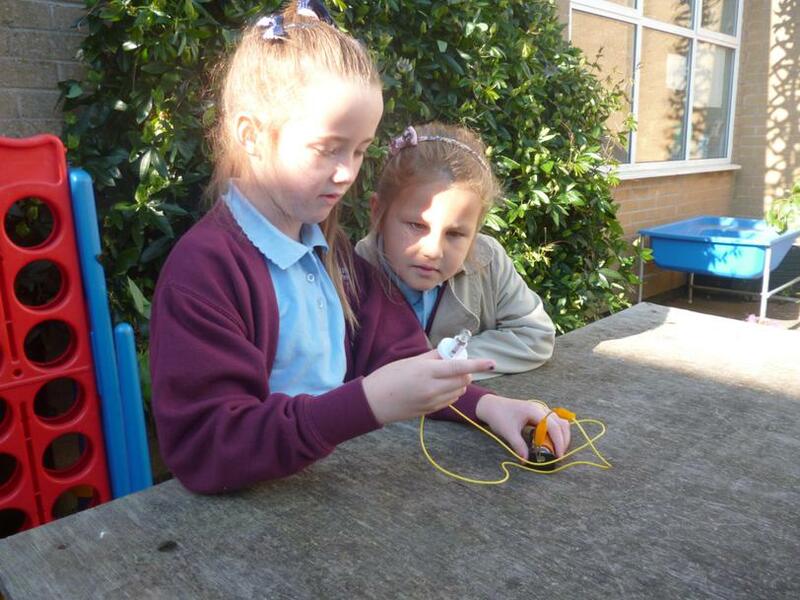 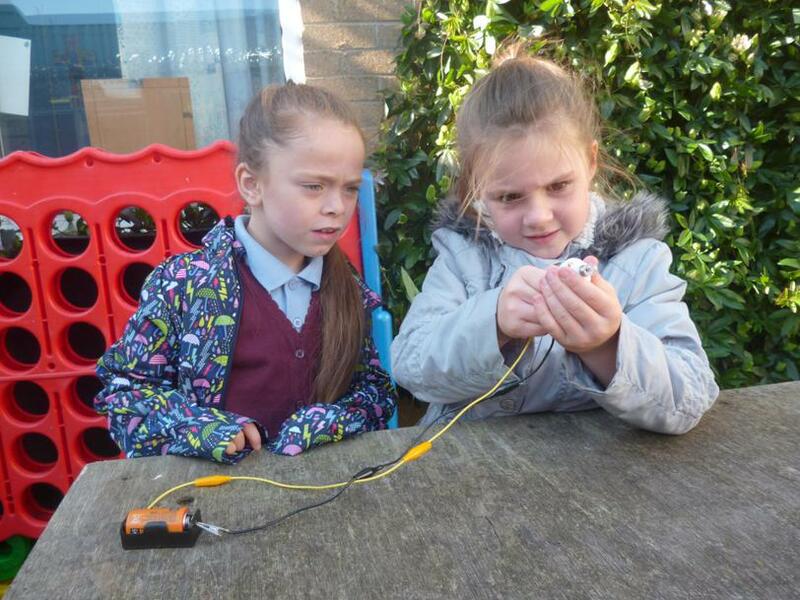 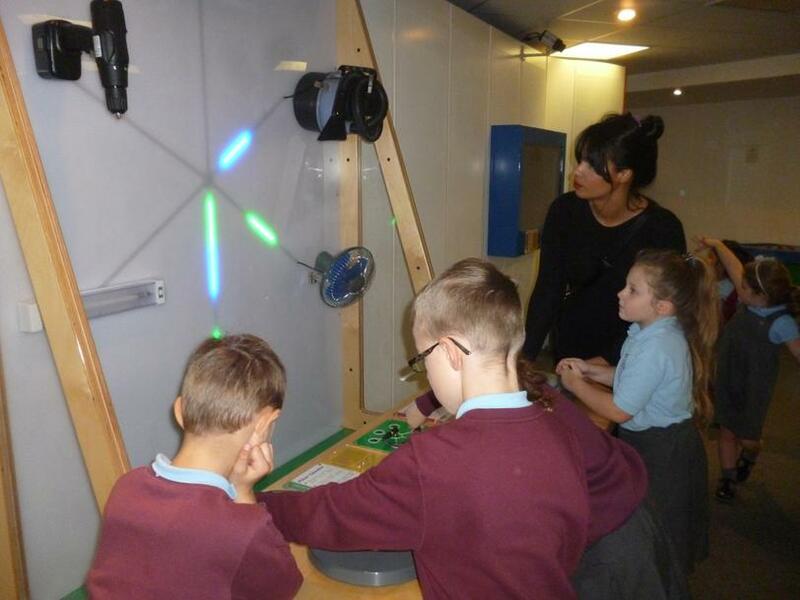 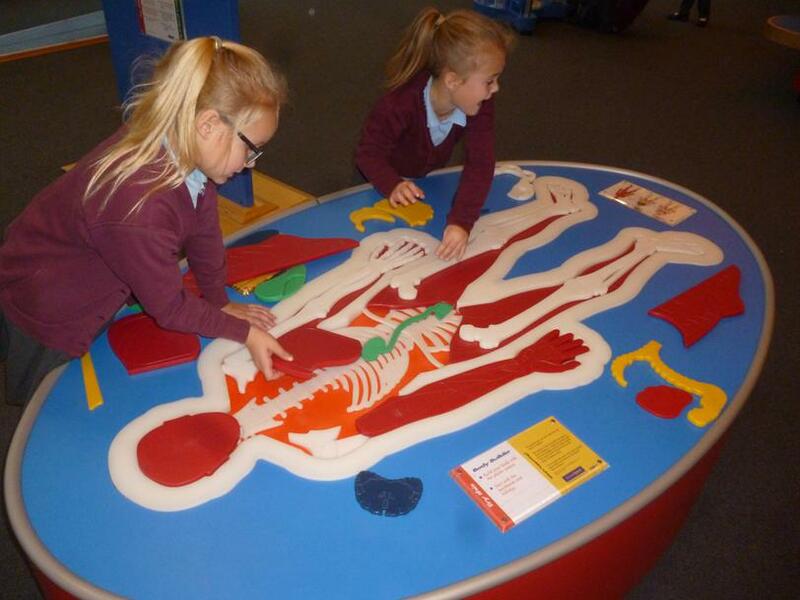 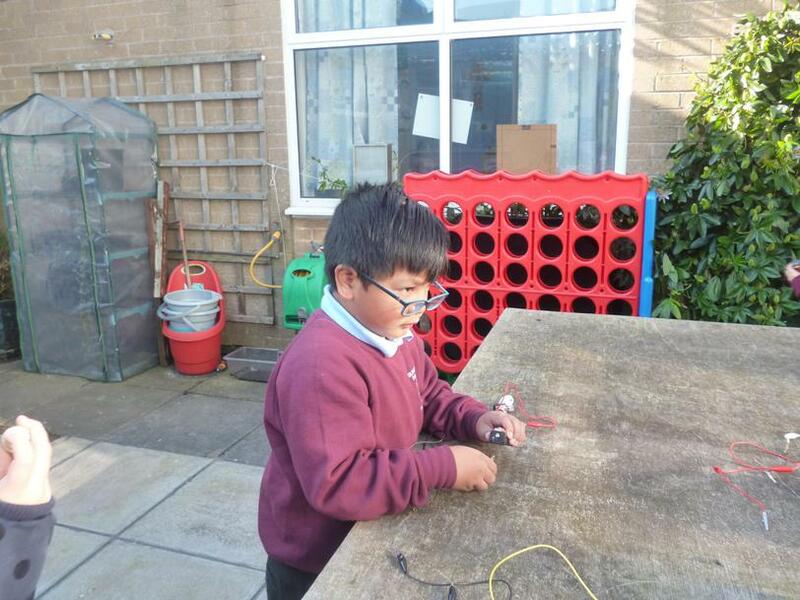 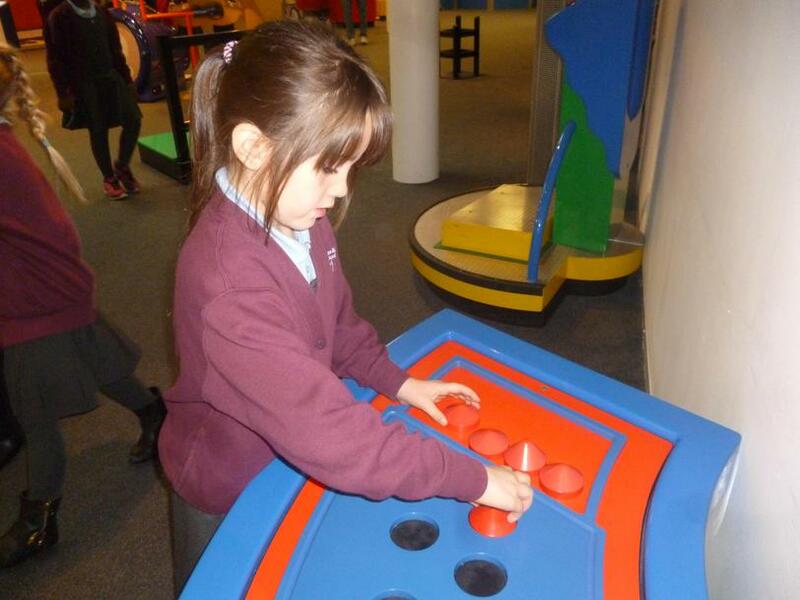 We have been using all our investigations skills! 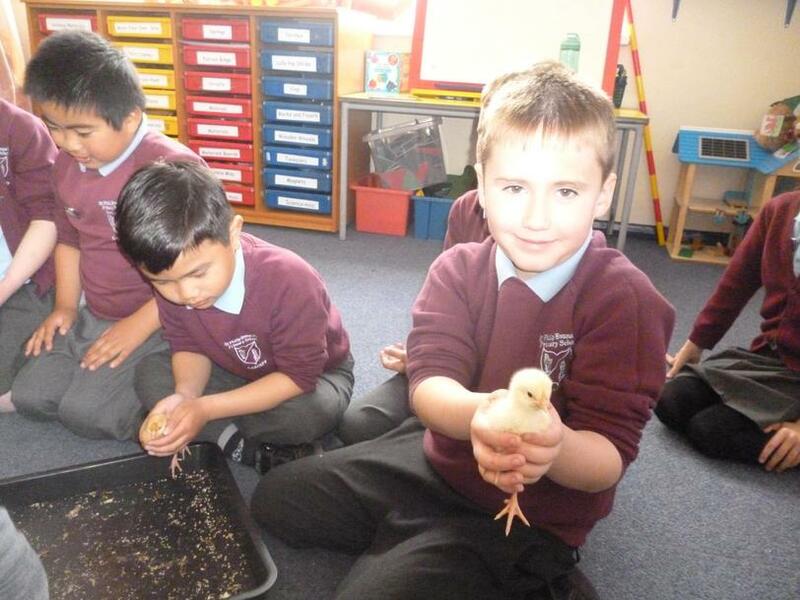 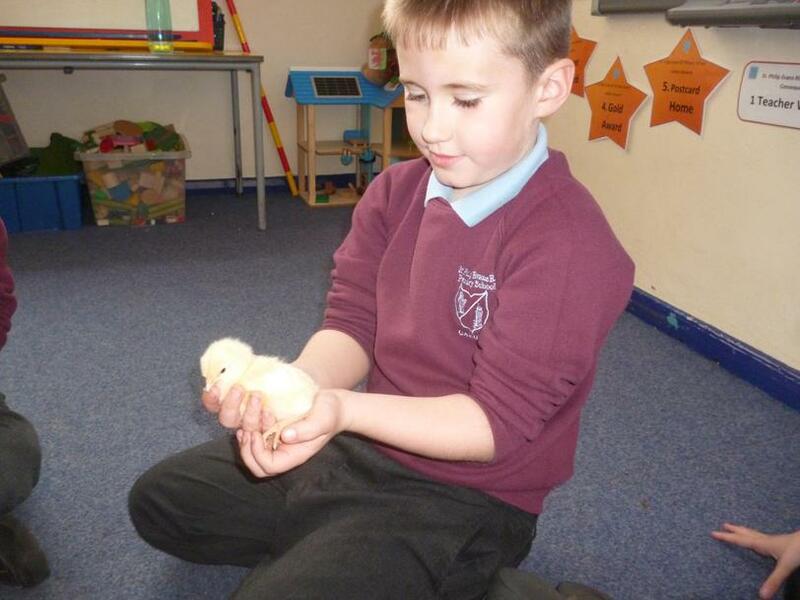 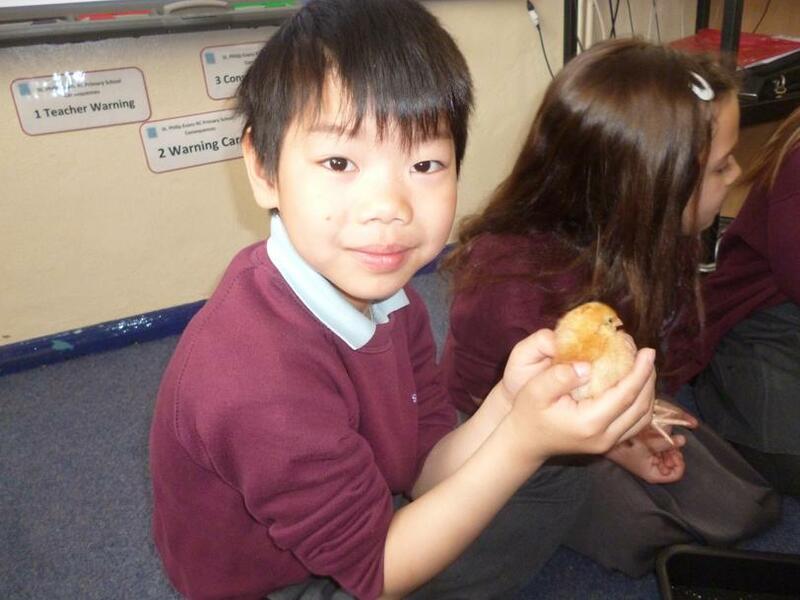 This week, as we are making new beginnings in Year 2, we have been thinking about how much we have grown and developed since our birth. 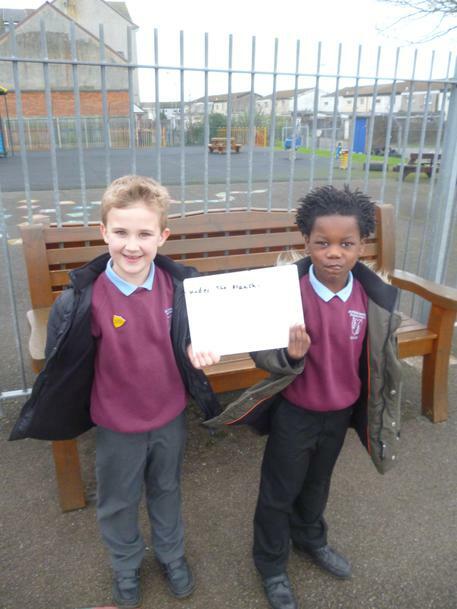 We wrote poems to express our thoughts. 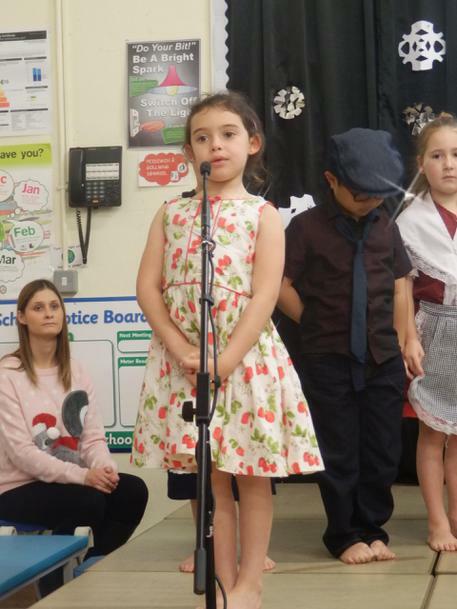 We had to use rhyme in the poems, too! 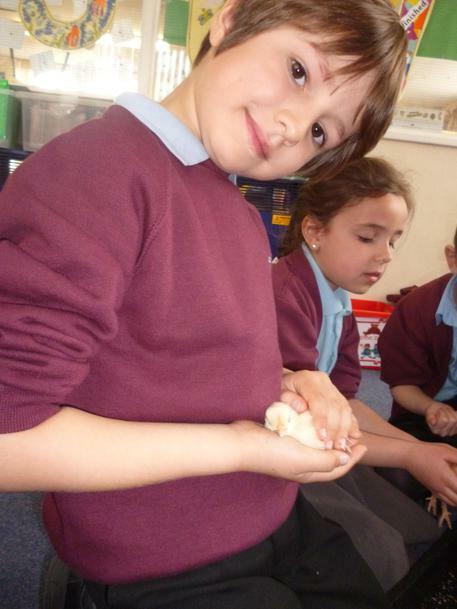 We would like to share some with you. 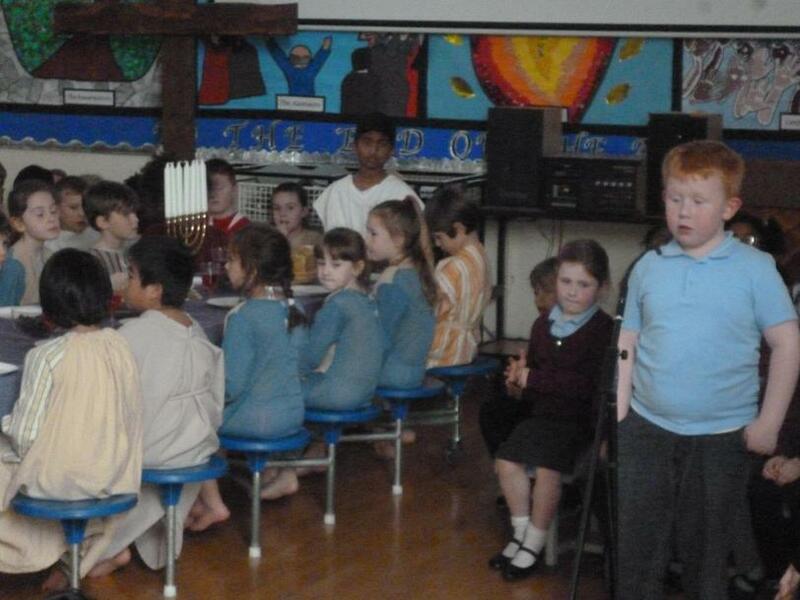 When I was one, I could sit in the sun. 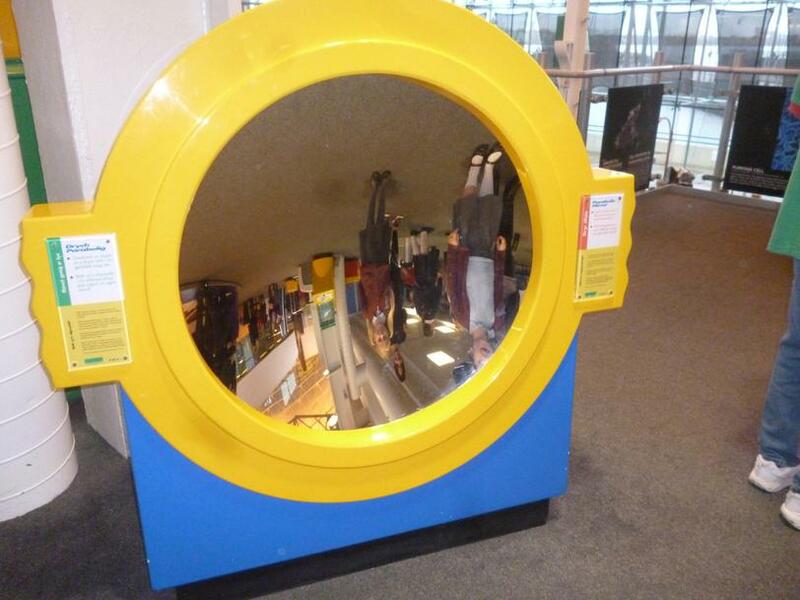 When I was two, I could put on my shoe. 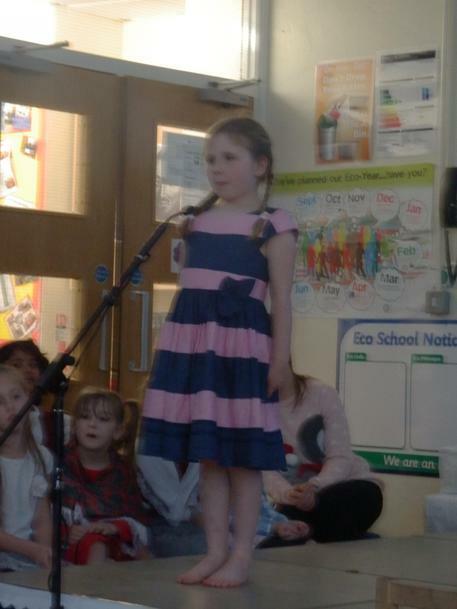 When I was three, I could tap my knee. 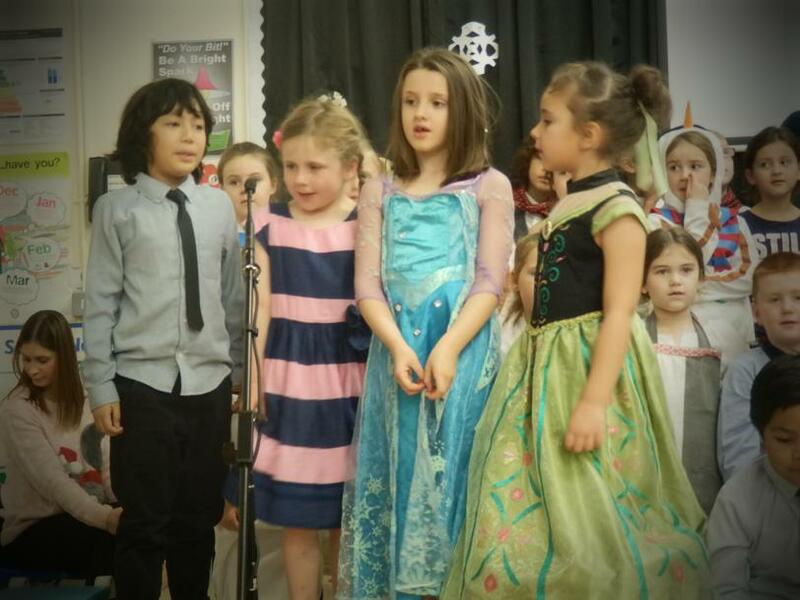 When I was four, I could open a door. 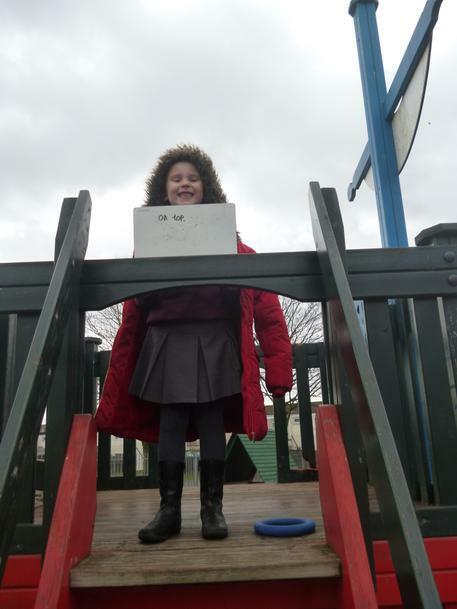 When I was five, I could so a high dive. 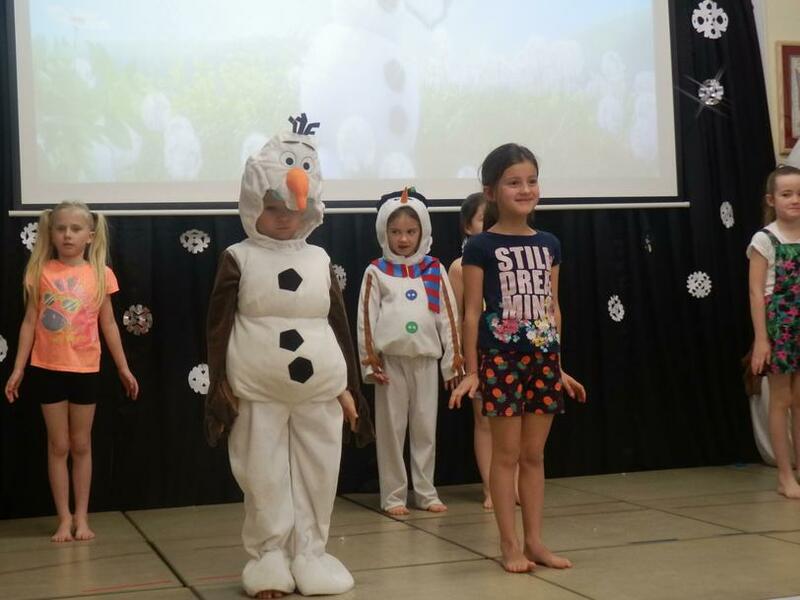 Now I’m six, I can do my kicks!